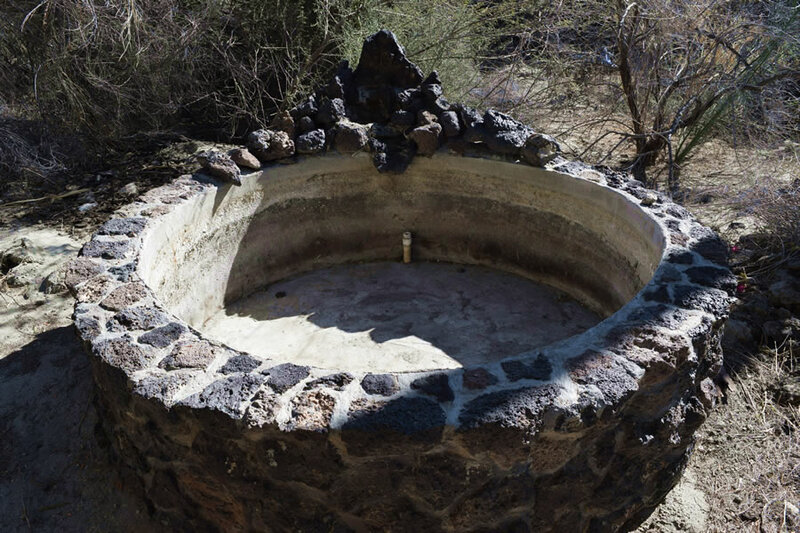 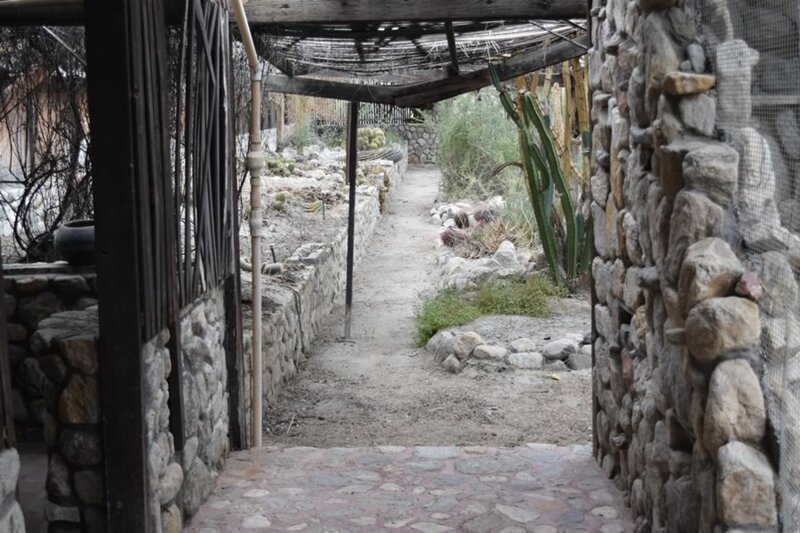 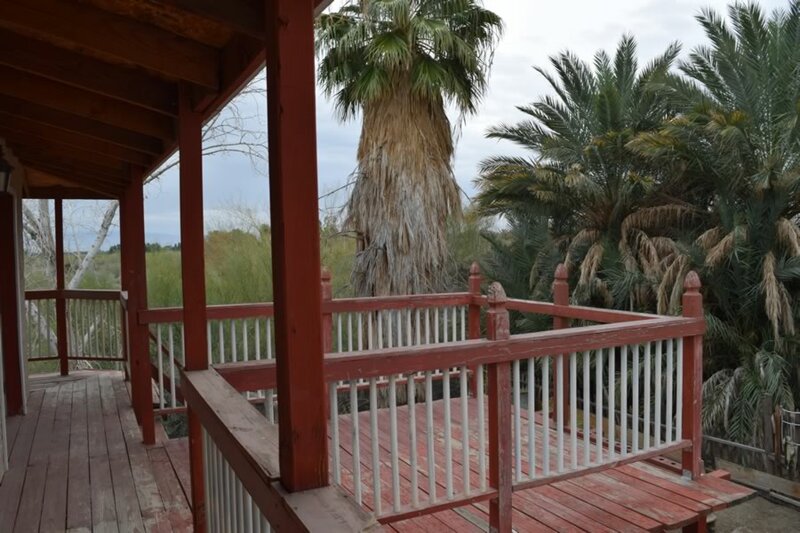 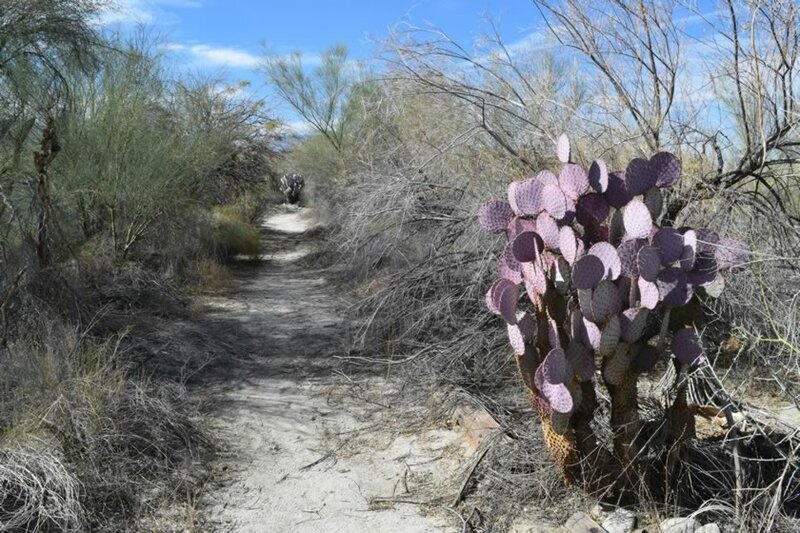 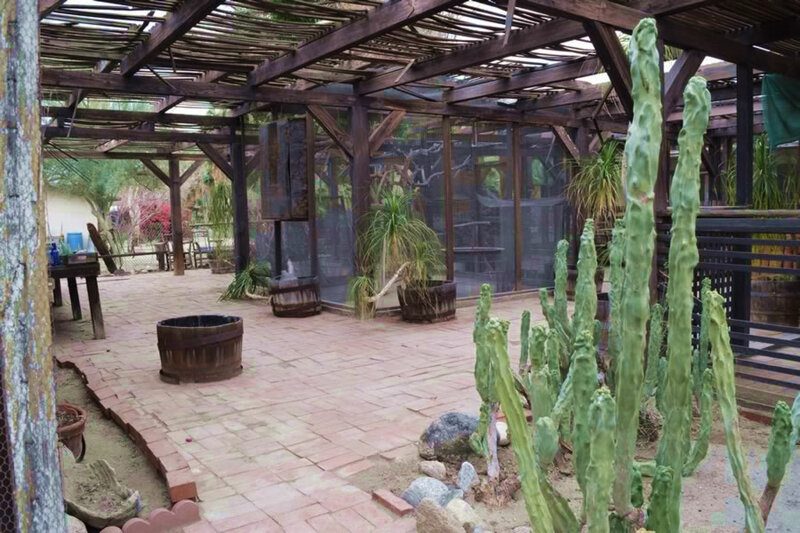 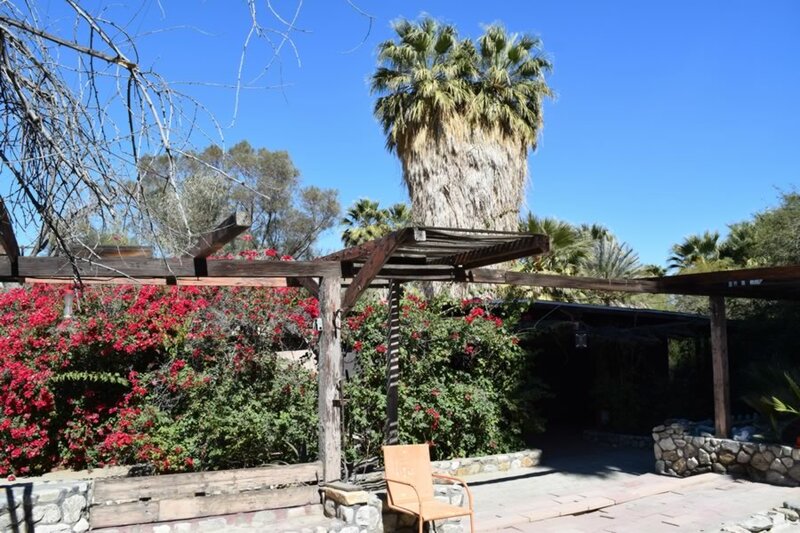 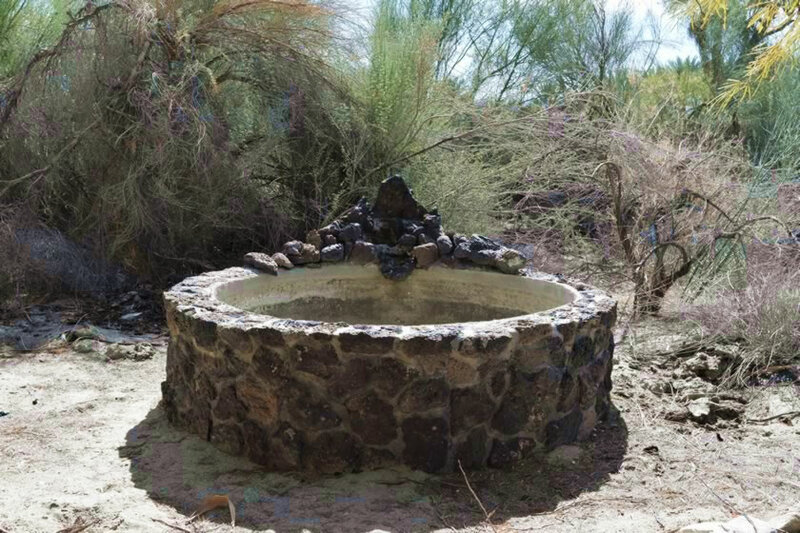 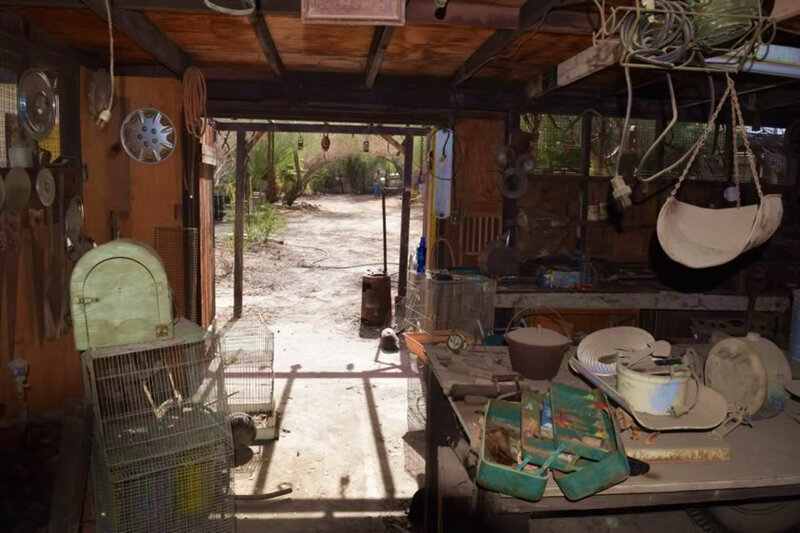 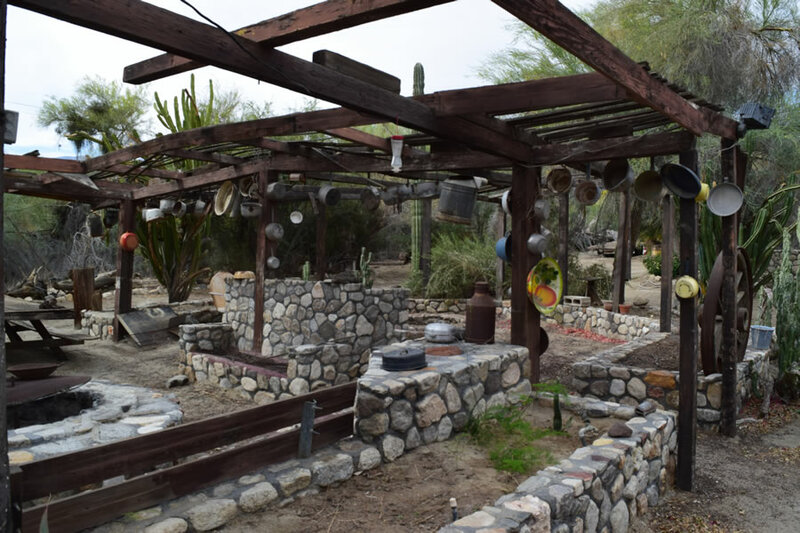 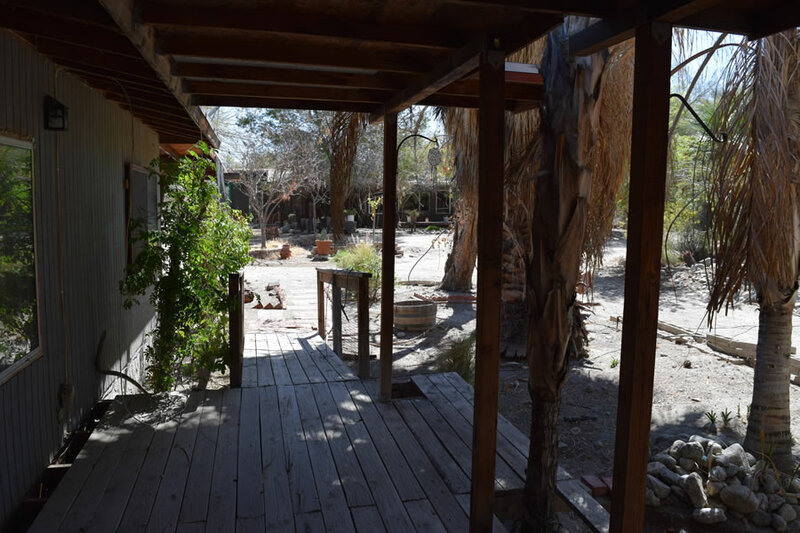 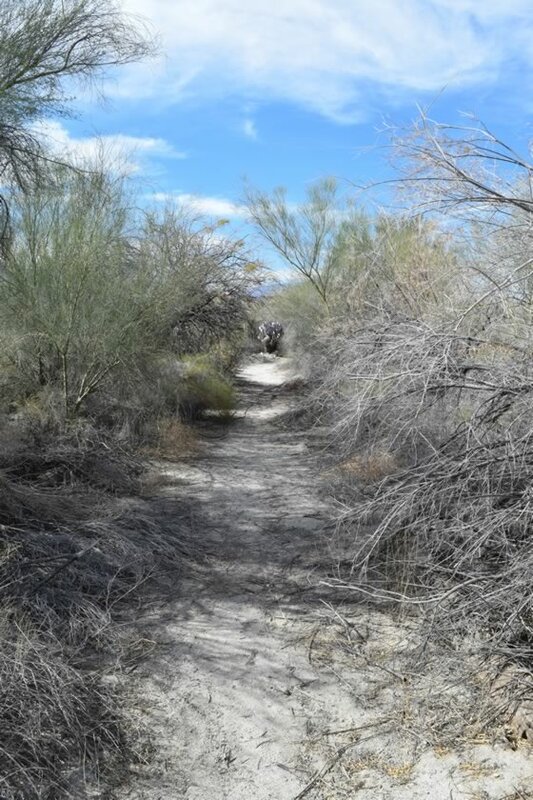 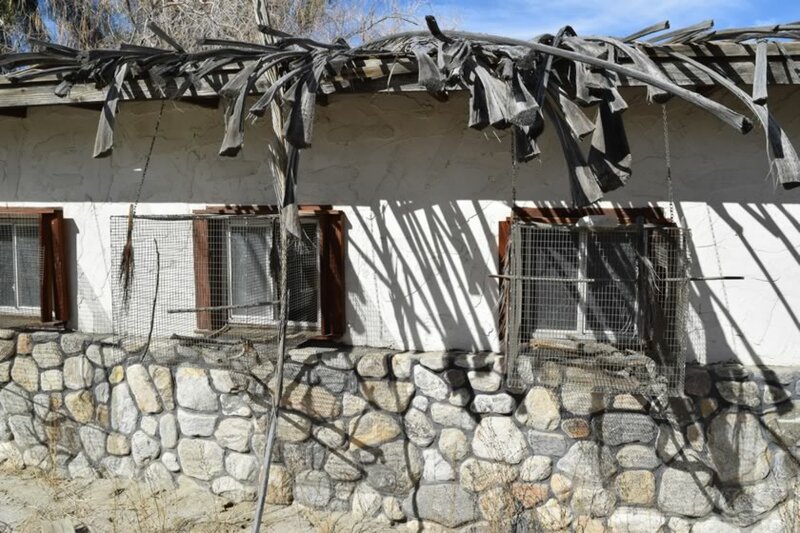 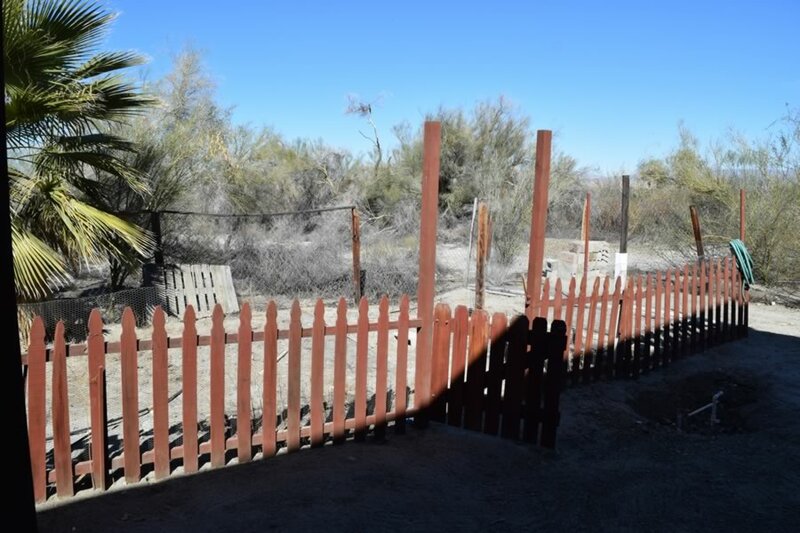 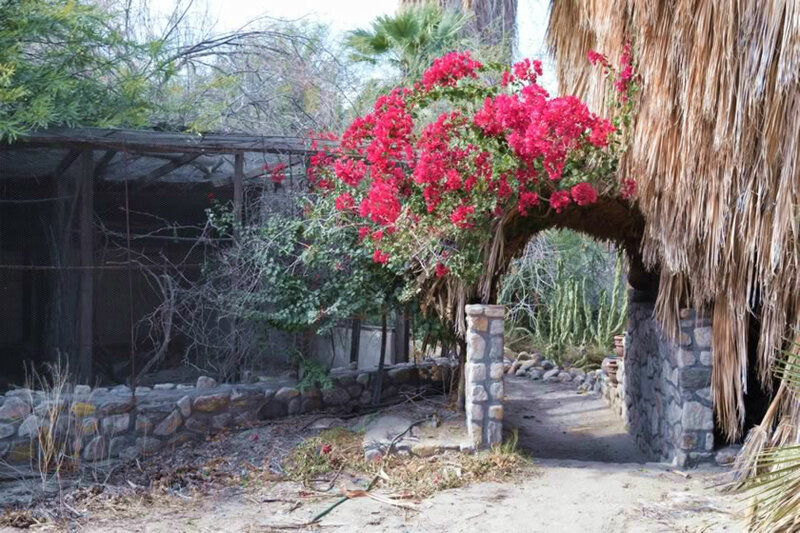 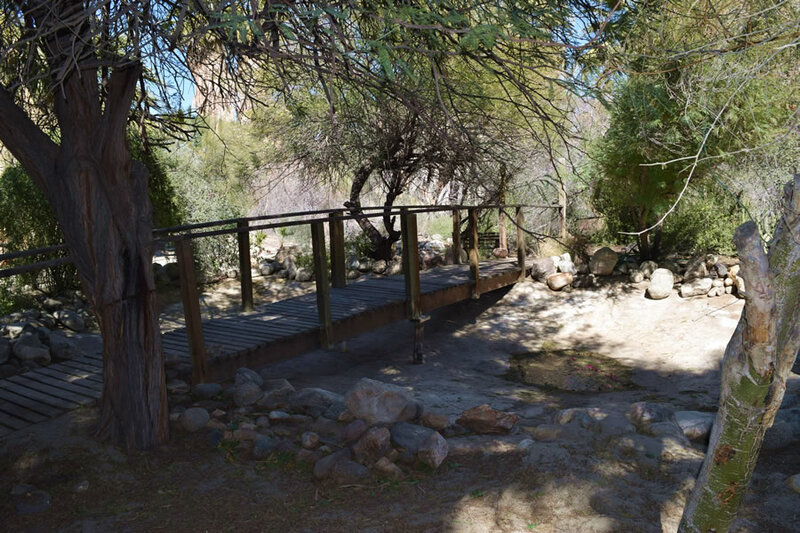 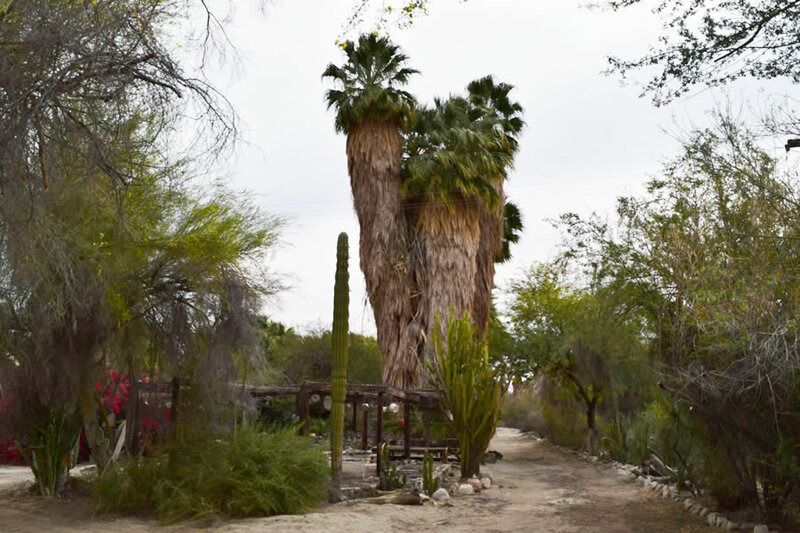 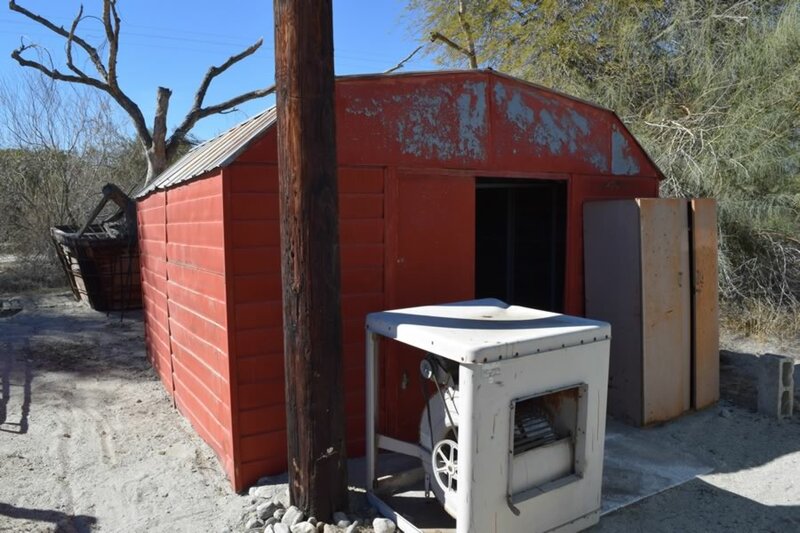 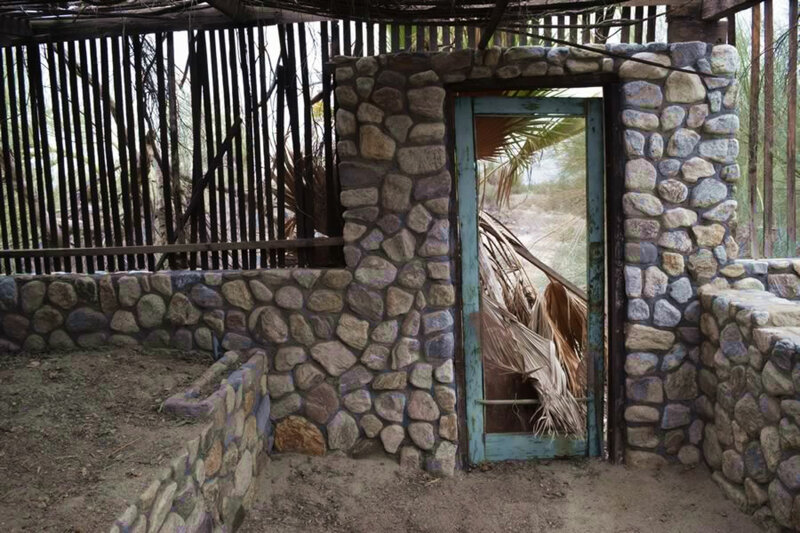 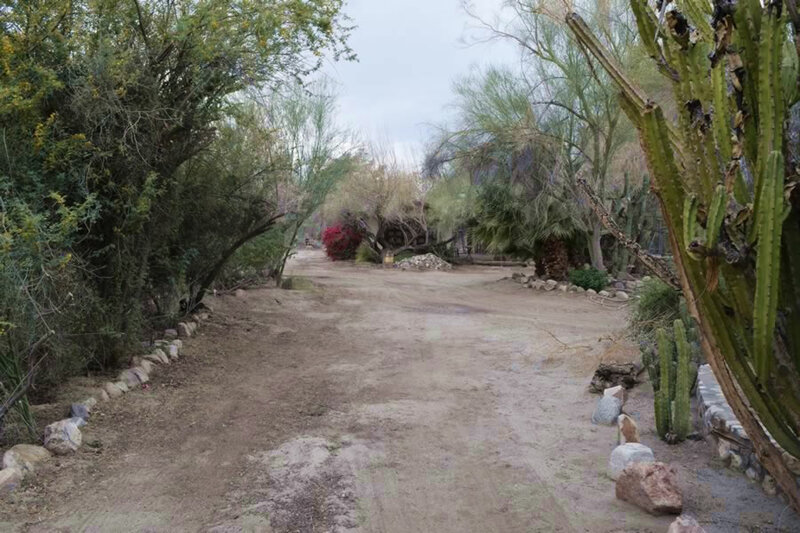 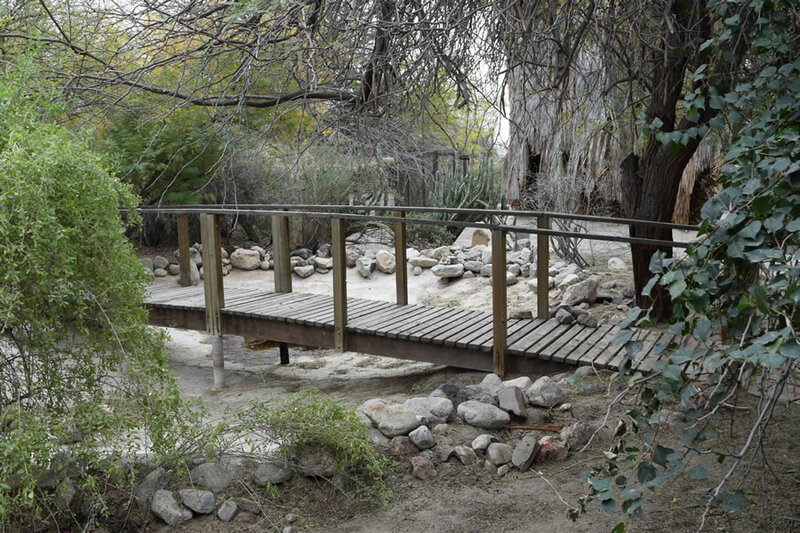 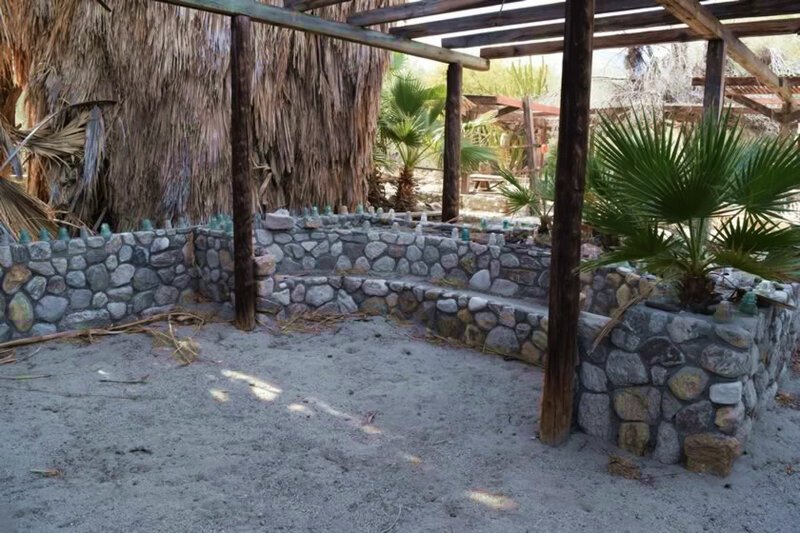 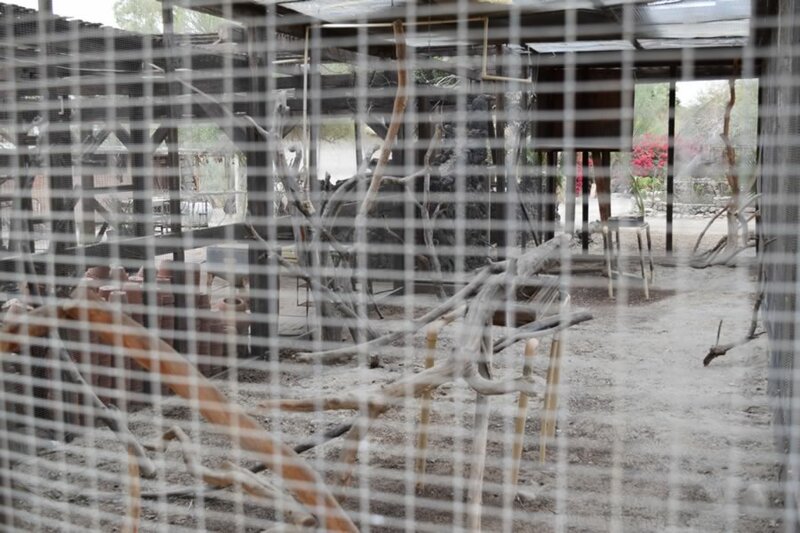 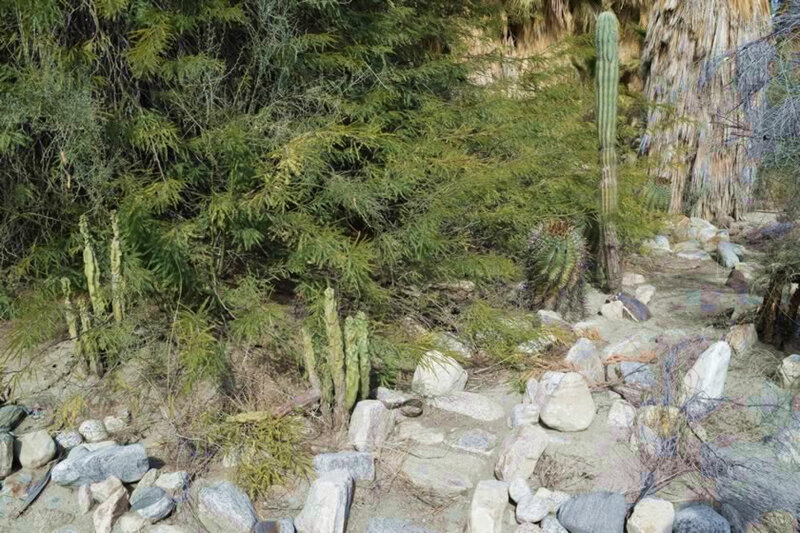 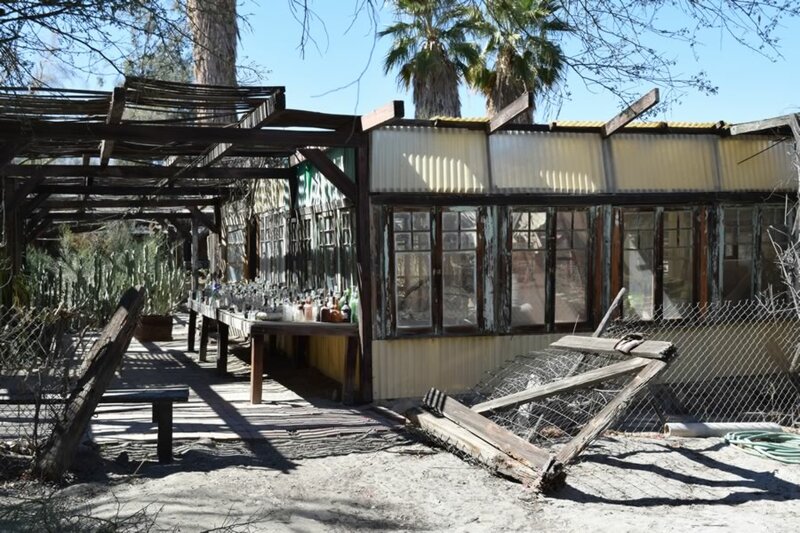 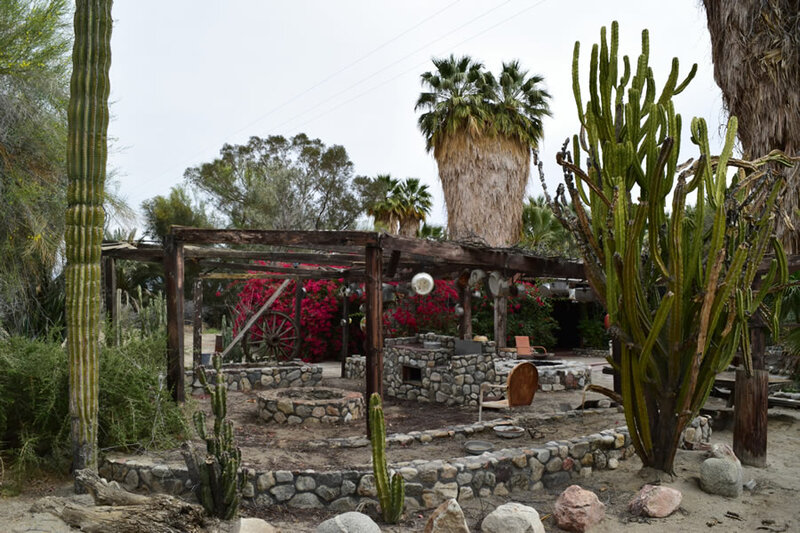 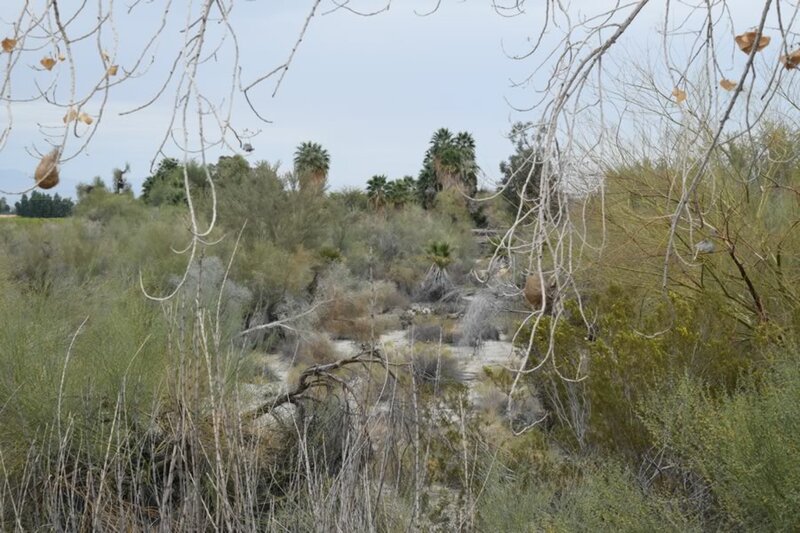 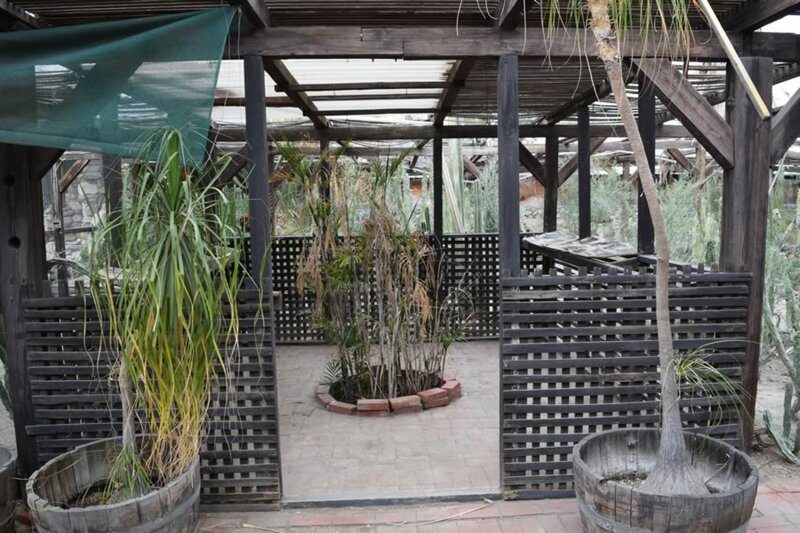 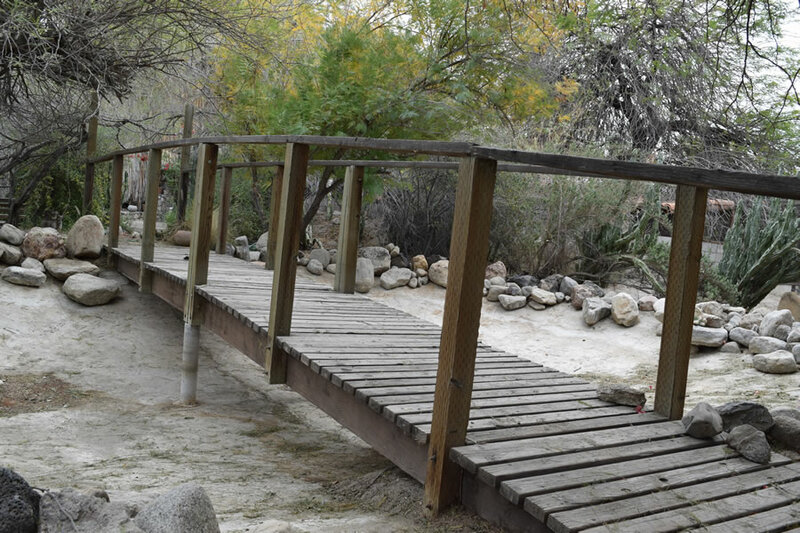 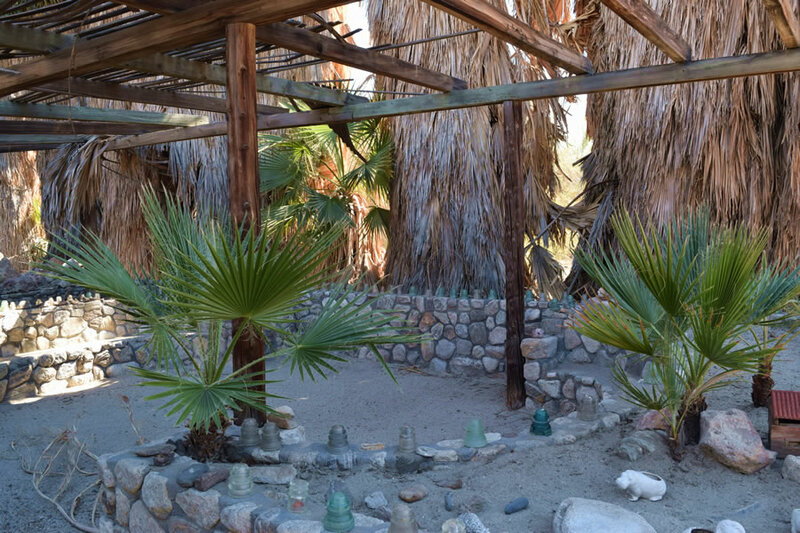 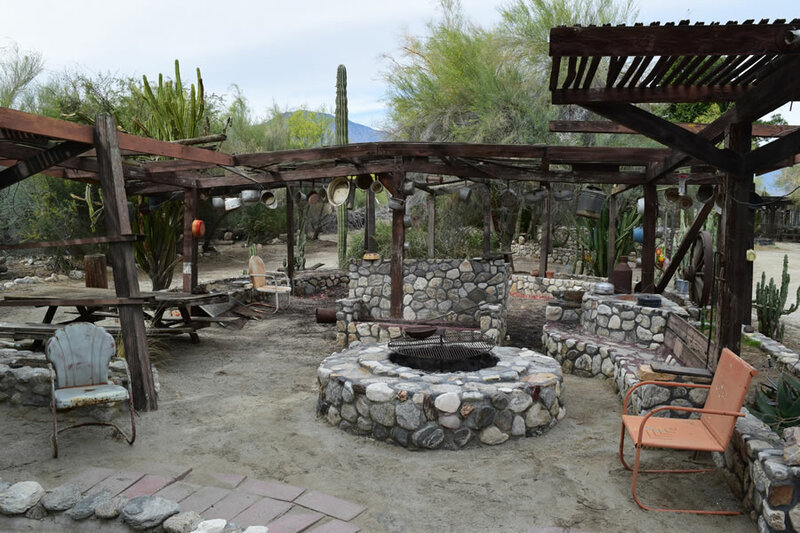 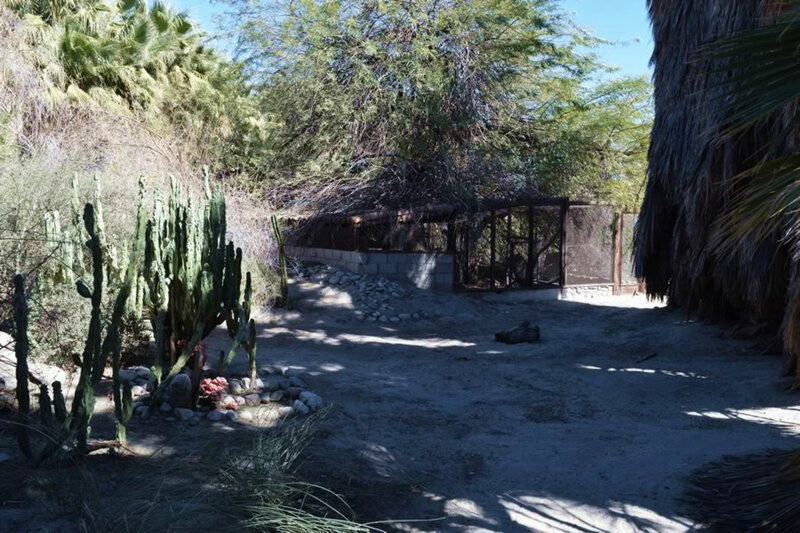 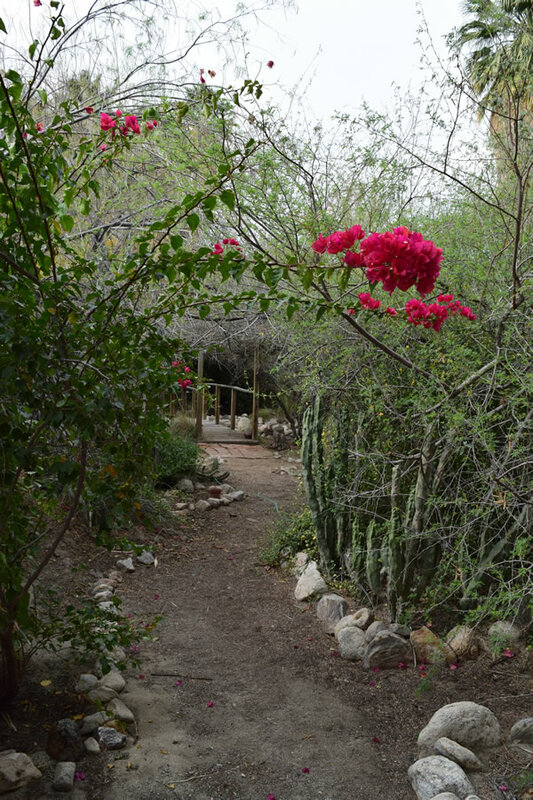 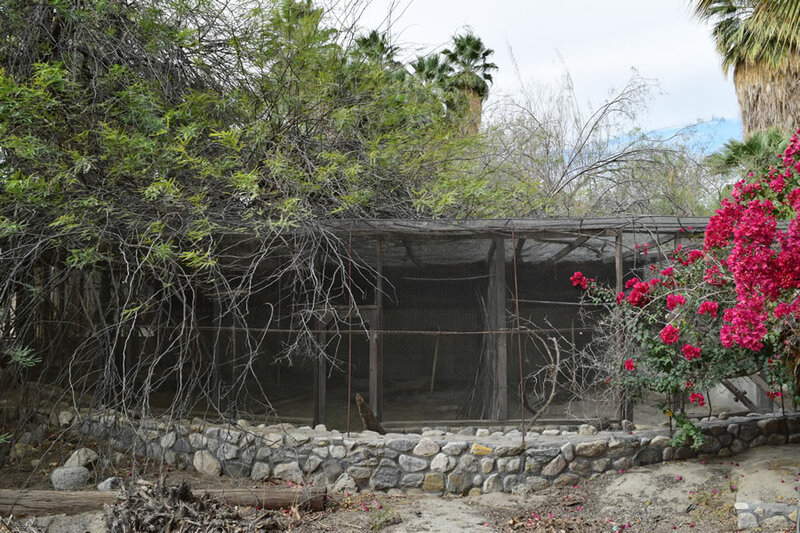 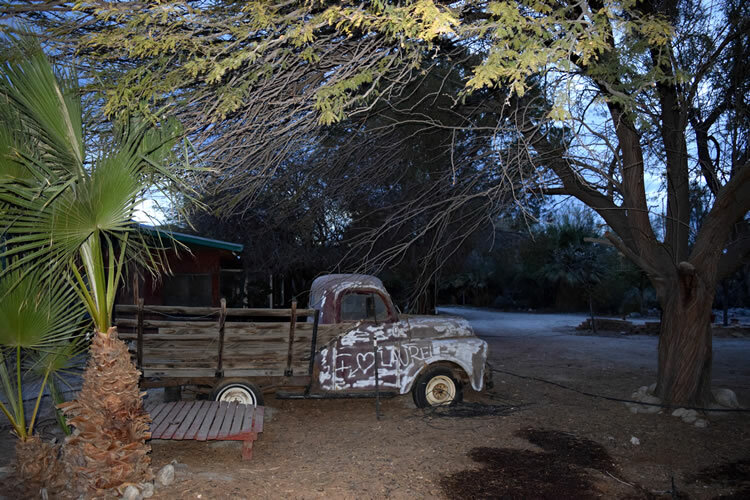 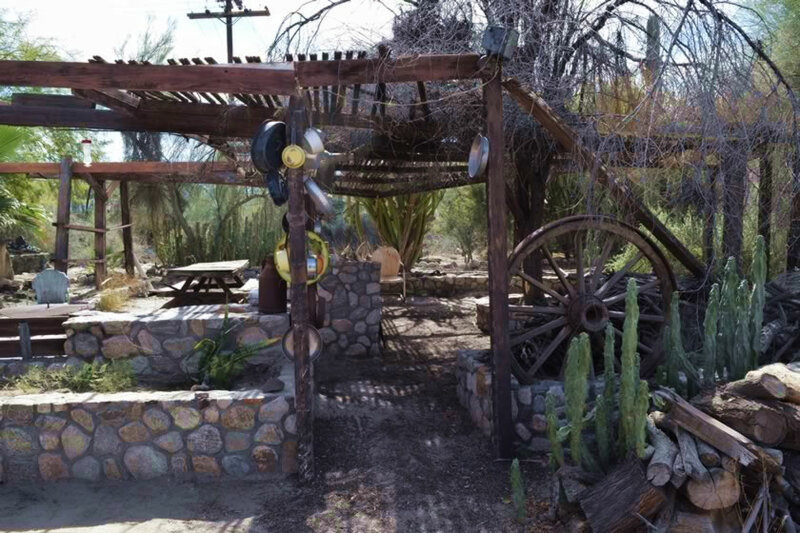 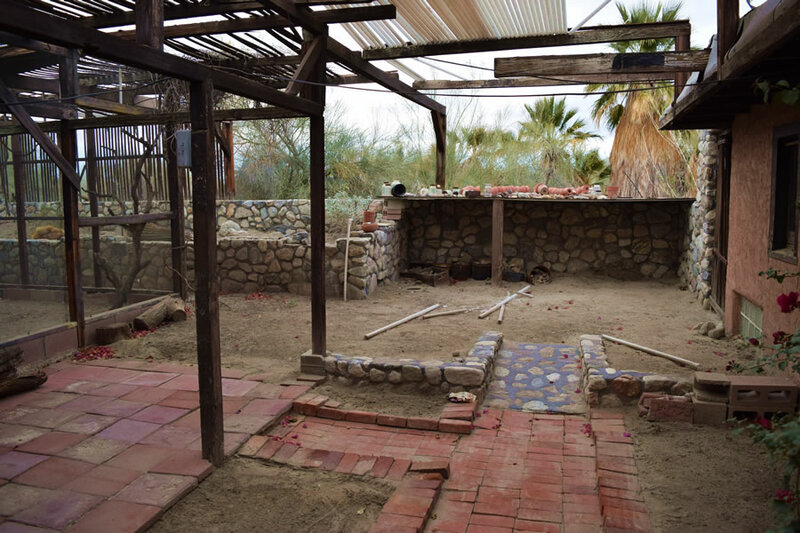 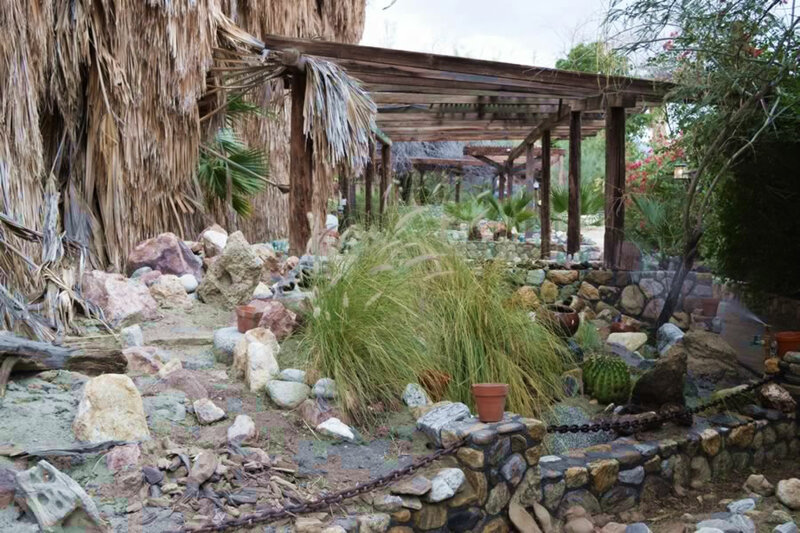 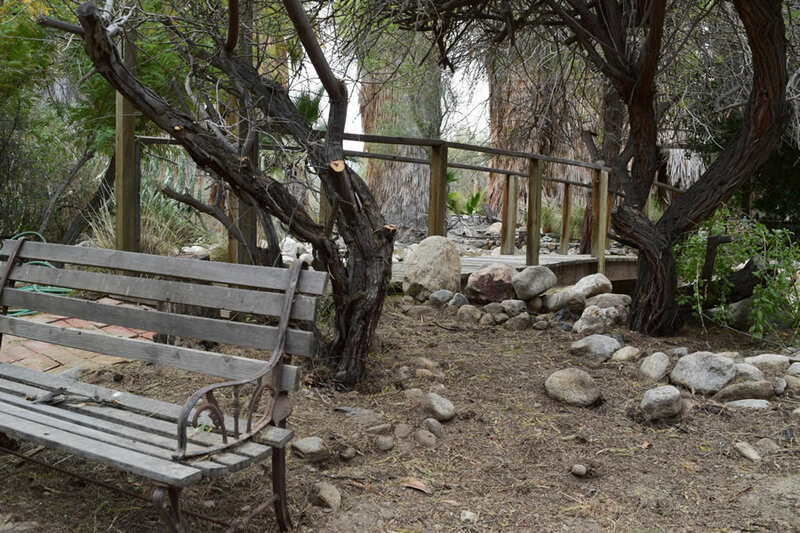 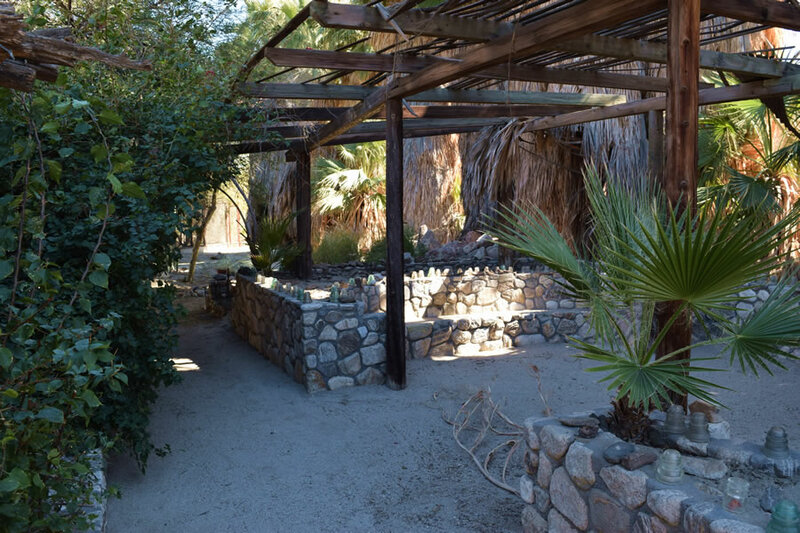 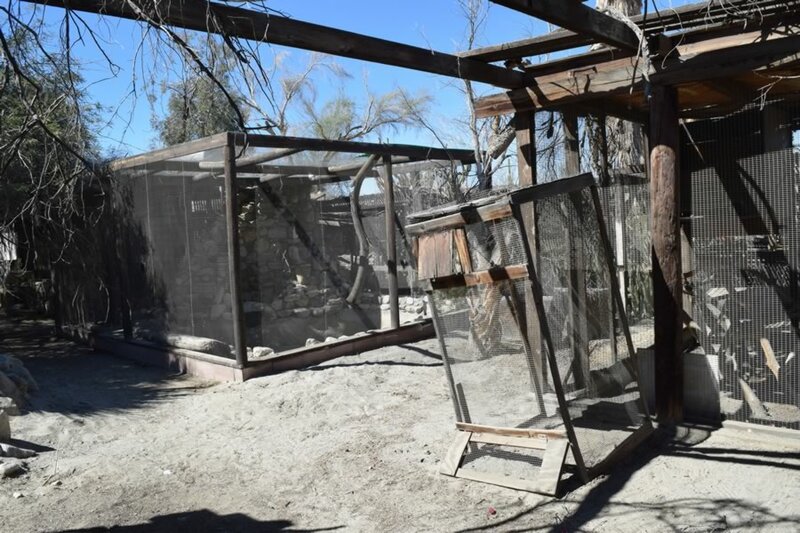 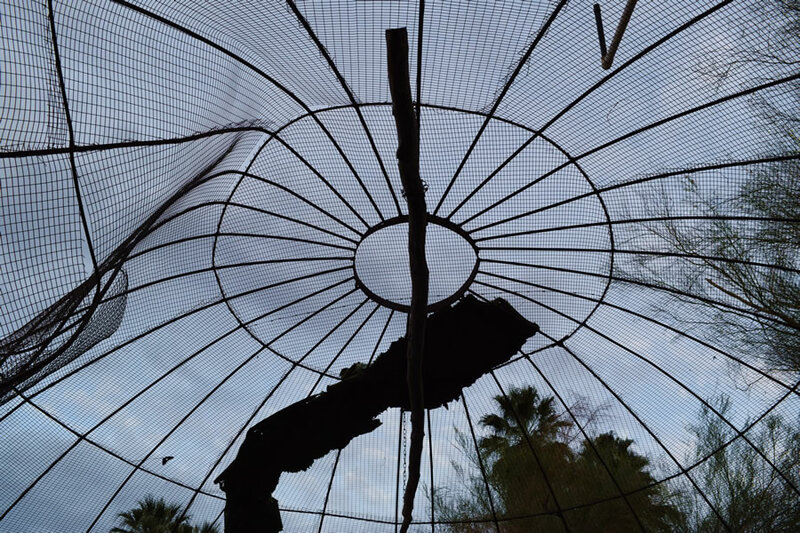 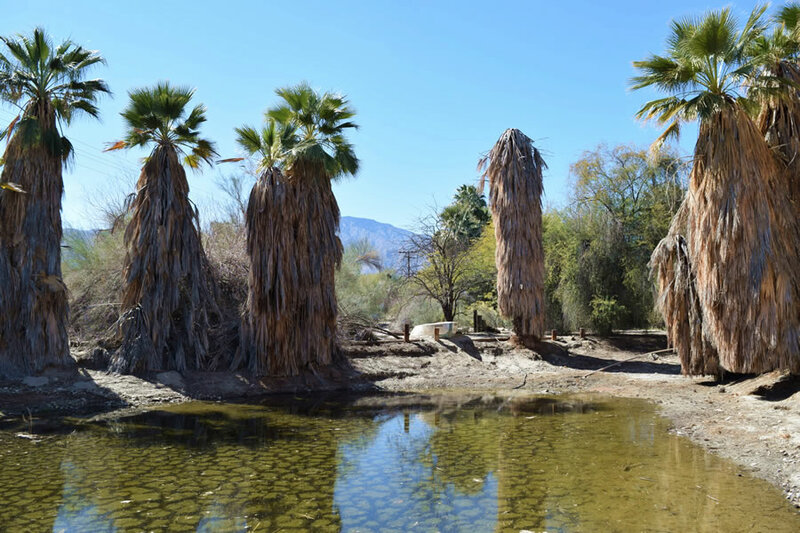 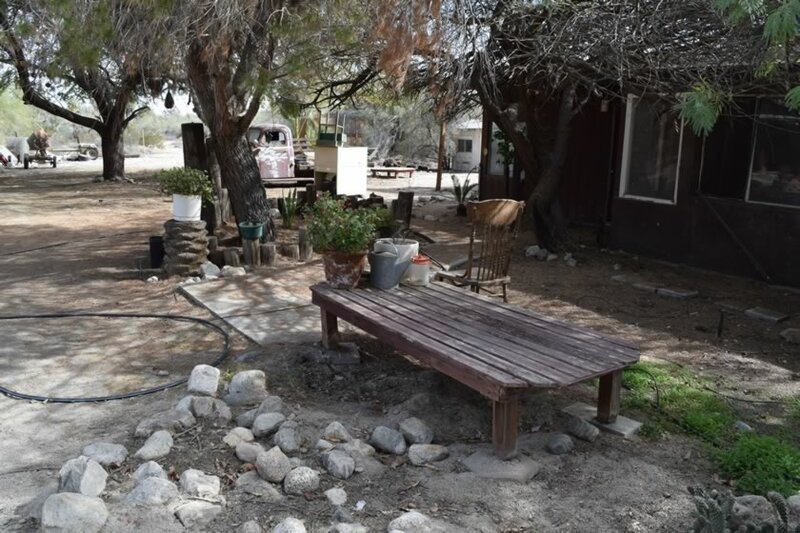 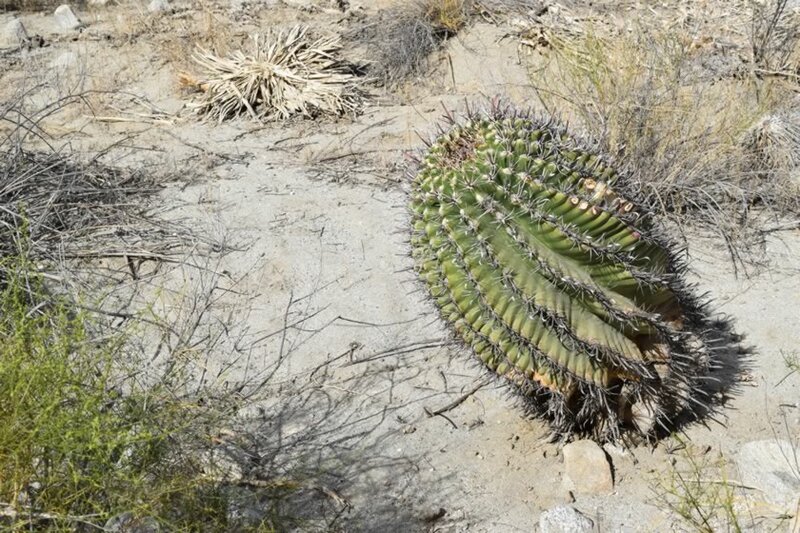 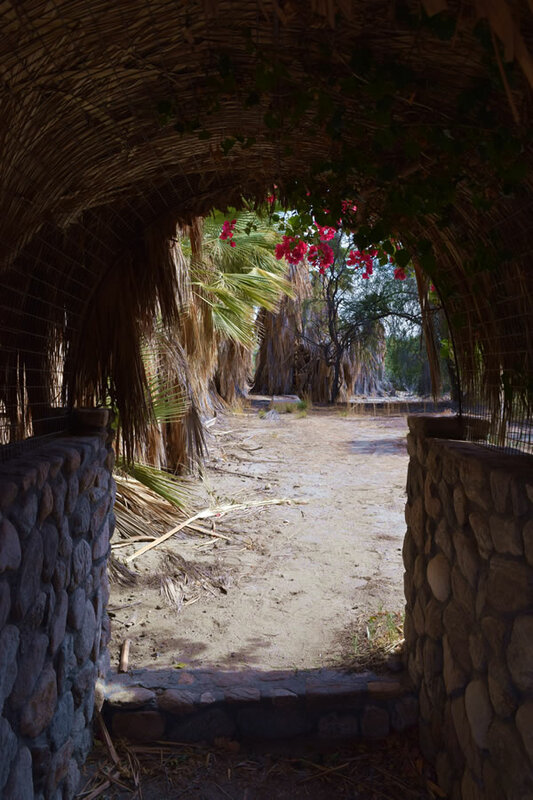 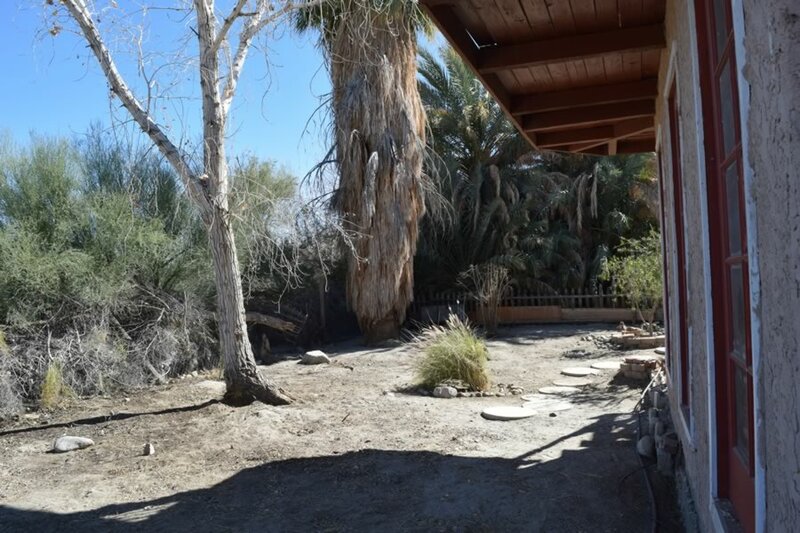 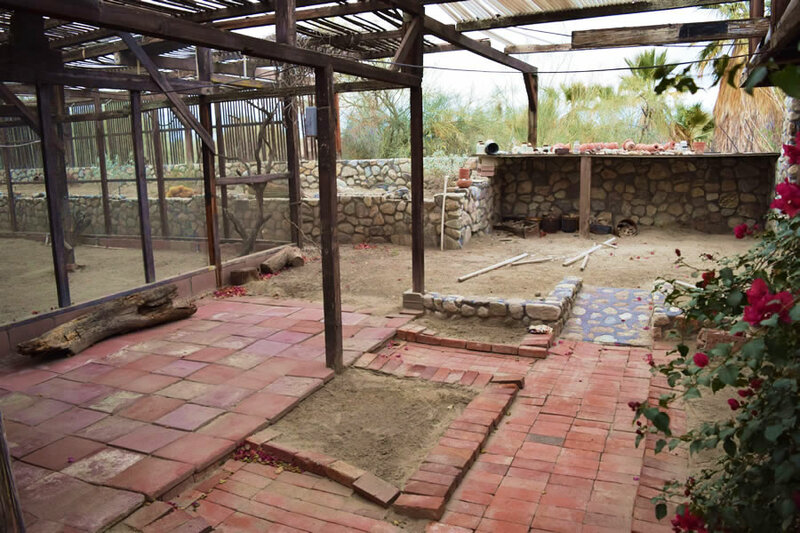 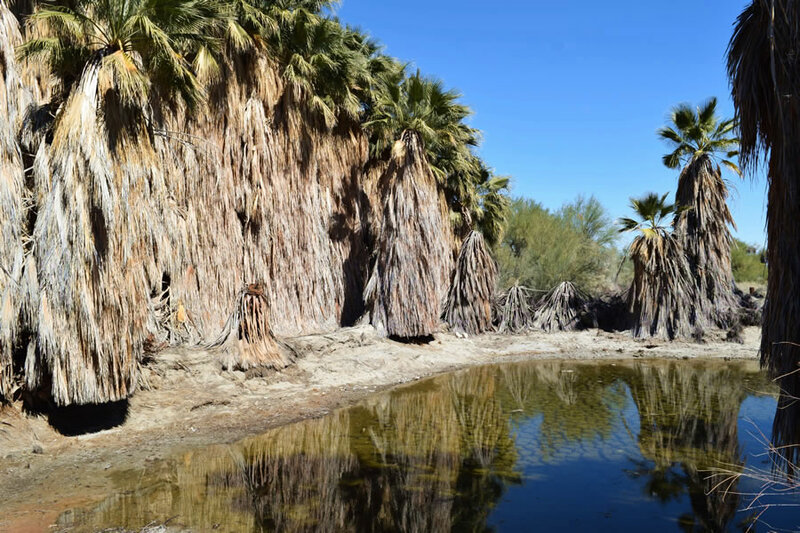 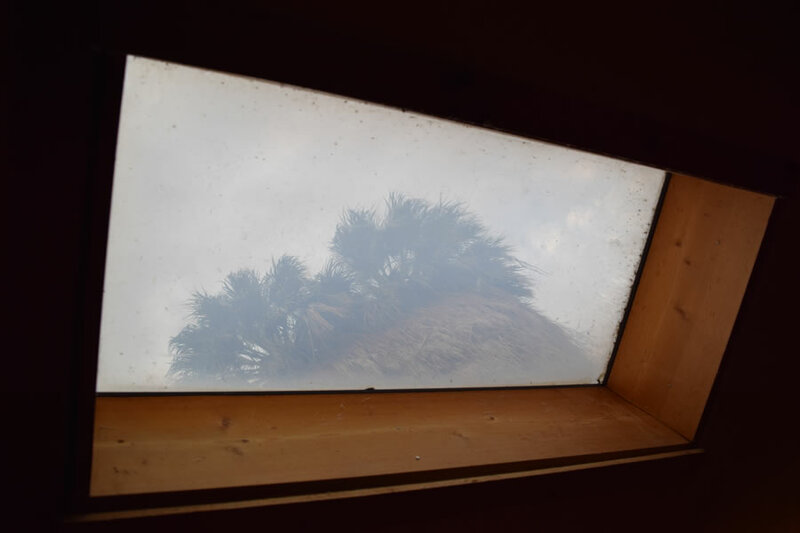 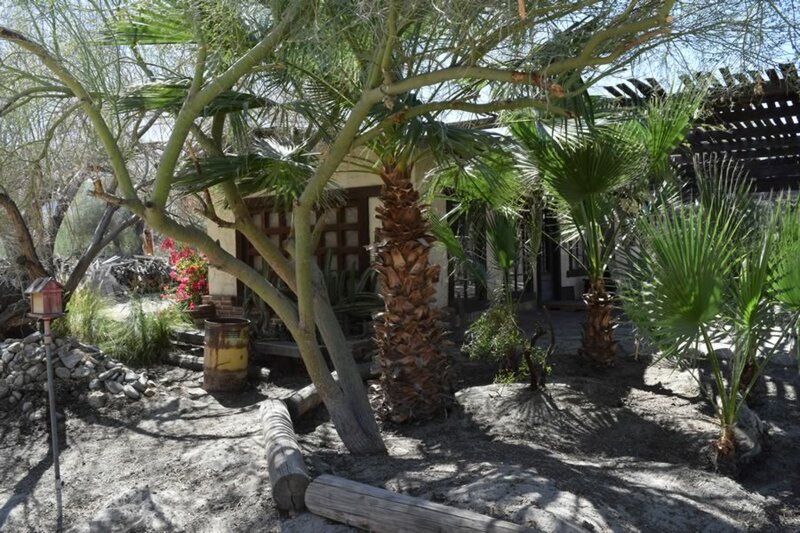 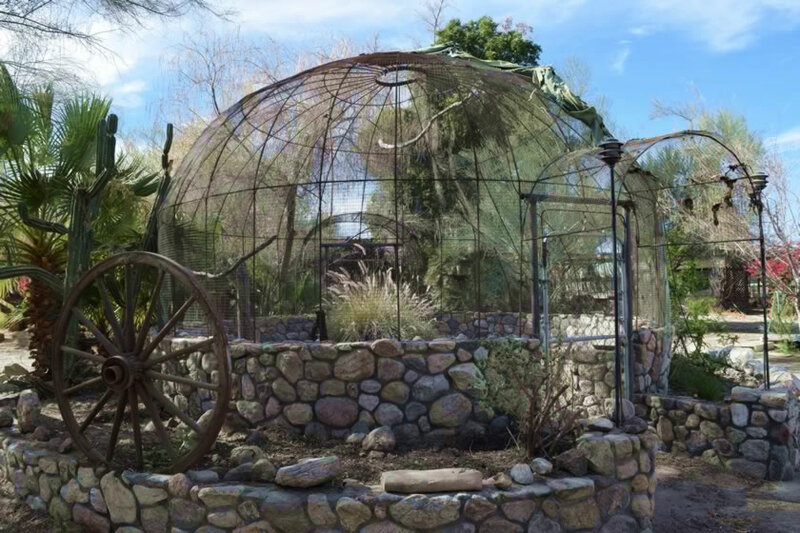 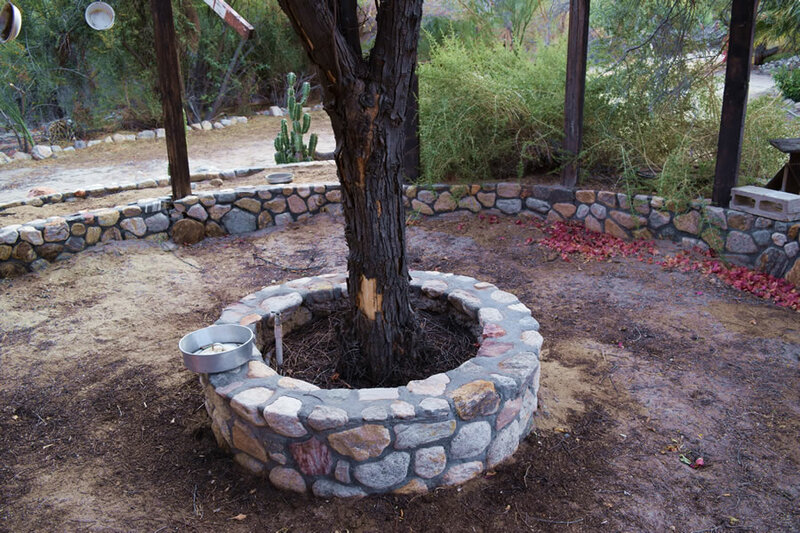 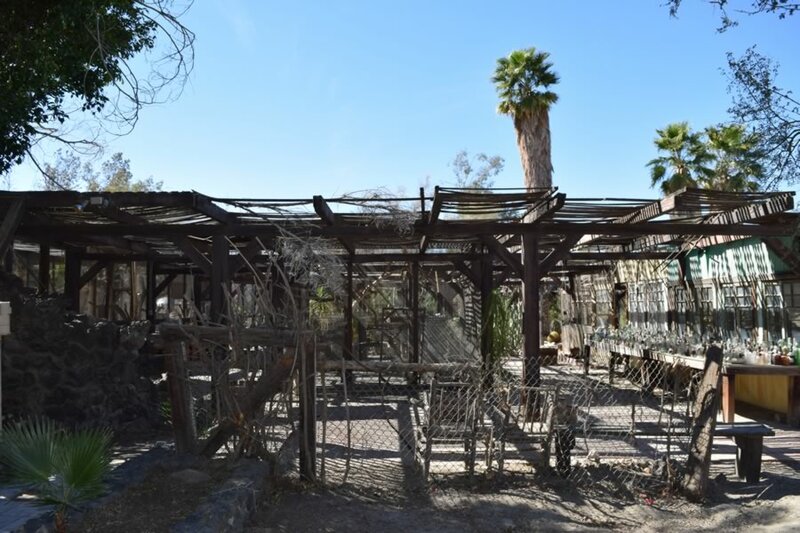 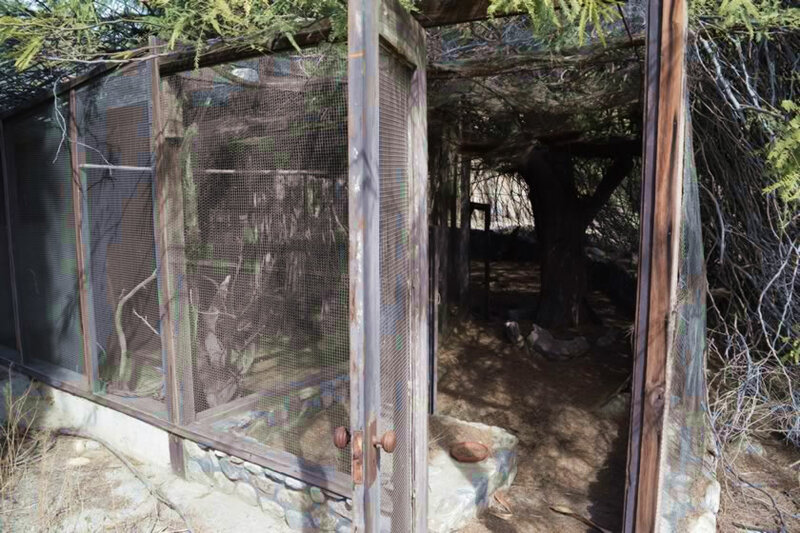 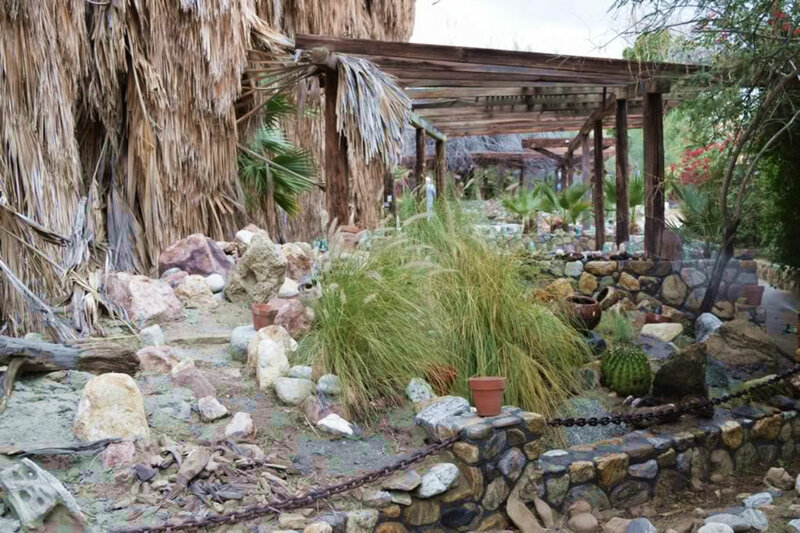 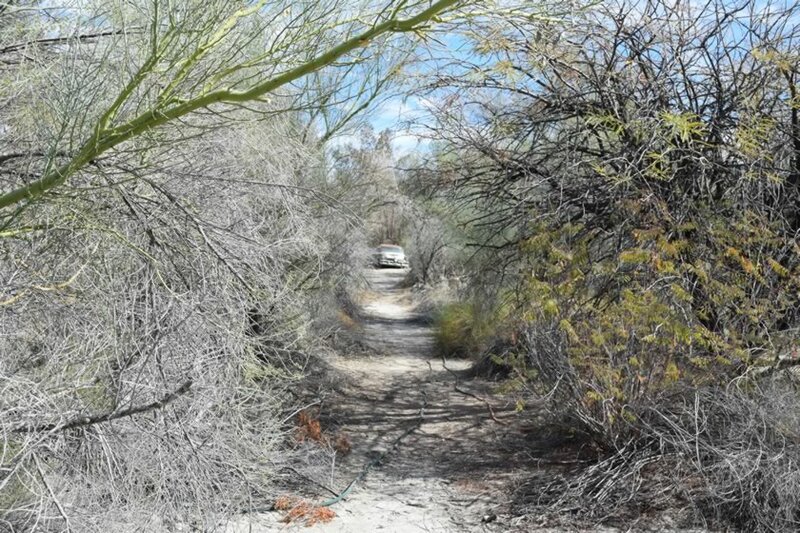 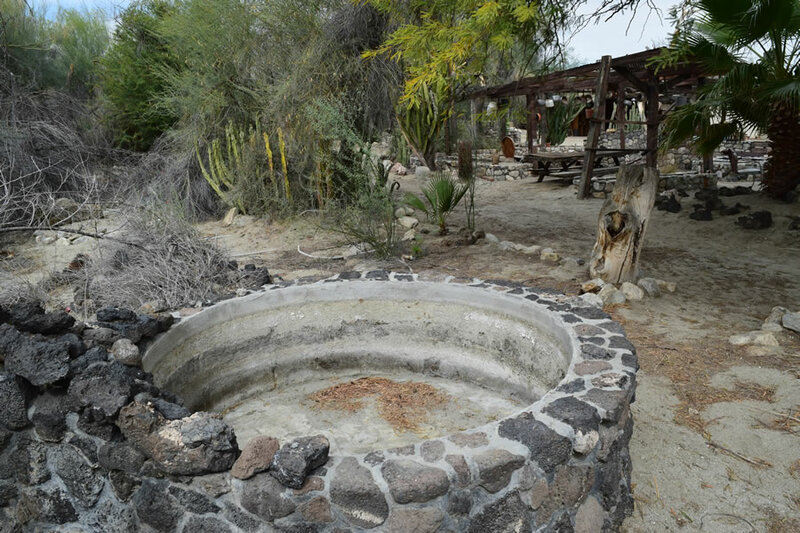 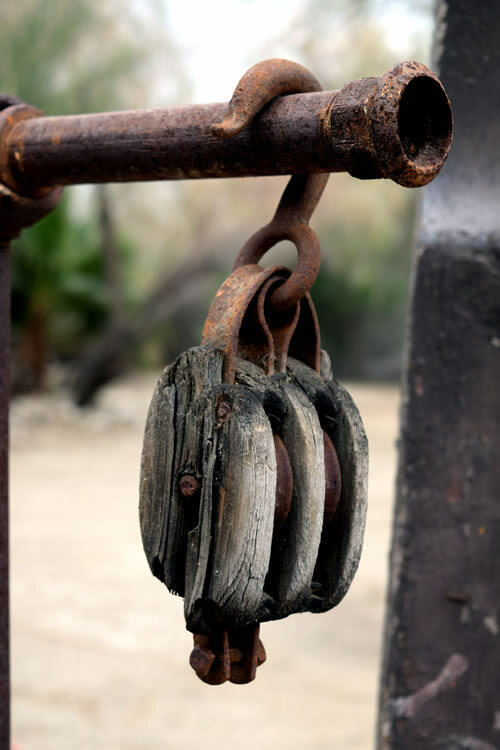 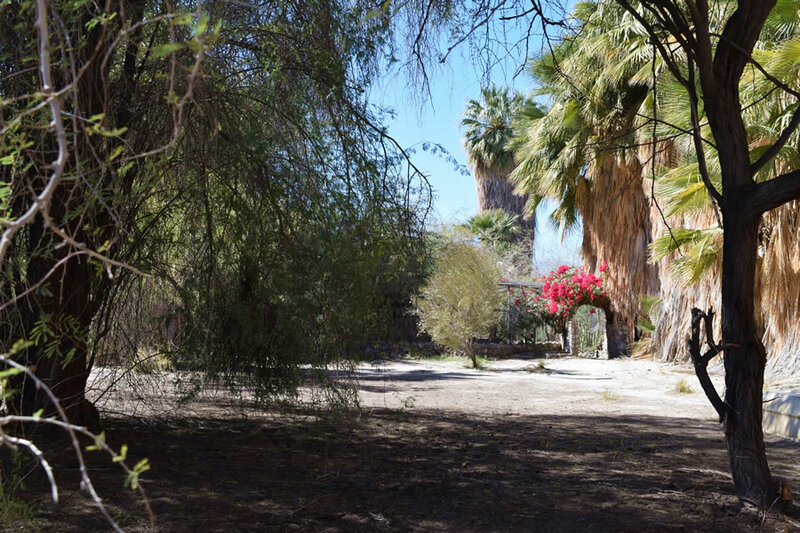 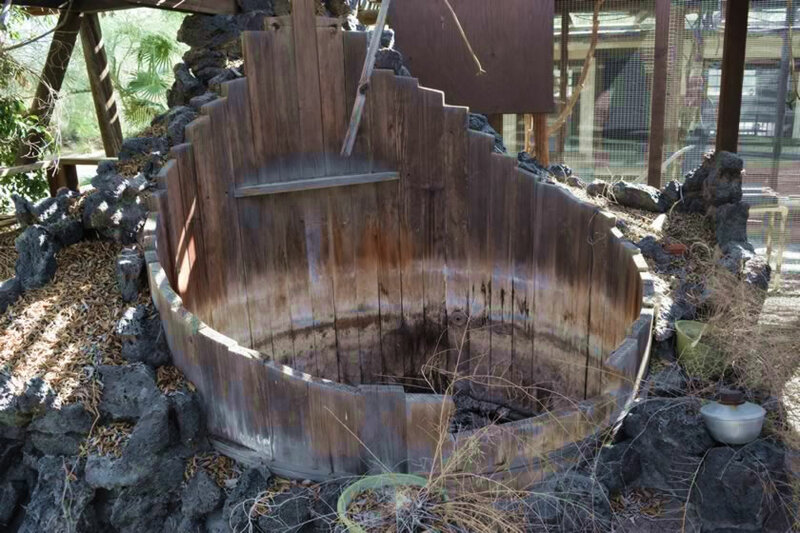 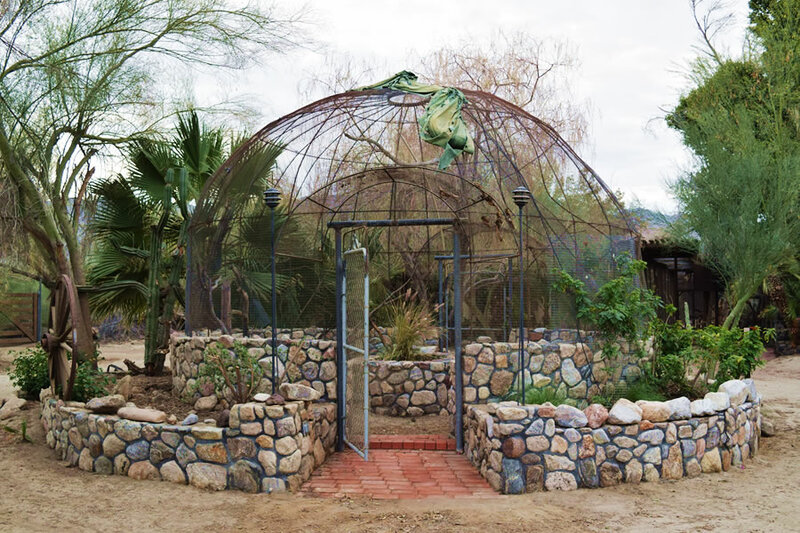 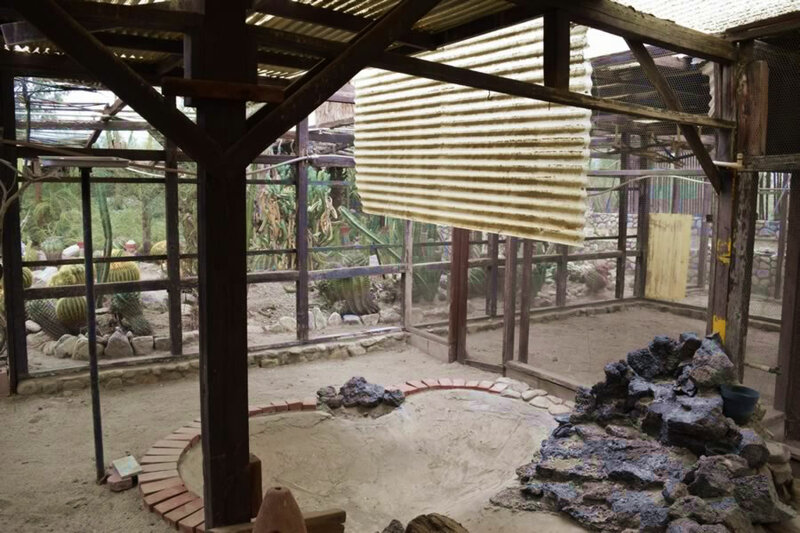 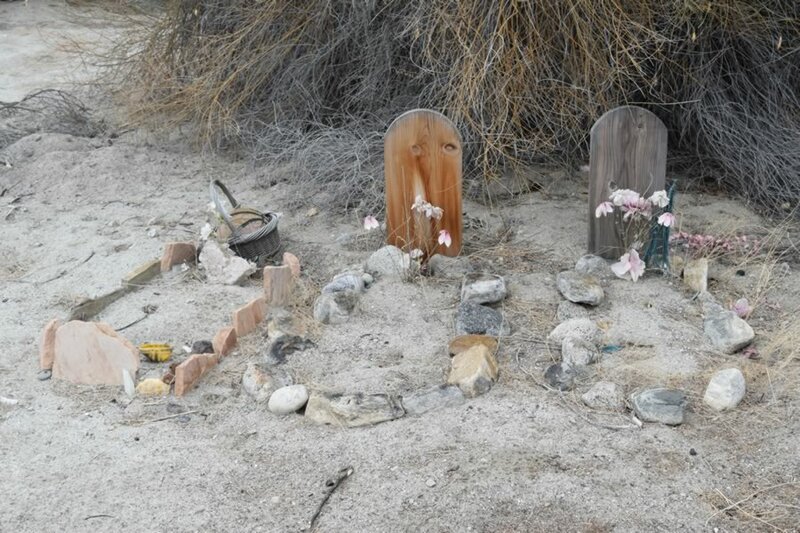 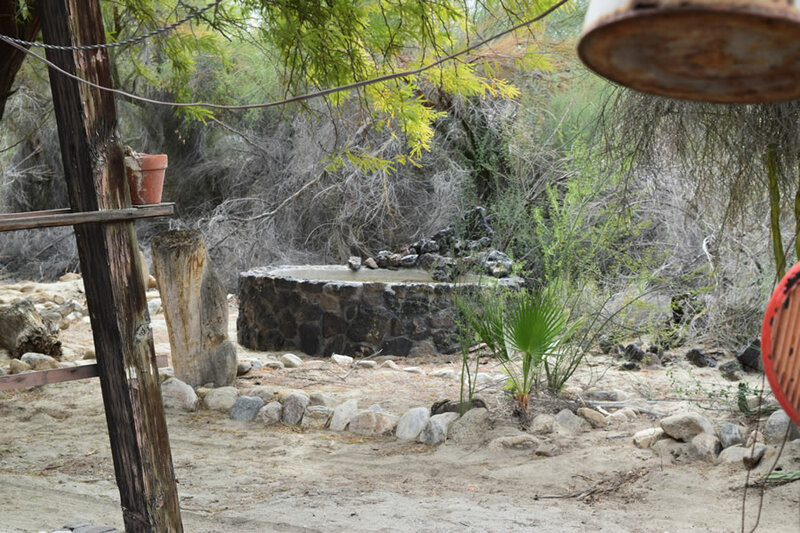 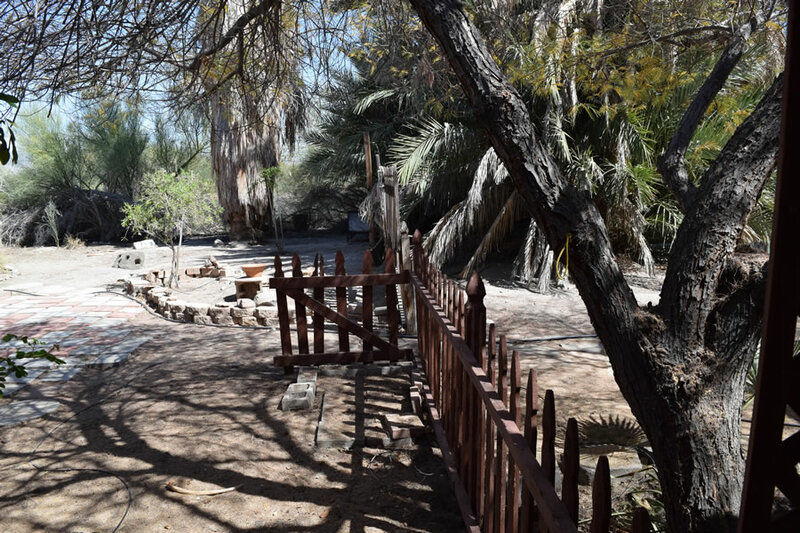 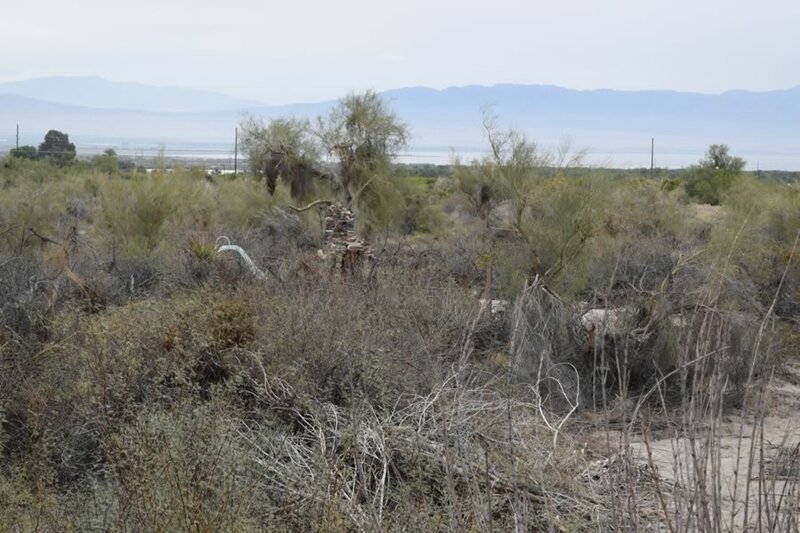 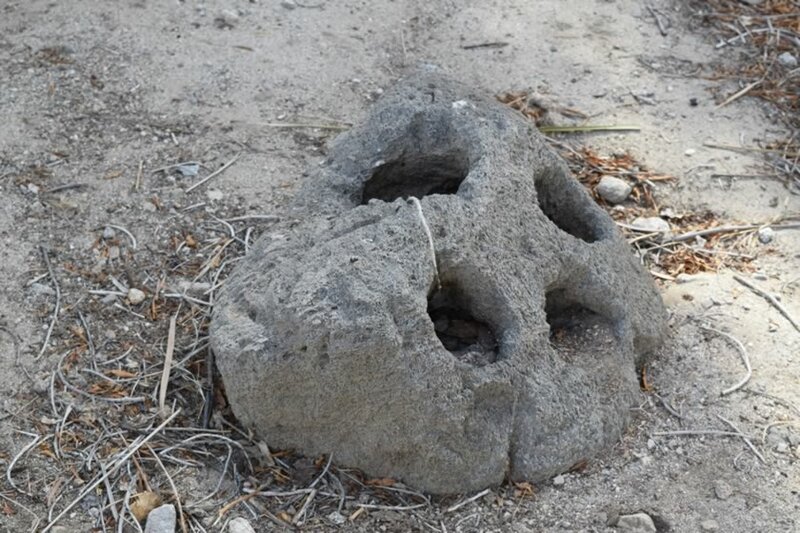 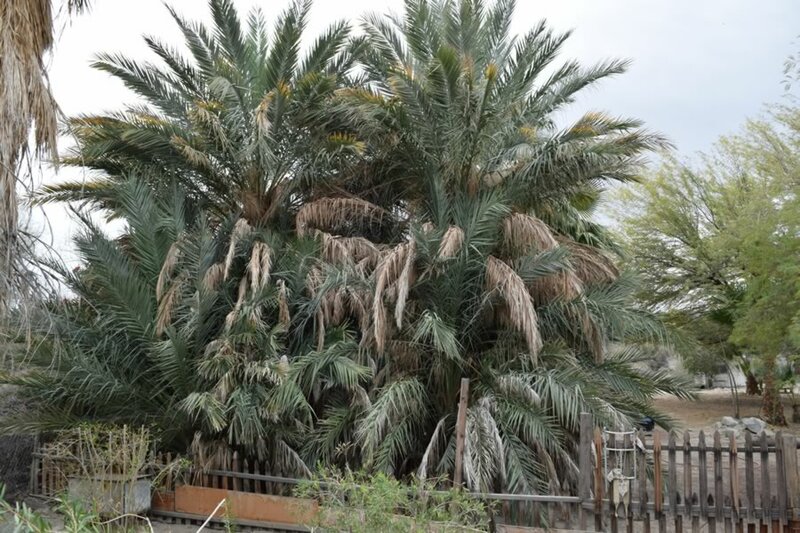 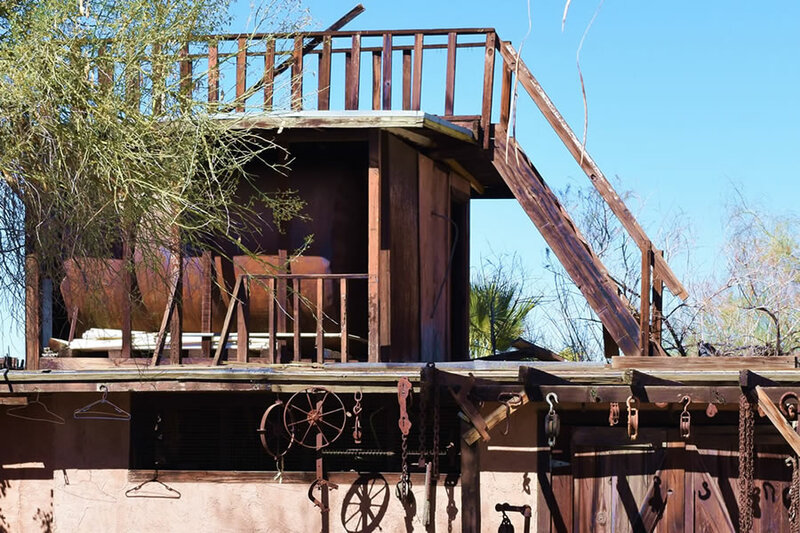 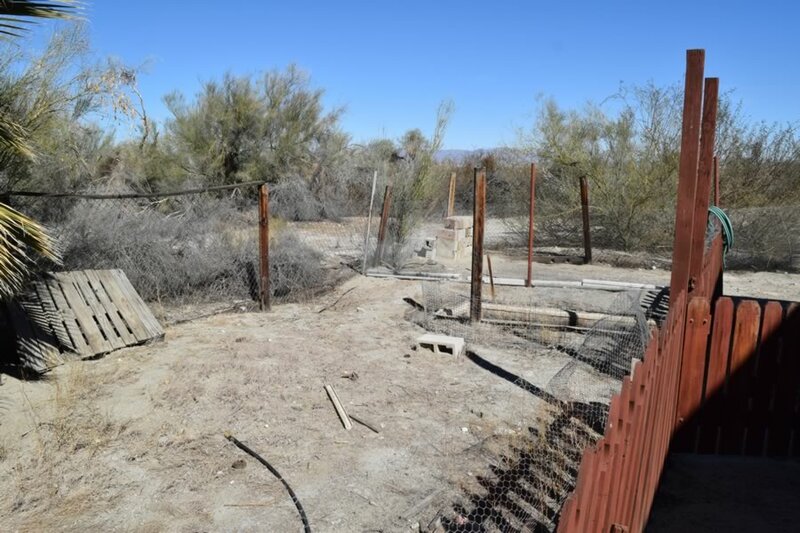 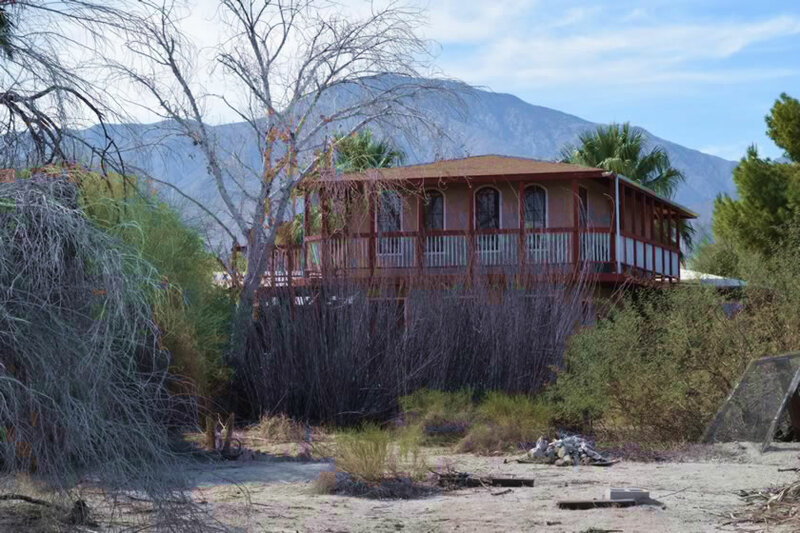 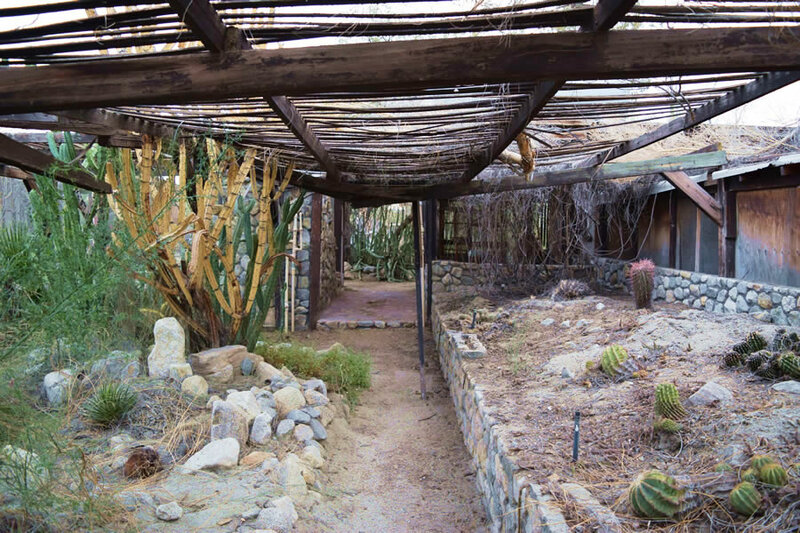 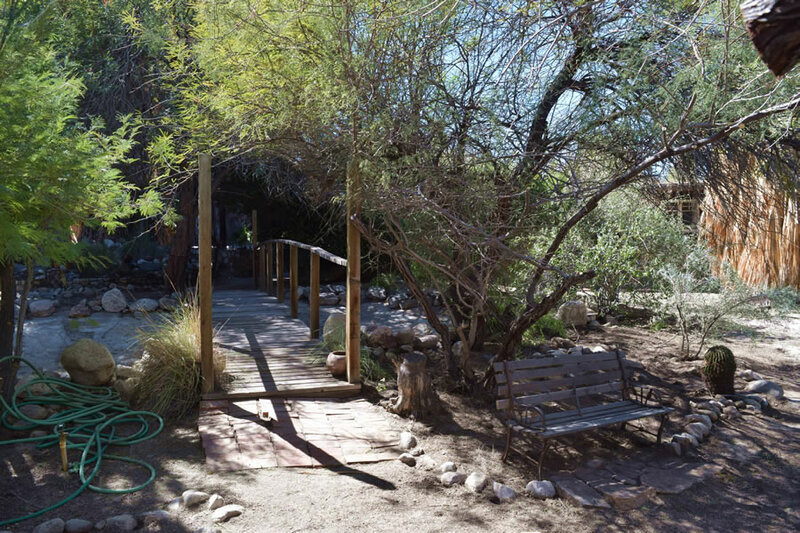 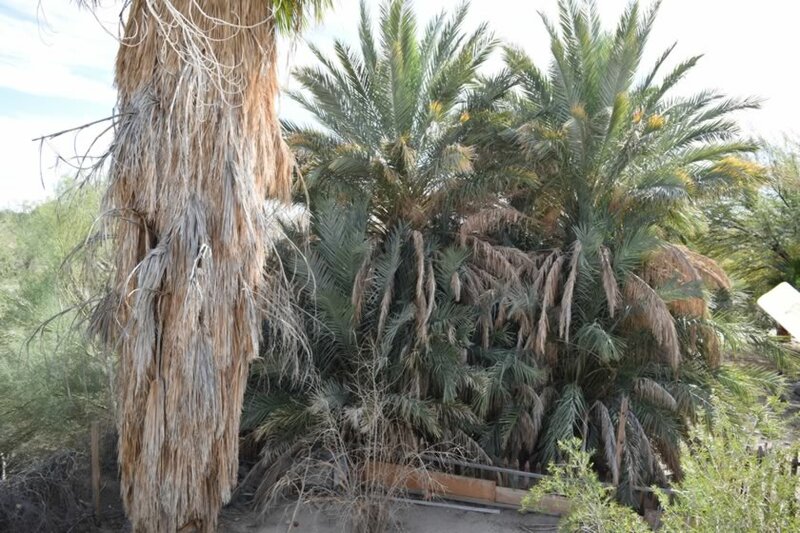 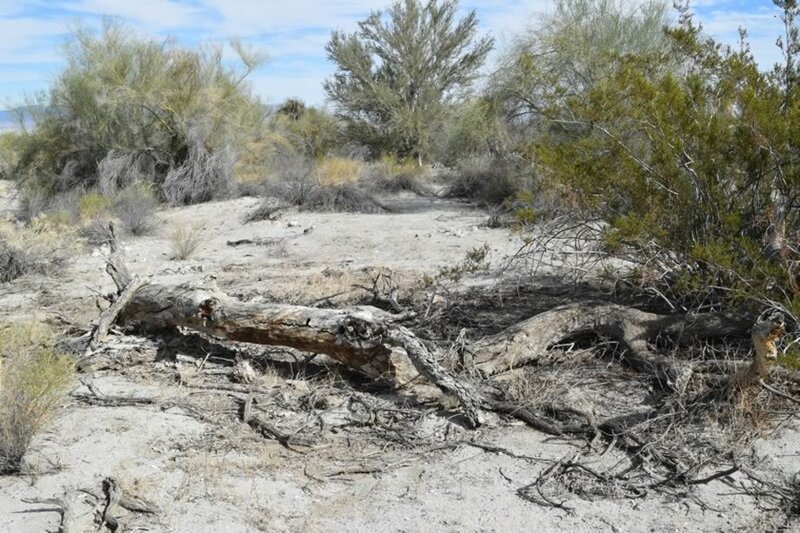 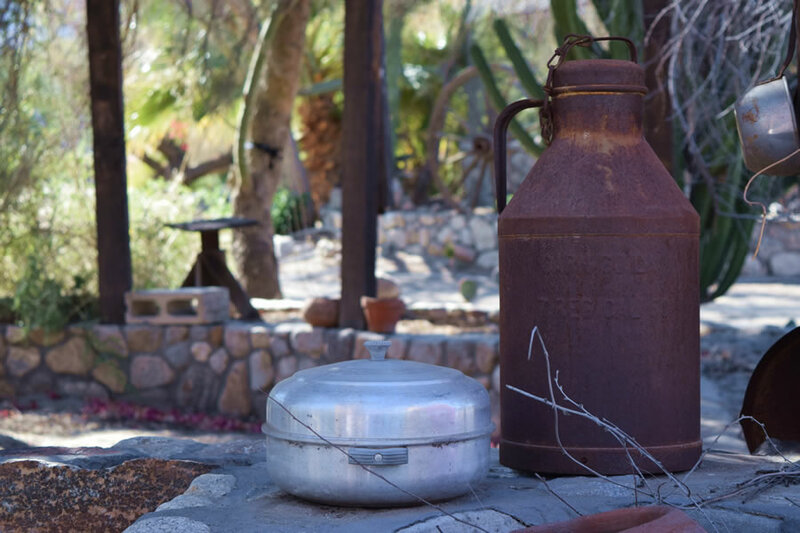 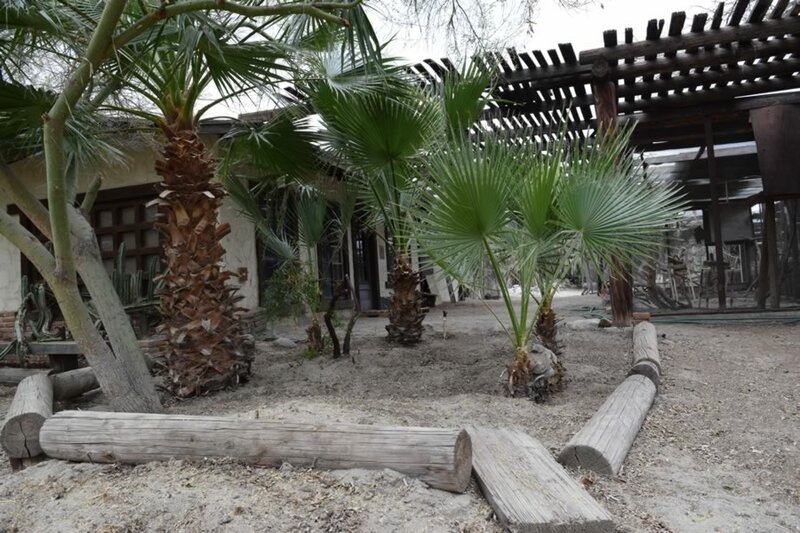 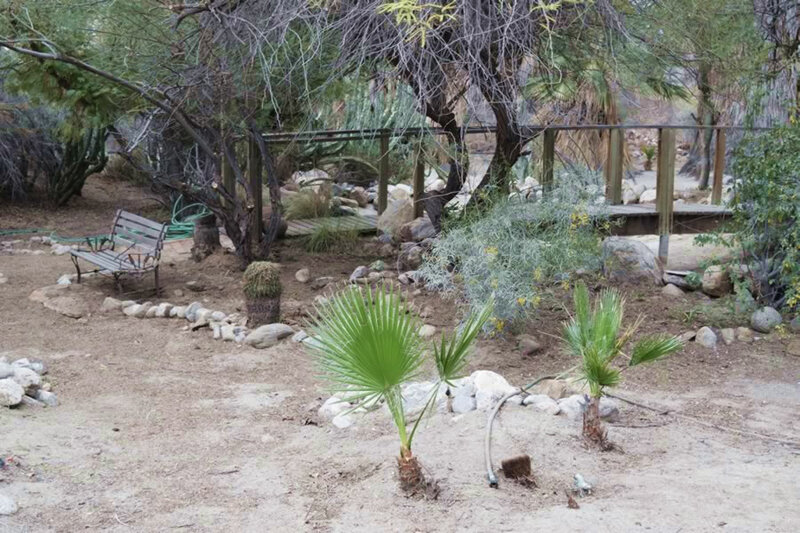 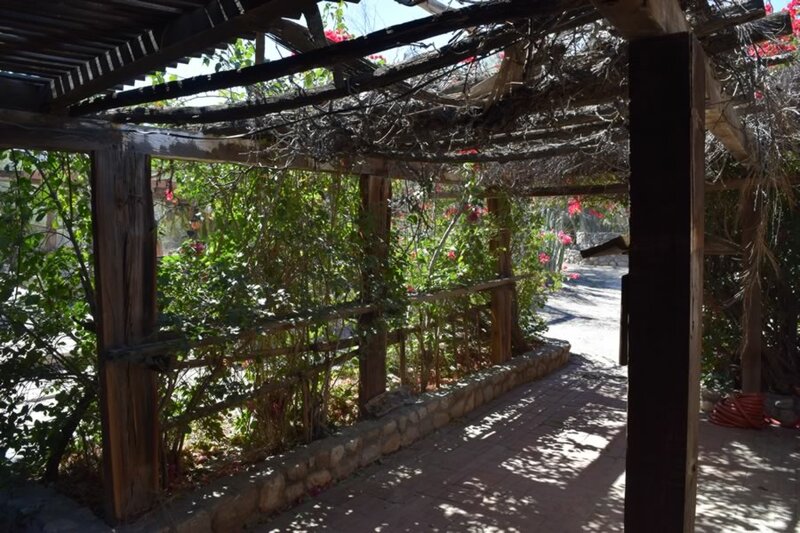 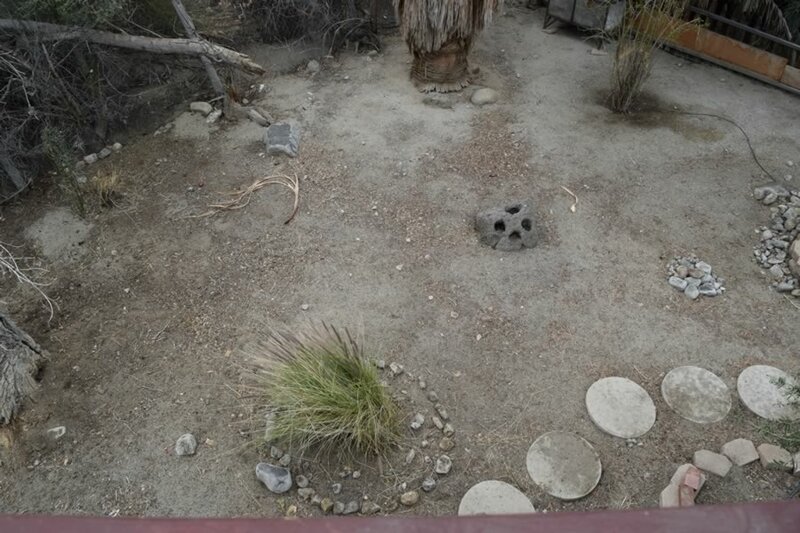 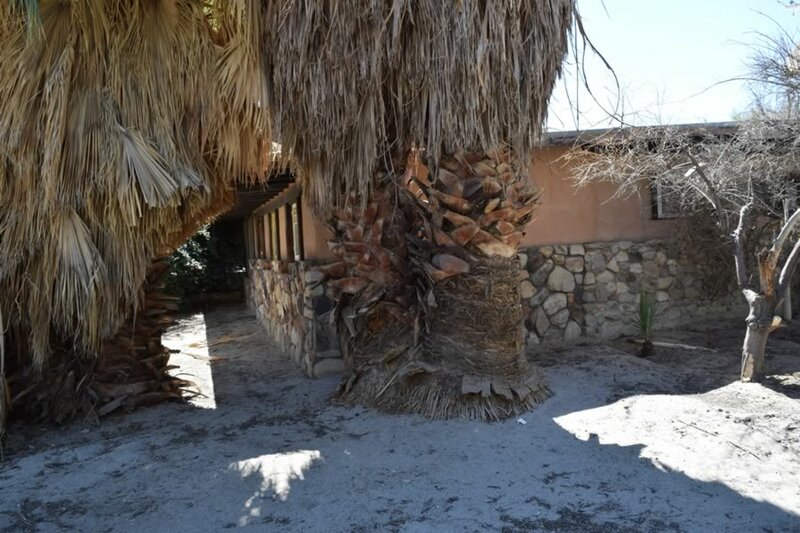 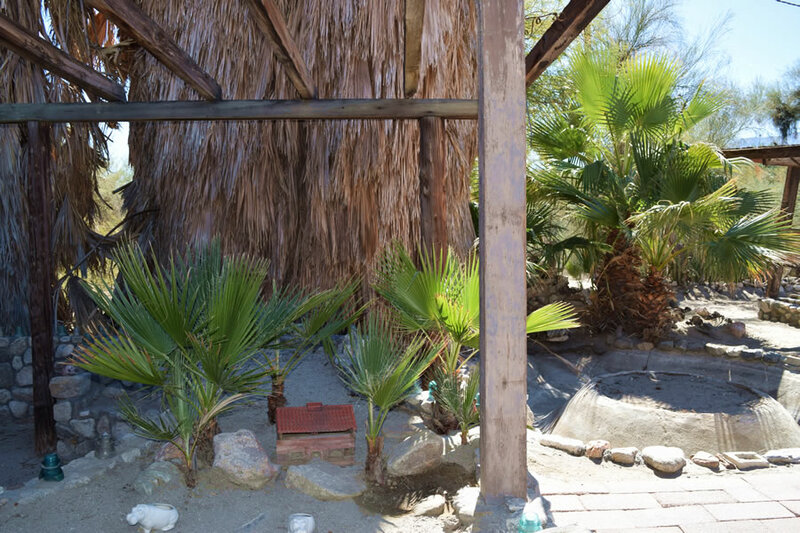 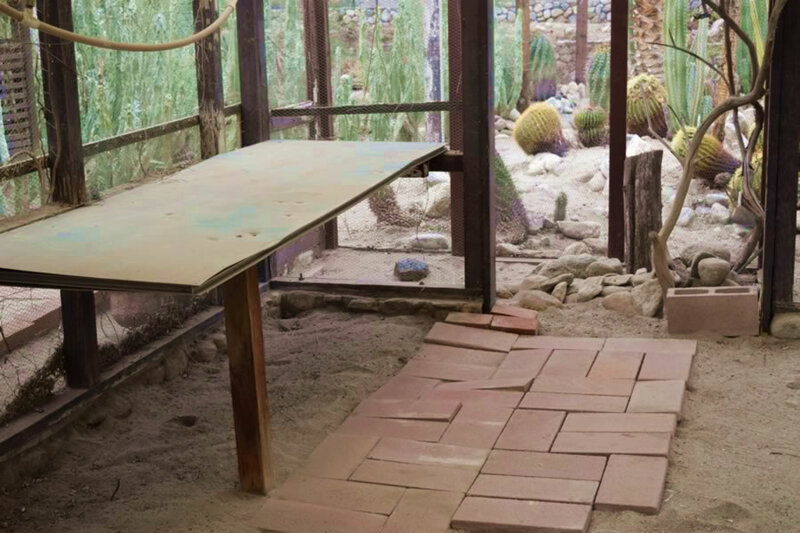 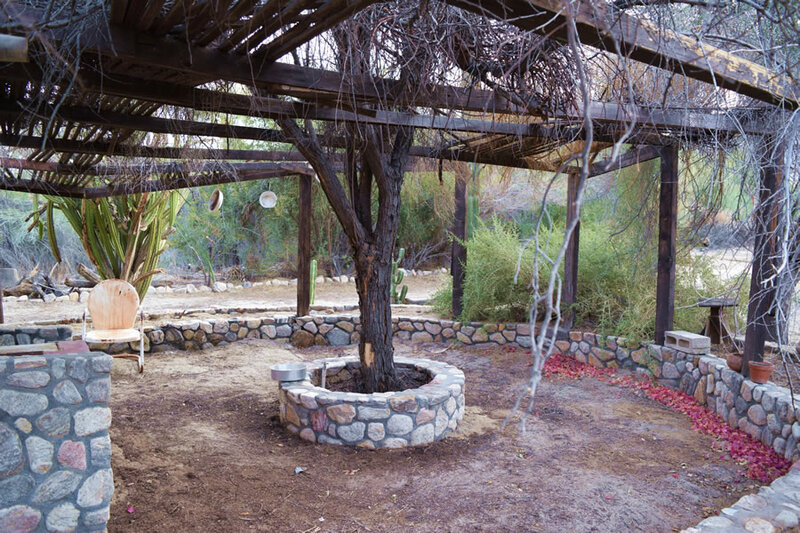 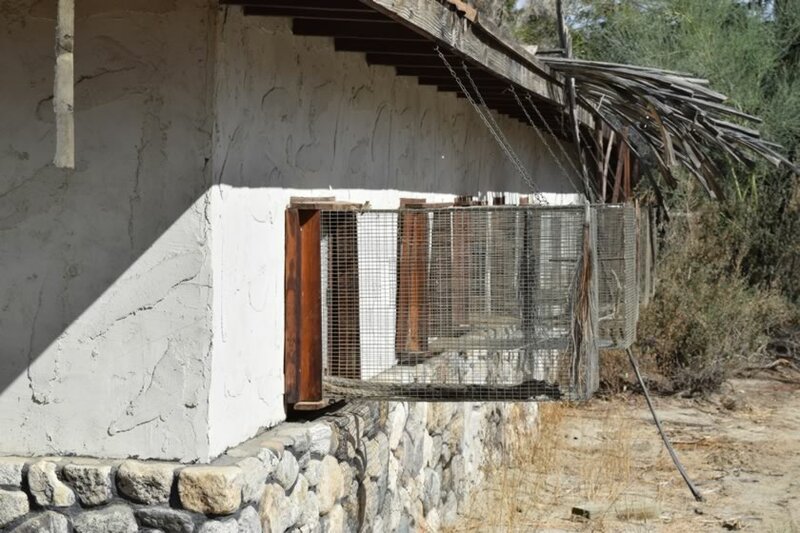 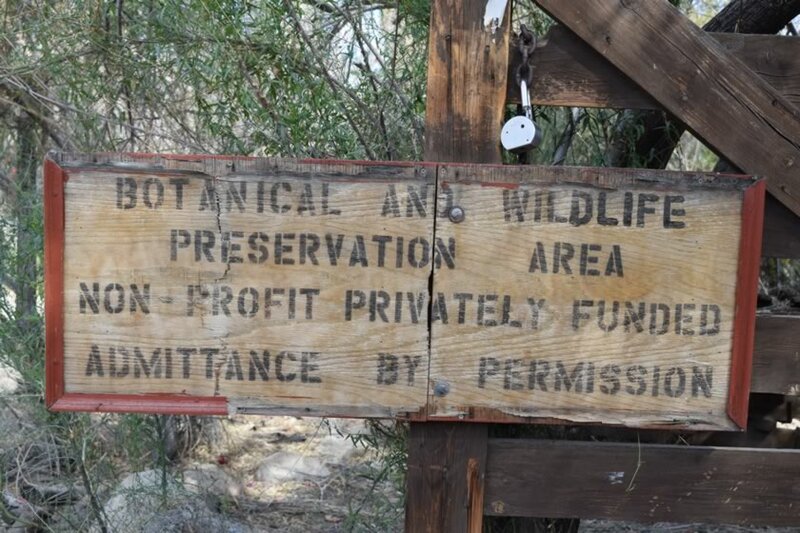 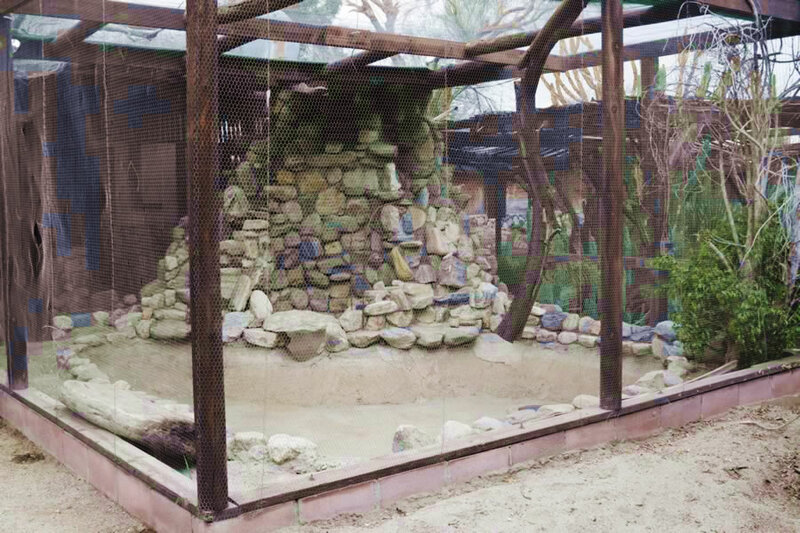 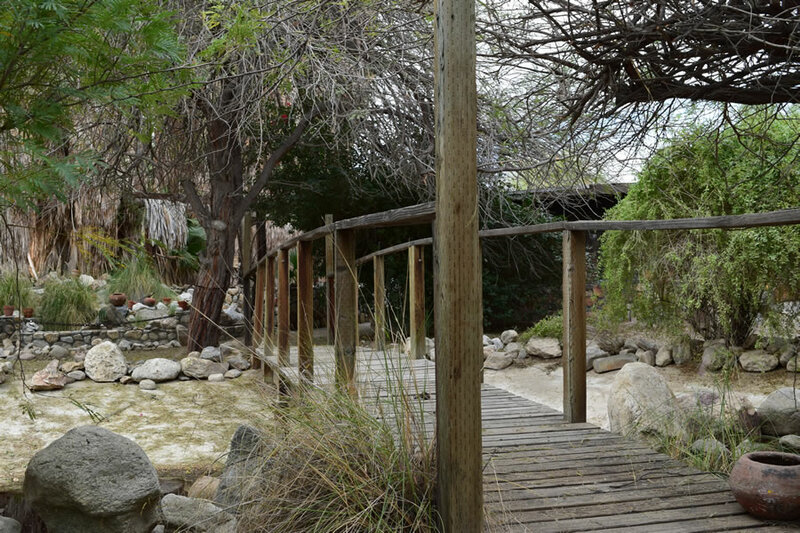 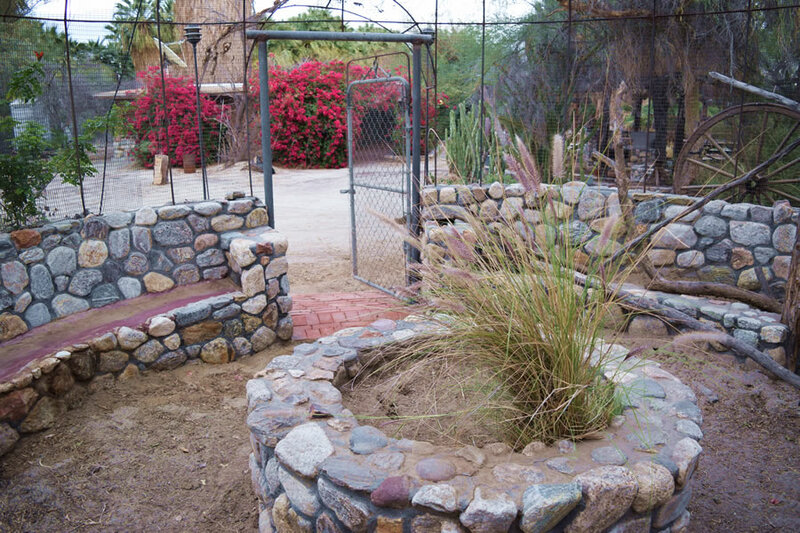 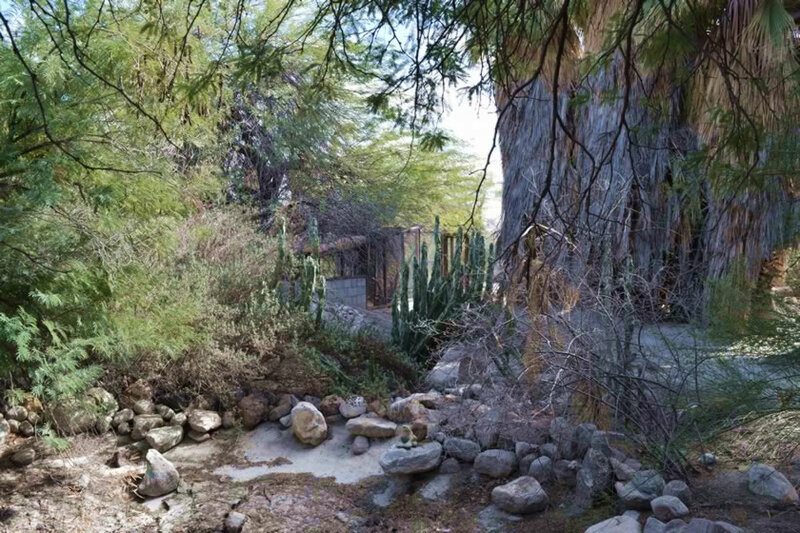 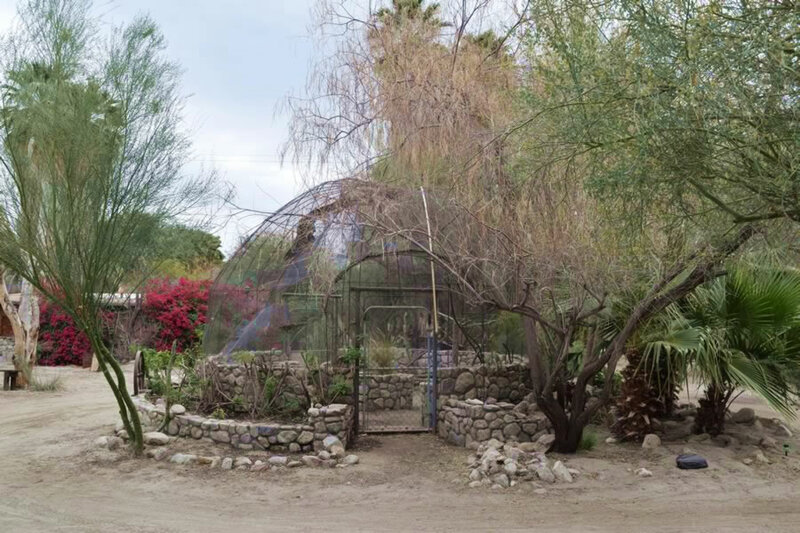 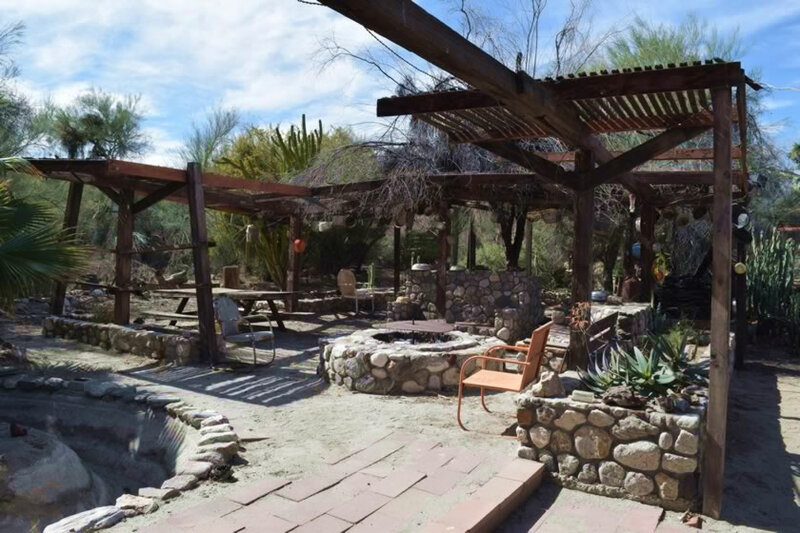 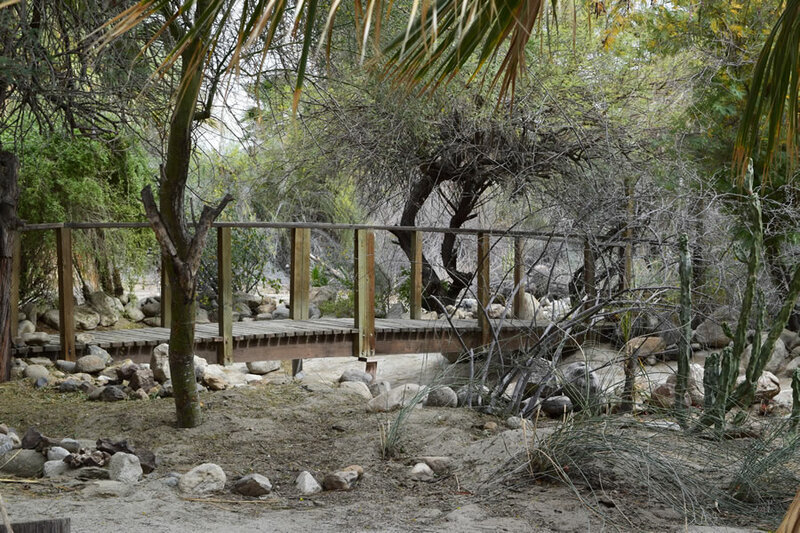 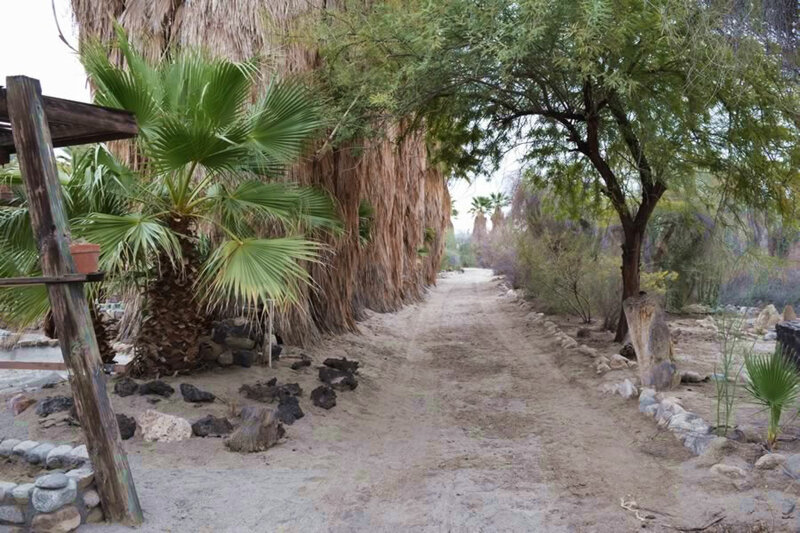 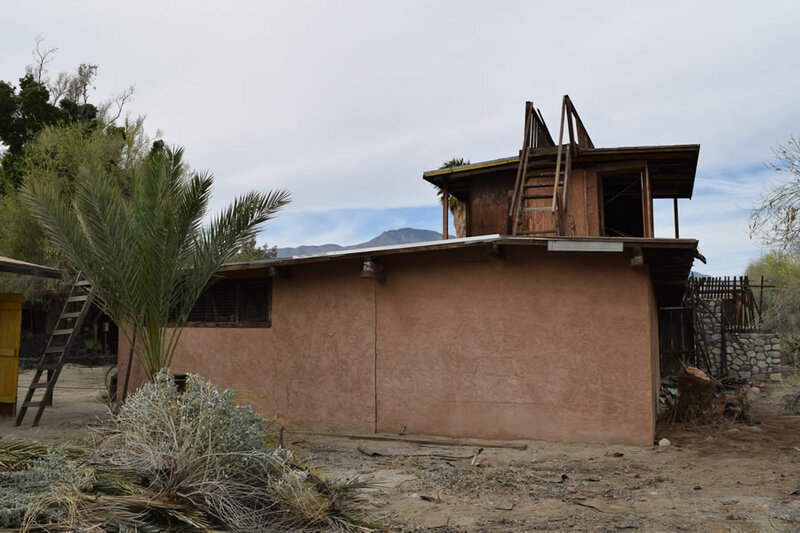 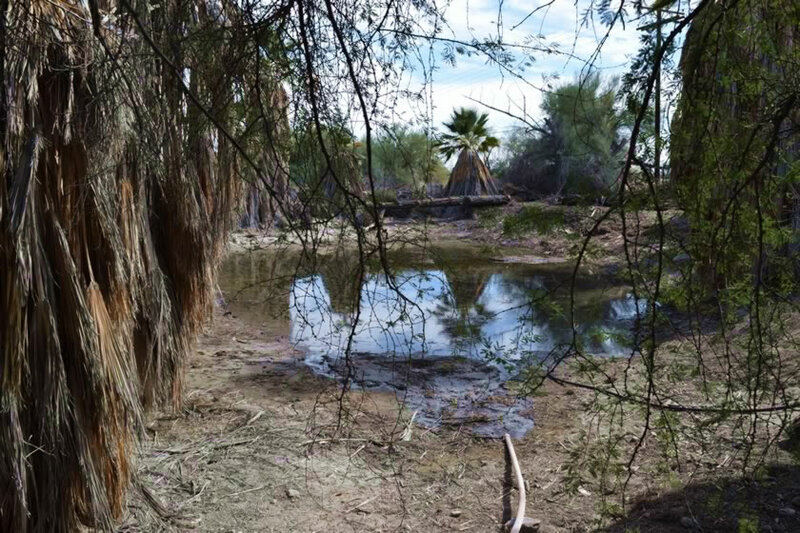 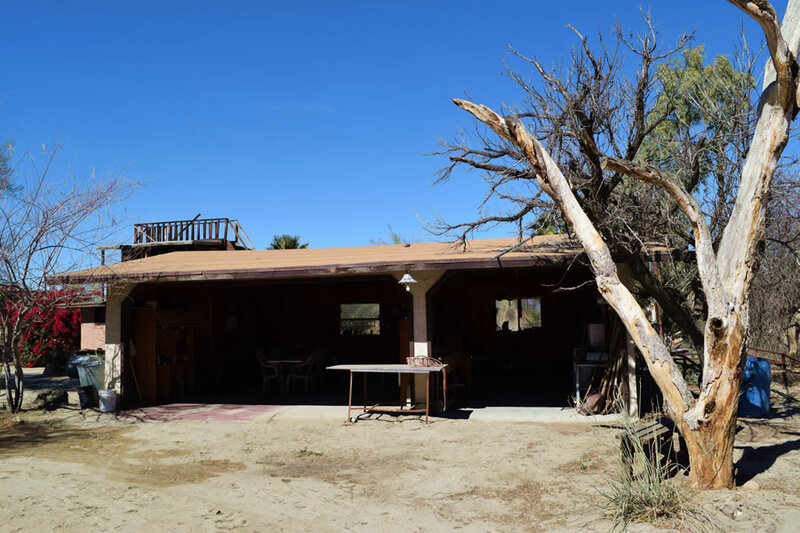 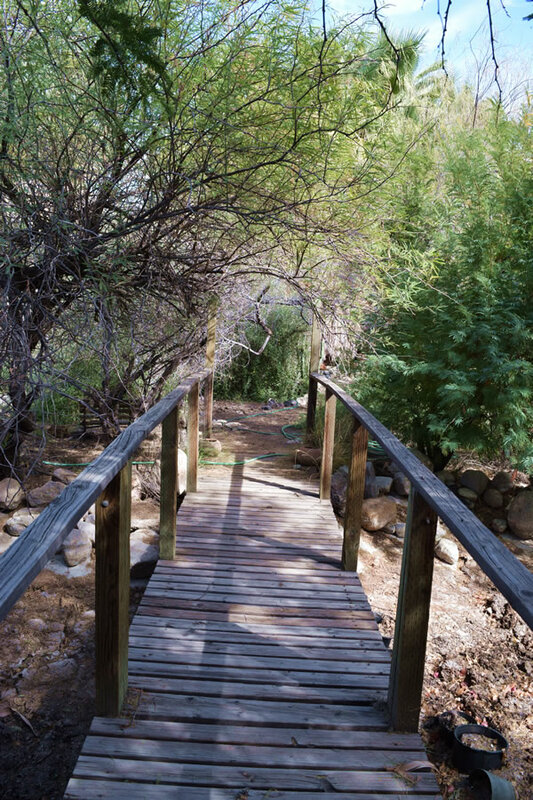 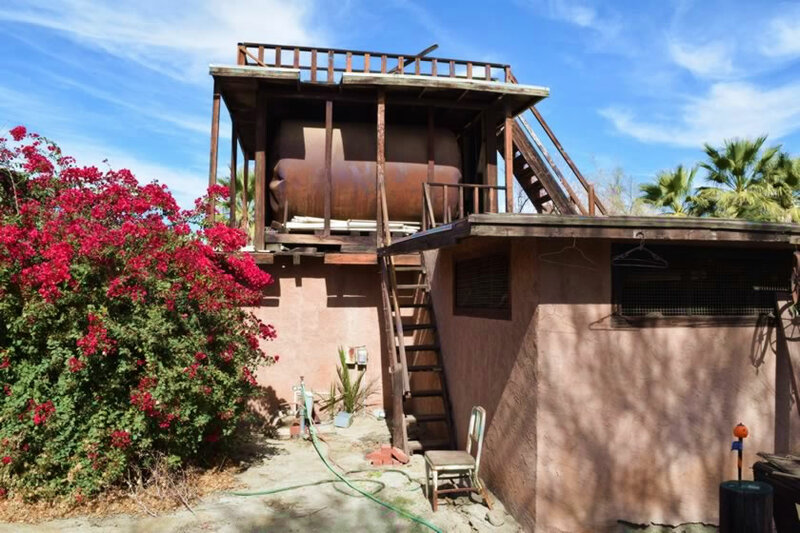 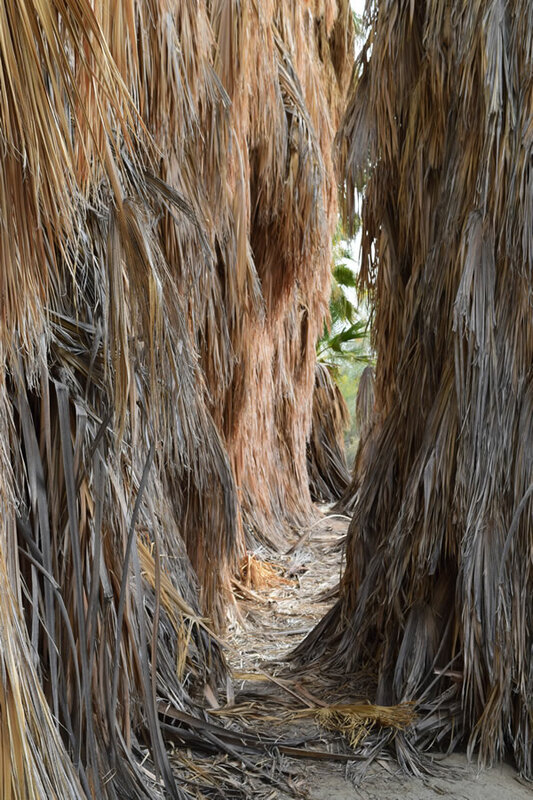 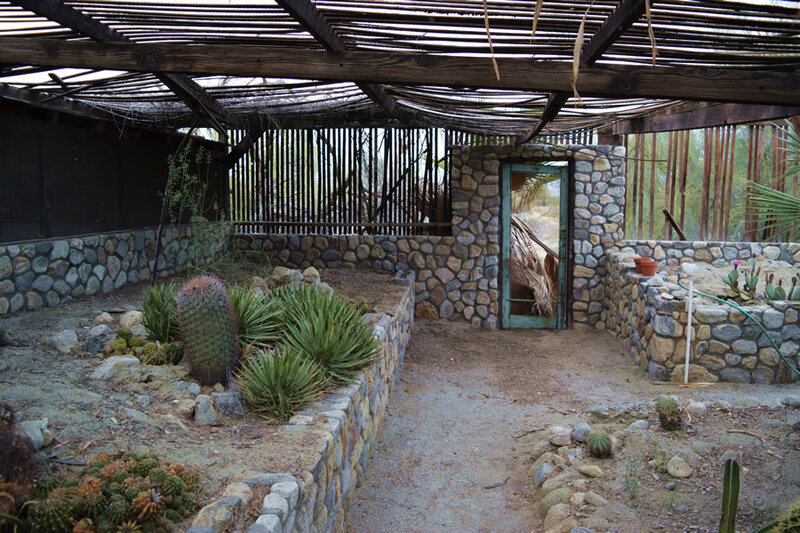 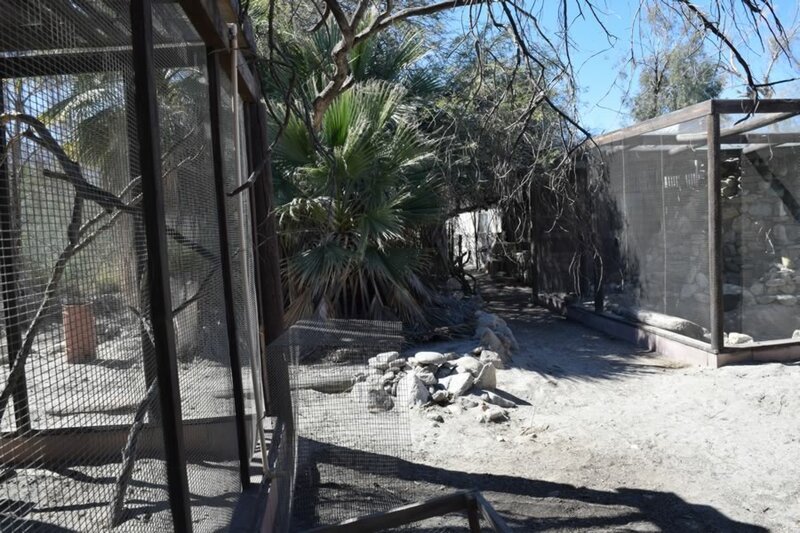 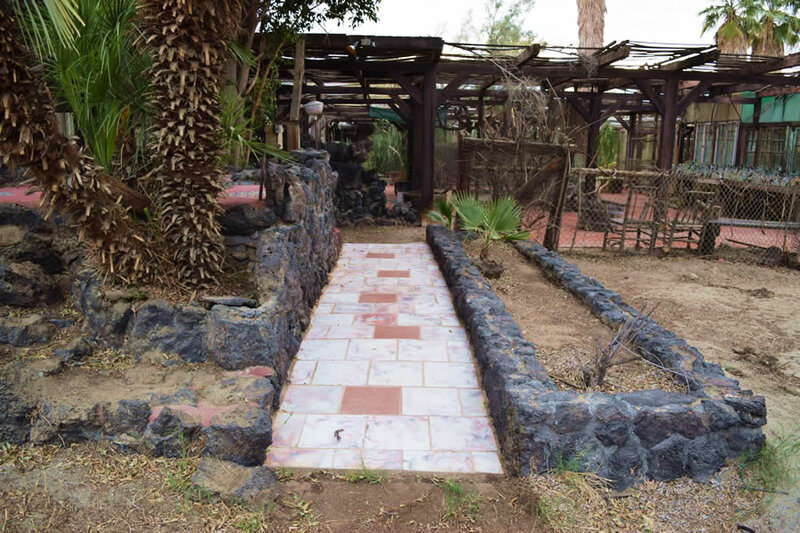 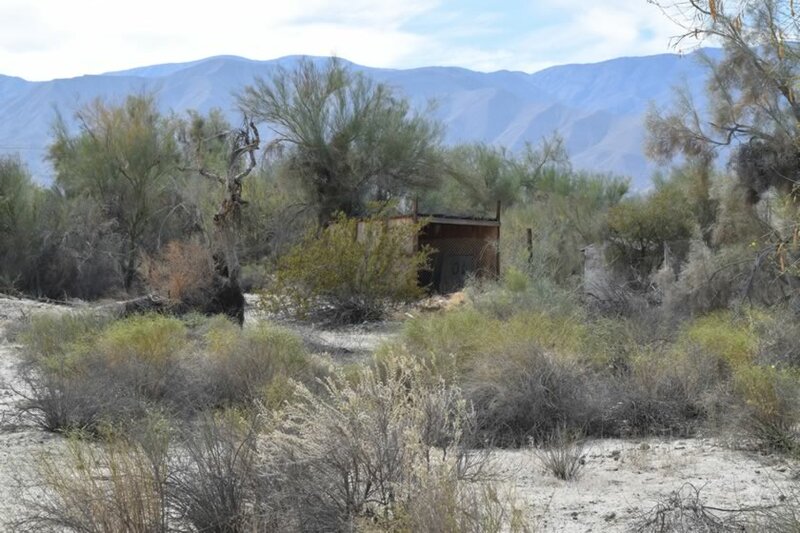 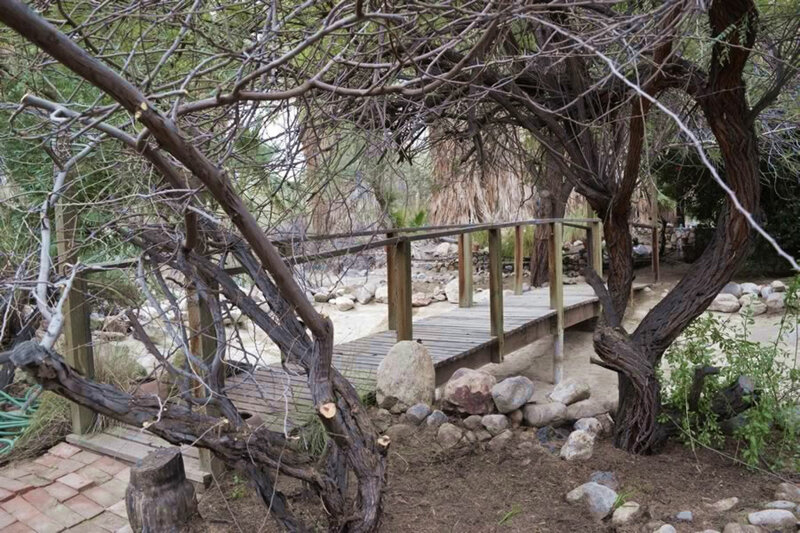 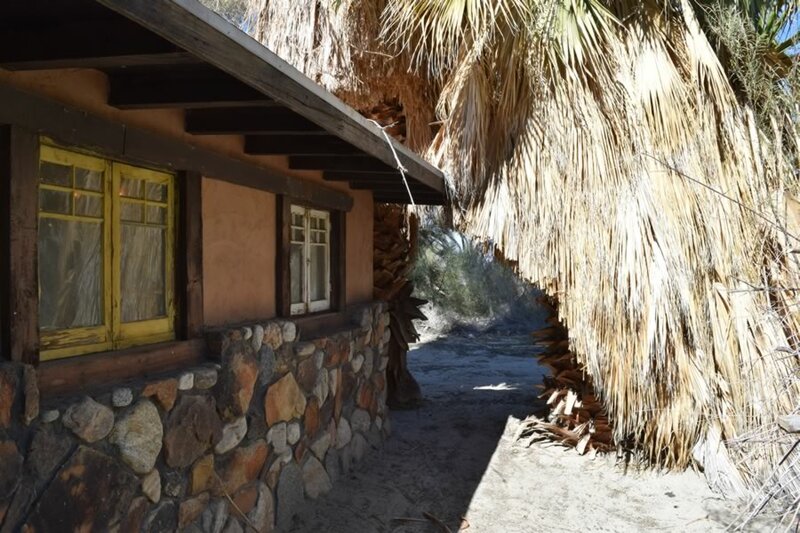 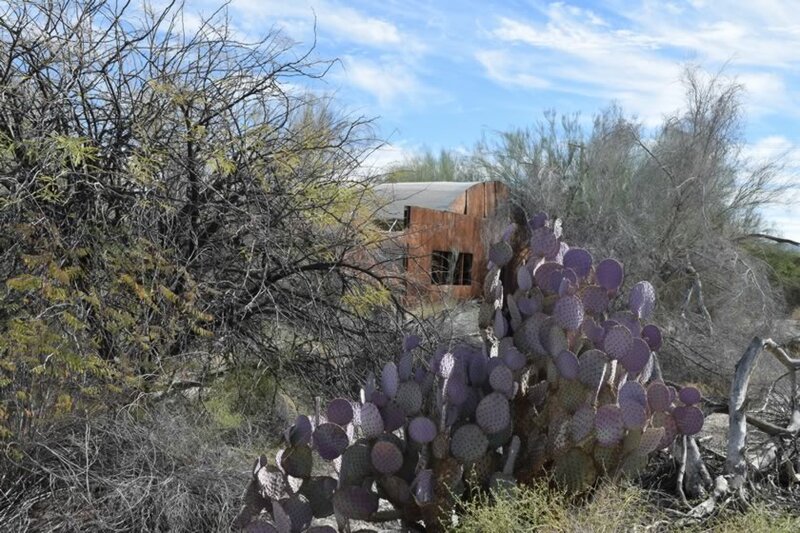 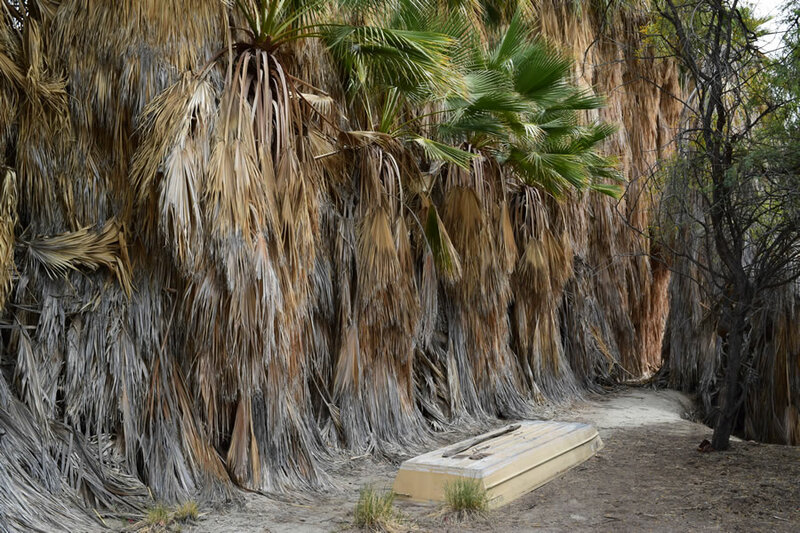 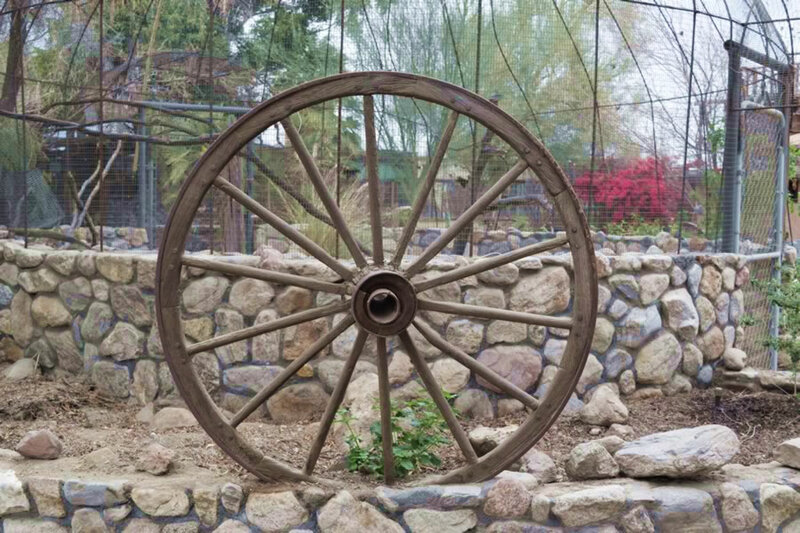 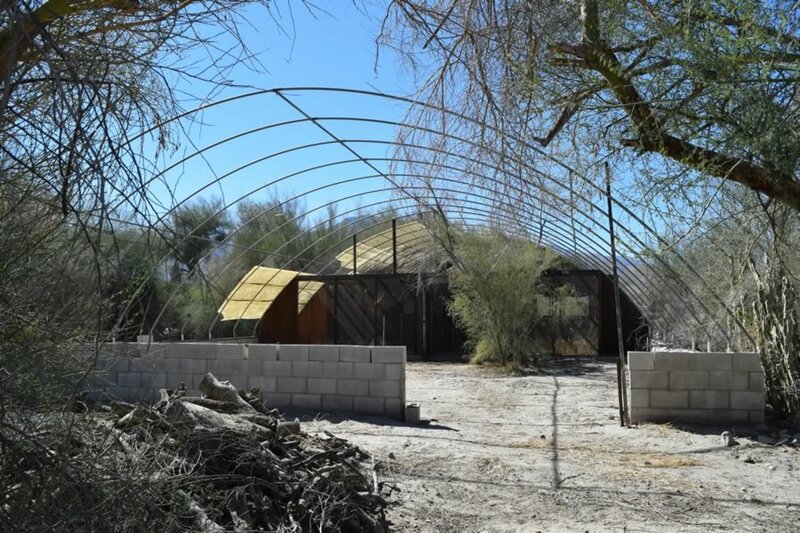 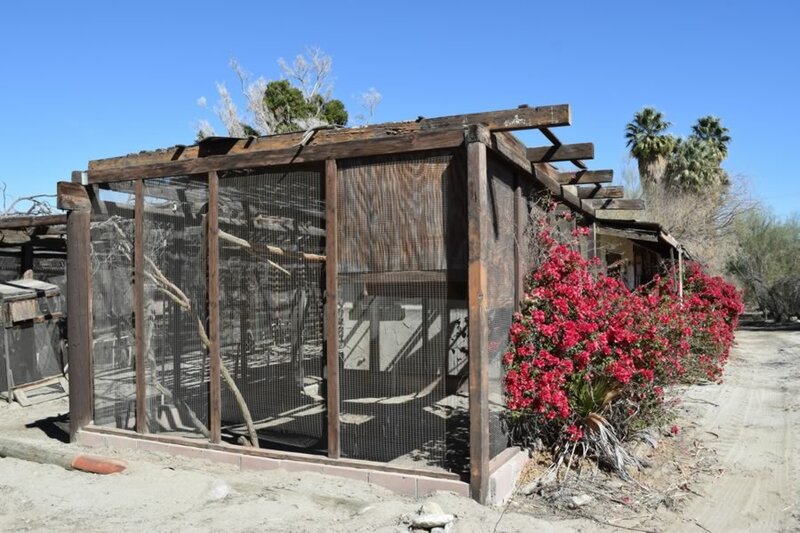 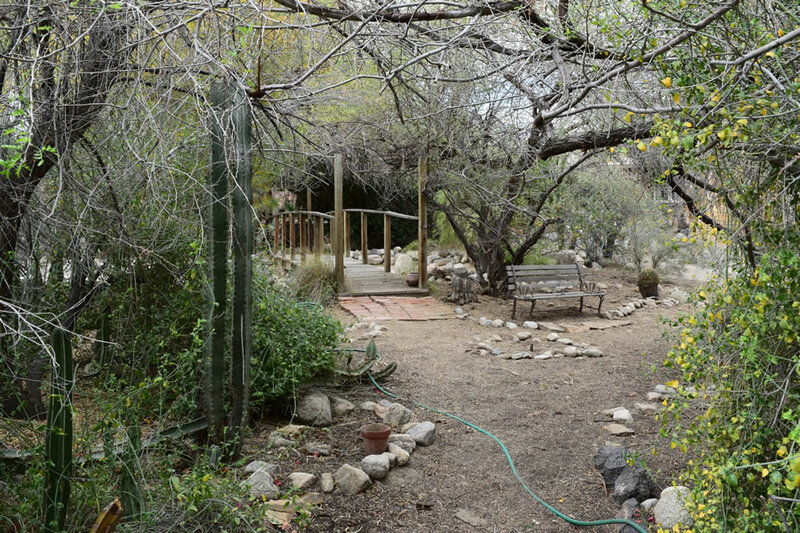 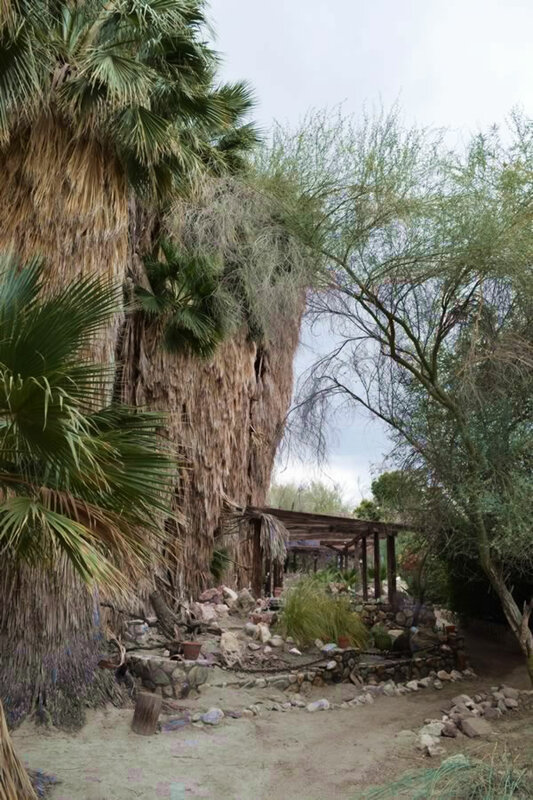 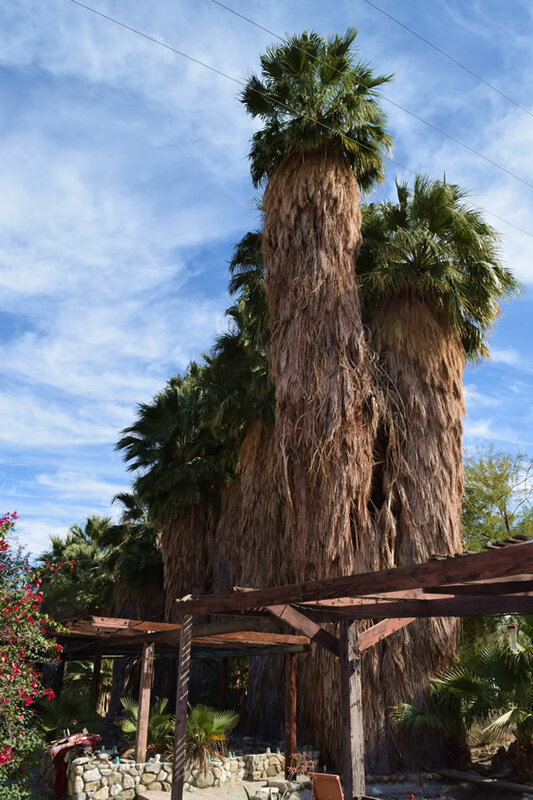 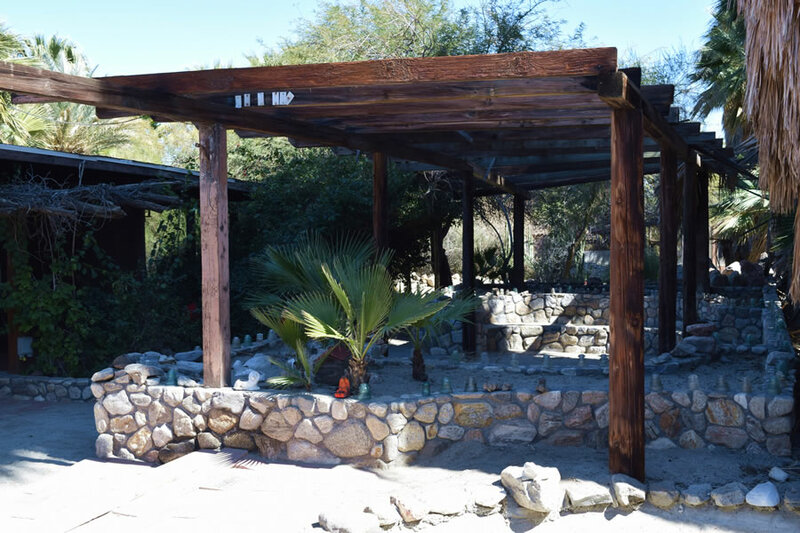 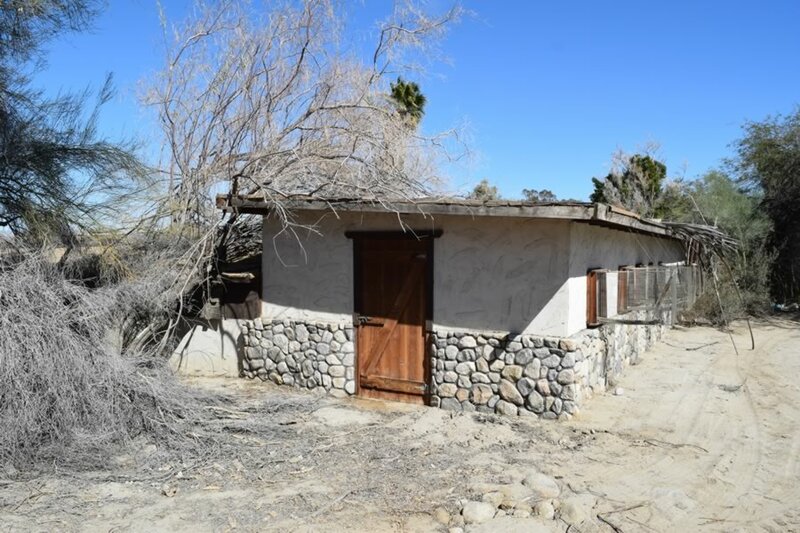 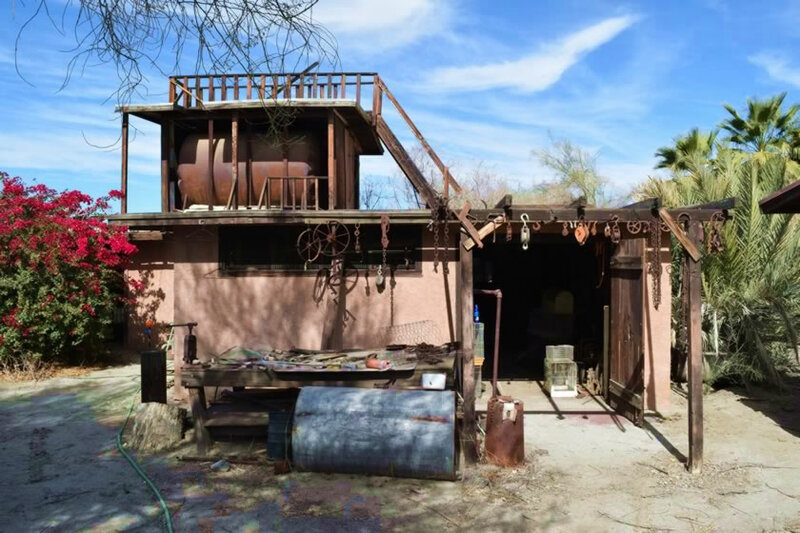 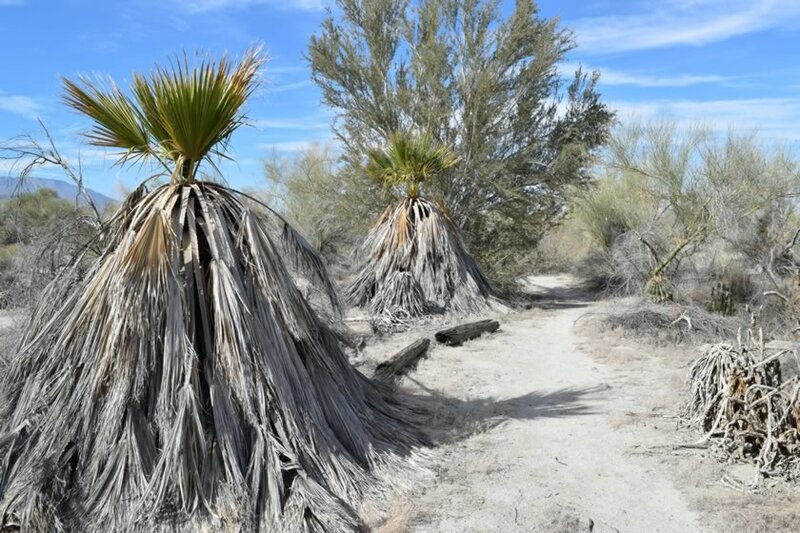 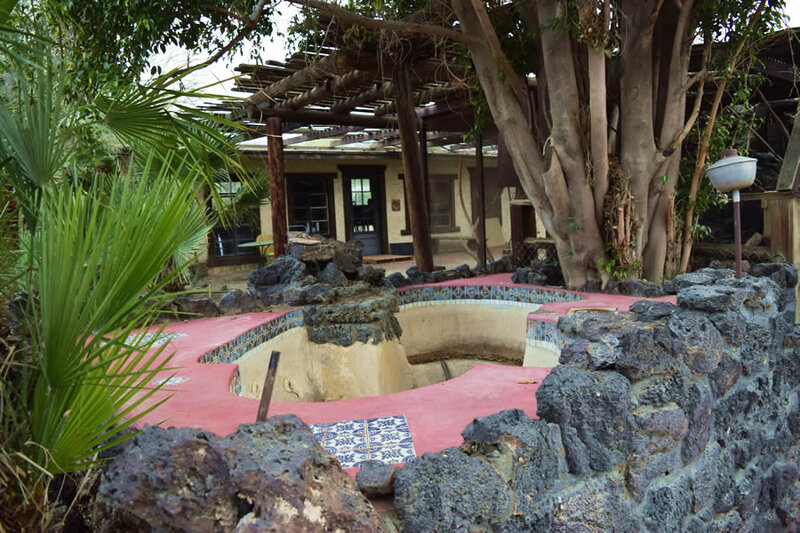 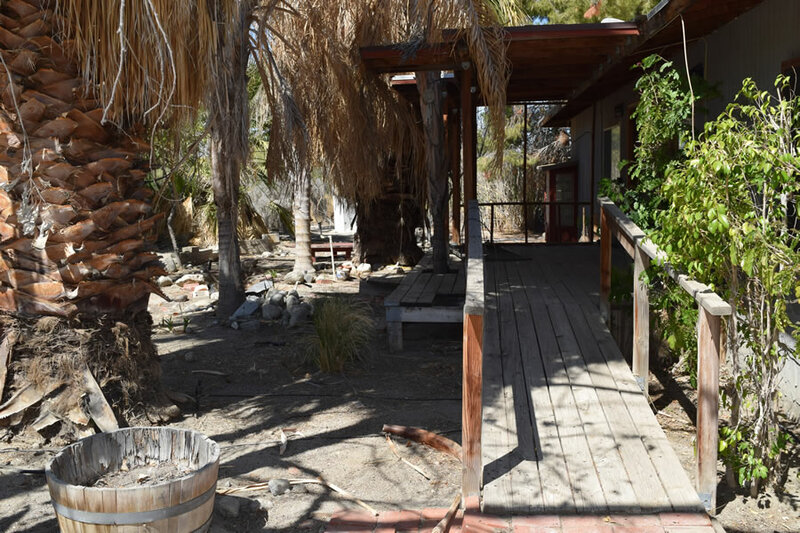 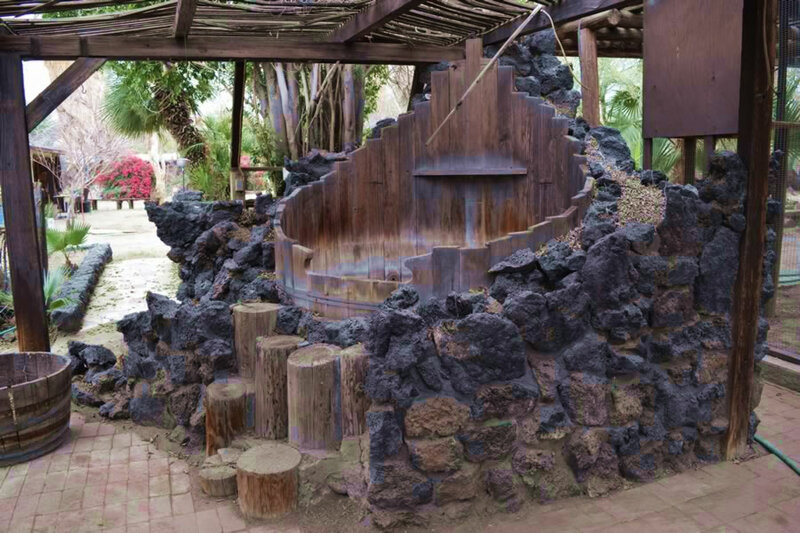 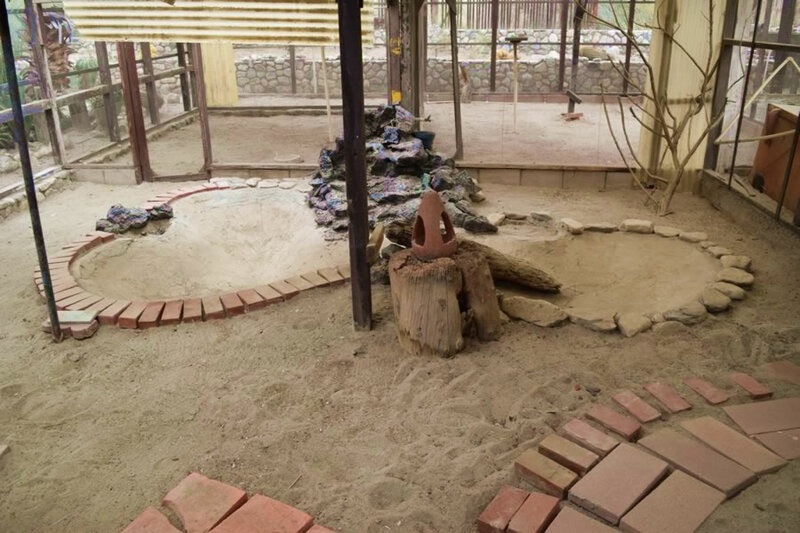 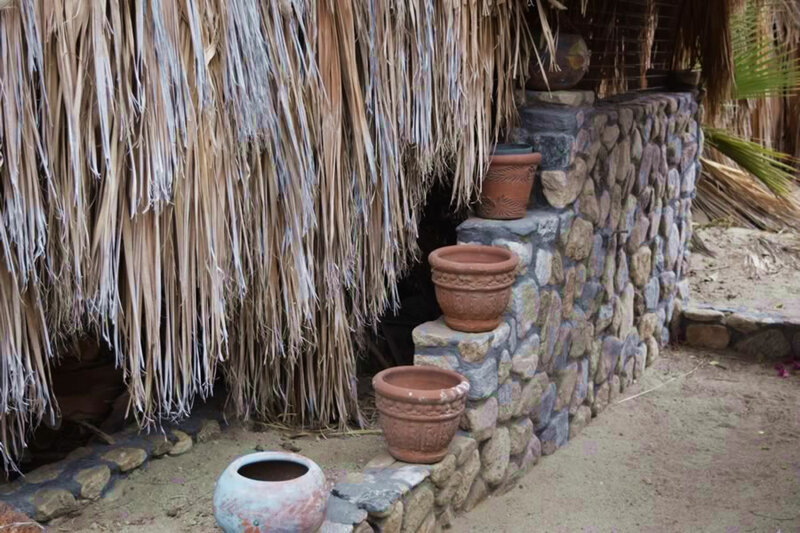 This uninhabited residential compound on the east-side of the Coachella Valley has over 27-acres of contained wilderness with trails to include hidden lagoons, sunken spas, human lava rock formations, California and date palm trees and weather-beaten wooden patios throughout. 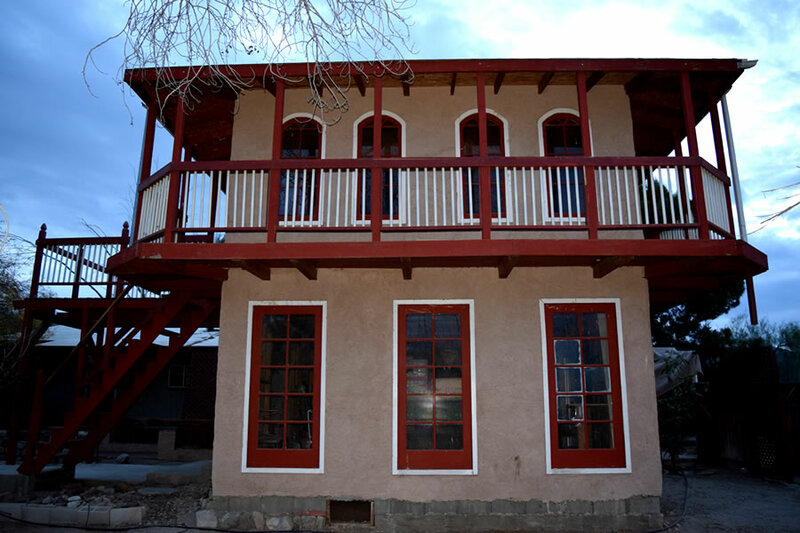 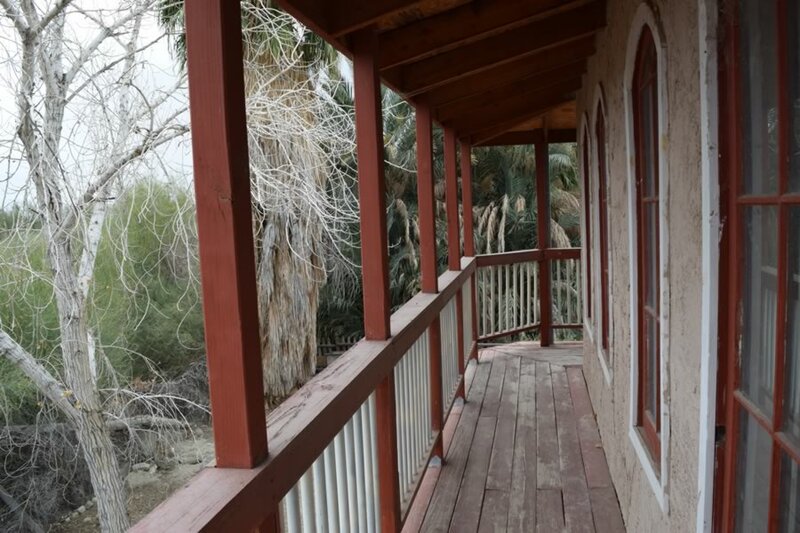 The residences include an empty 3-story “Bates Motel” Victorian-style home with picketed fence gardens and fantastic views. 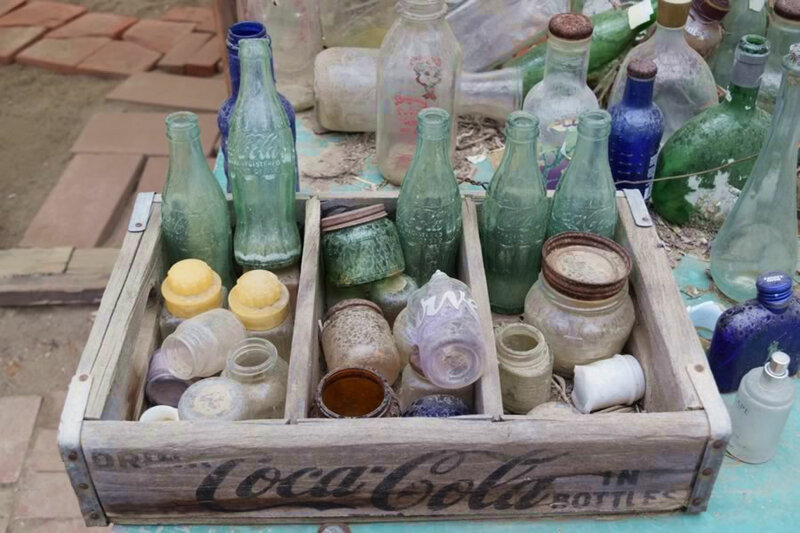 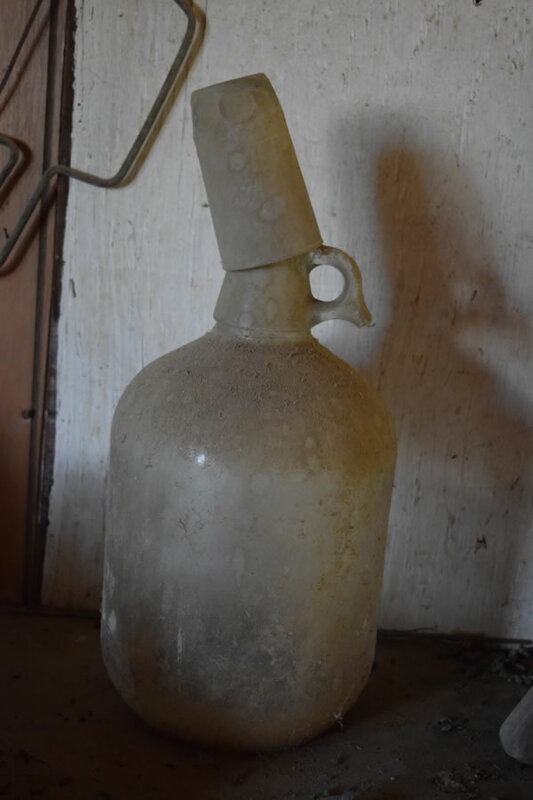 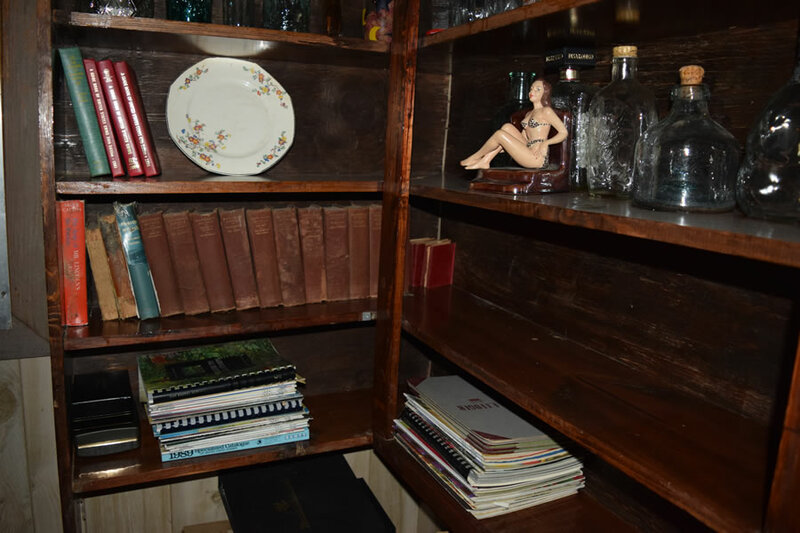 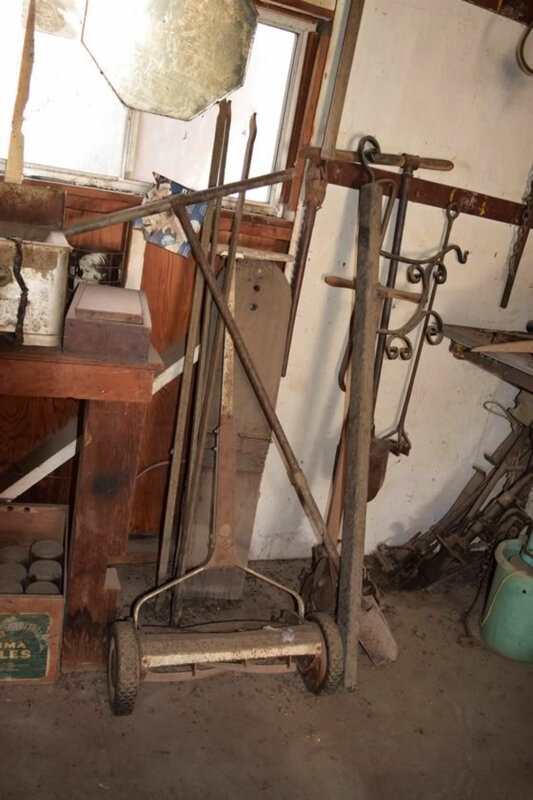 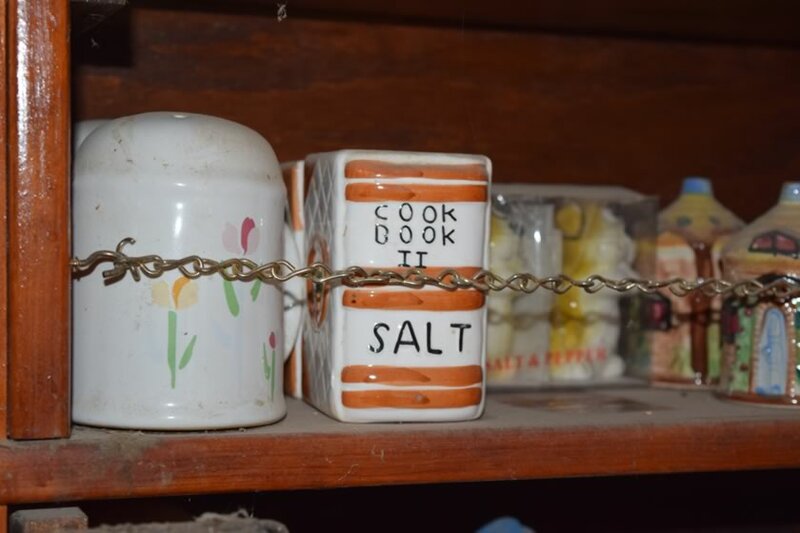 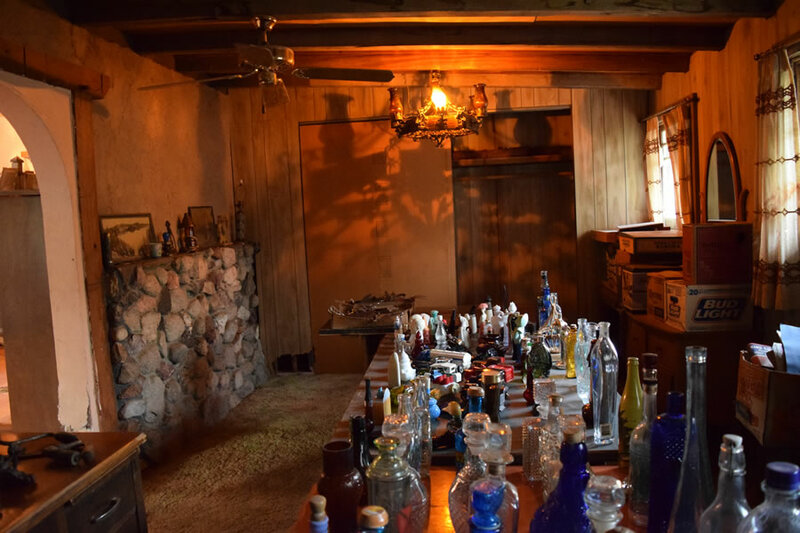 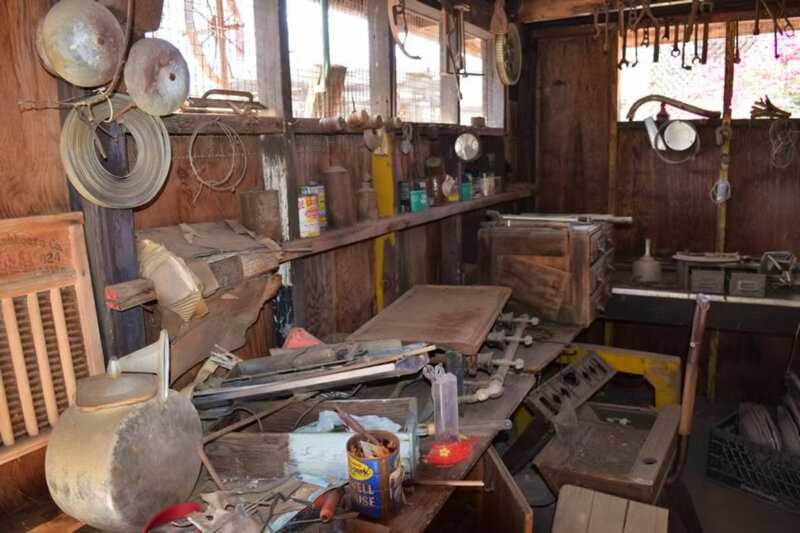 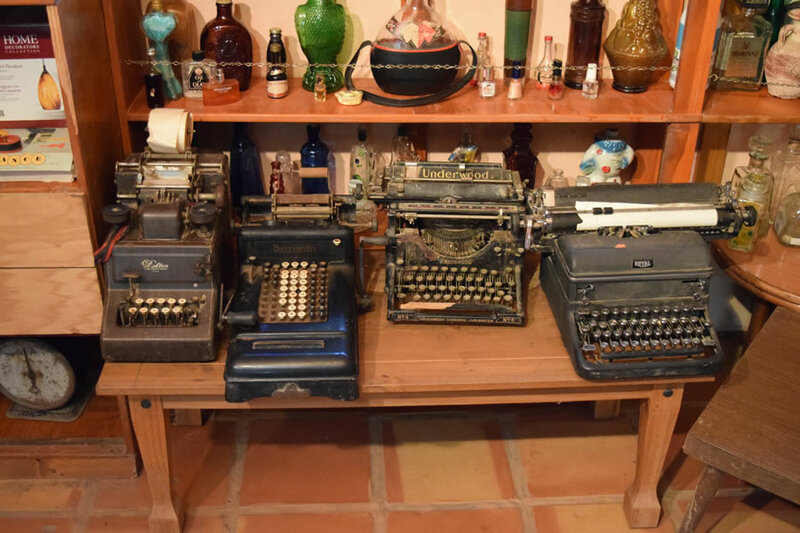 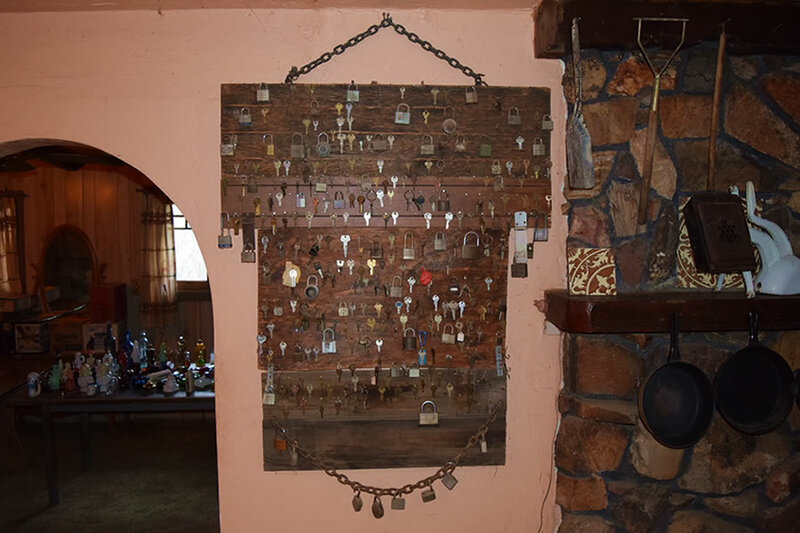 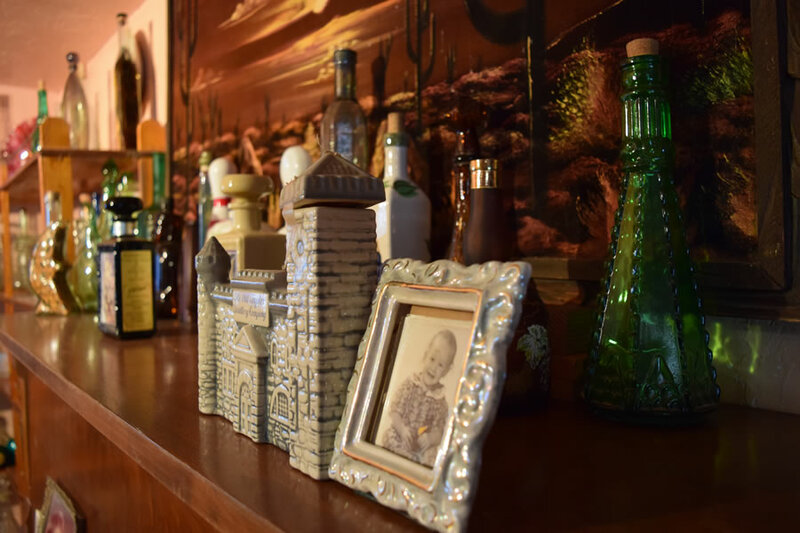 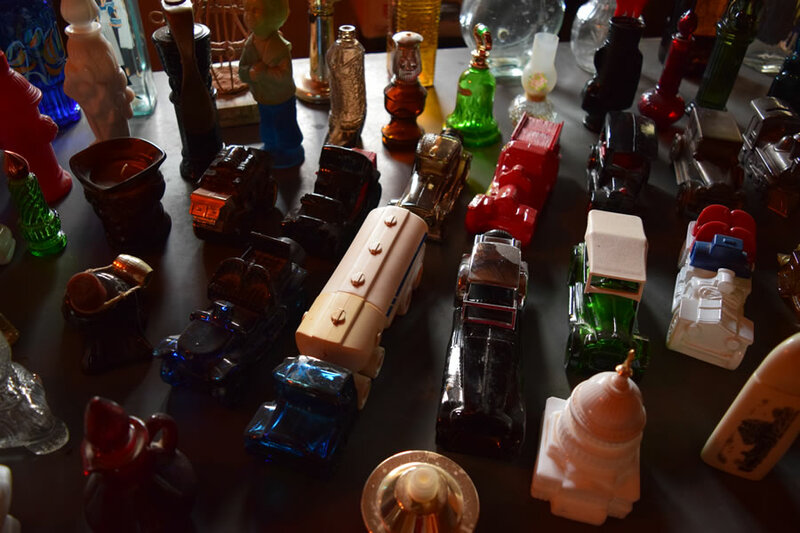 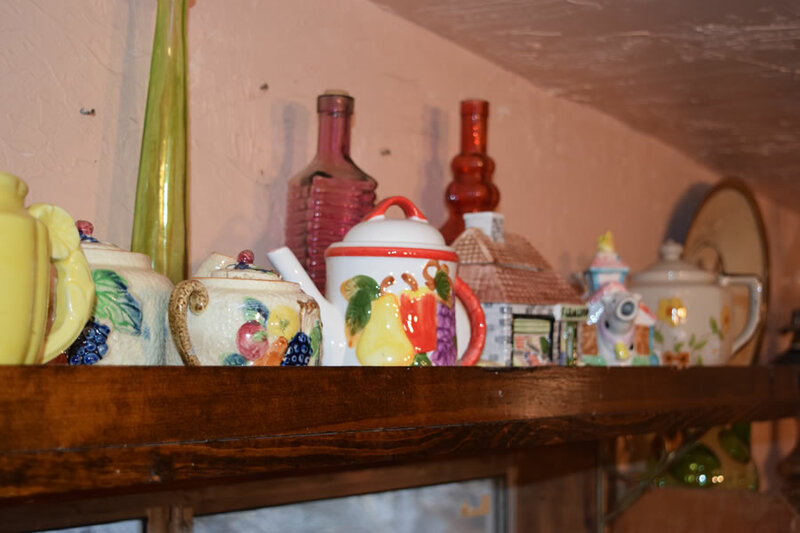 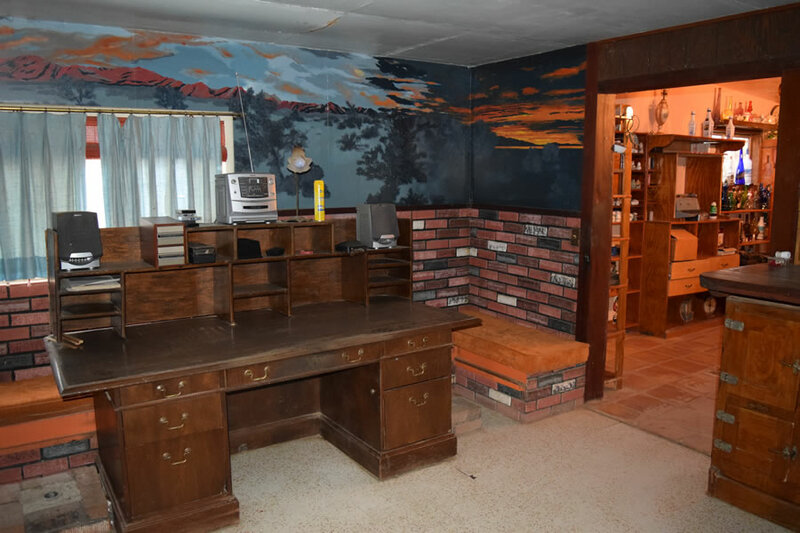 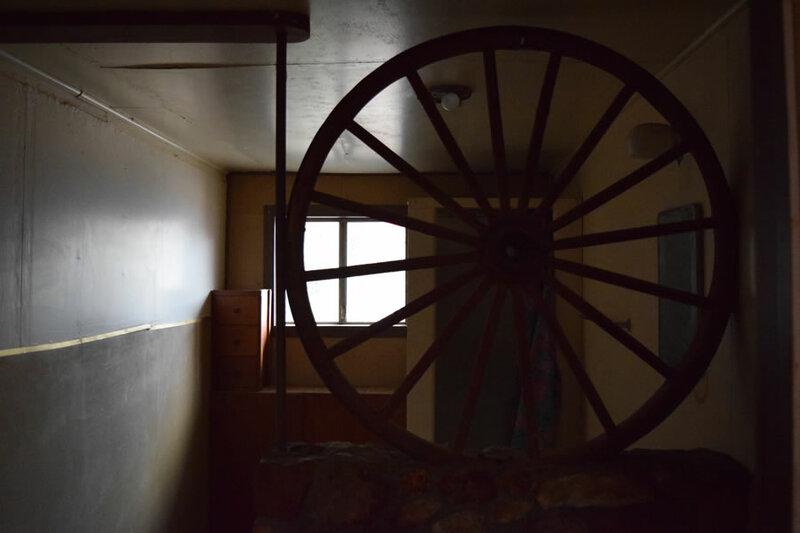 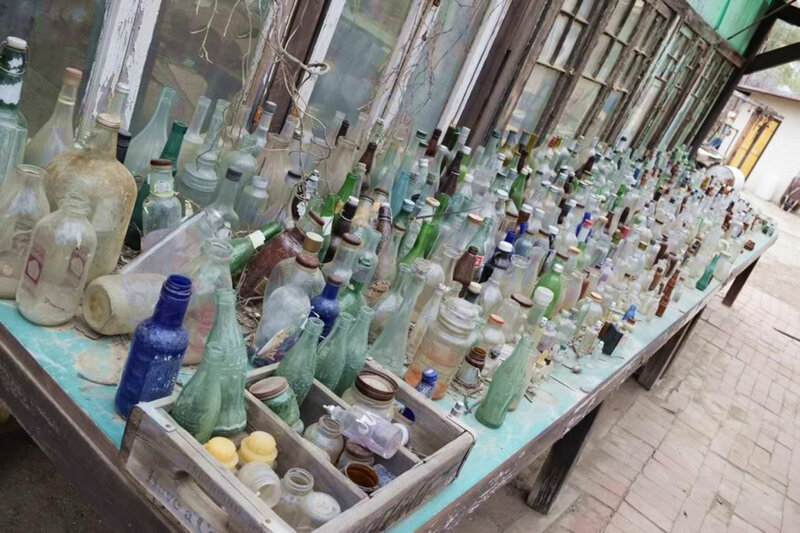 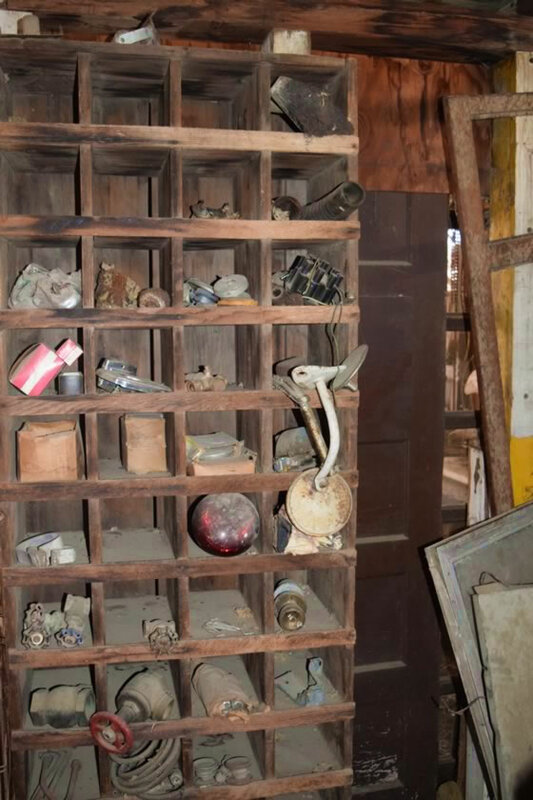 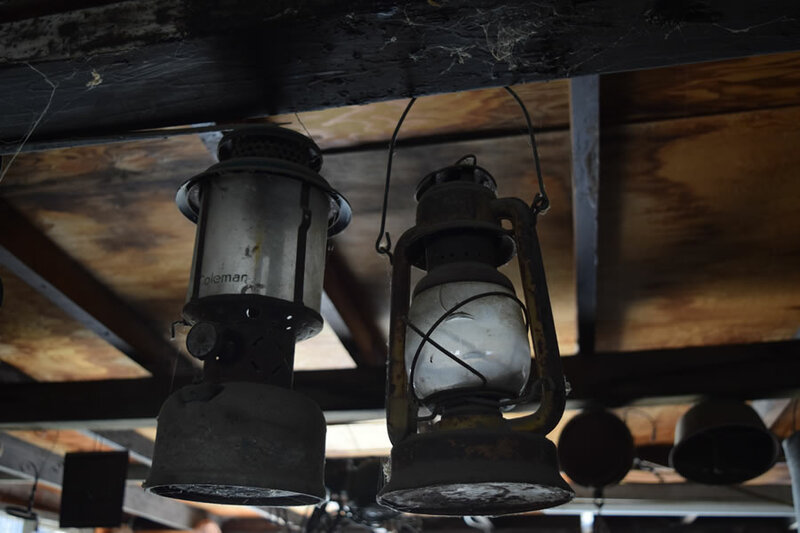 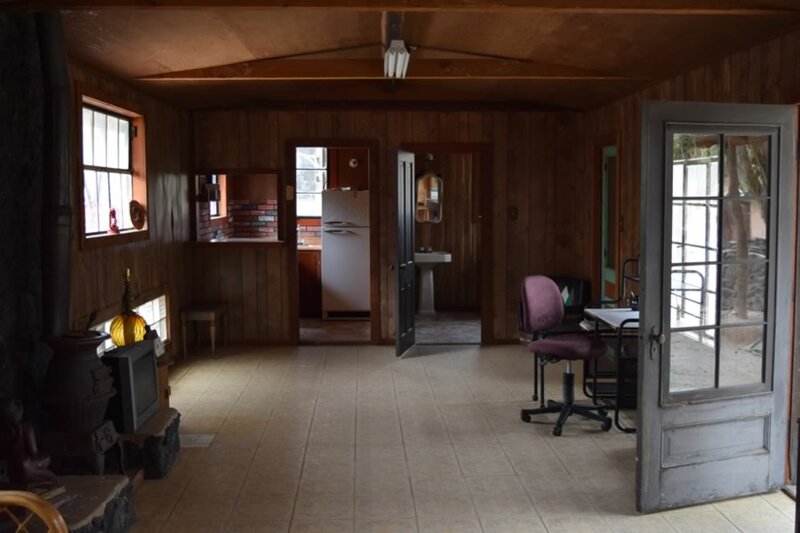 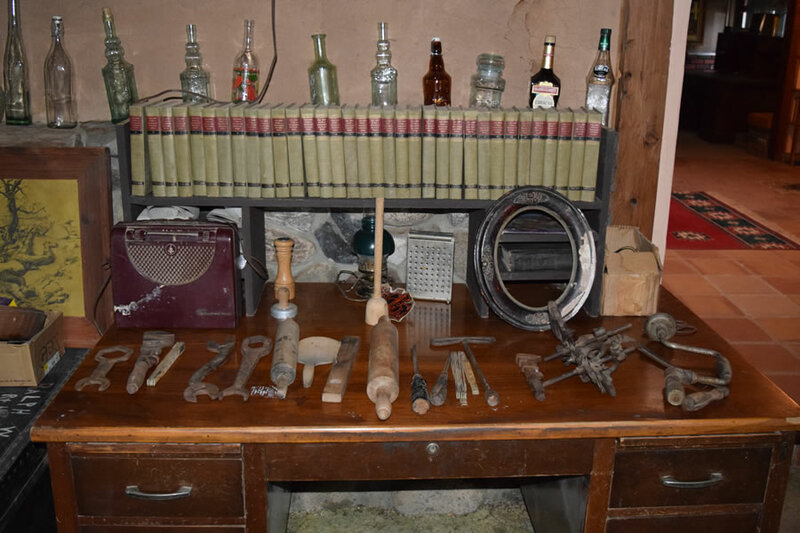 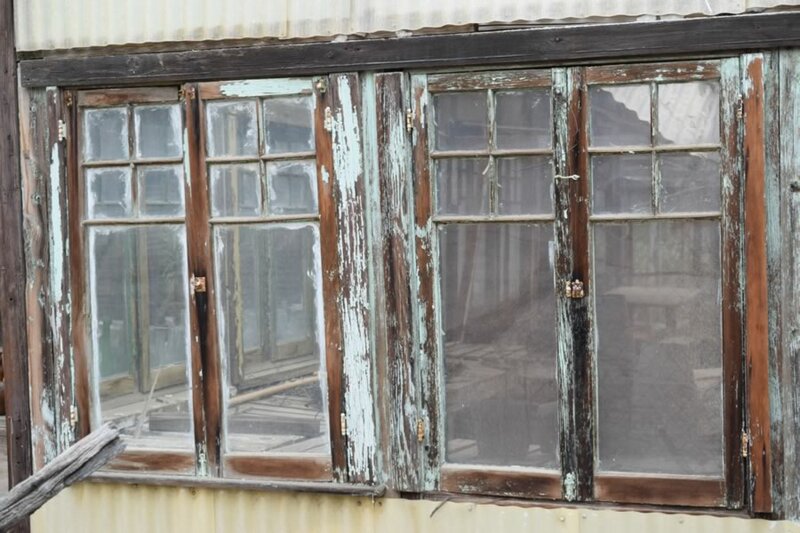 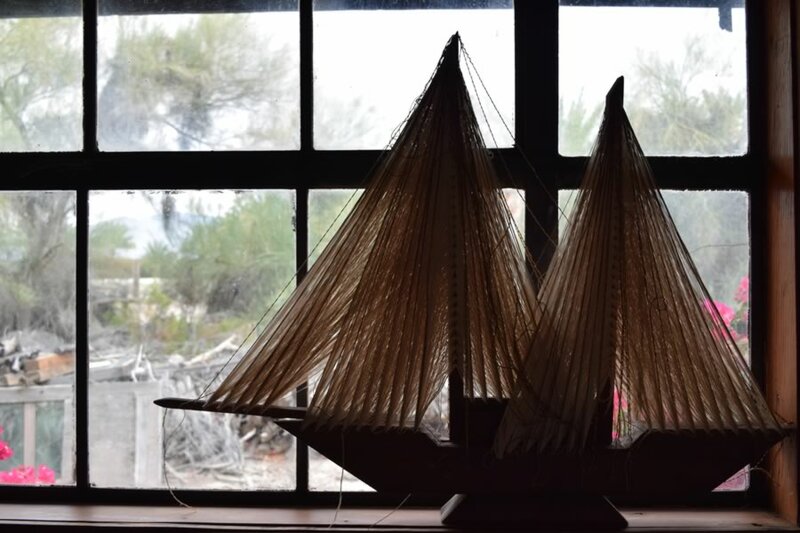 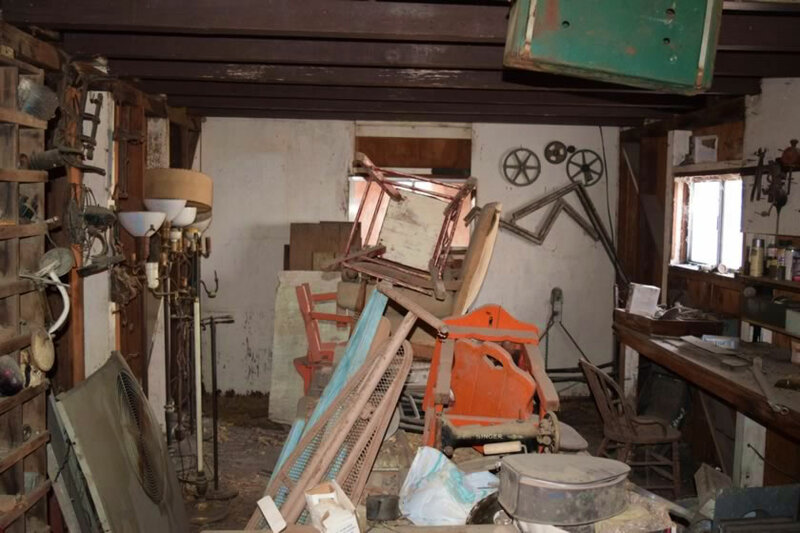 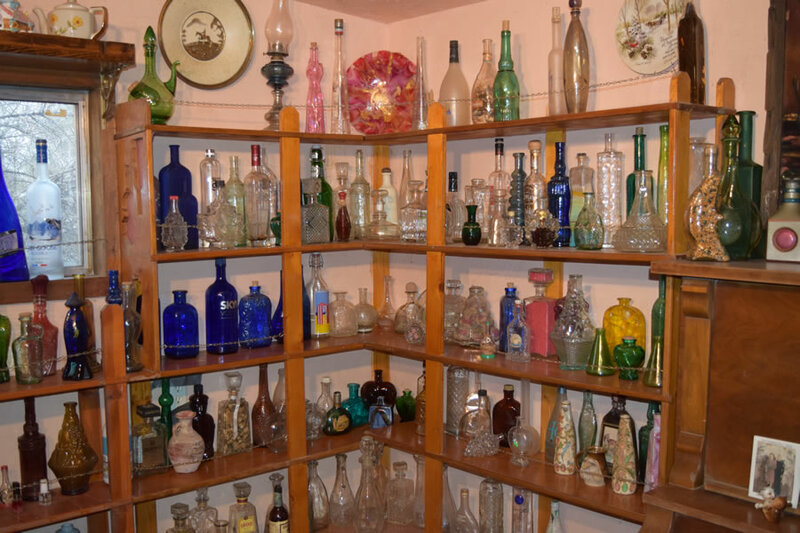 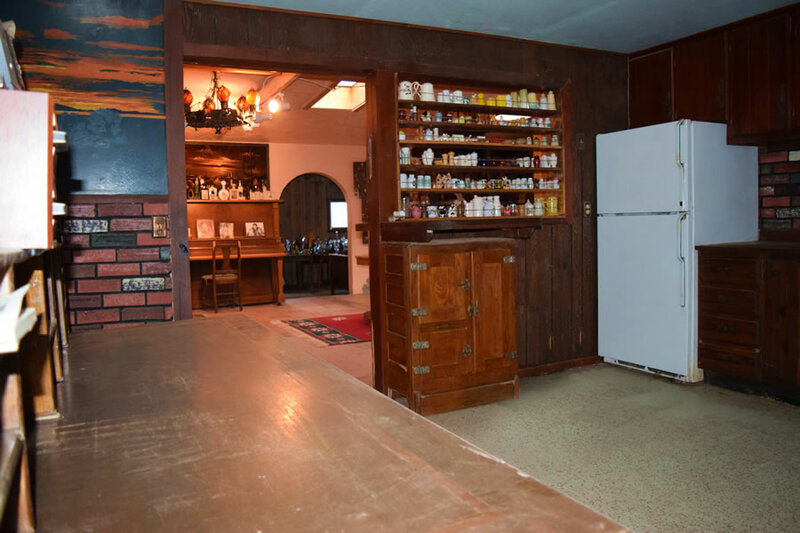 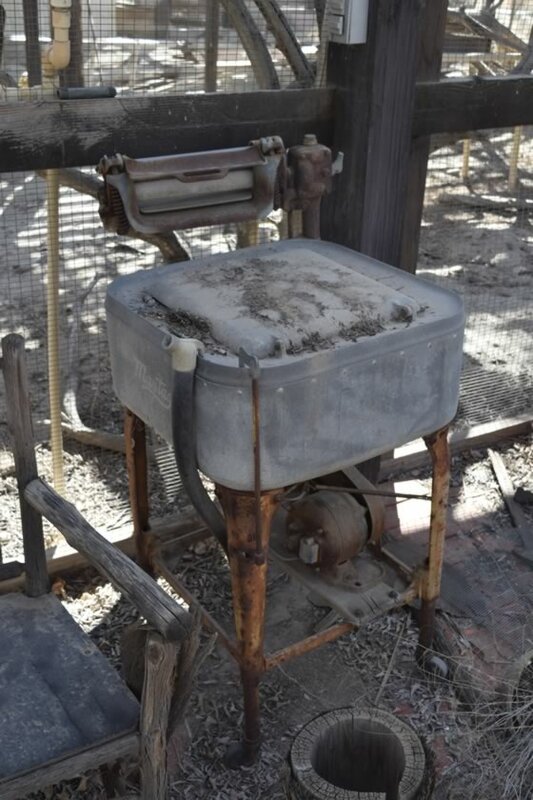 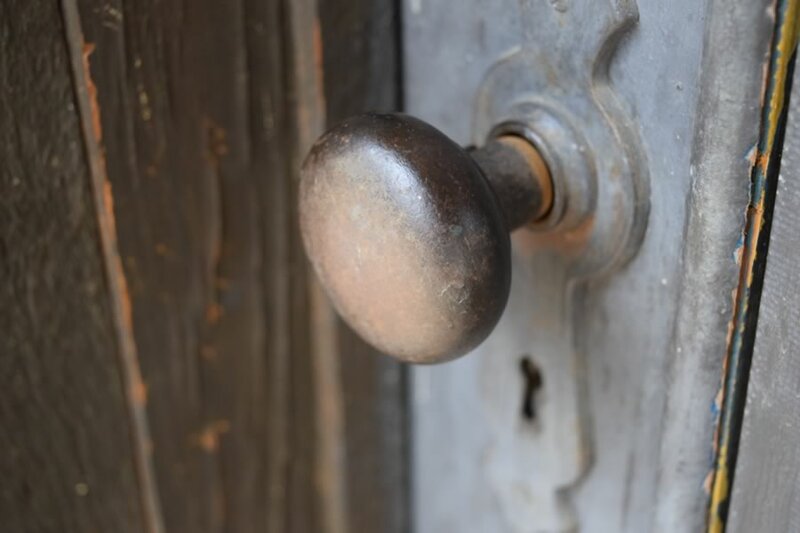 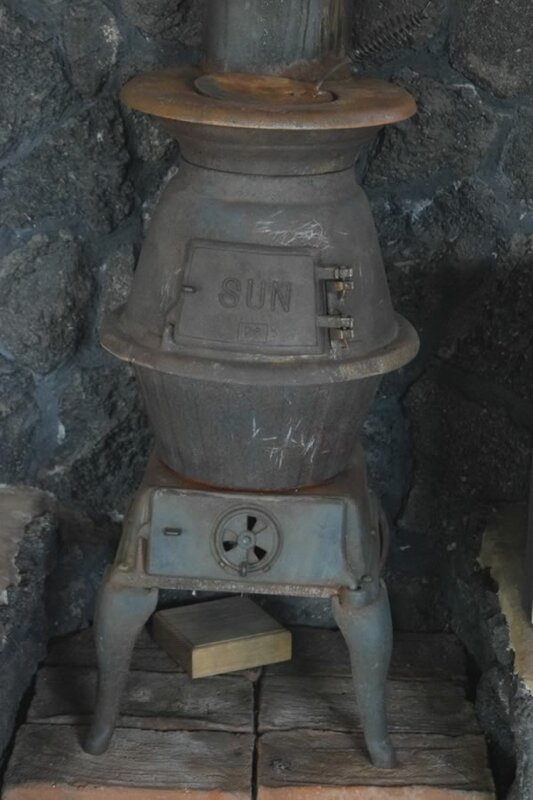 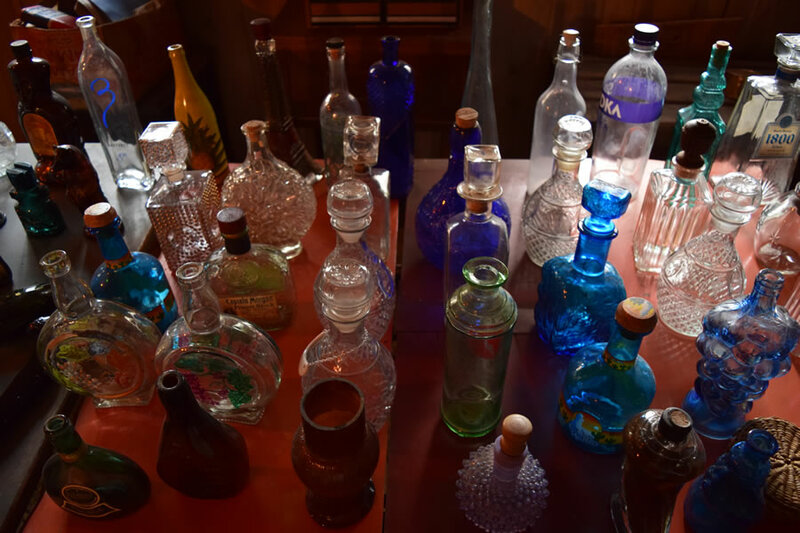 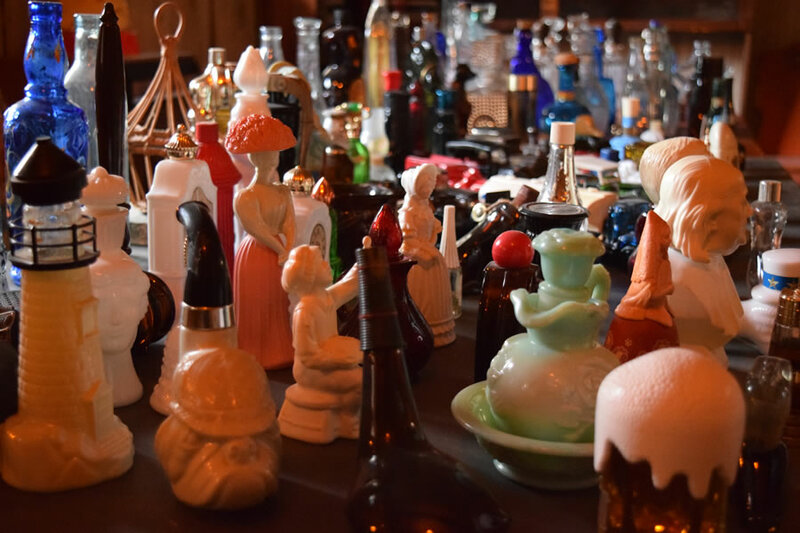 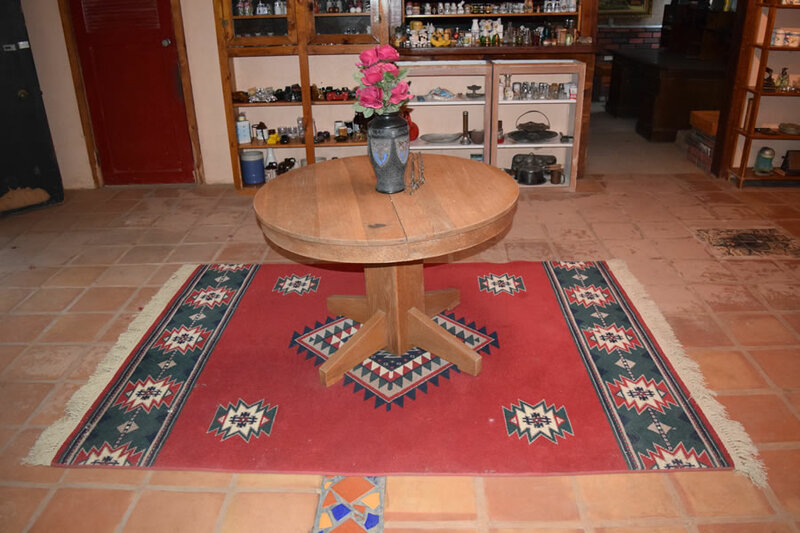 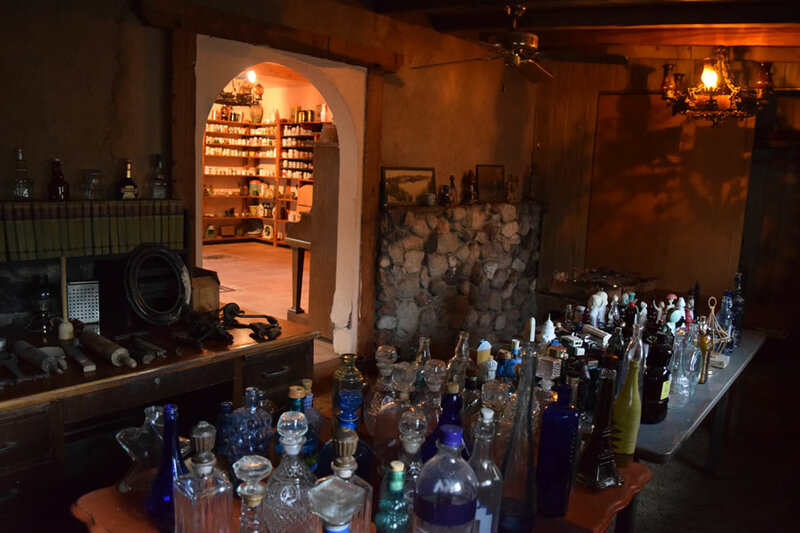 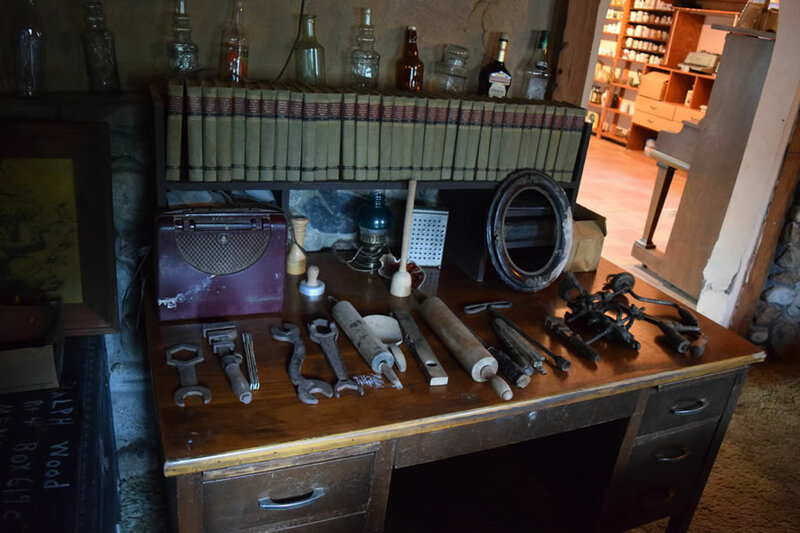 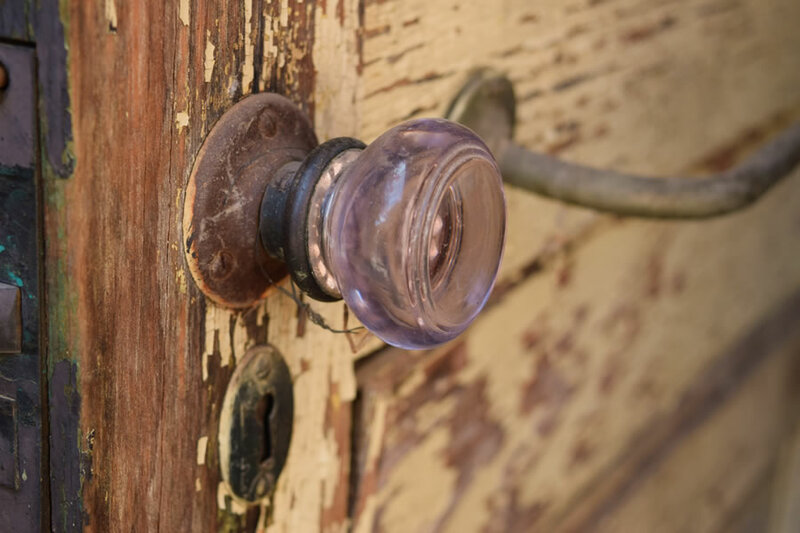 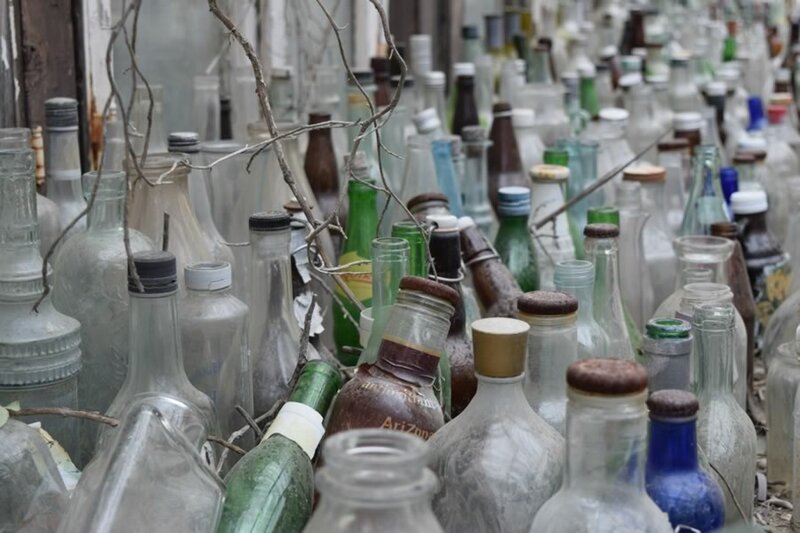 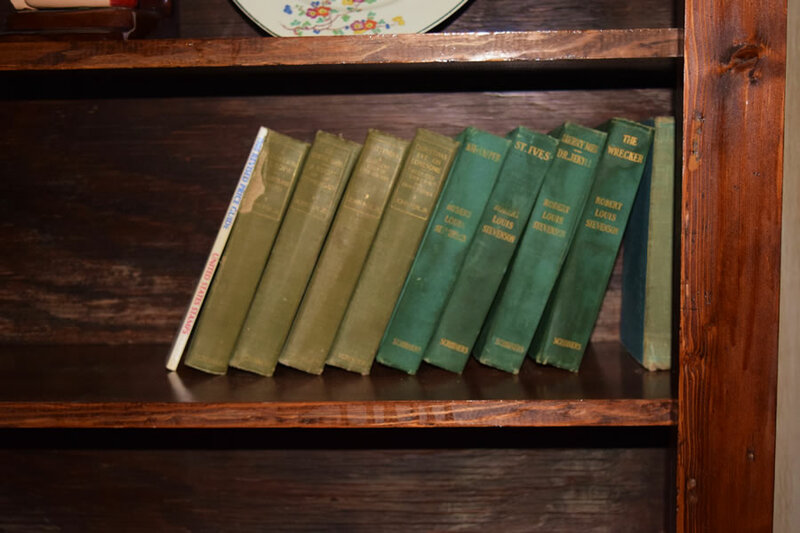 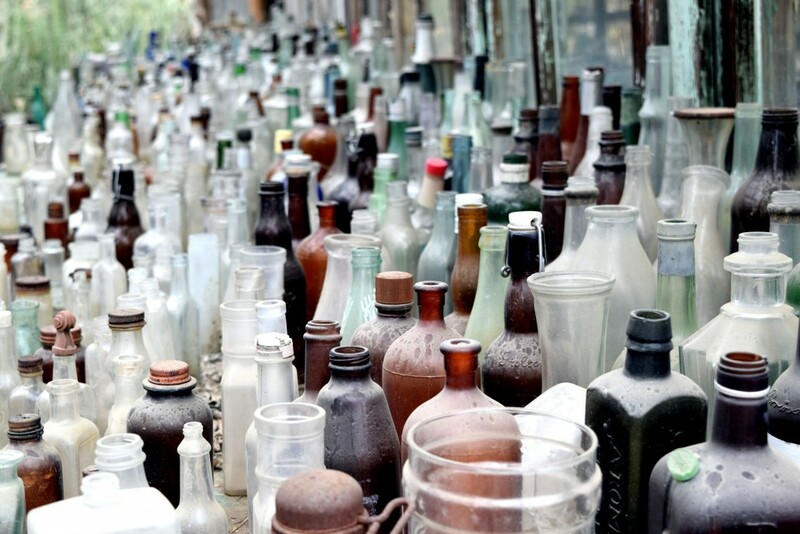 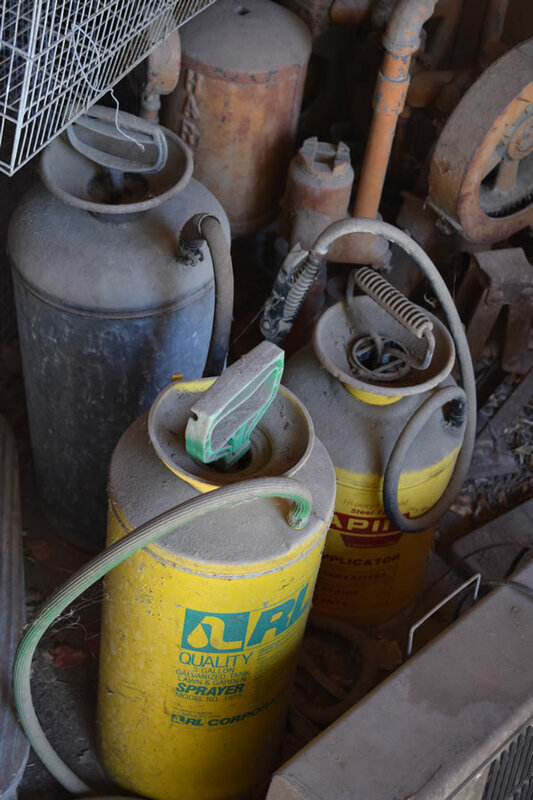 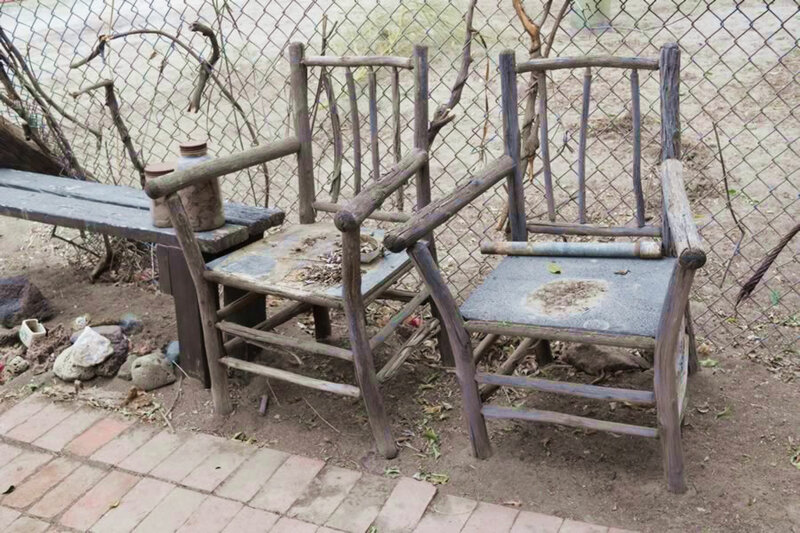 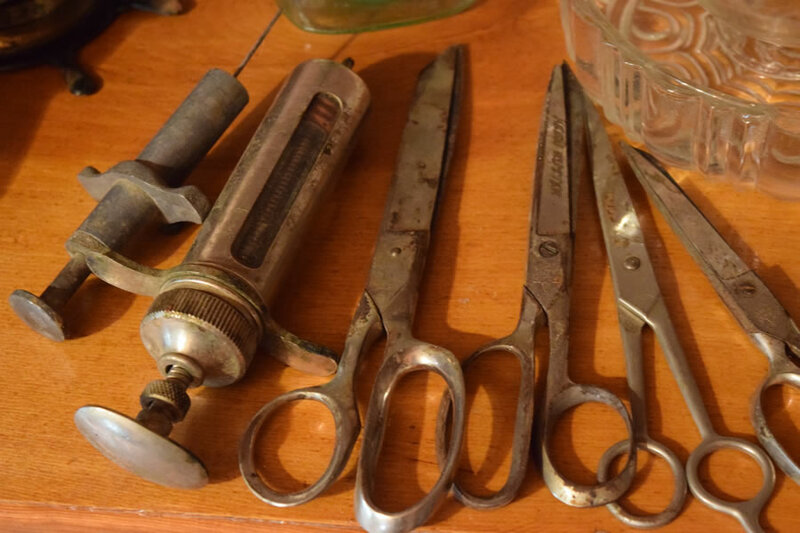 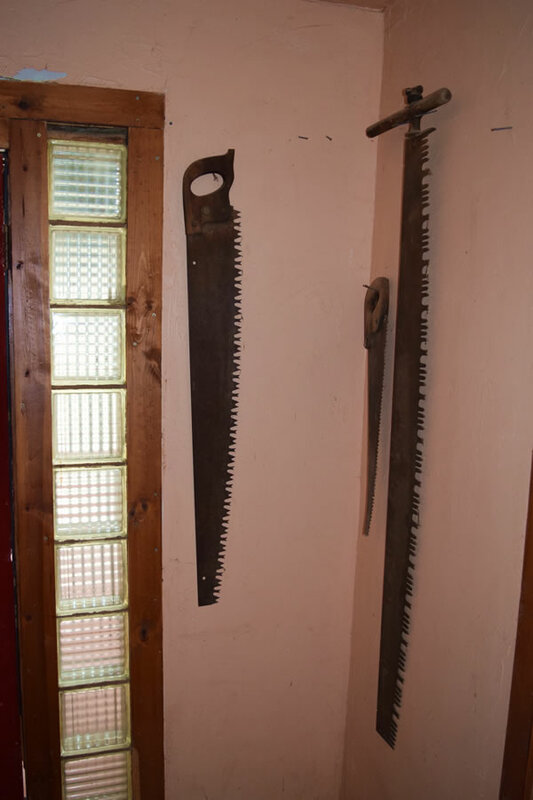 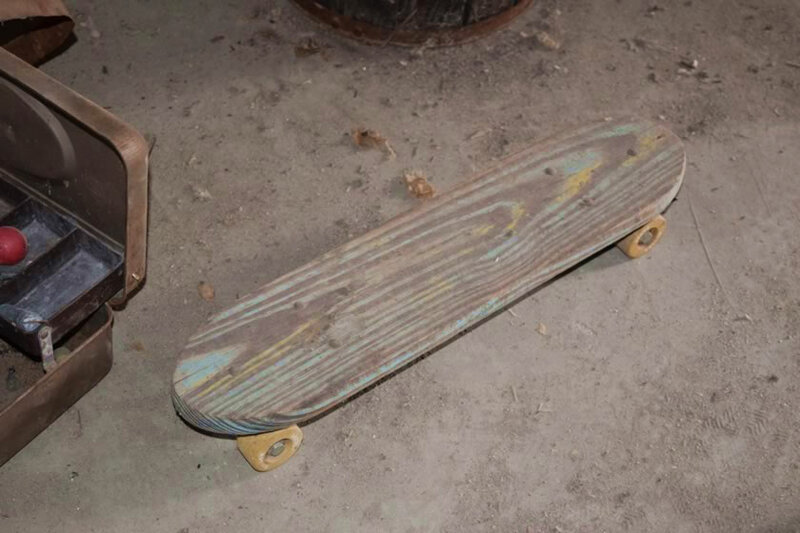 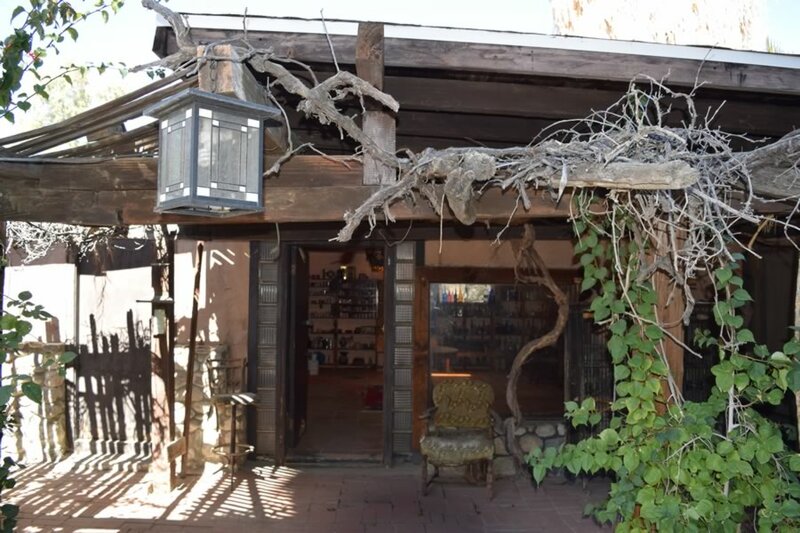 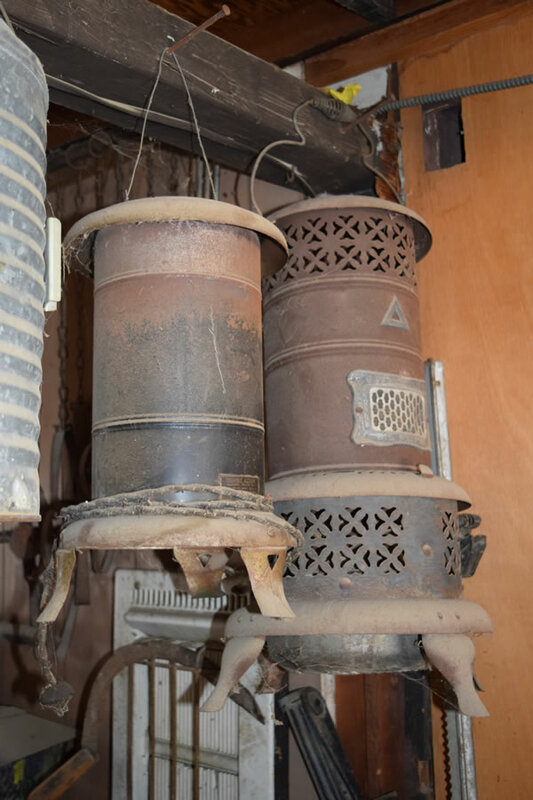 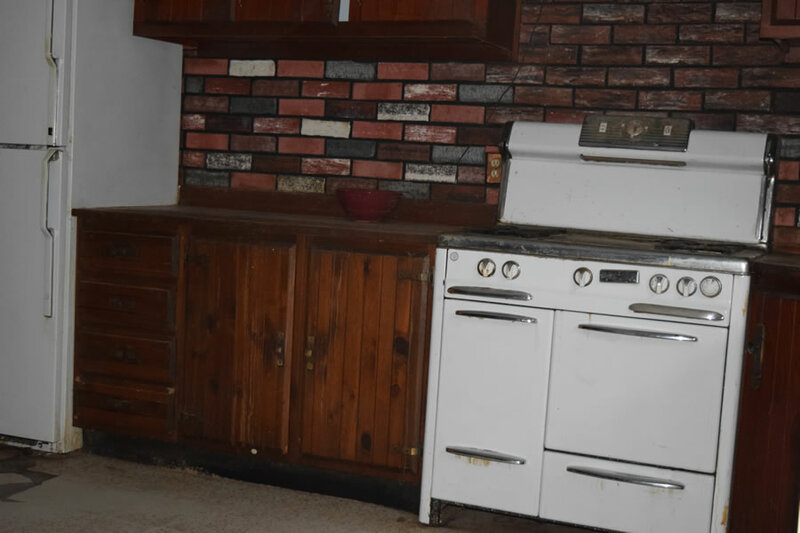 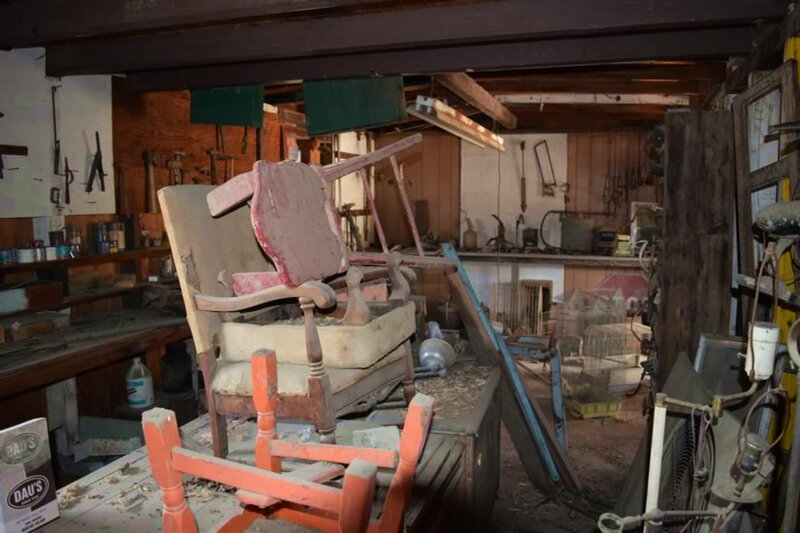 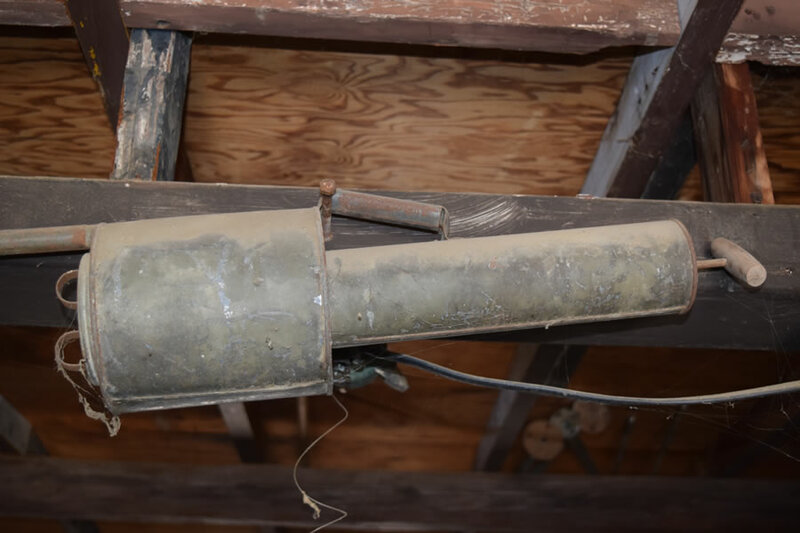 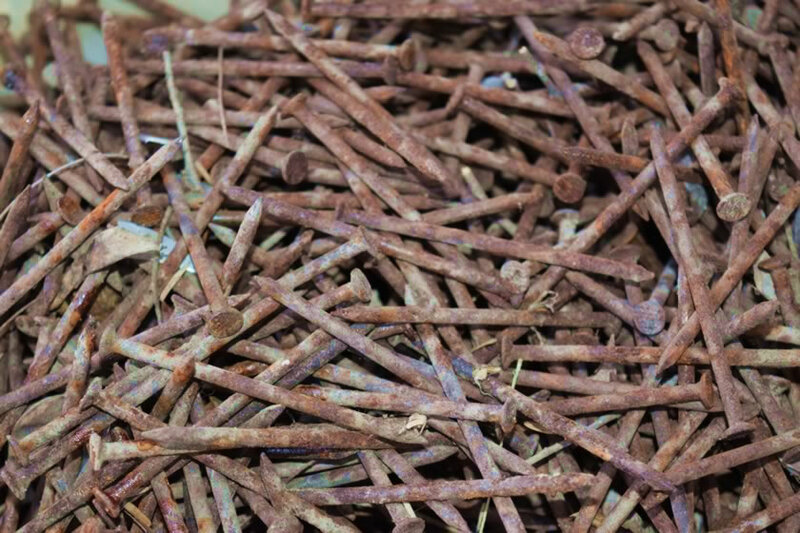 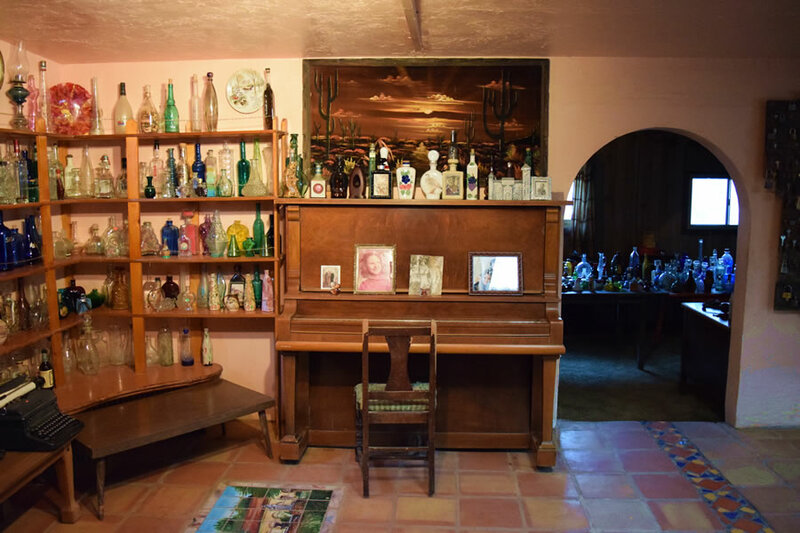 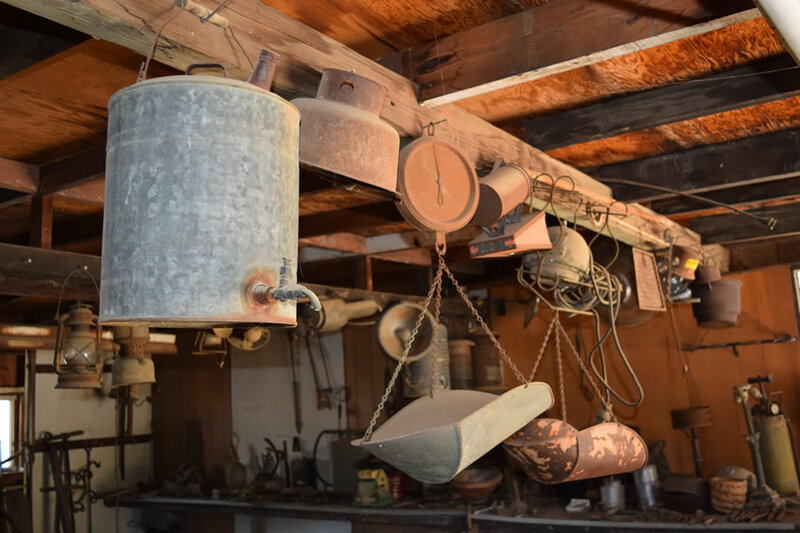 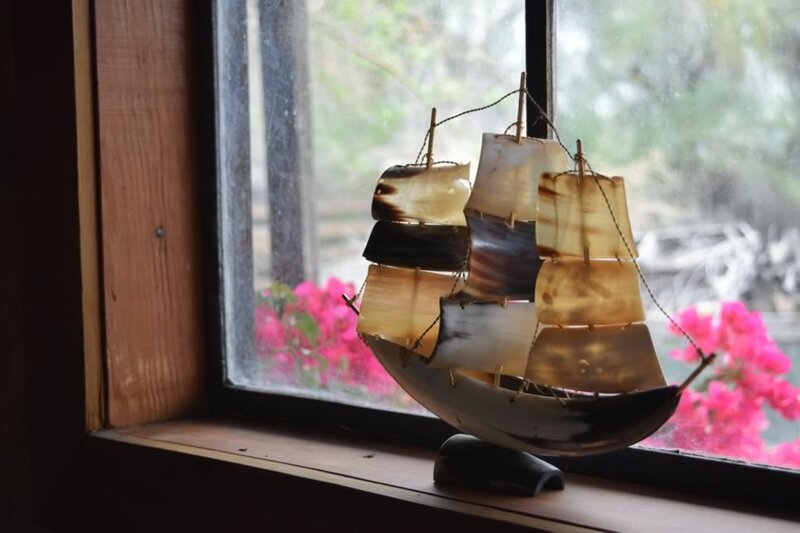 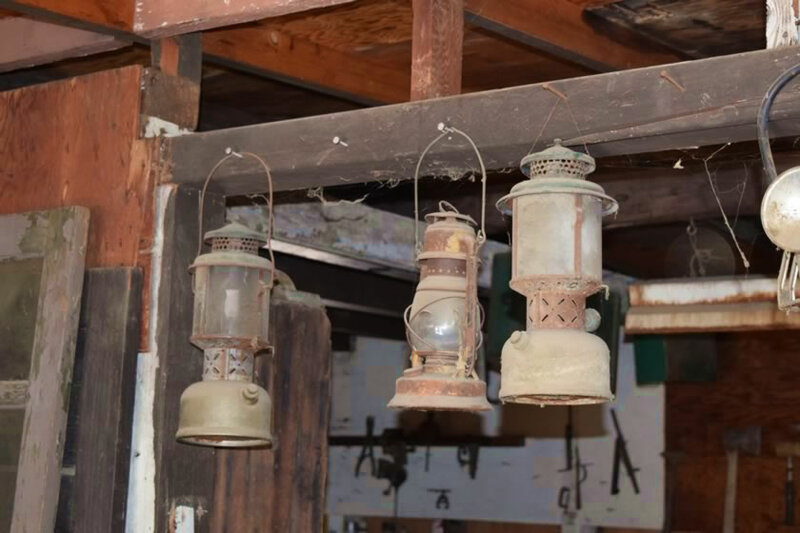 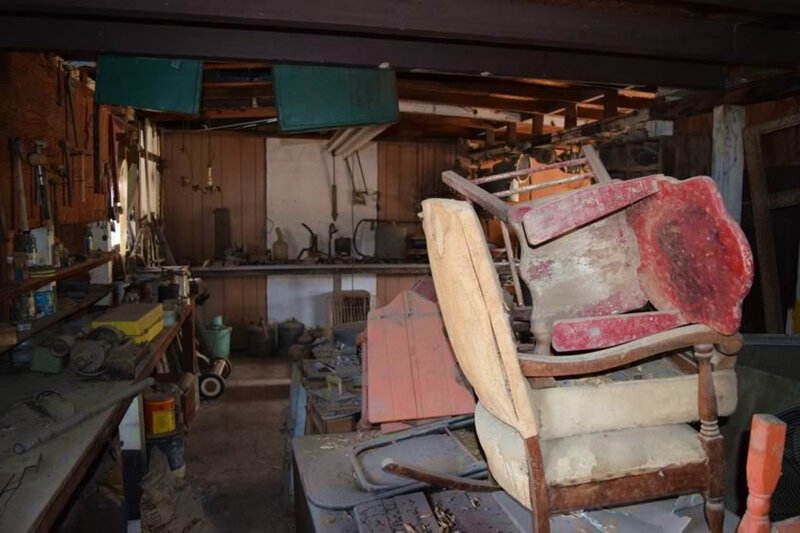 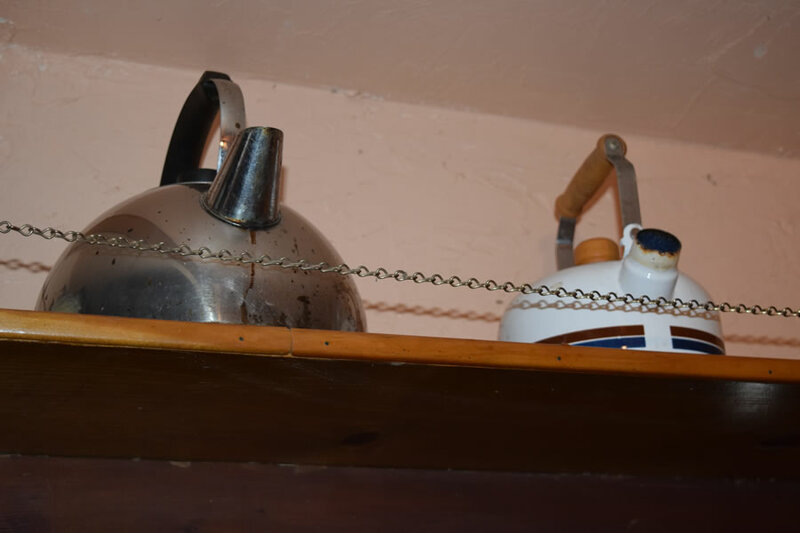 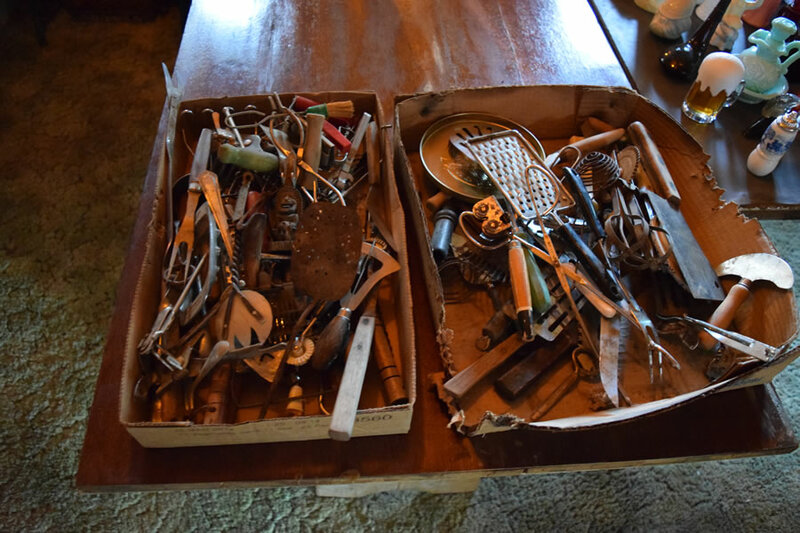 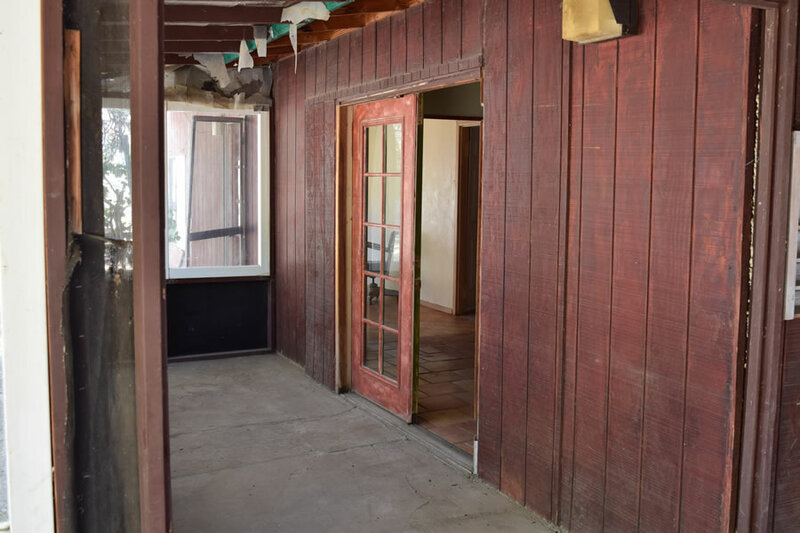 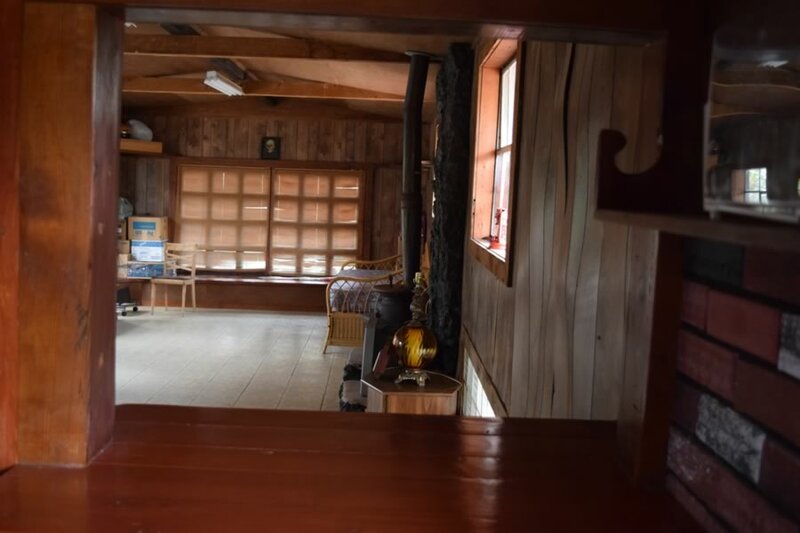 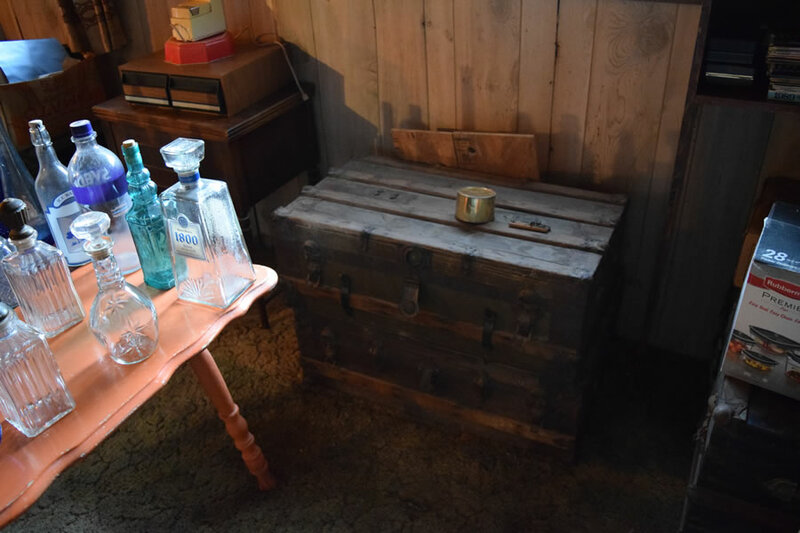 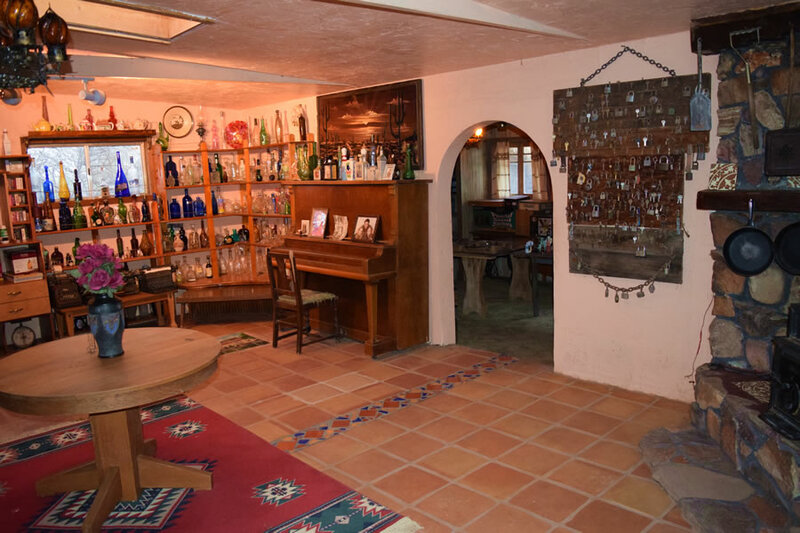 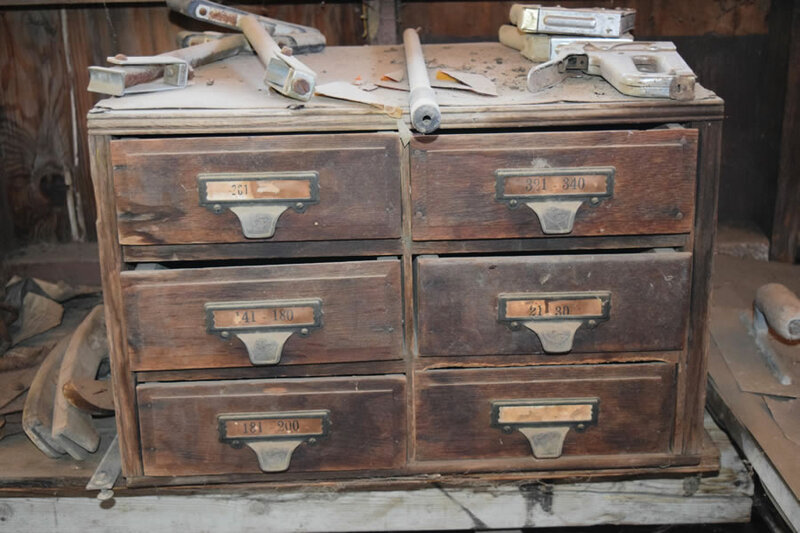 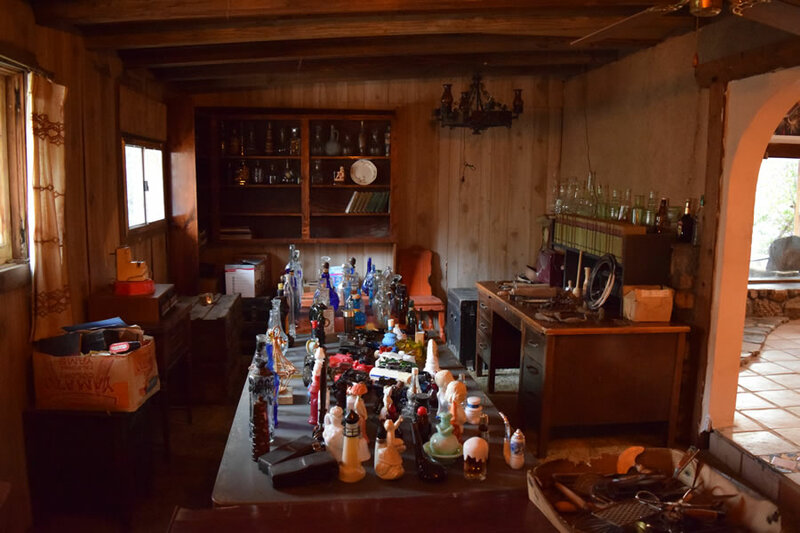 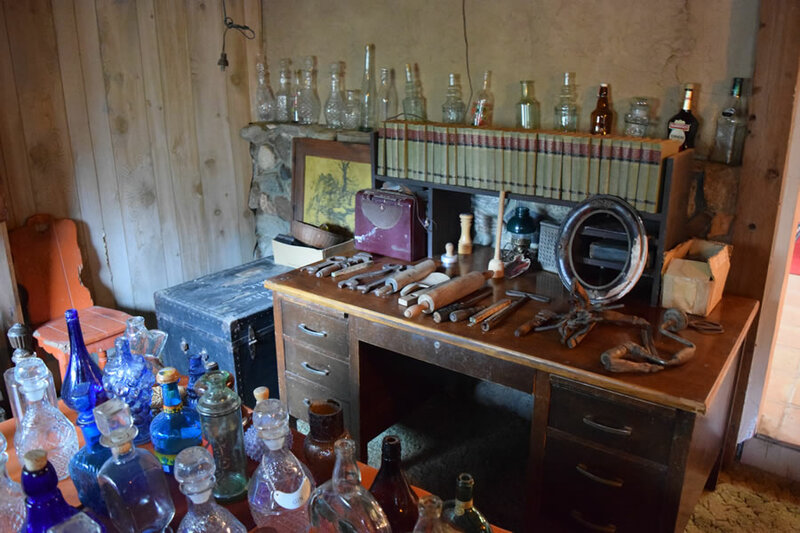 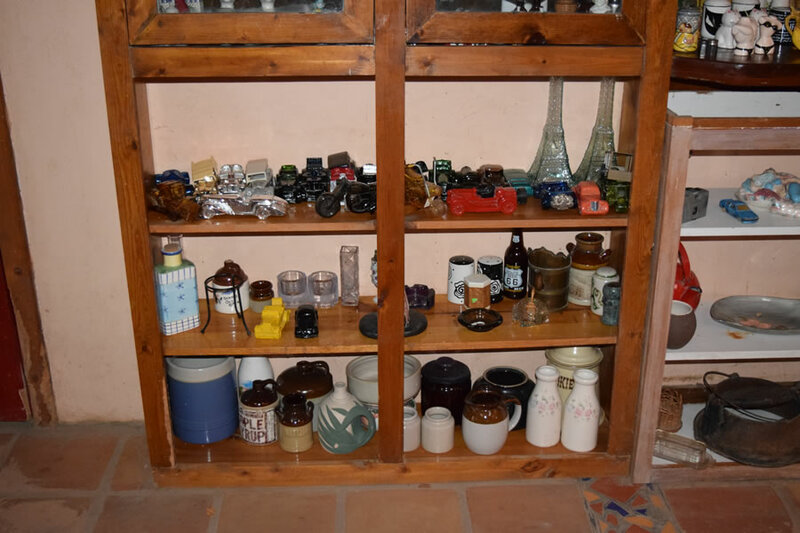 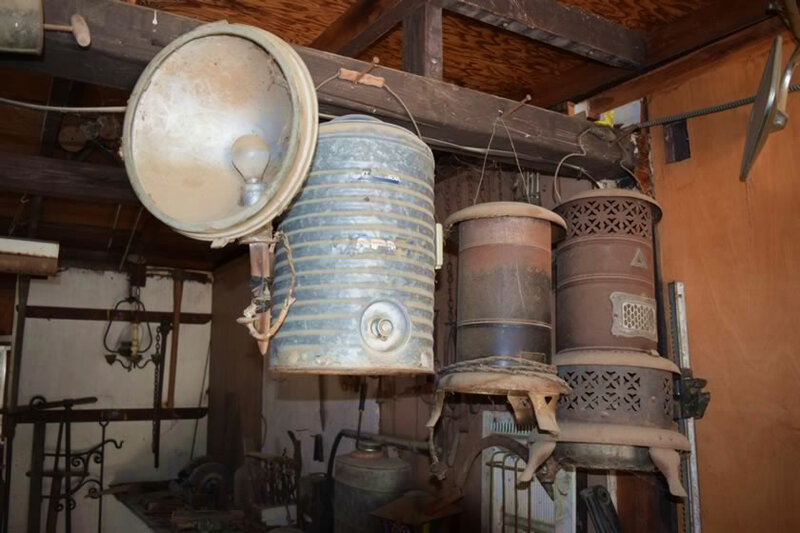 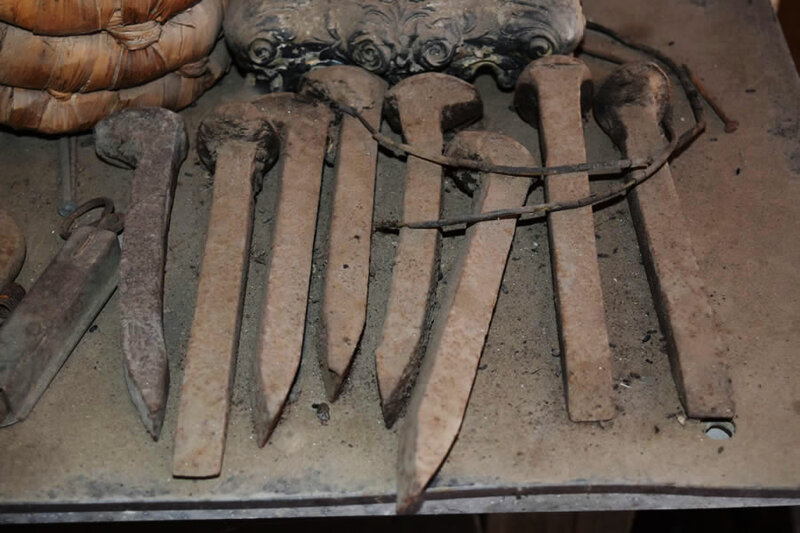 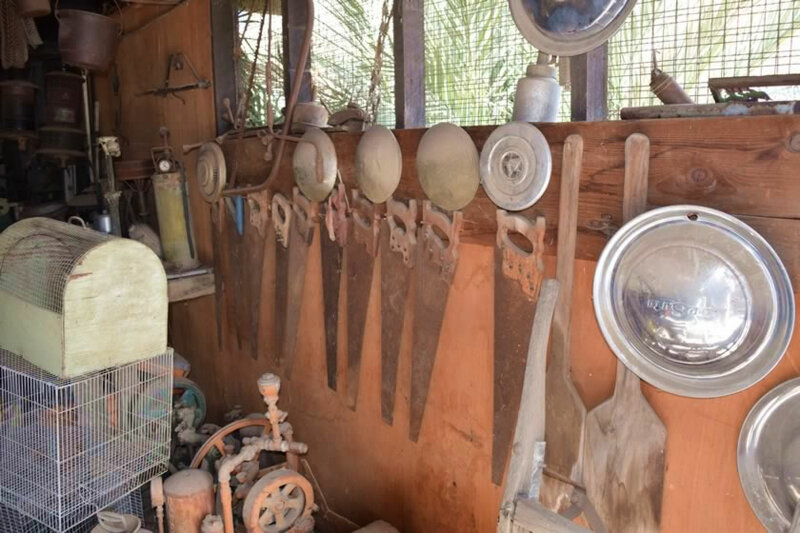 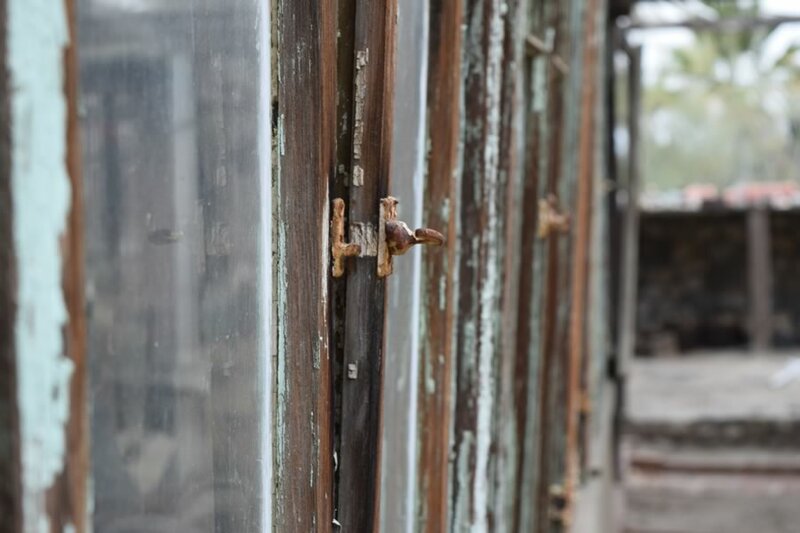 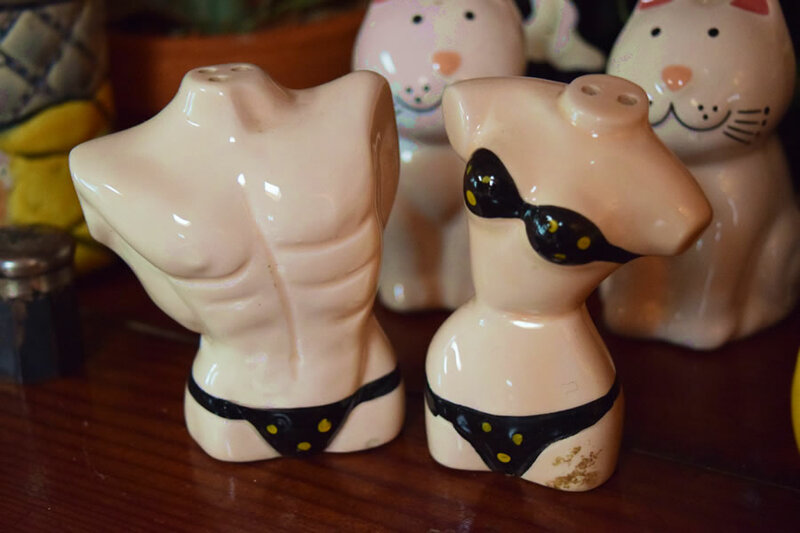 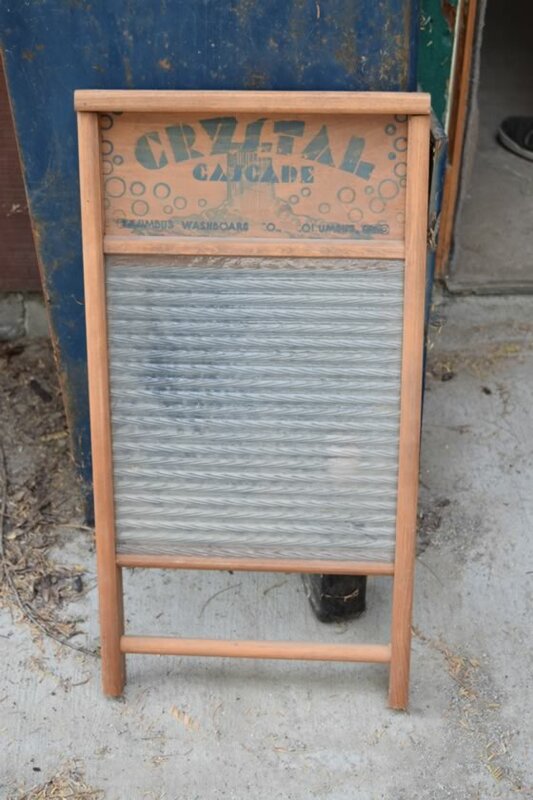 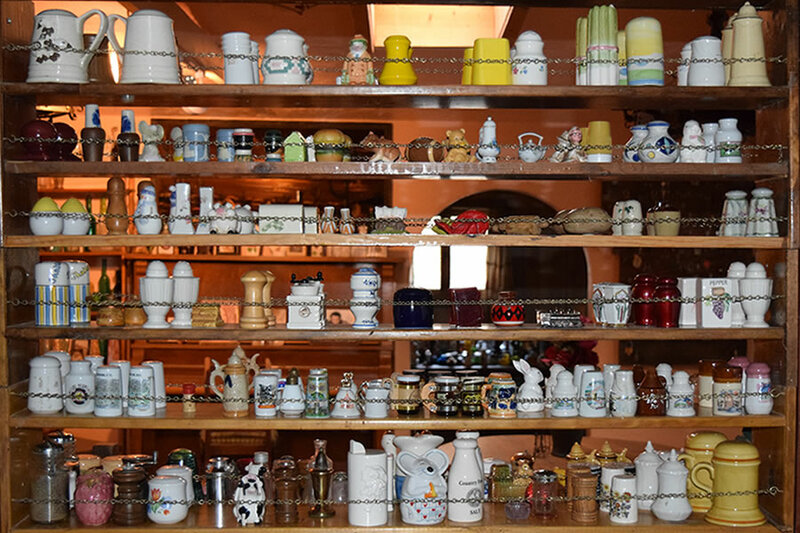 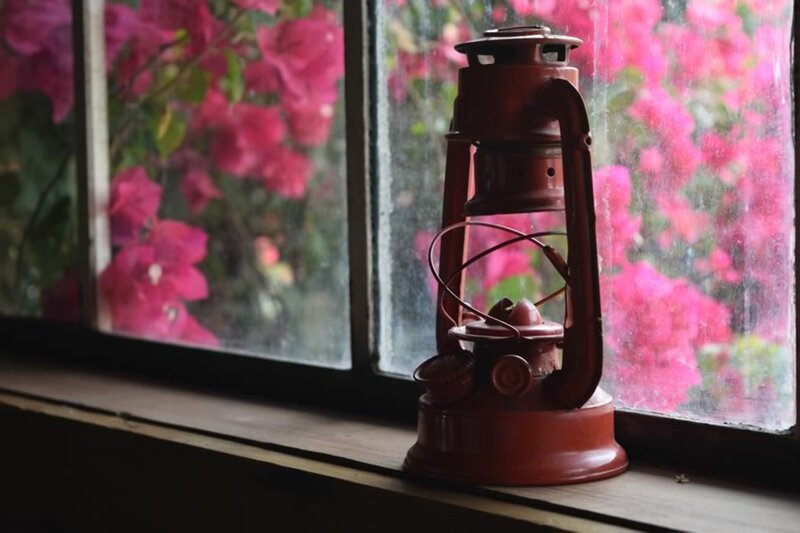 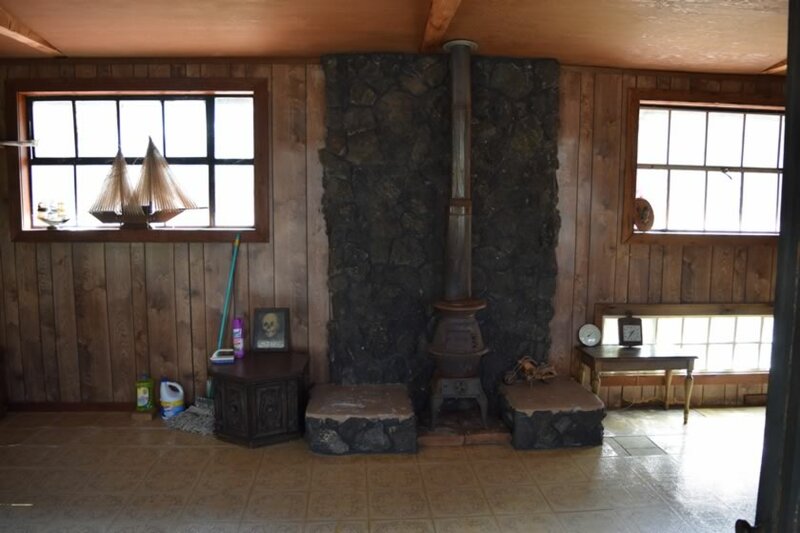 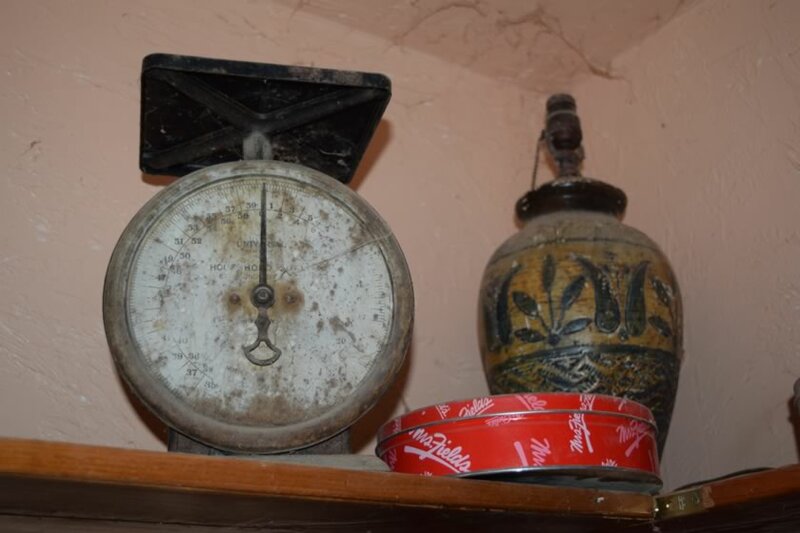 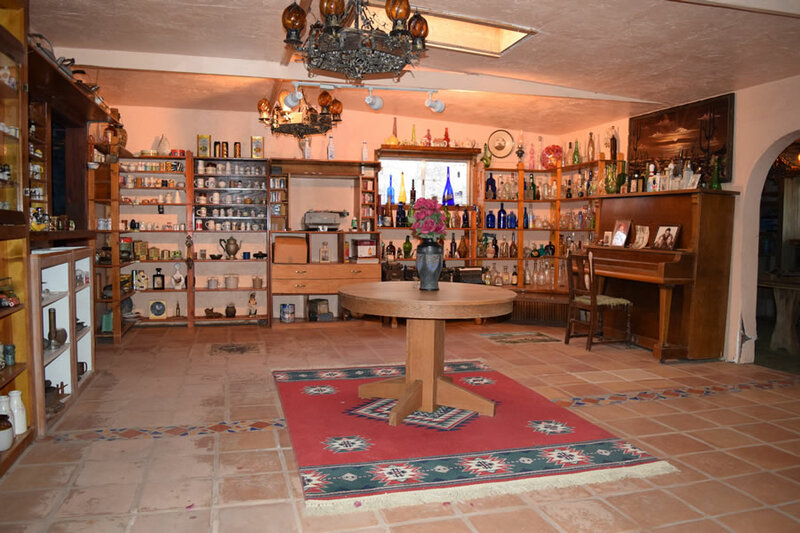 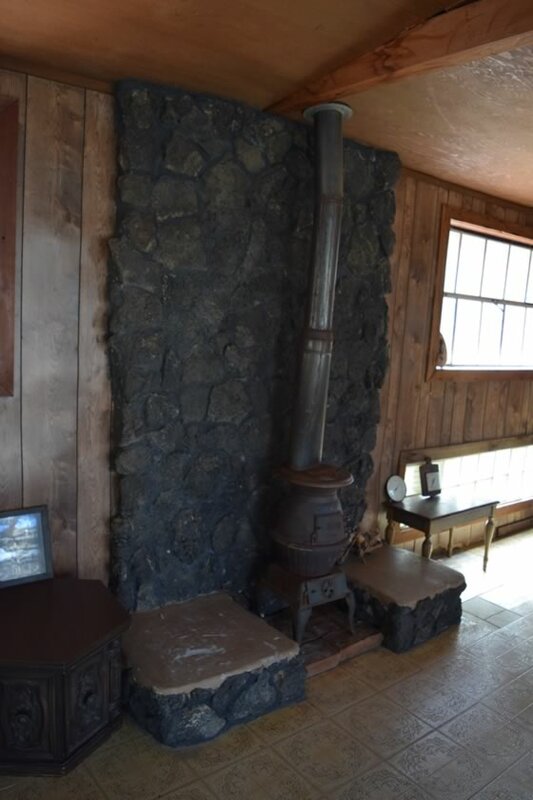 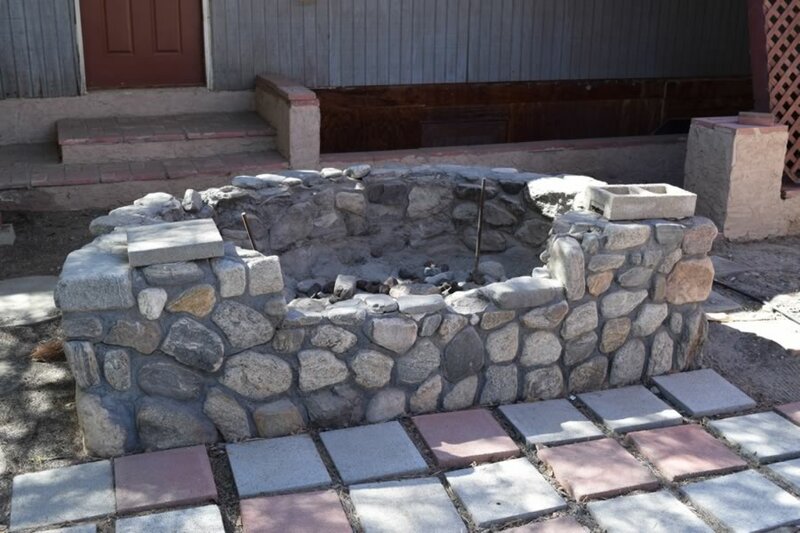 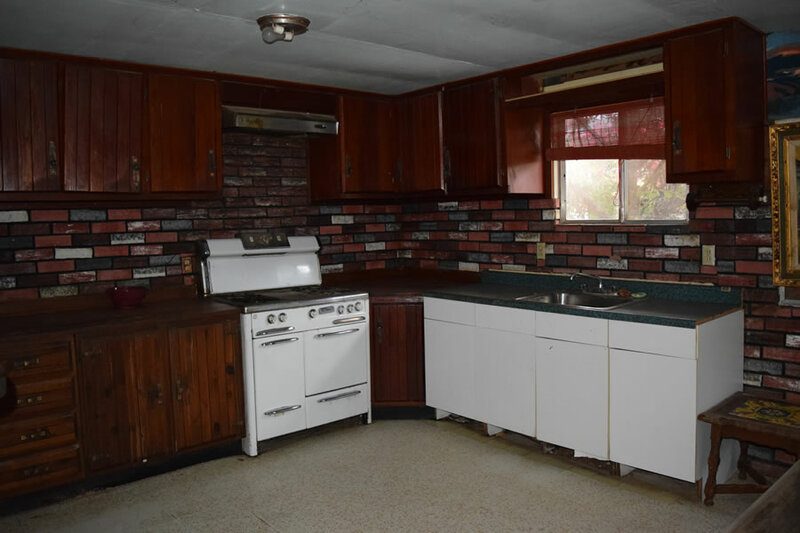 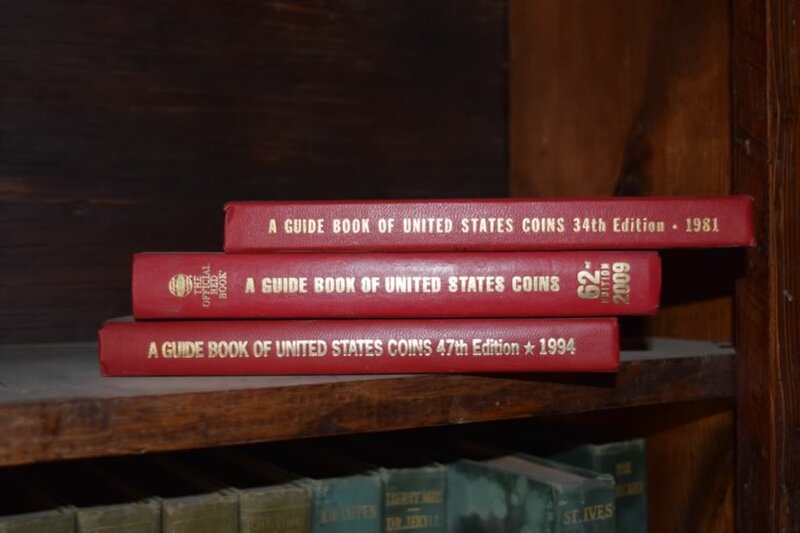 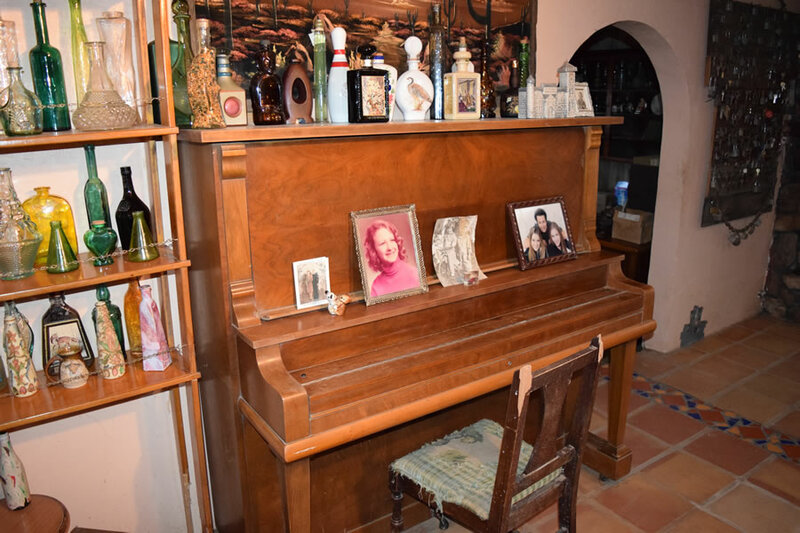 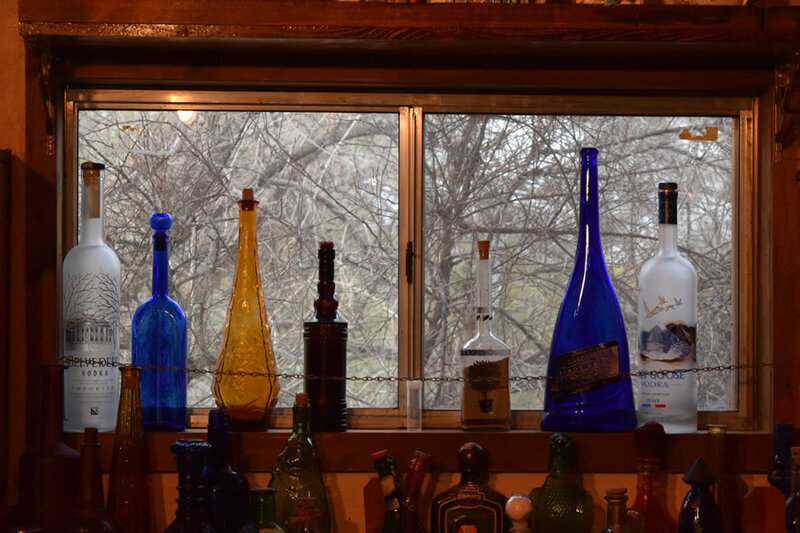 Other homes, some cabin-like, motel themed and rustic structures include wooden beam ceilings, cast iron wood stoves, rock fireplaces, rusty tool shed, early to mid-1900s antiquities, thousands of props and much, much more! 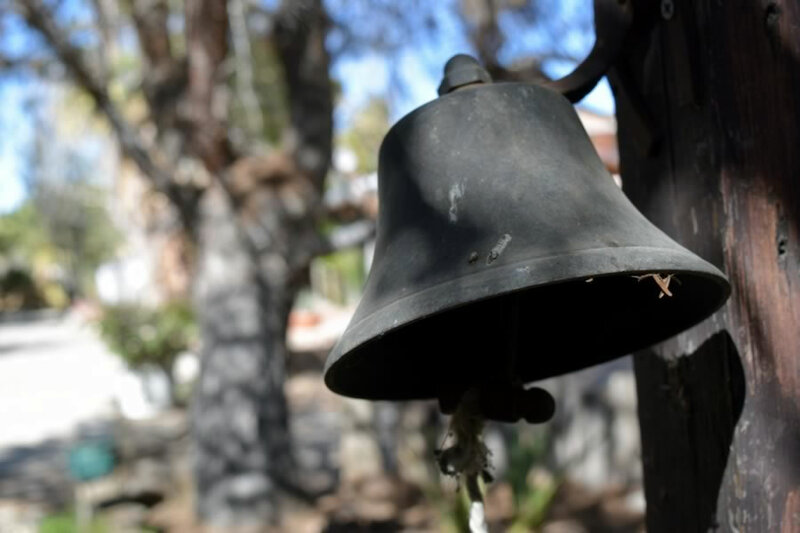 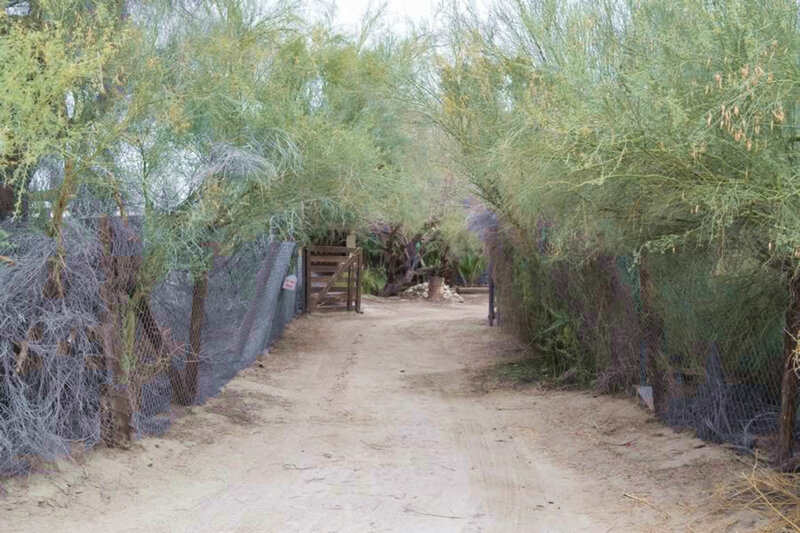 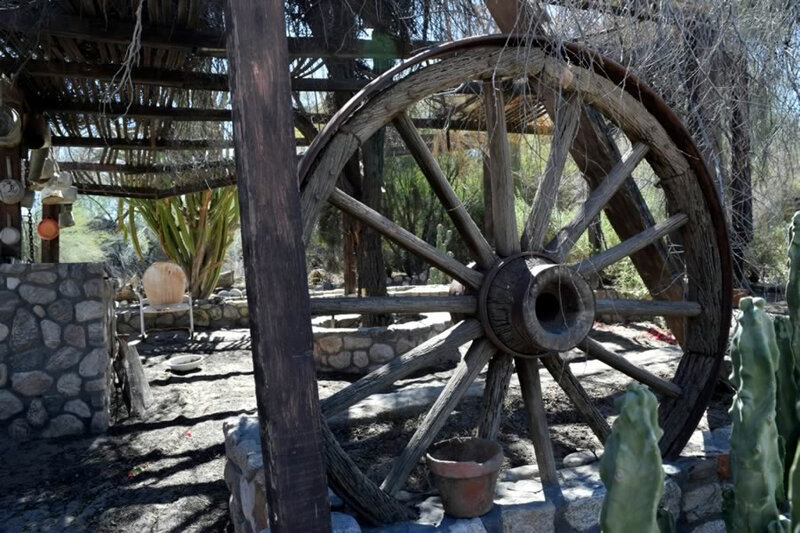 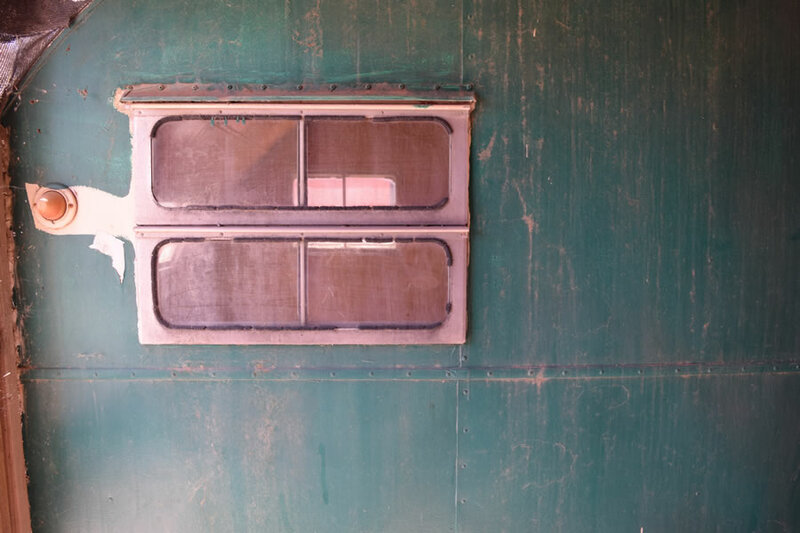 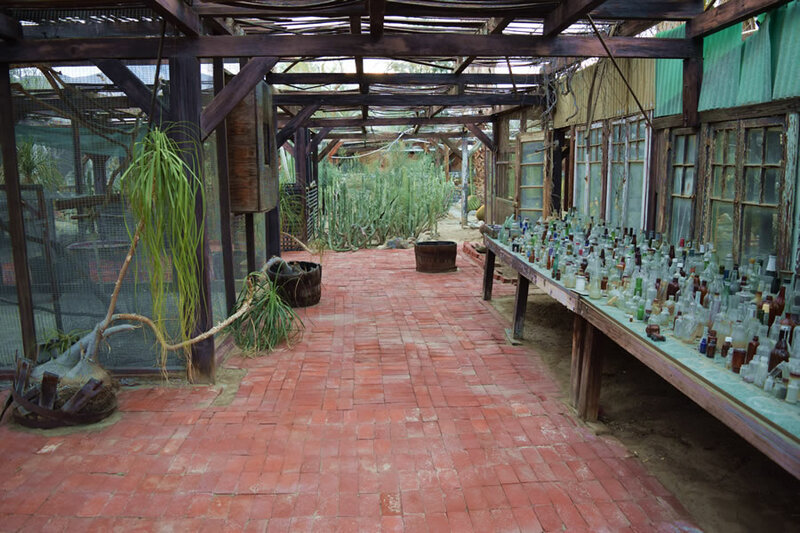 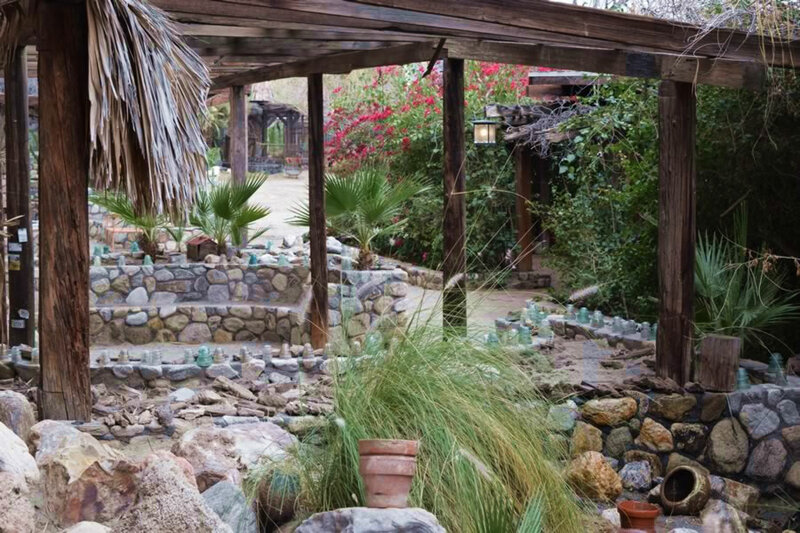 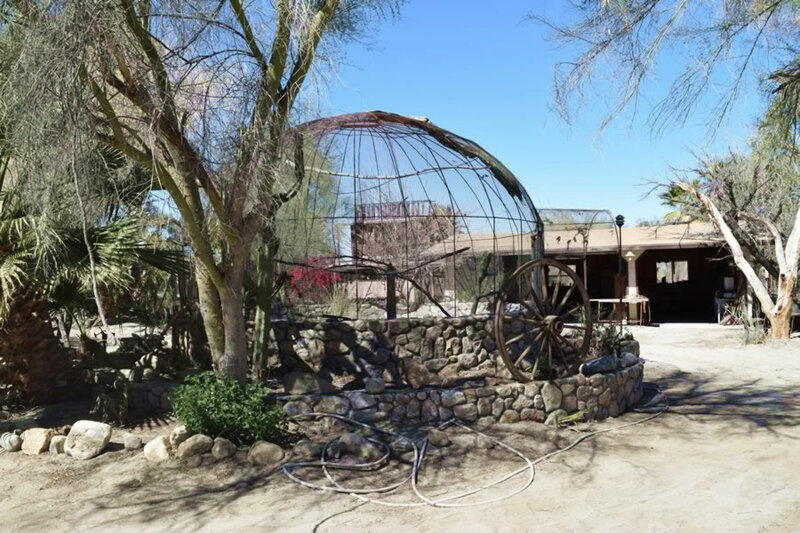 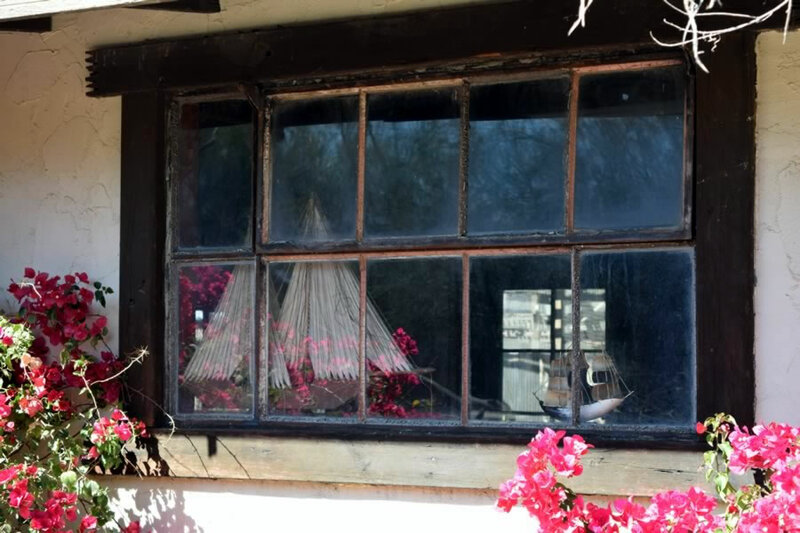 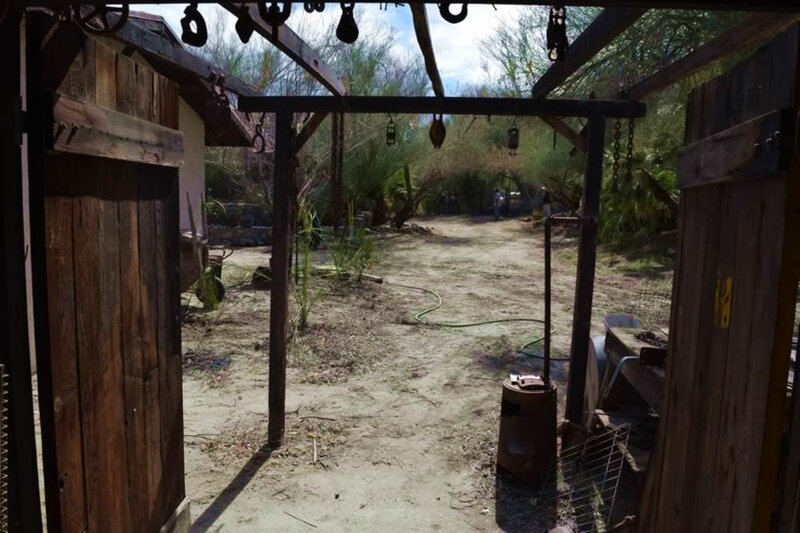 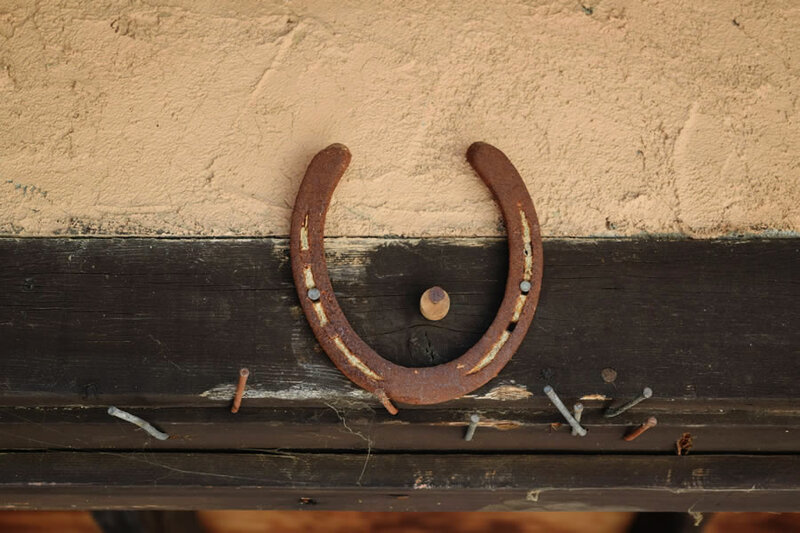 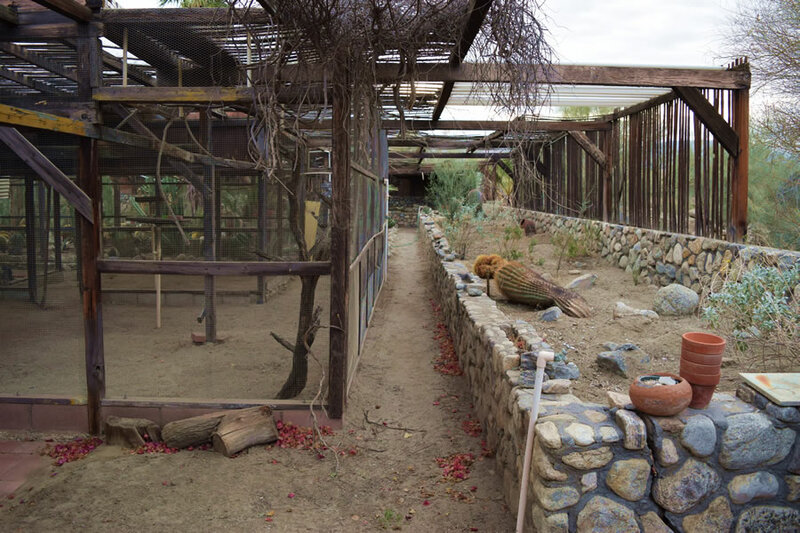 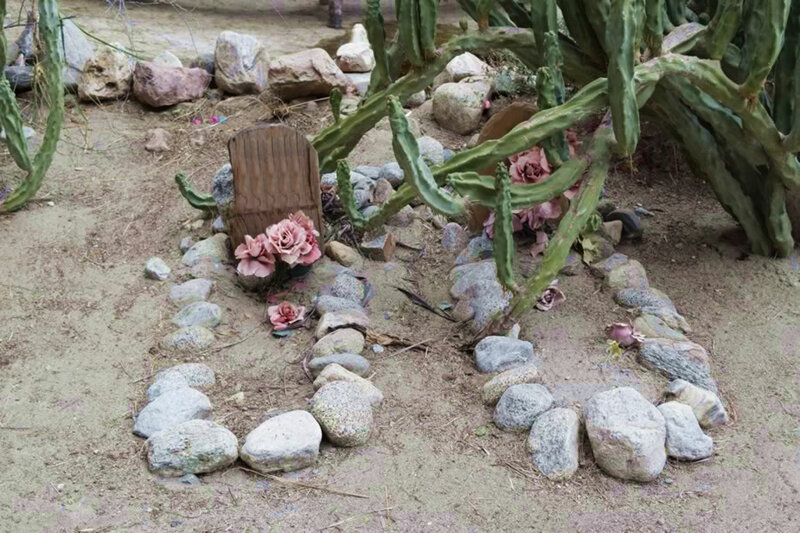 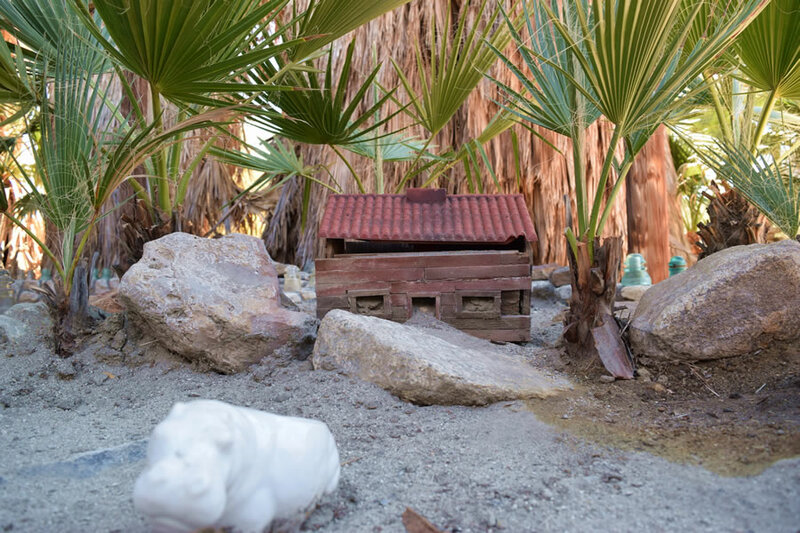 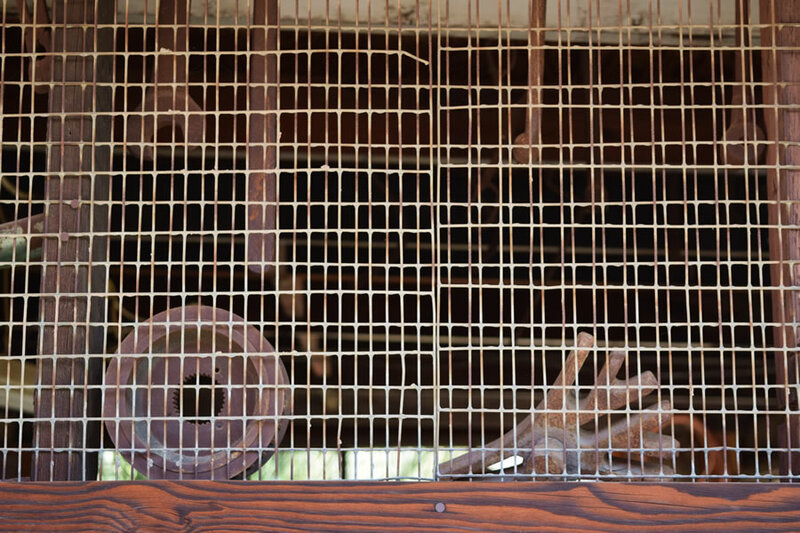 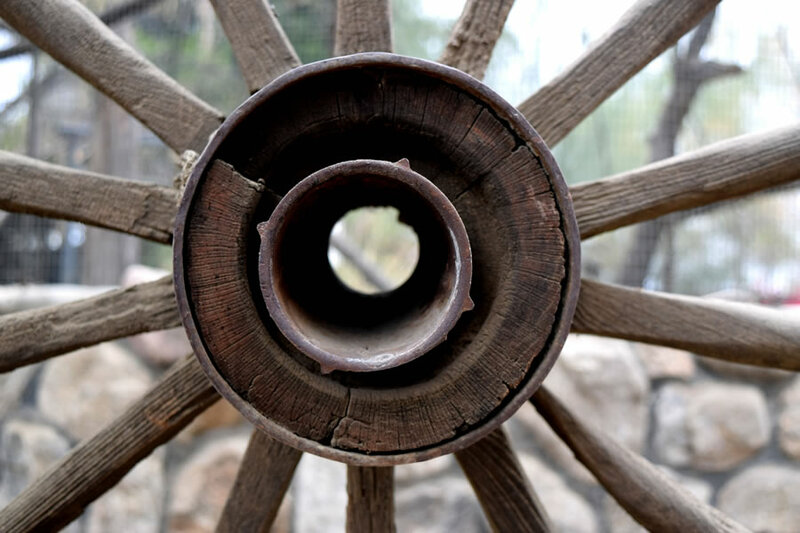 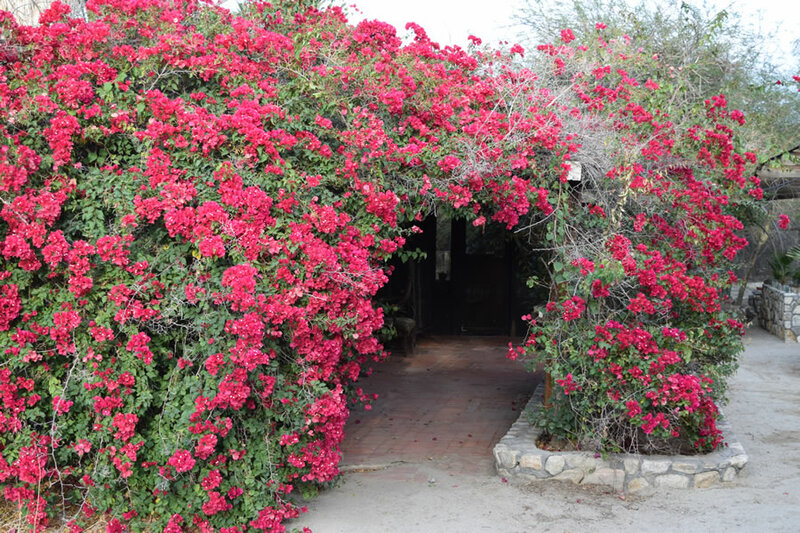 Enter the Coachella Movie Ranch and you’ll immediately be transformed from the real world to a uniquely magical fortress infused with awe-inspiring creativity; smell, sound, sight, touch, feeling and wonder — unlike anything you’ve ever experienced before. 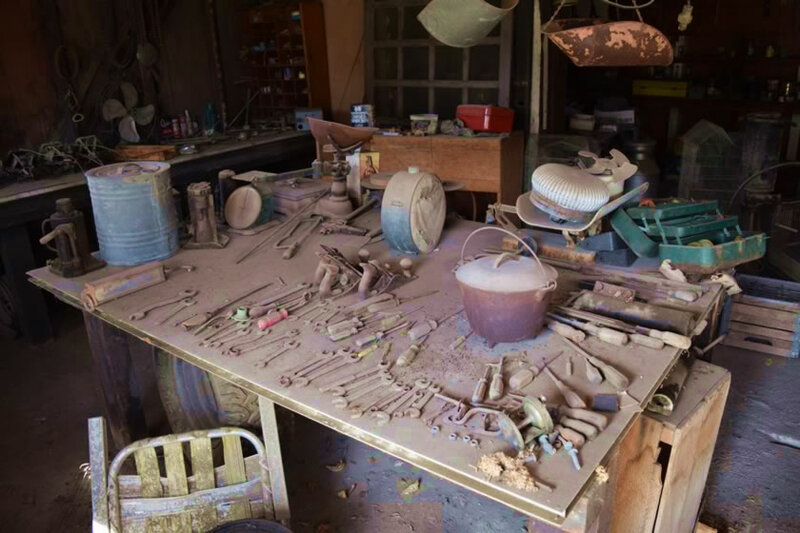 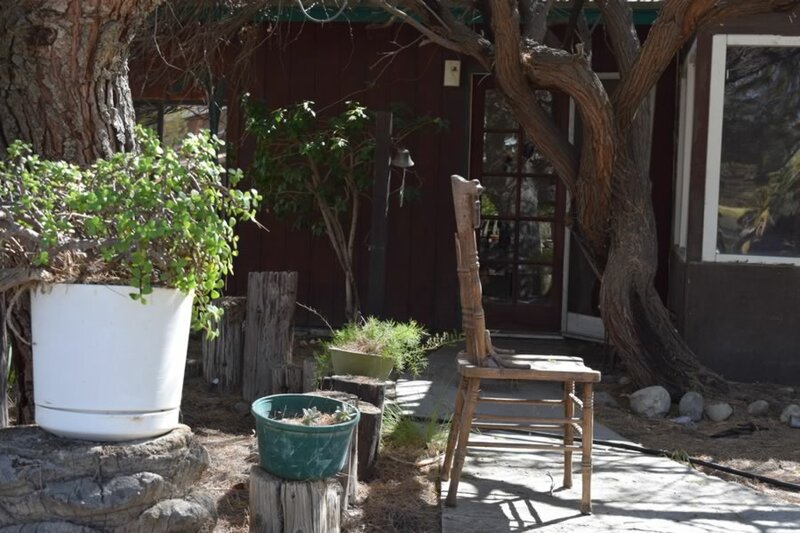 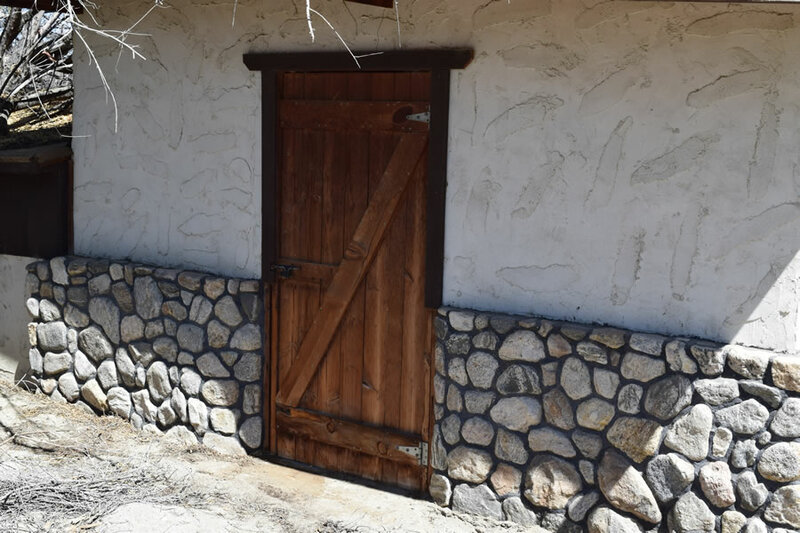 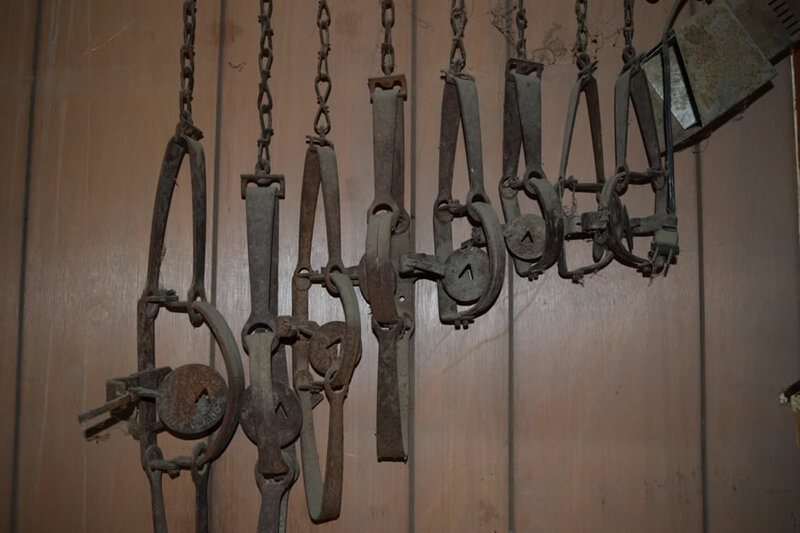 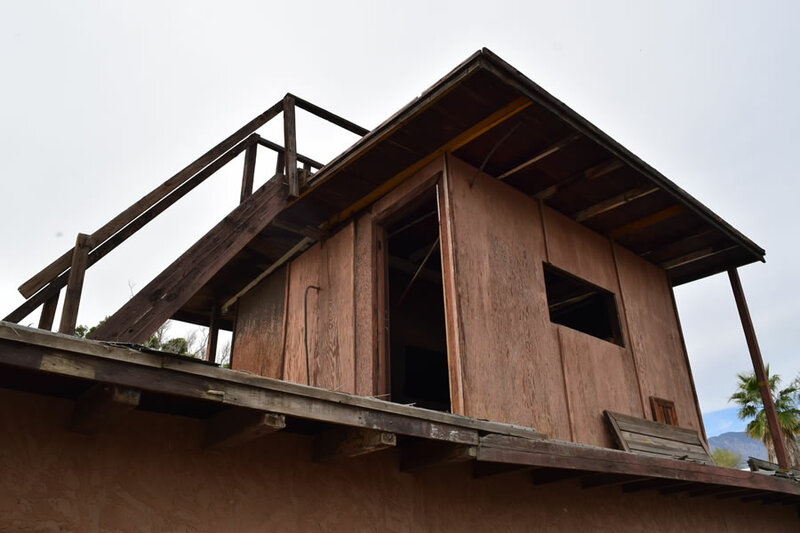 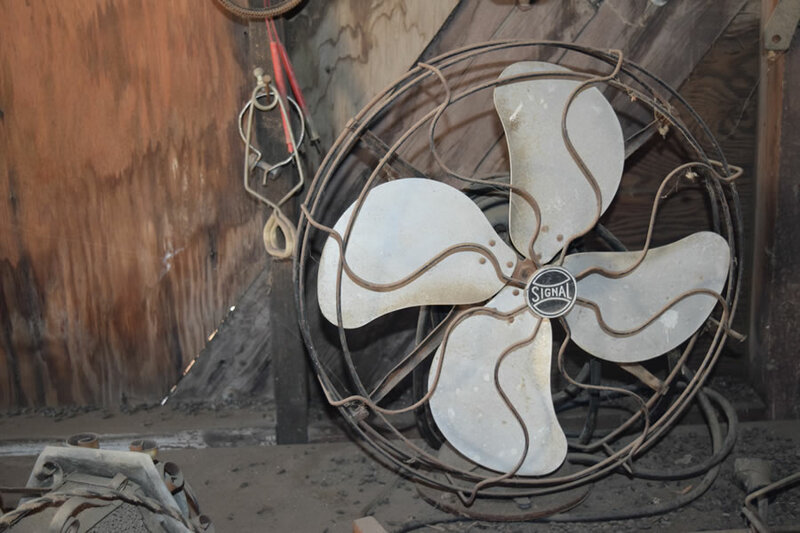 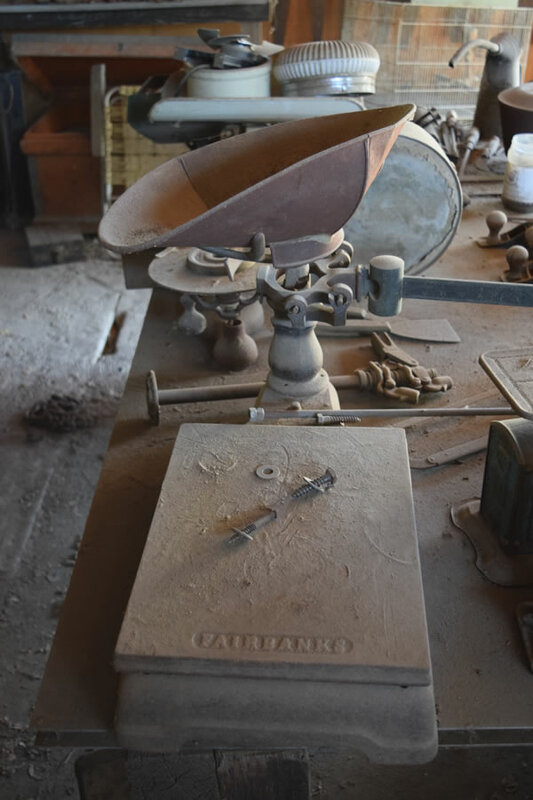 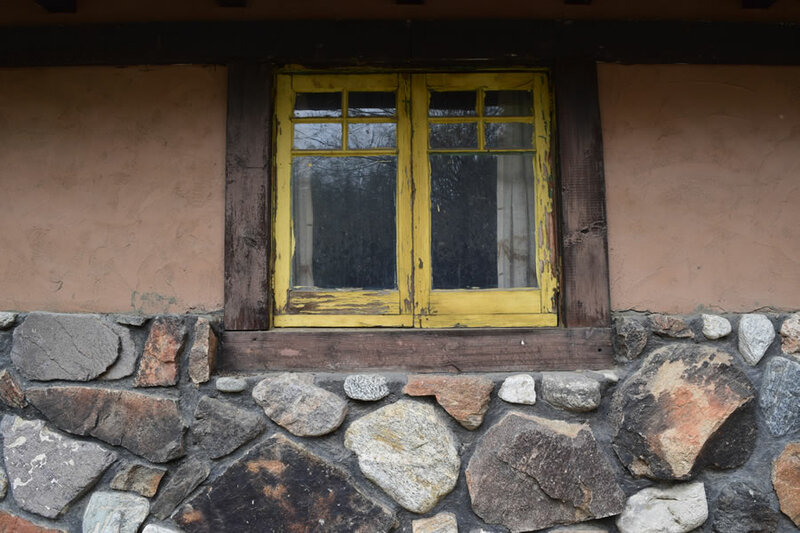 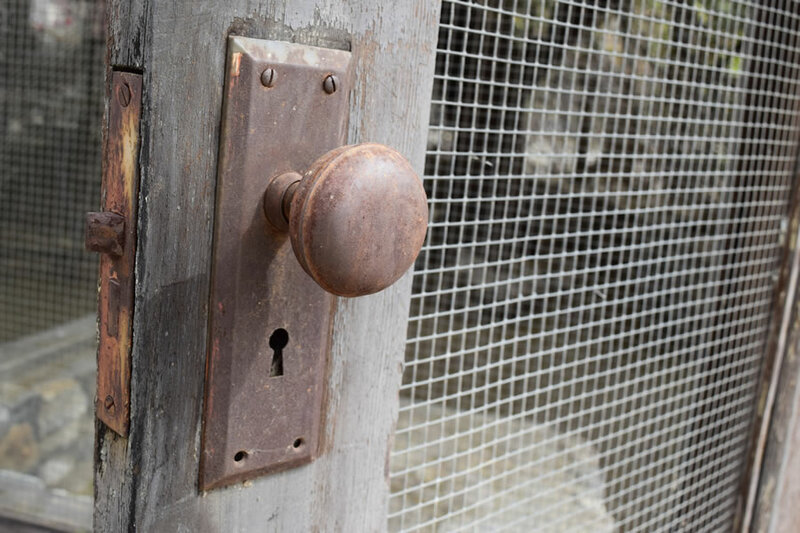 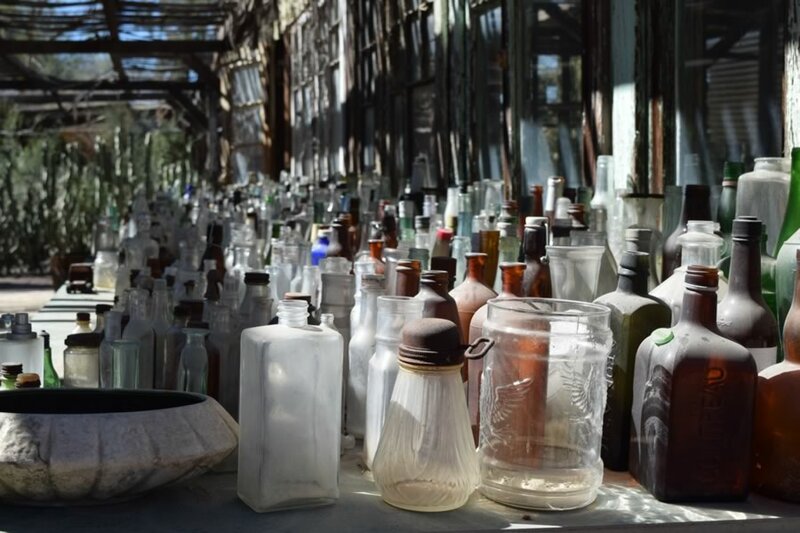 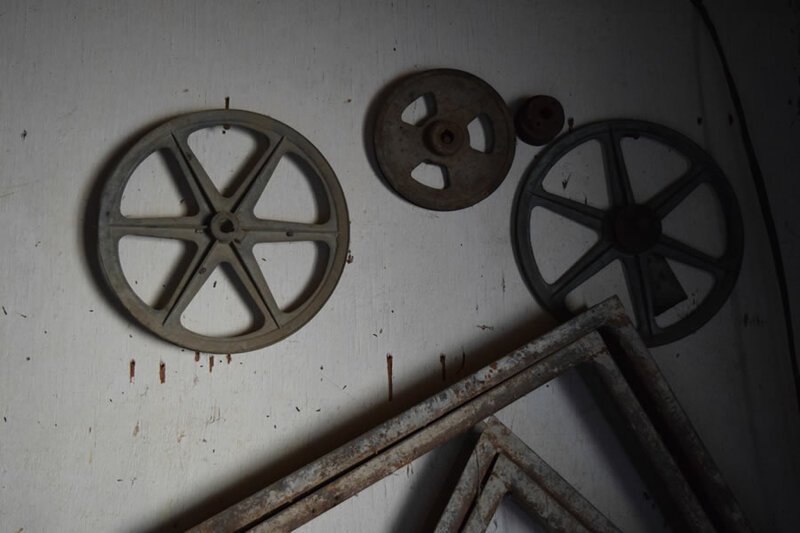 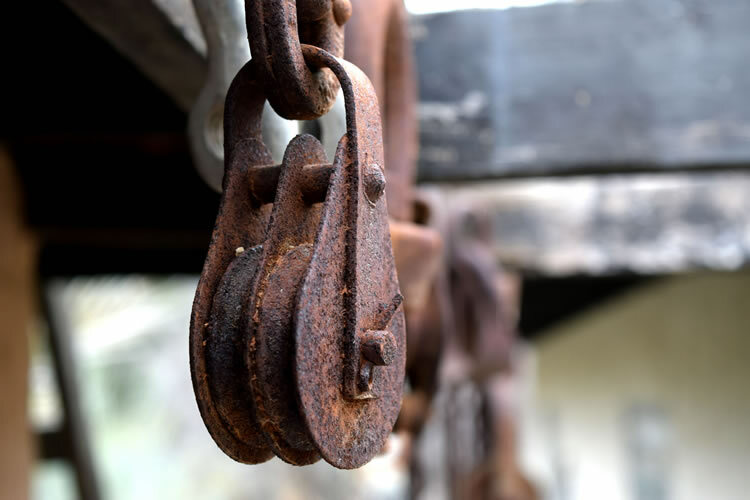 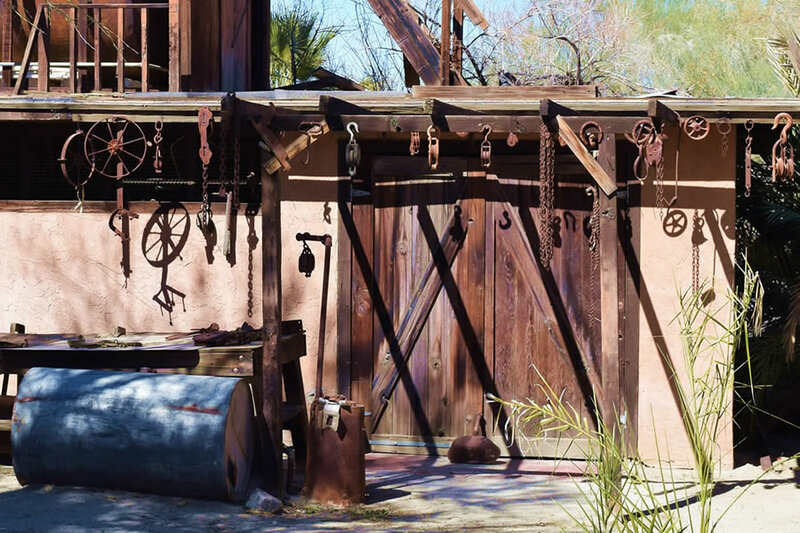 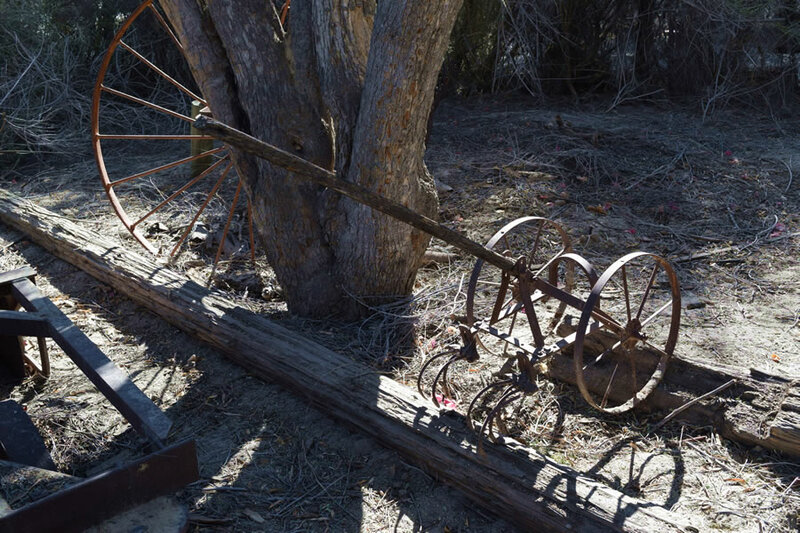 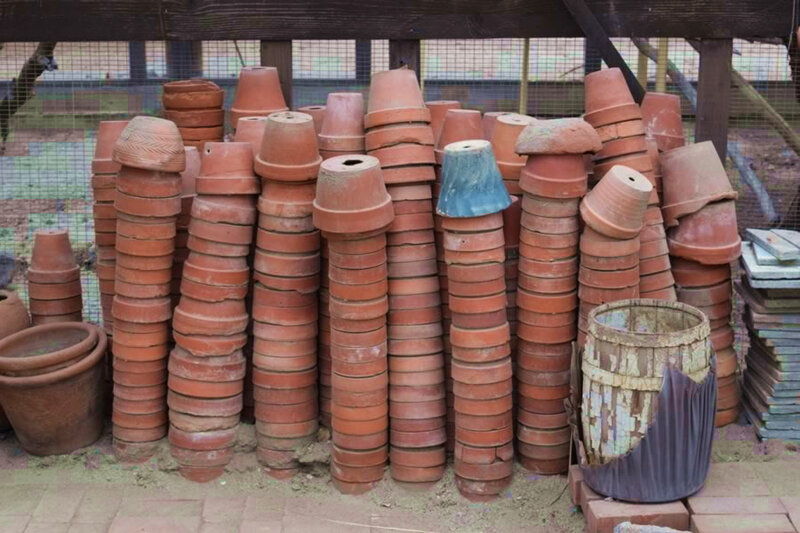 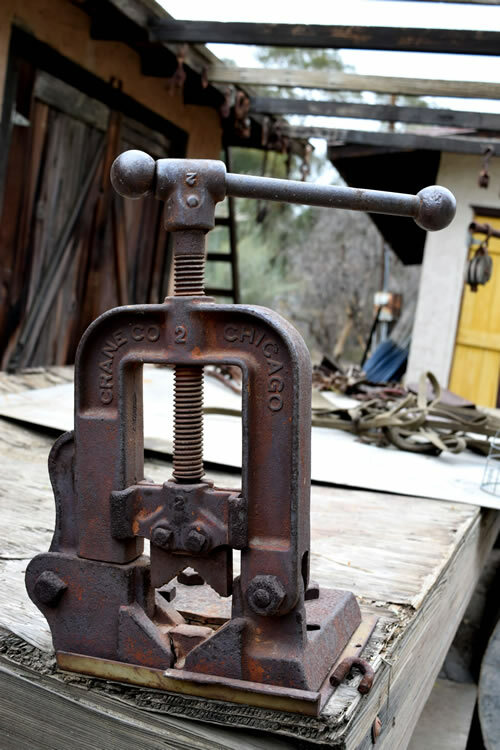 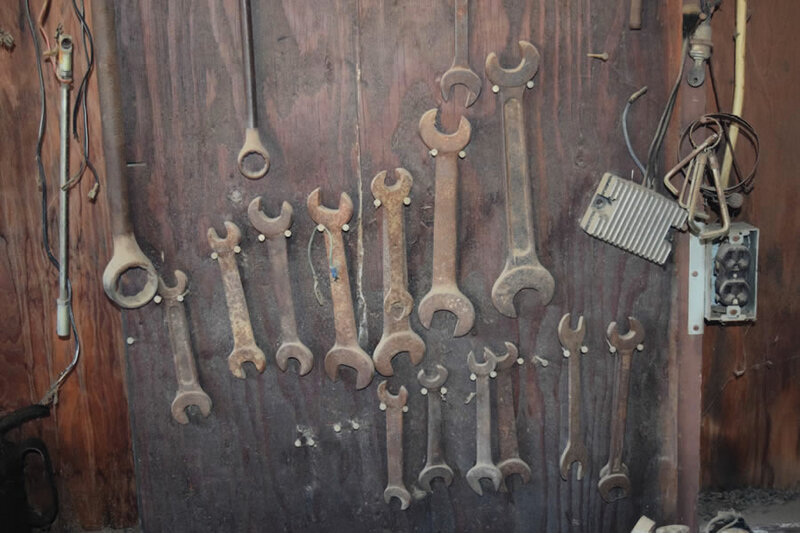 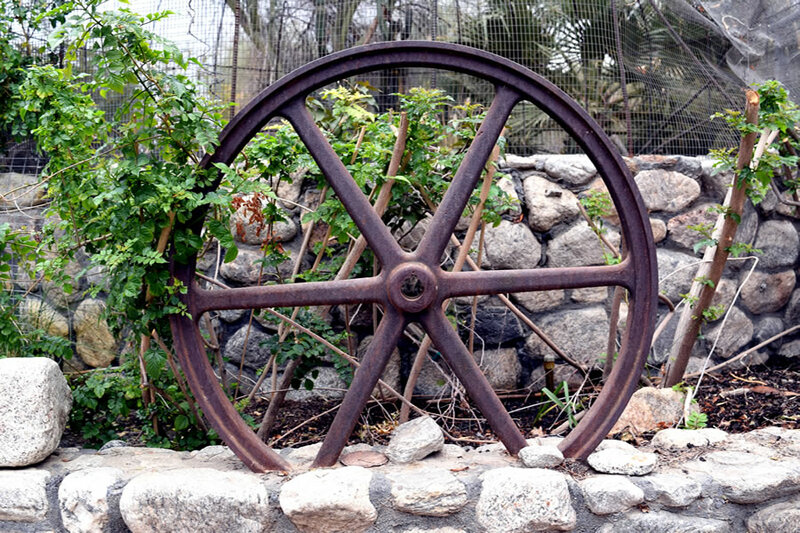 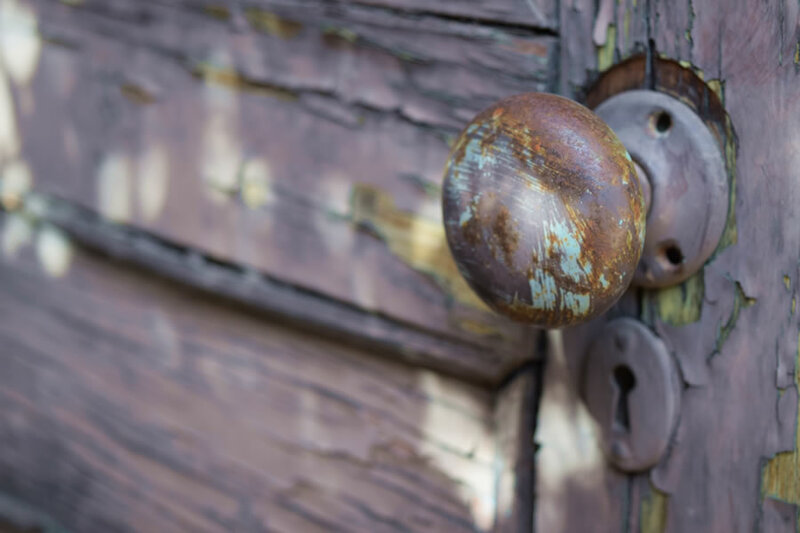 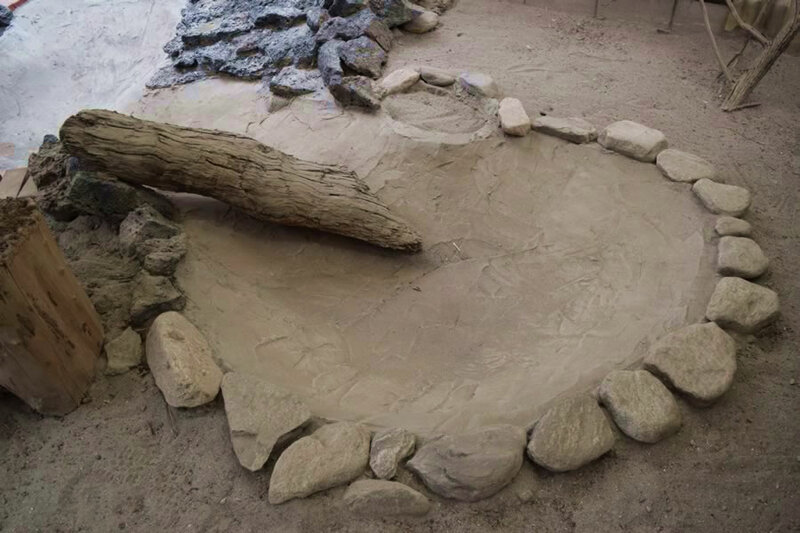 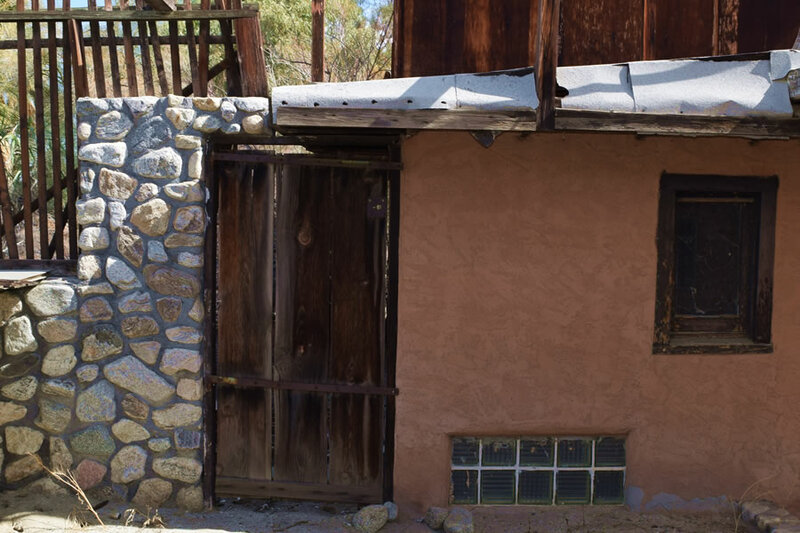 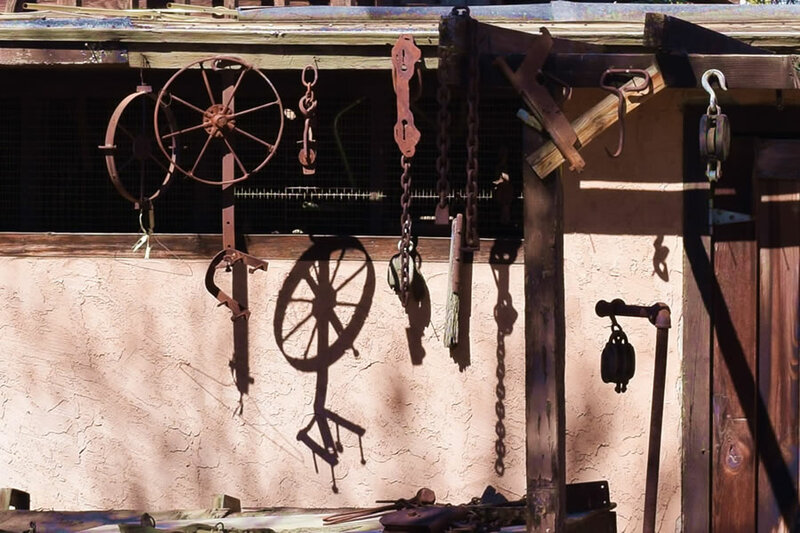 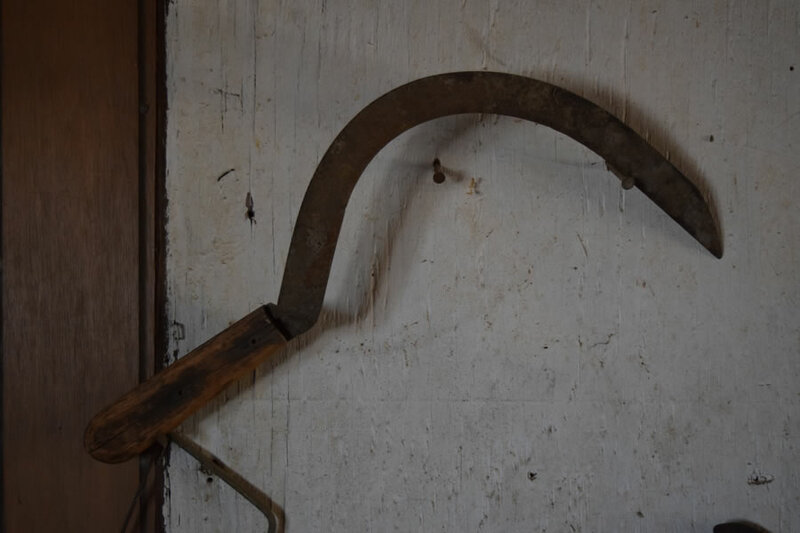 From natural plant life and wilderness, to handmade iron works and masonry, a collision of one man’s passion to create is present throughout 27 acres – recently restored and now preserved – setting the stage for any script to tell. 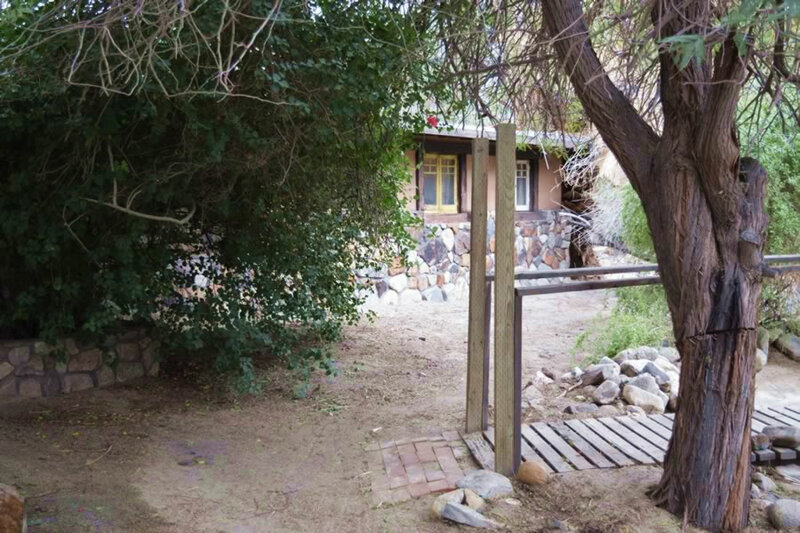 Single story residence. 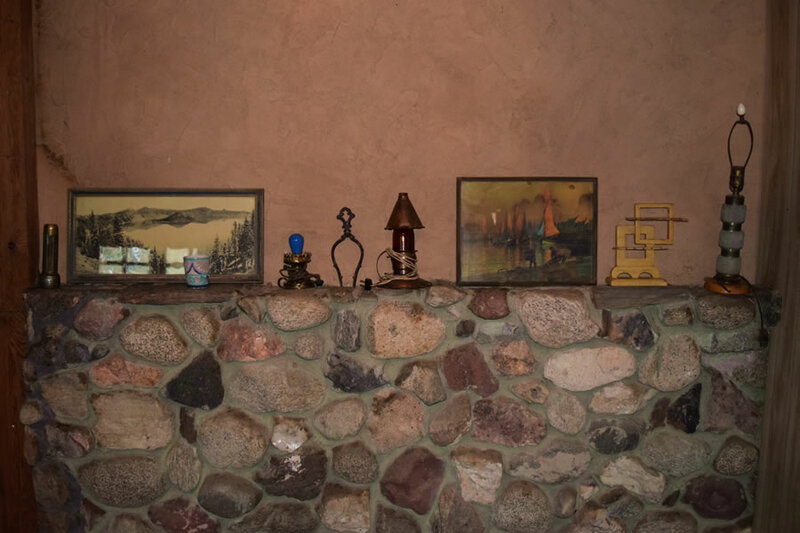 Brick fireplace with cast iron wood burning stove. 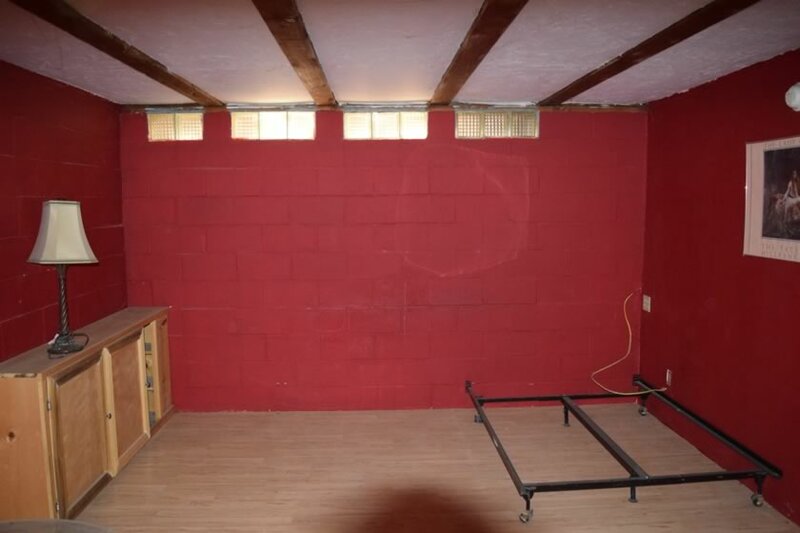 1 bedroom & 1 outside bedroom. 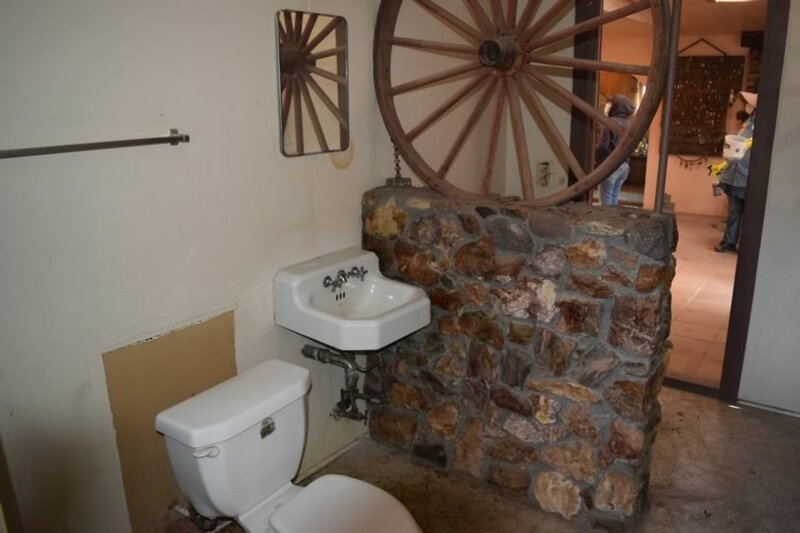 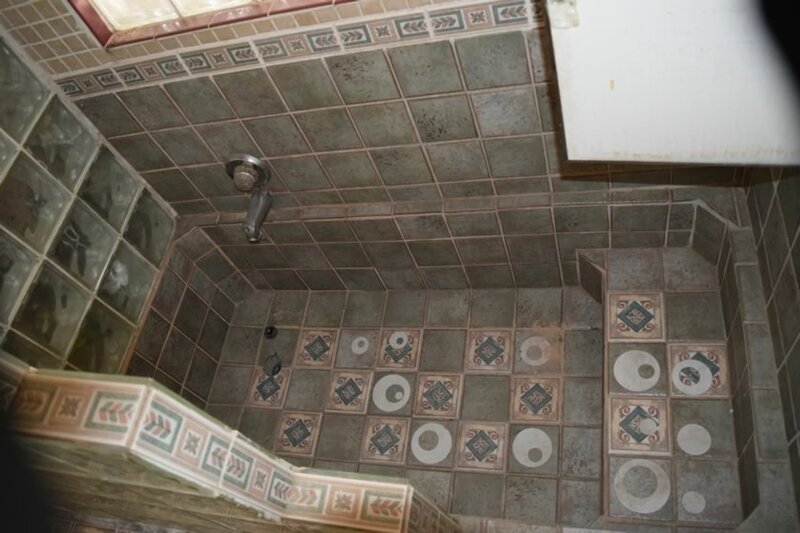 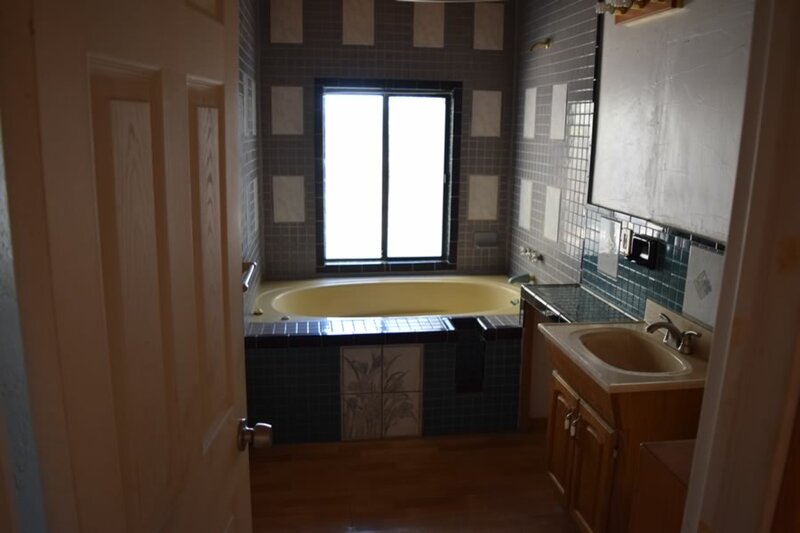 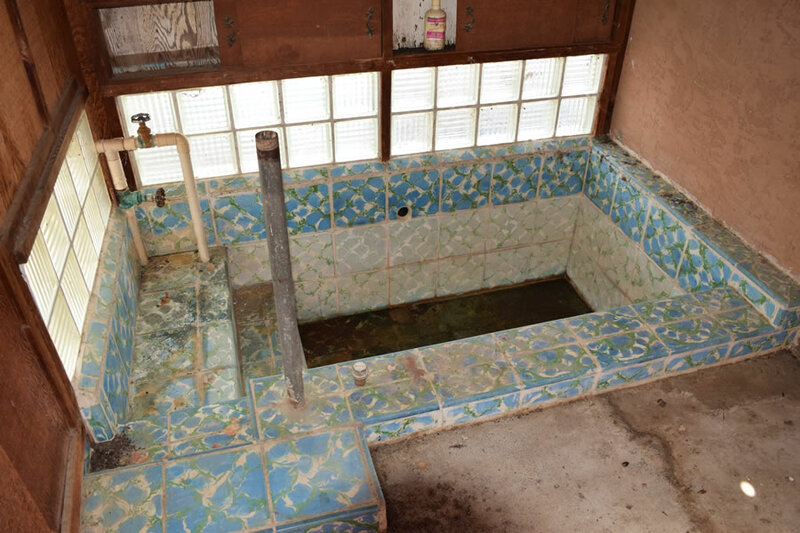 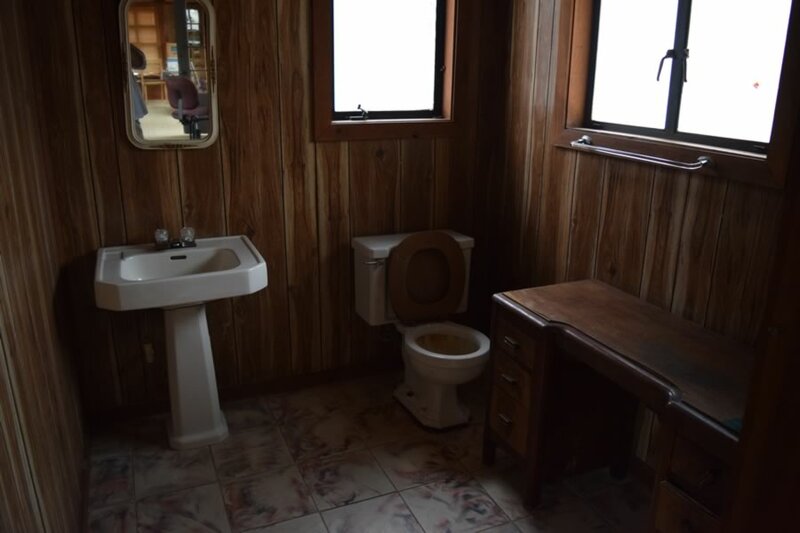 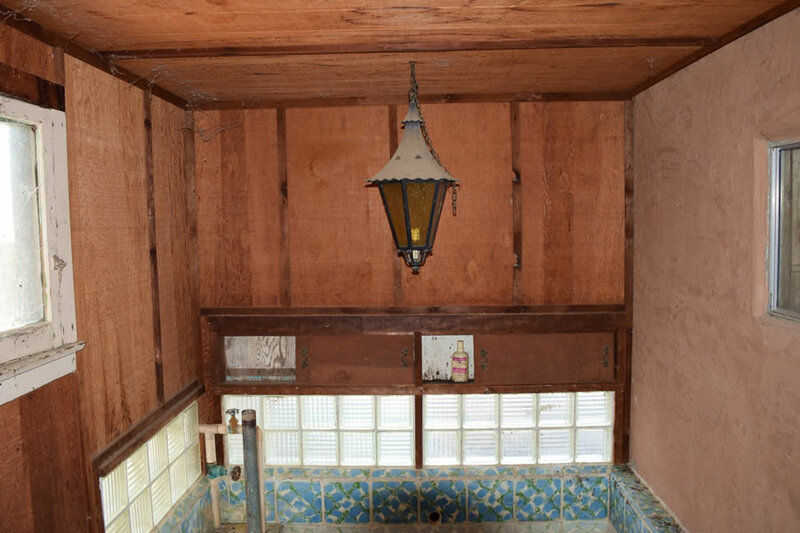 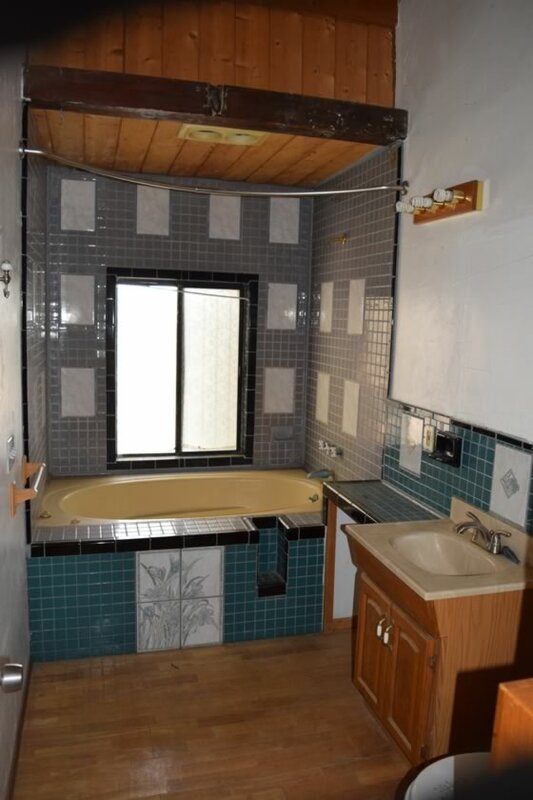 1 bathroom. 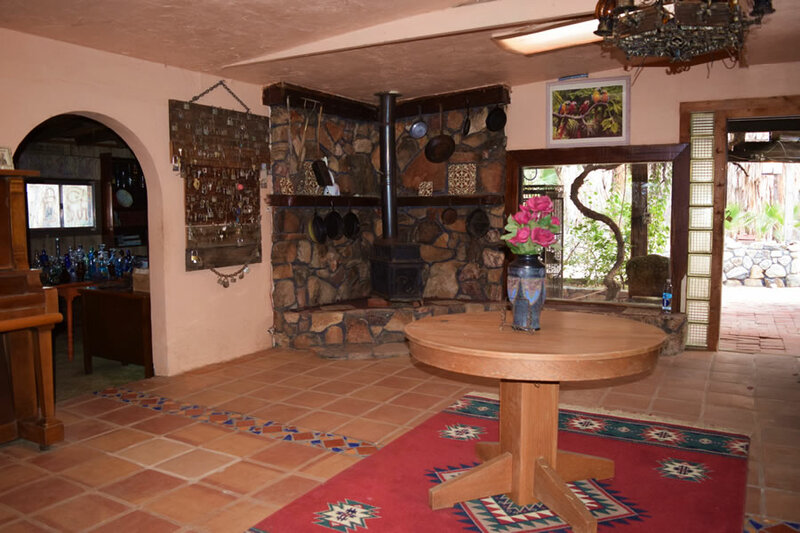 Private patio and open barbecue patio with waterfall. 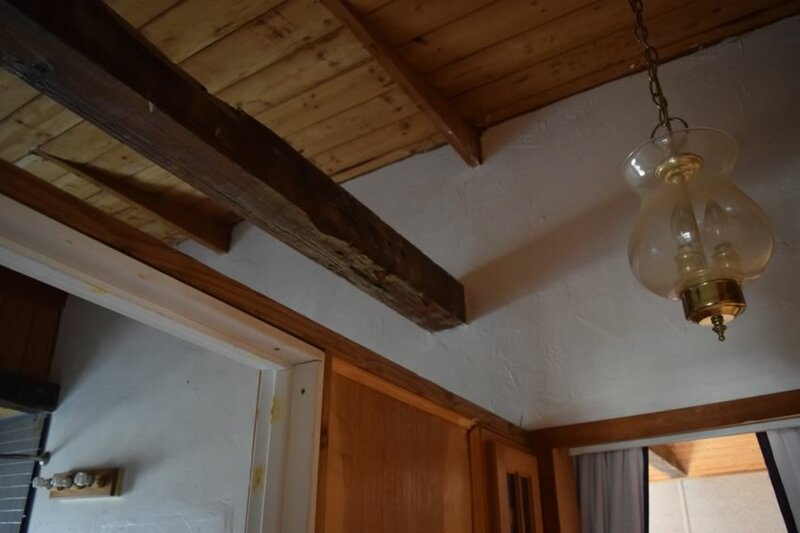 INT/EXT film friendly. 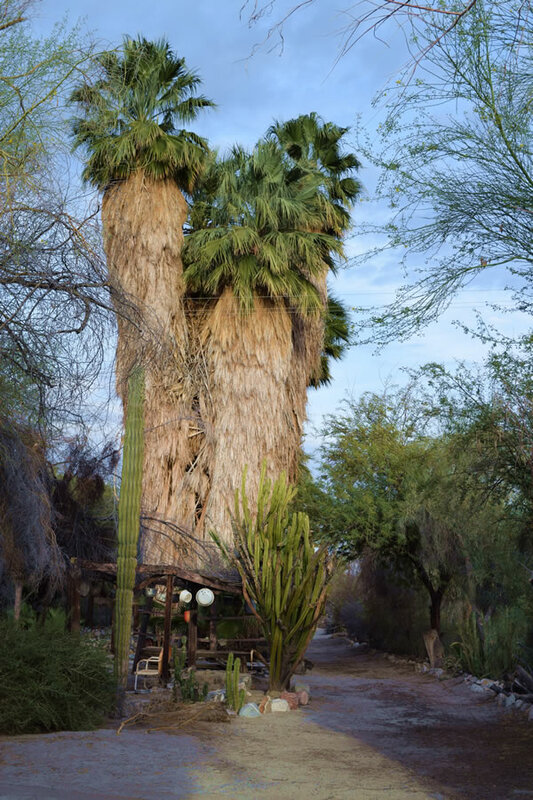 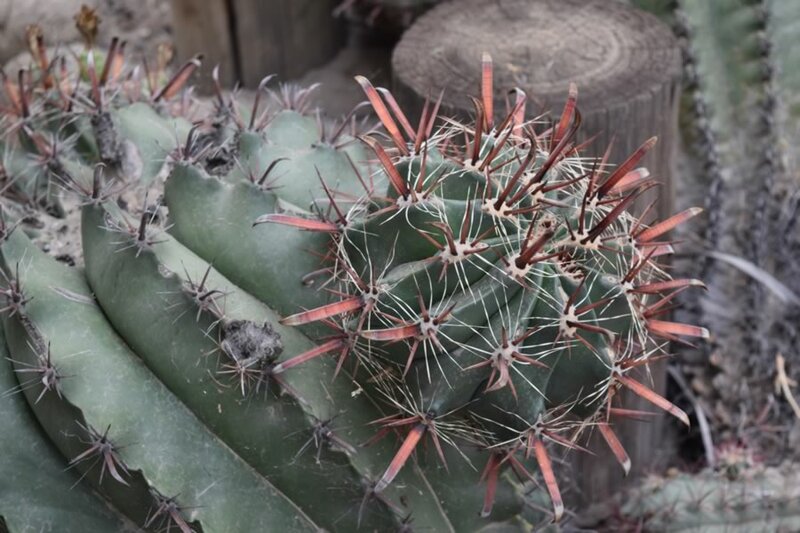 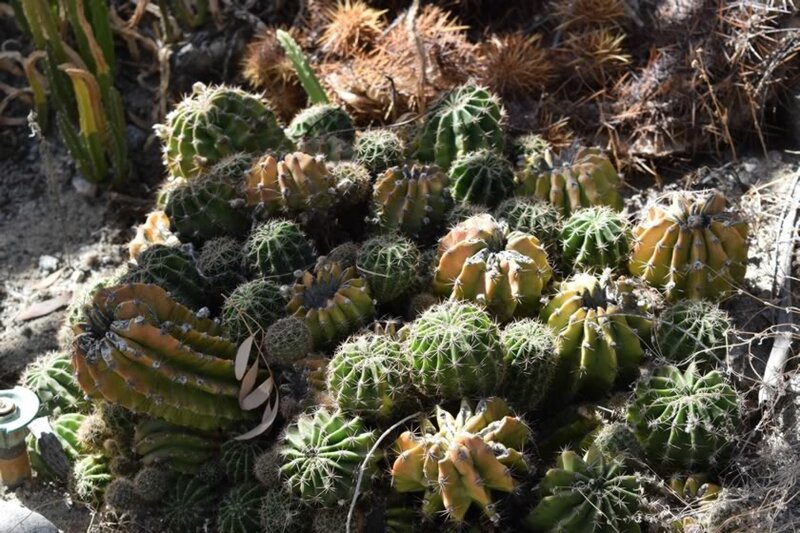 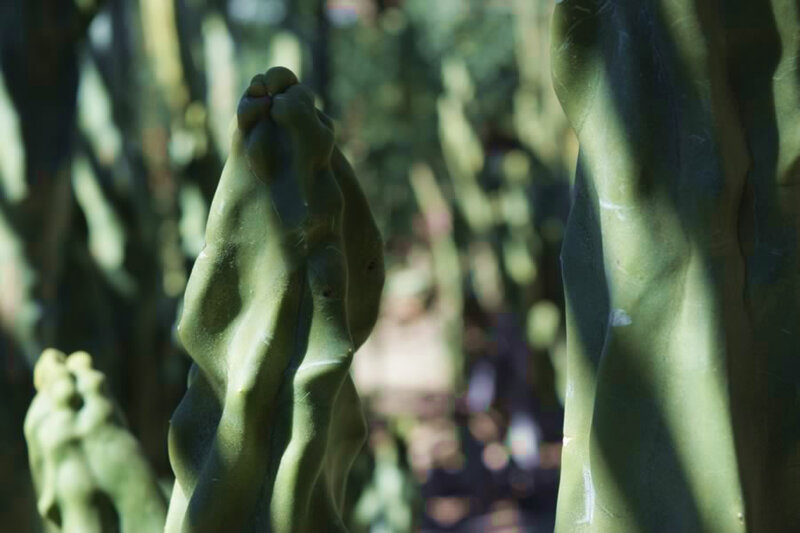 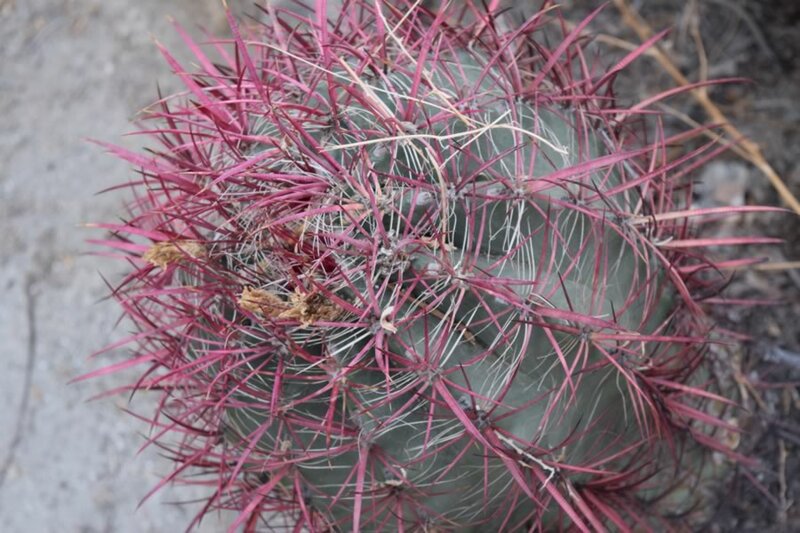 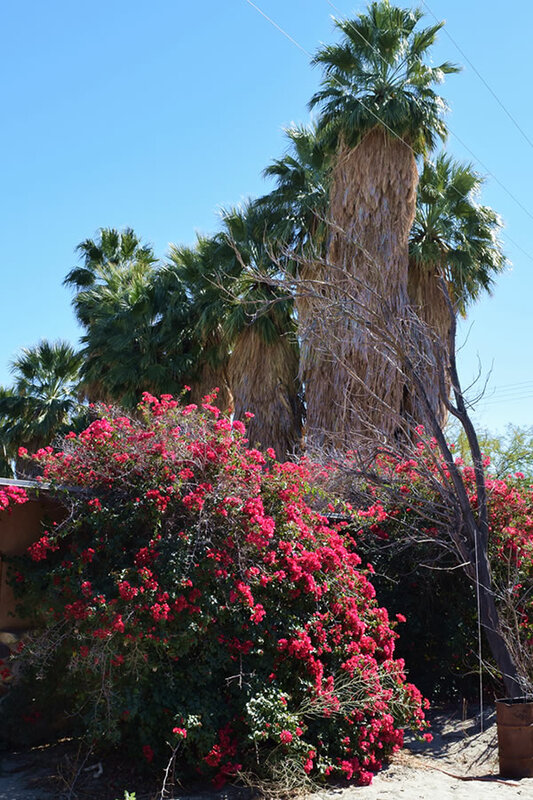 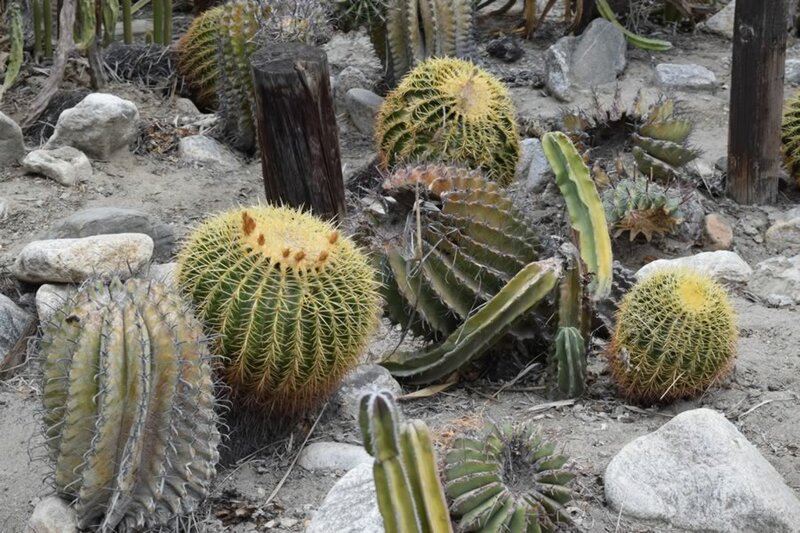 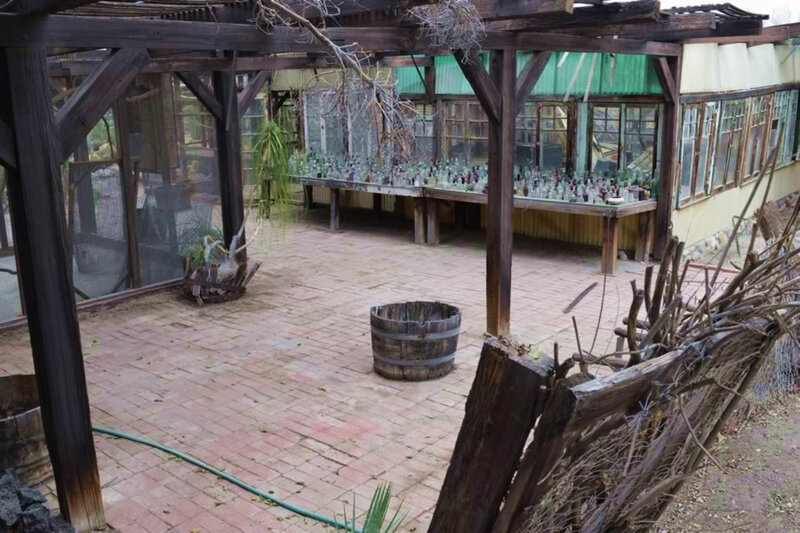 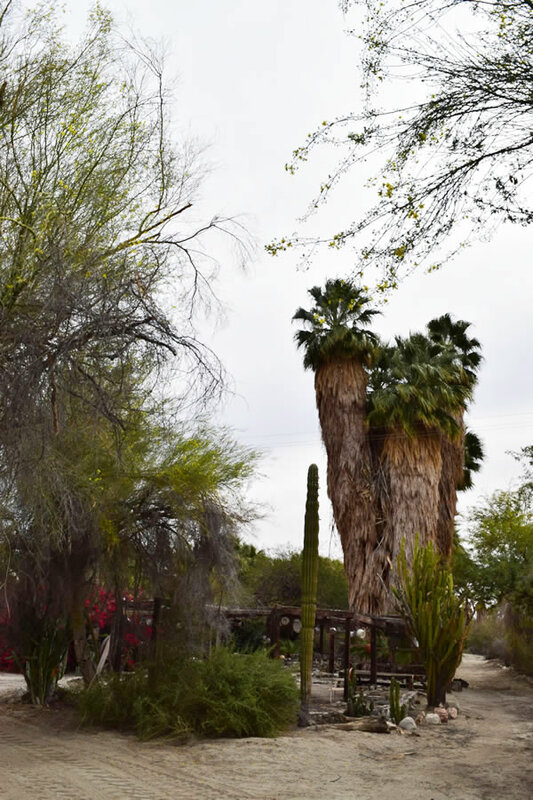 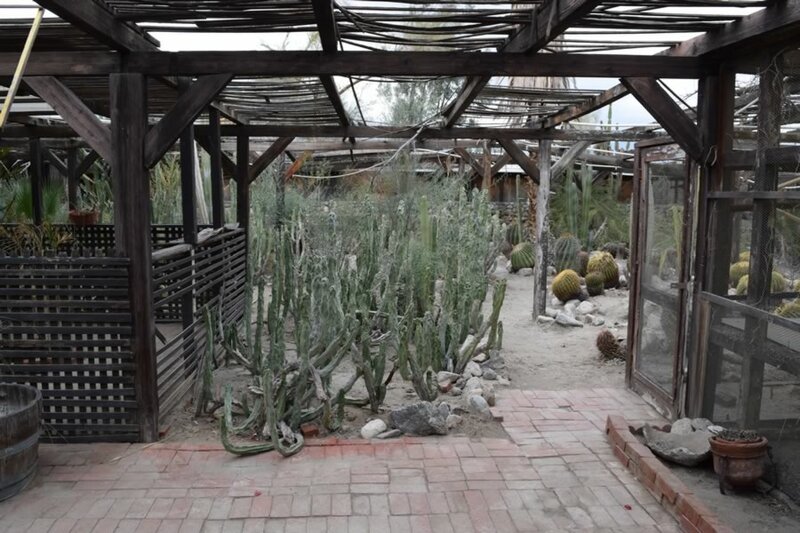 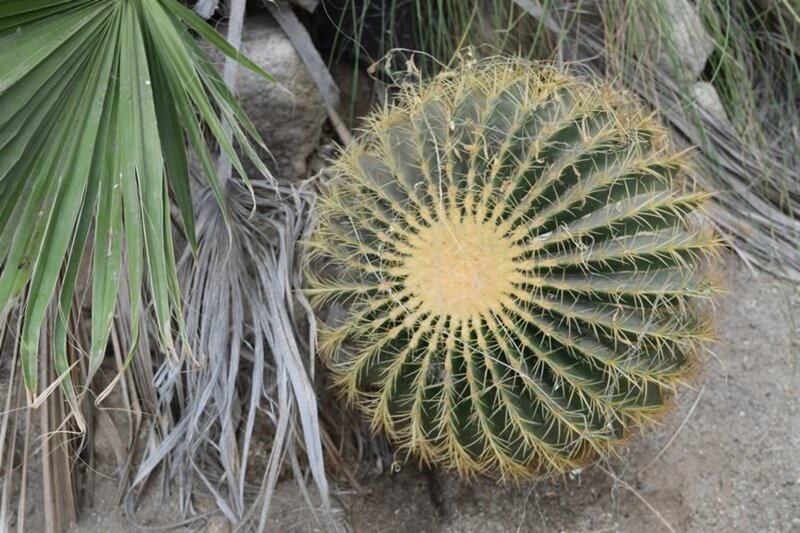 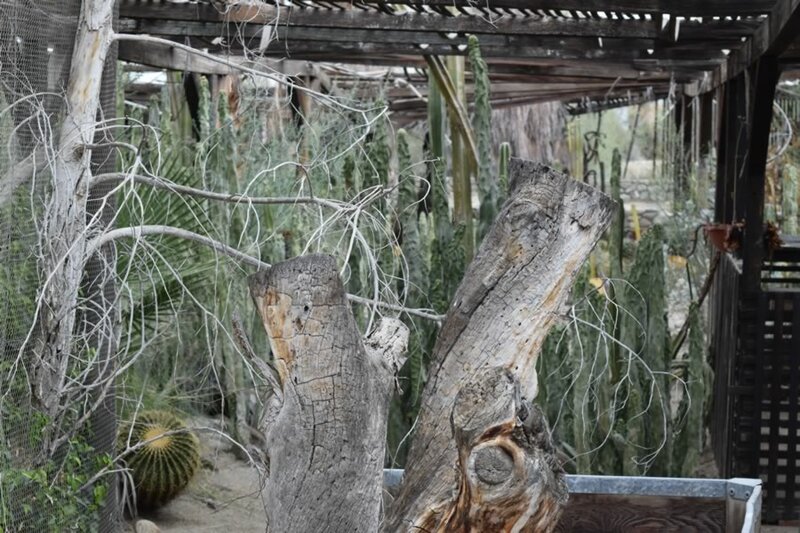 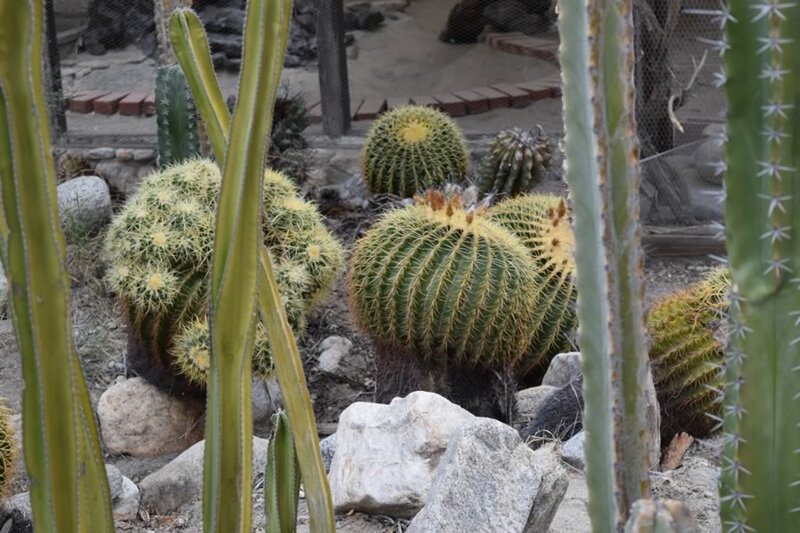 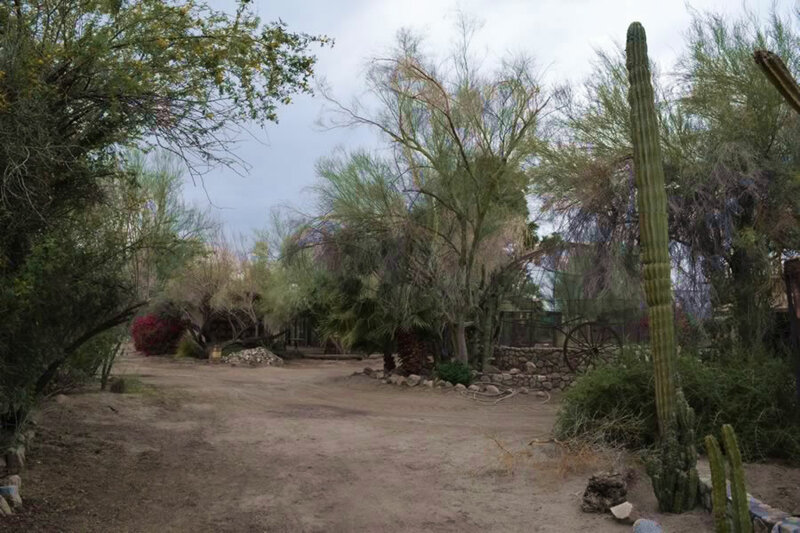 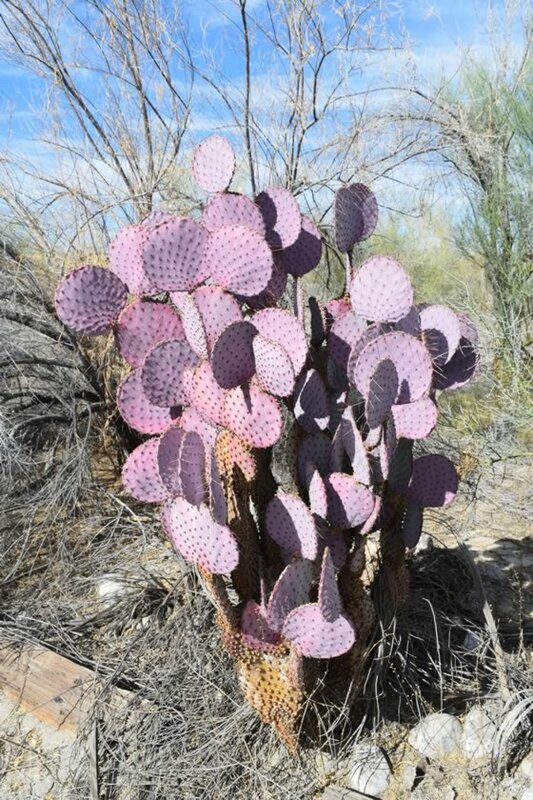 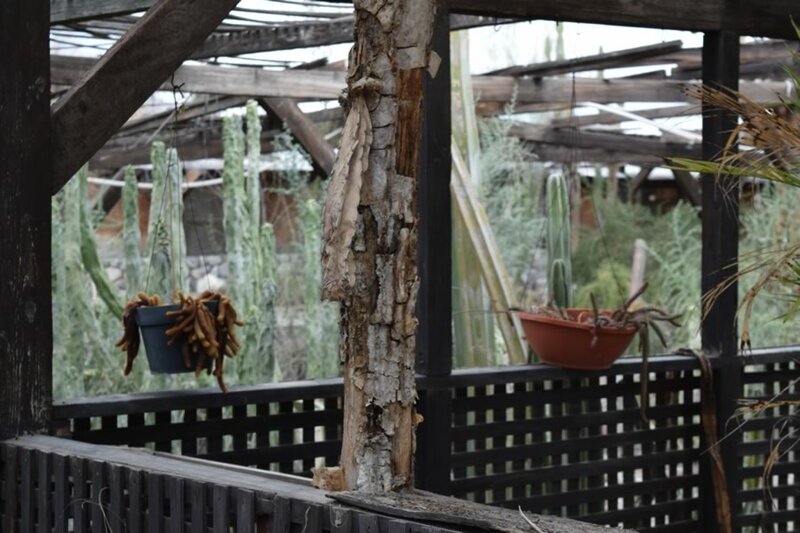 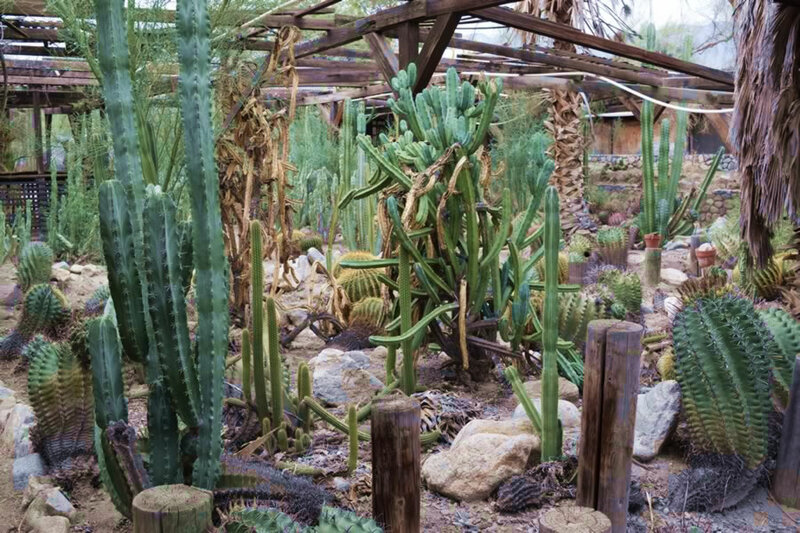 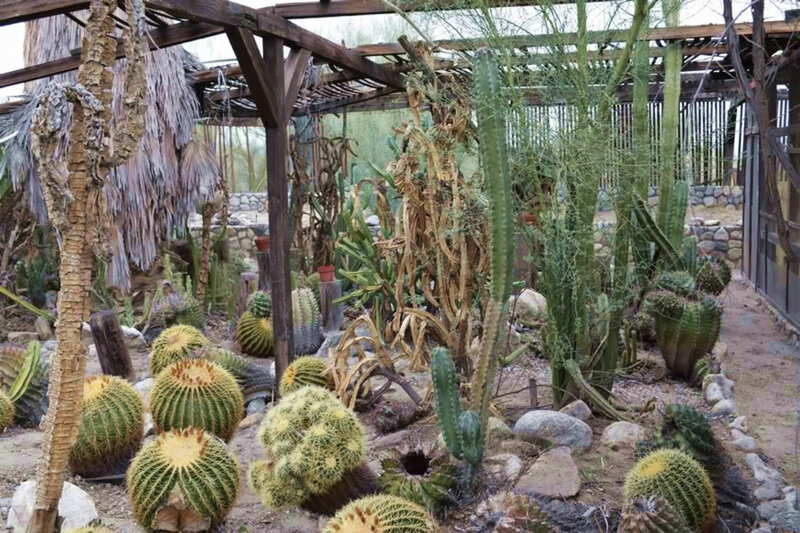 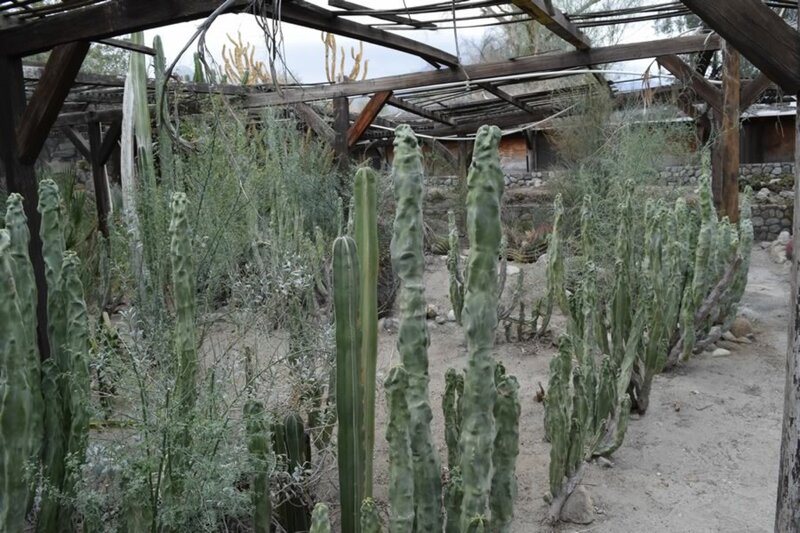 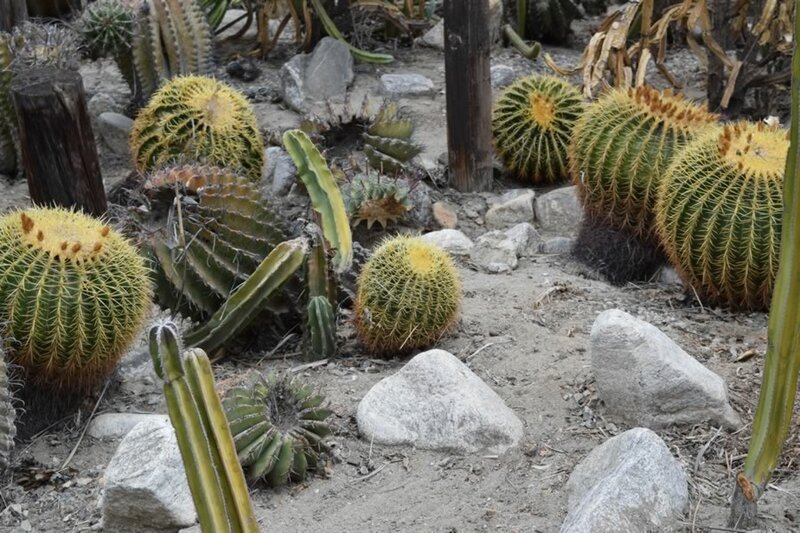 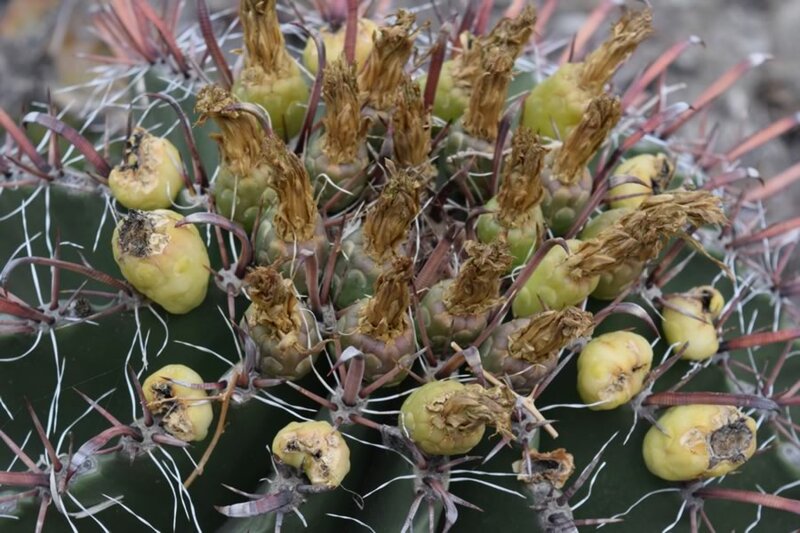 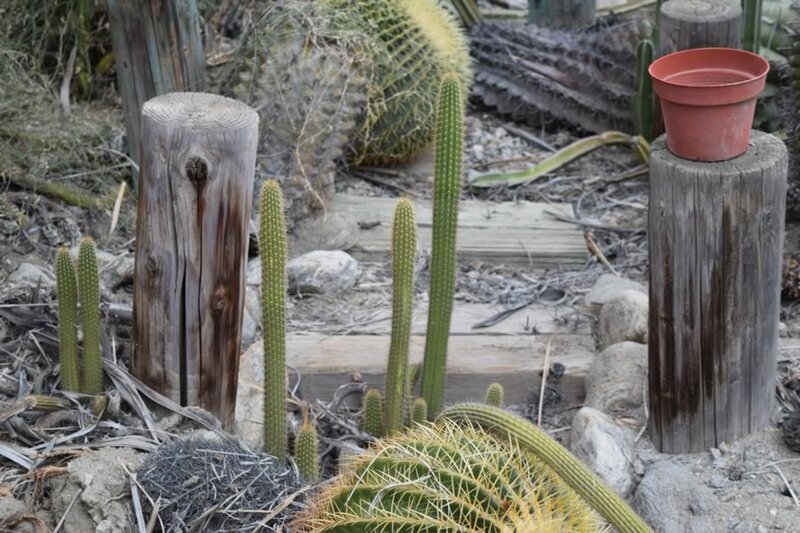 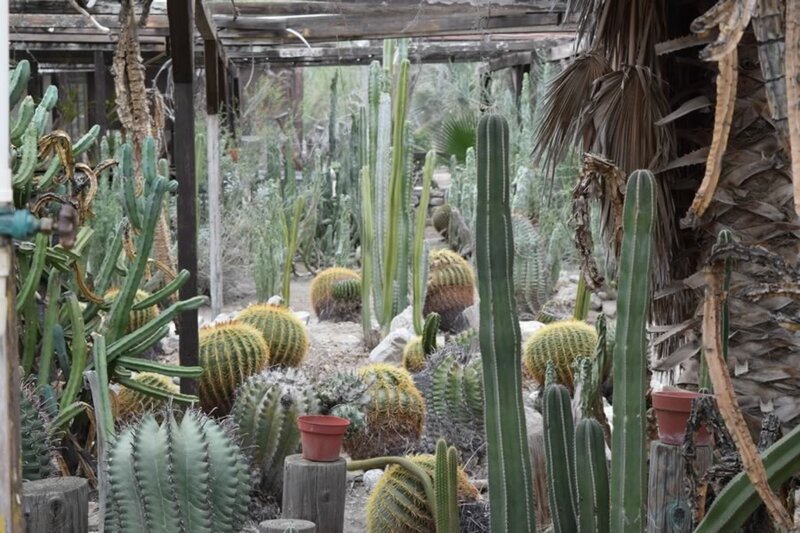 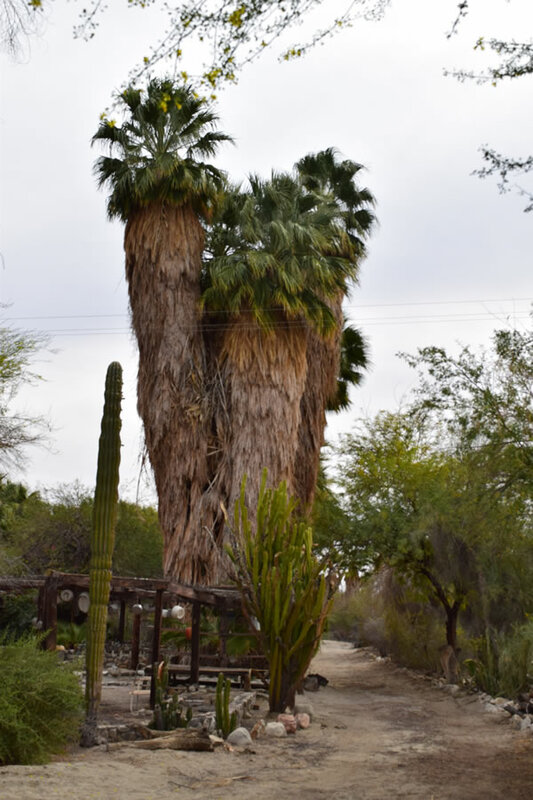 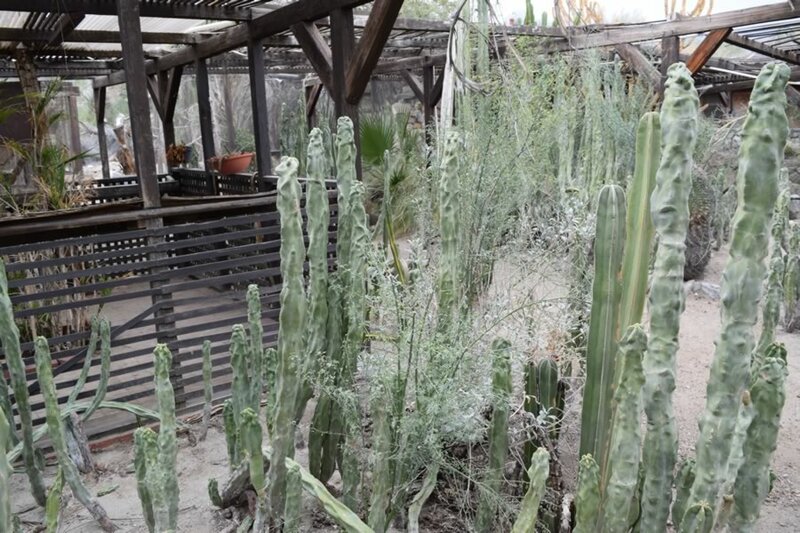 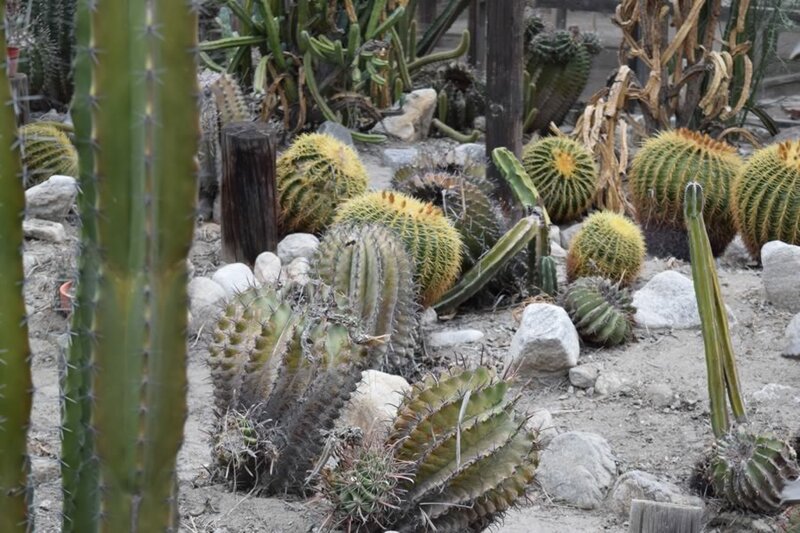 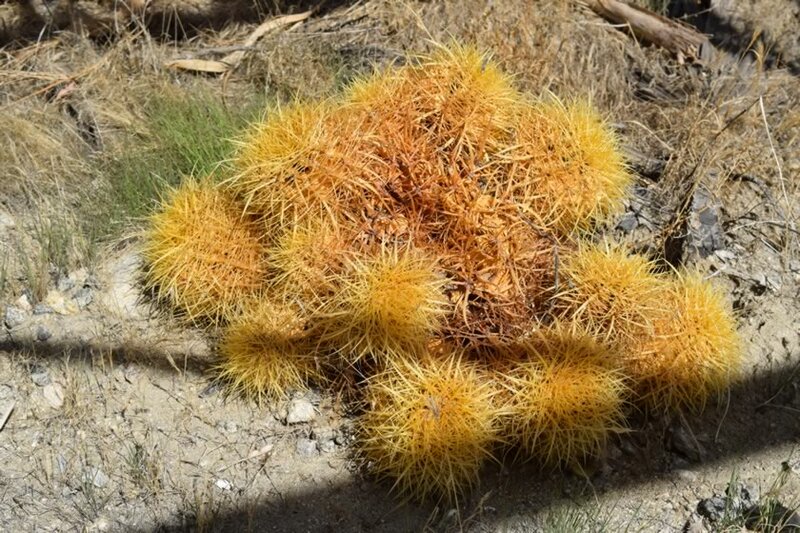 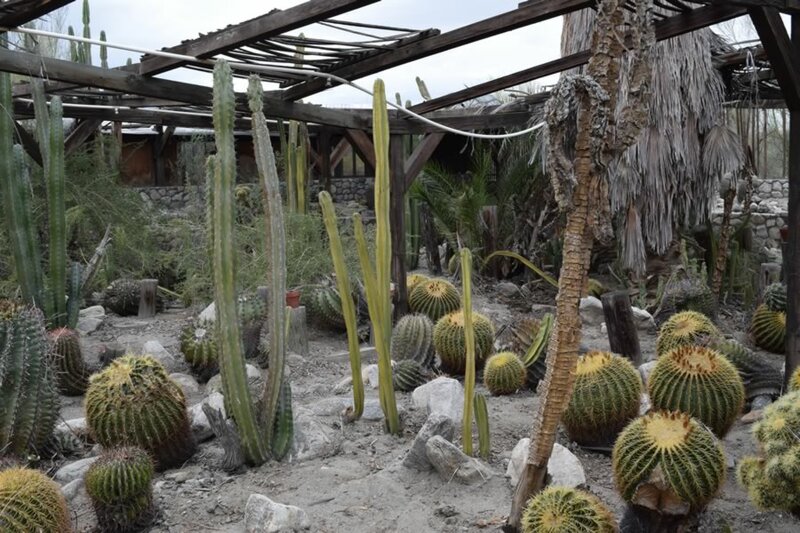 Decades-old cactus garden with dozens of mature totem pole, barrel, rare & exotic cacti and more. 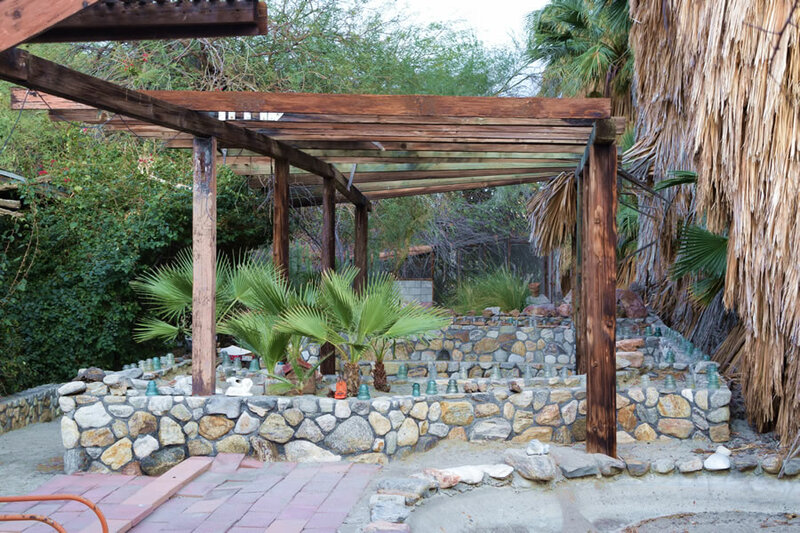 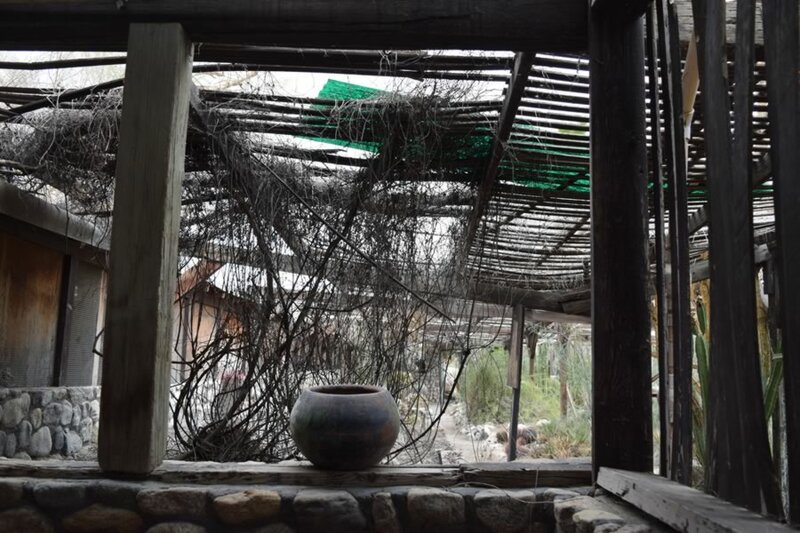 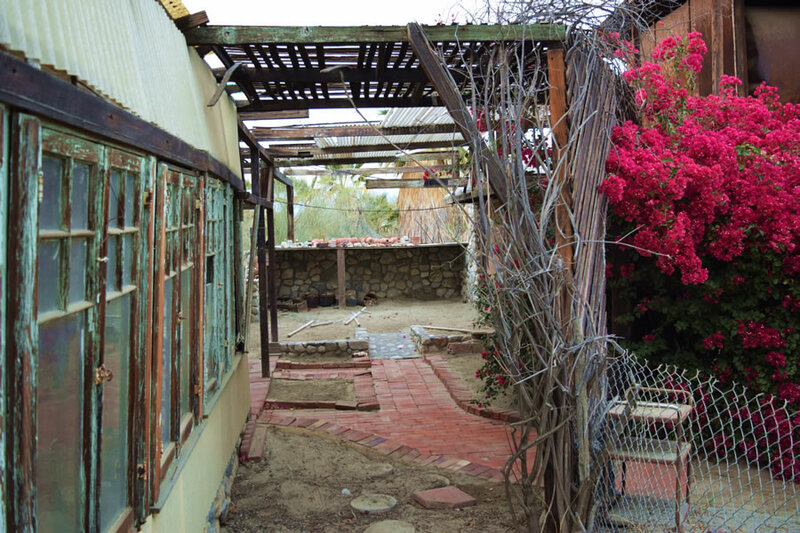 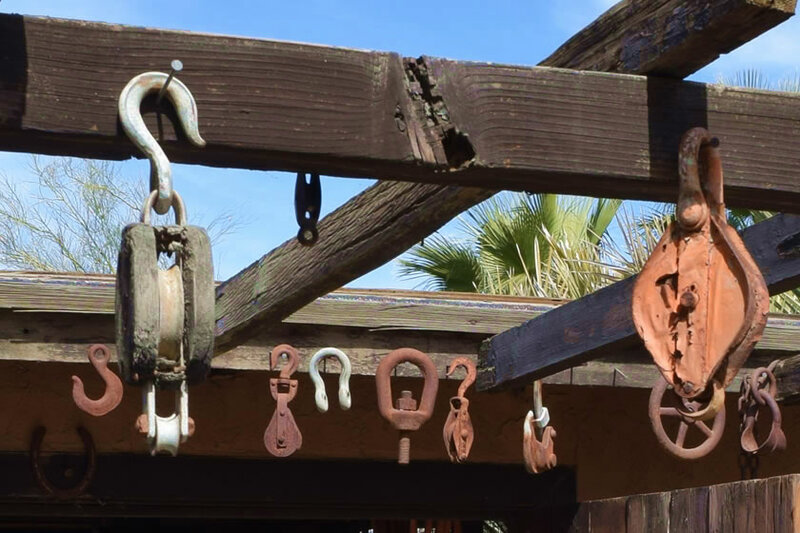 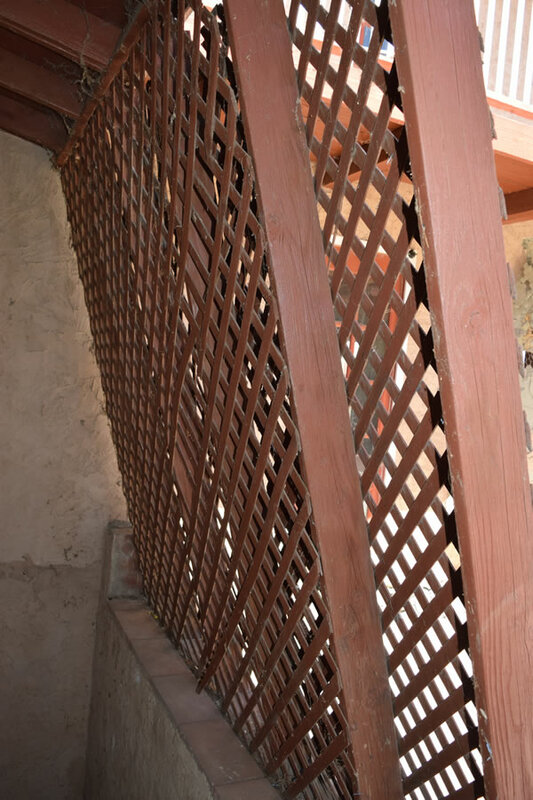 Weather beaten shade covers with wooden patio beams. 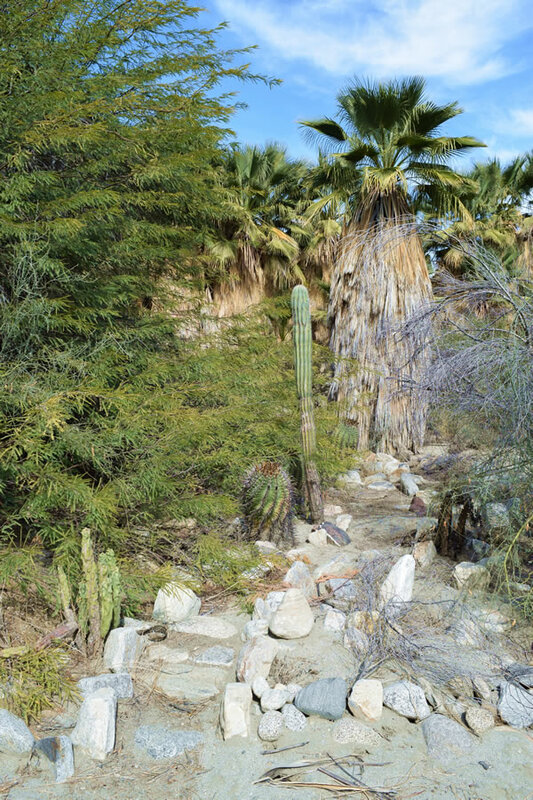 Small paths with custom rock formations throughout. 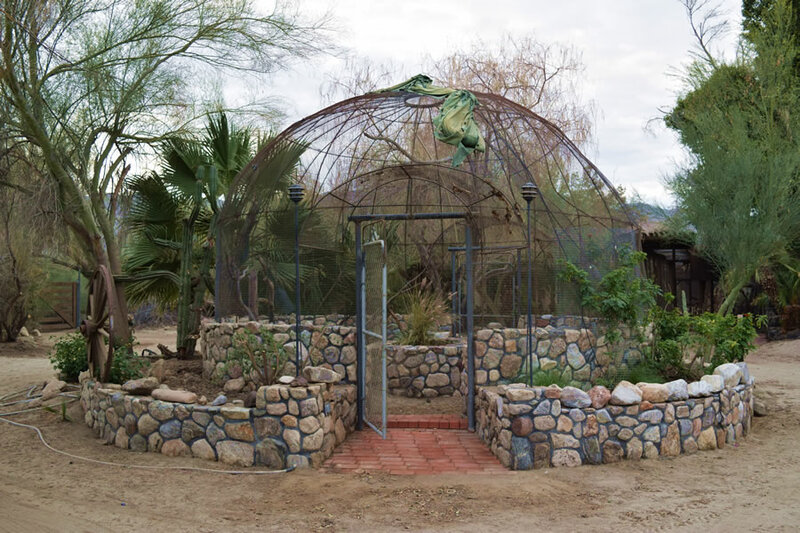 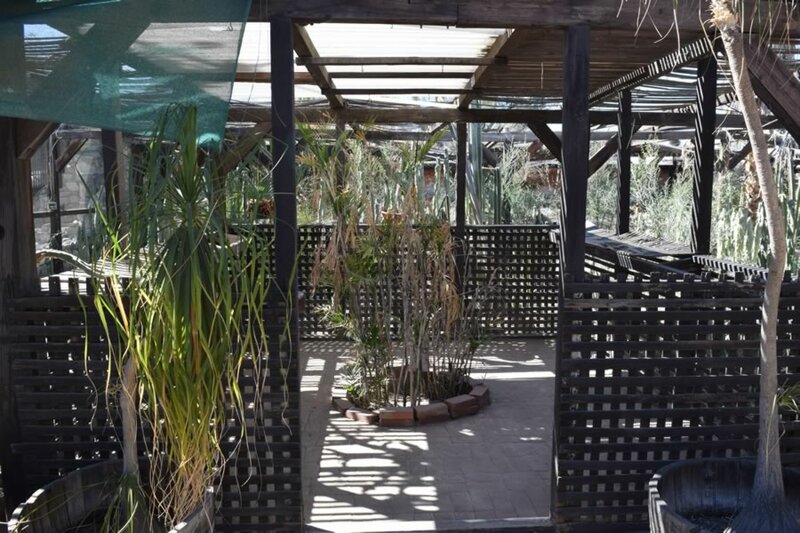 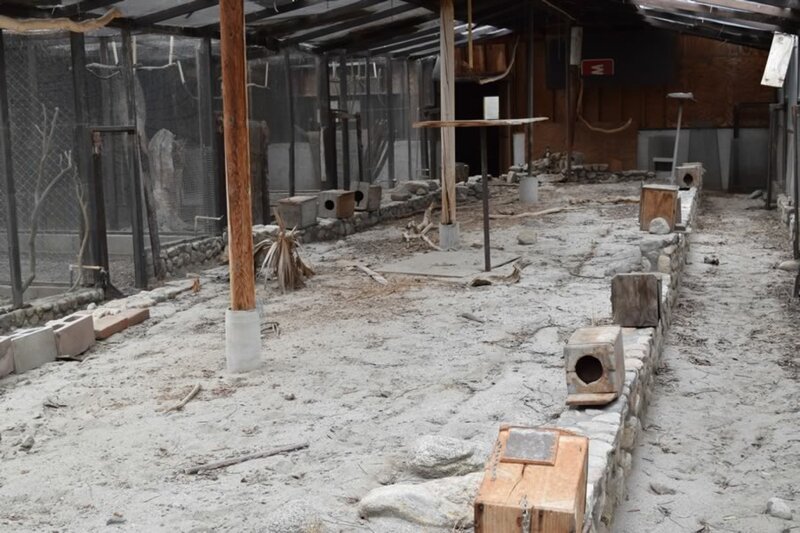 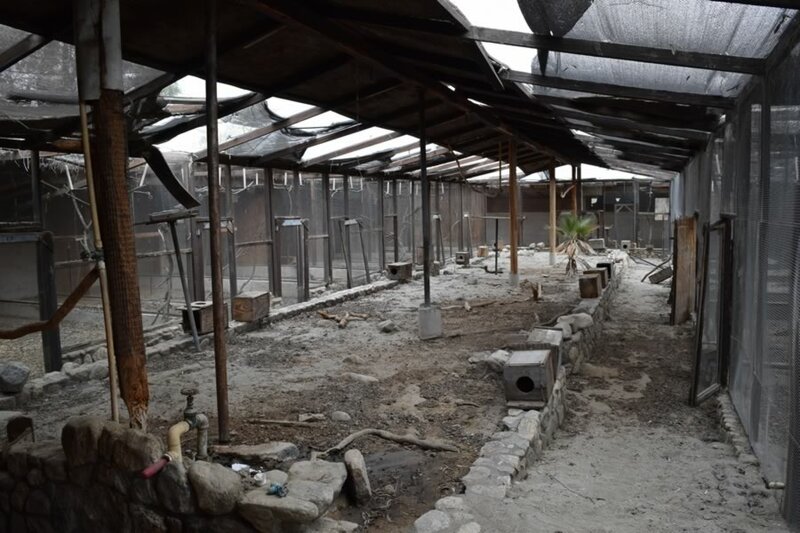 Rows of empty cages, nesting boxes, baskets, feeders, ponds, waterfalls, fountains, bathes, shelters, green roofs and lots of nooks and crannies. 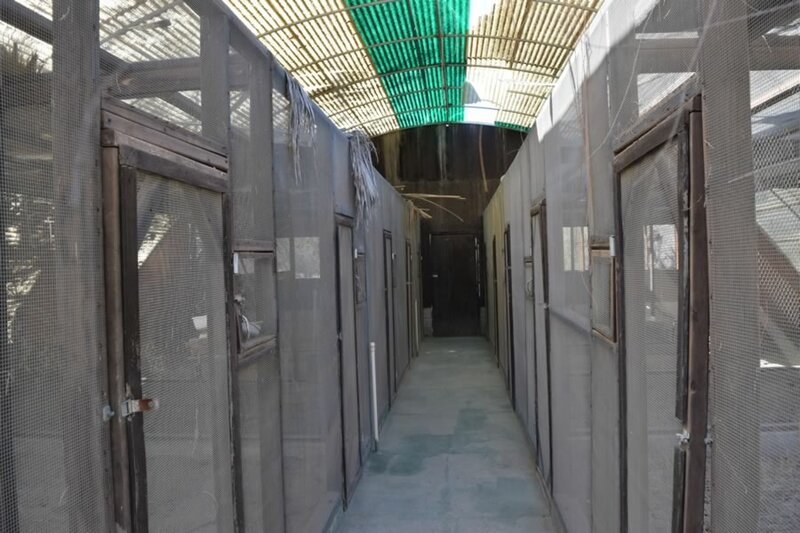 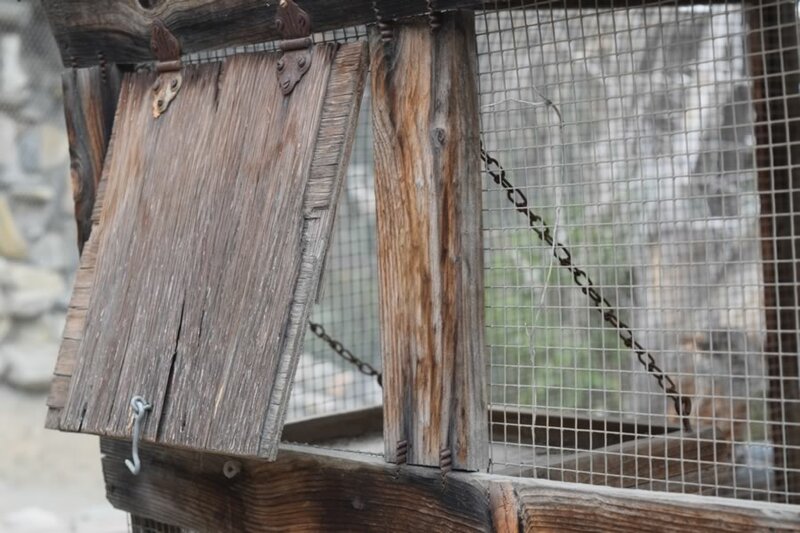 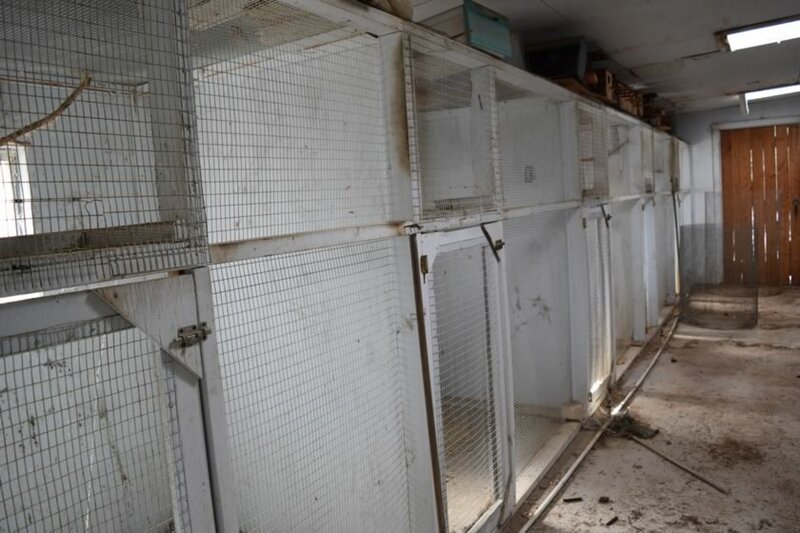 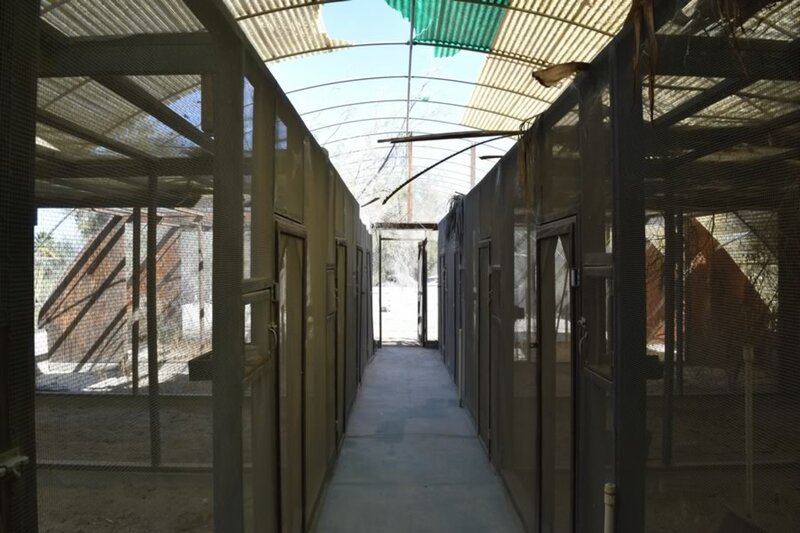 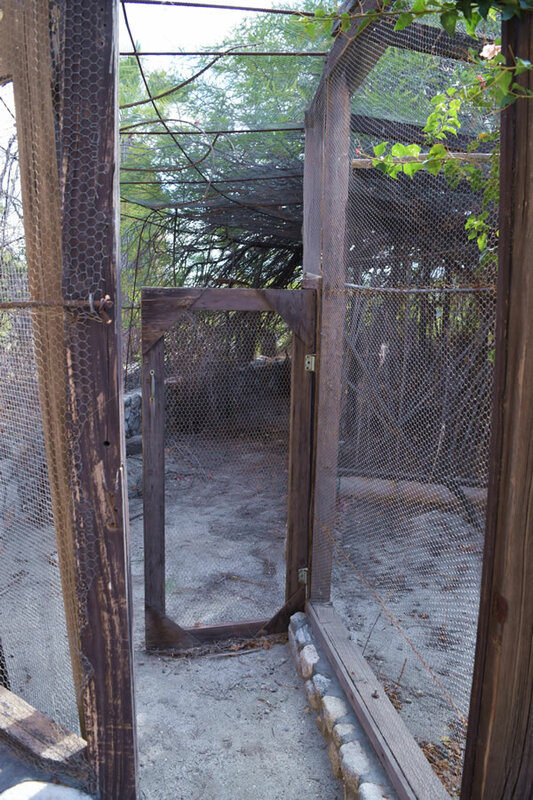 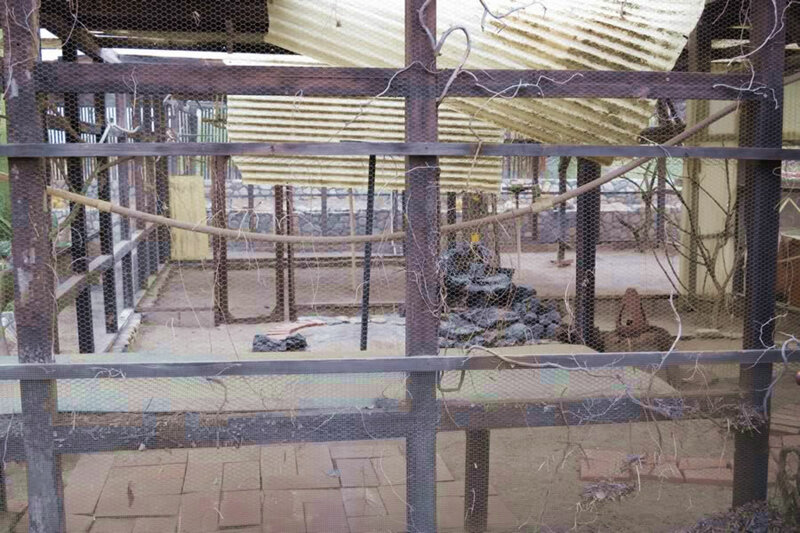 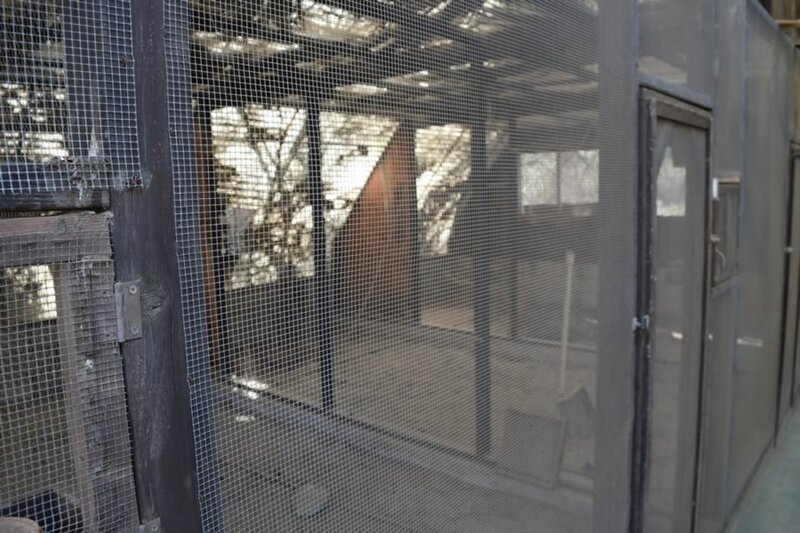 Tiny cages, small cages, big cages and extra-large cages crisscross a maze of a see-through corrals large enough for a thousand flocks or more. 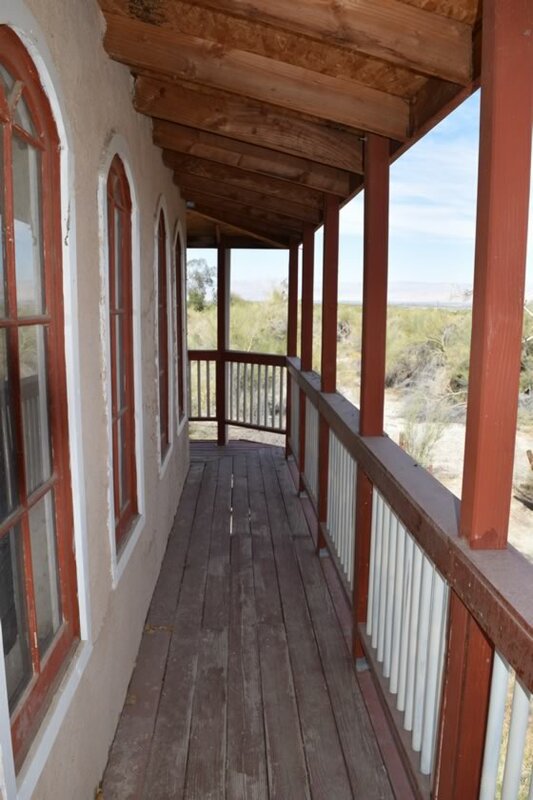 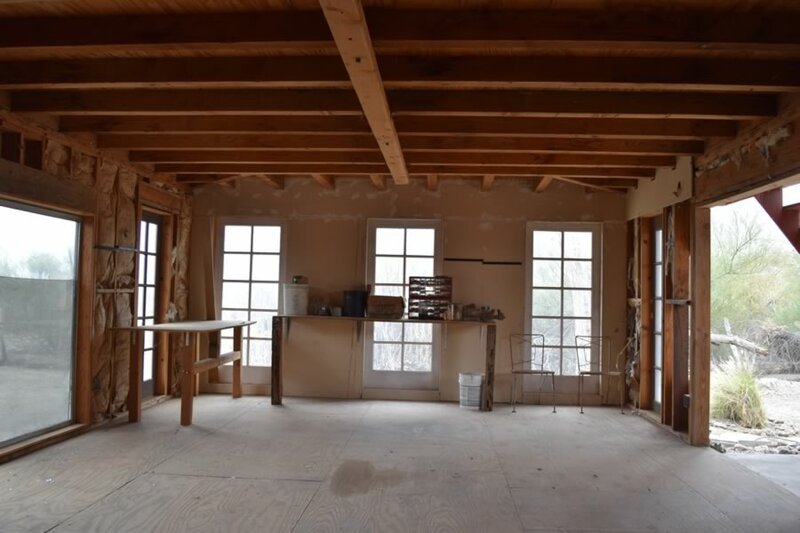 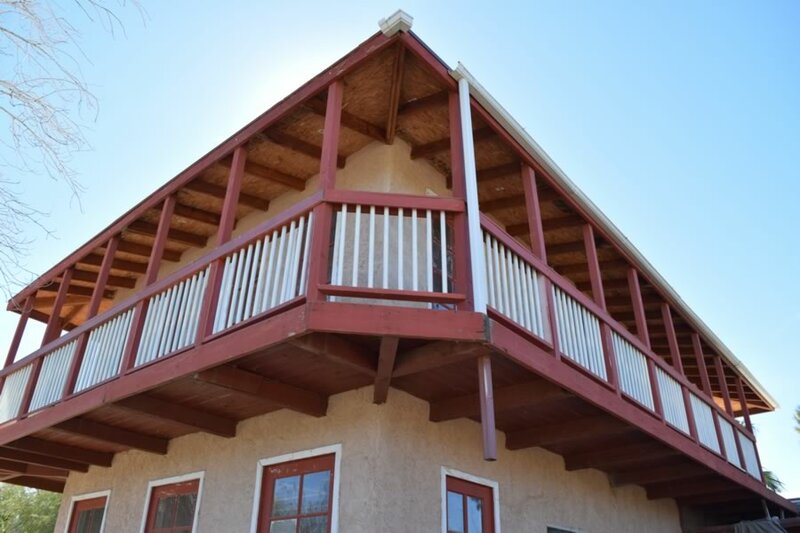 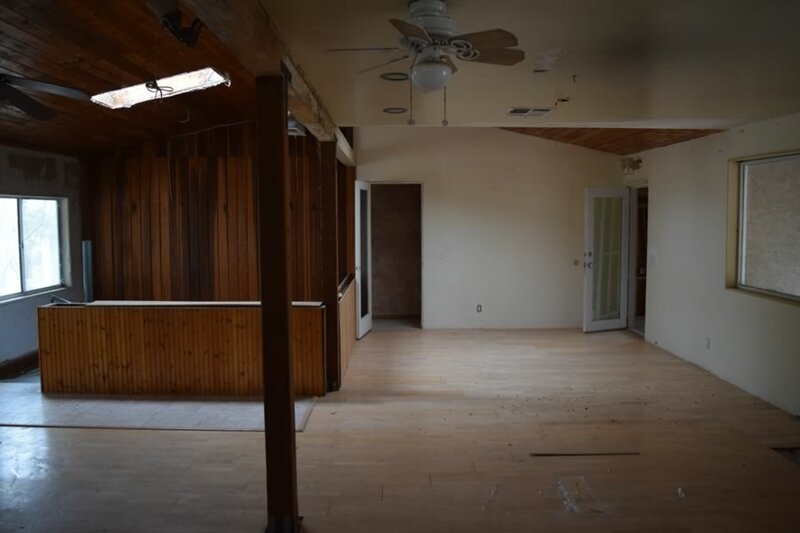 This custom-built home features 2 stories of open floor plans, wooden balcony and narrow design – nail and paint ready for your favorite horror script or any film genre. 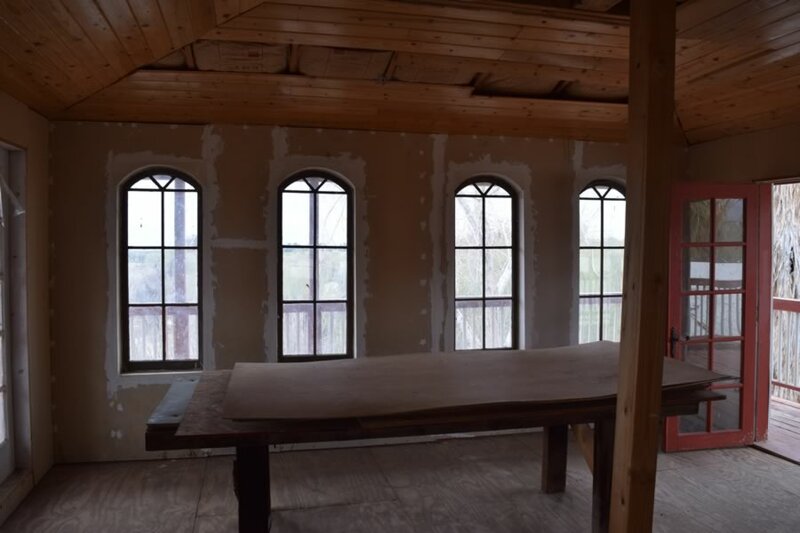 Each floor provides multiple windows for natural light and unique camera angles both in and out. 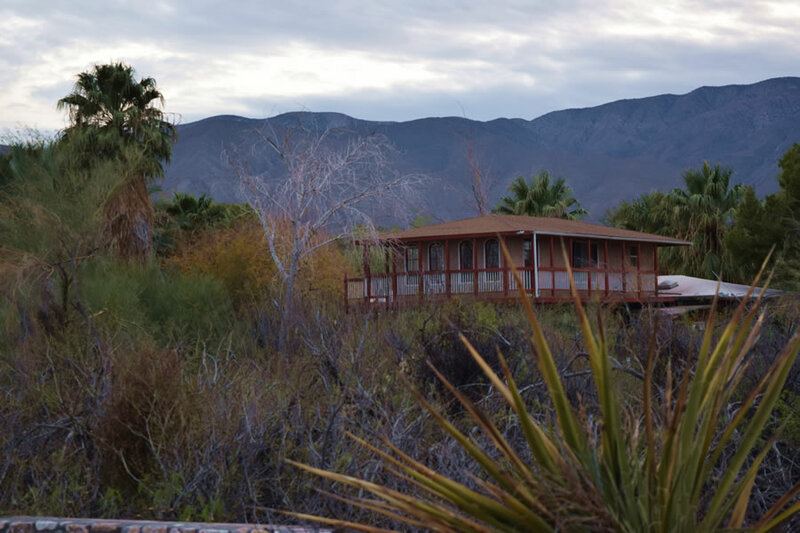 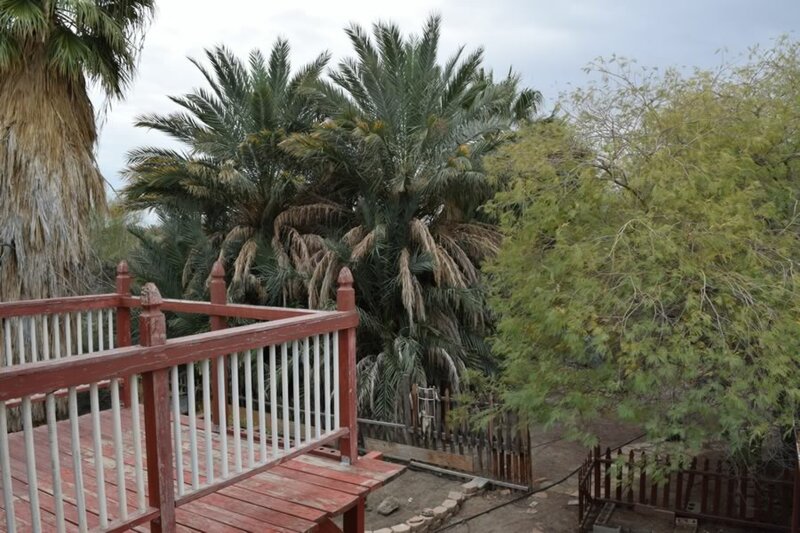 The home can be seen from over 300 yards away, immersed in a jungle of desert wilderness with balcony views as far as the eye can see. 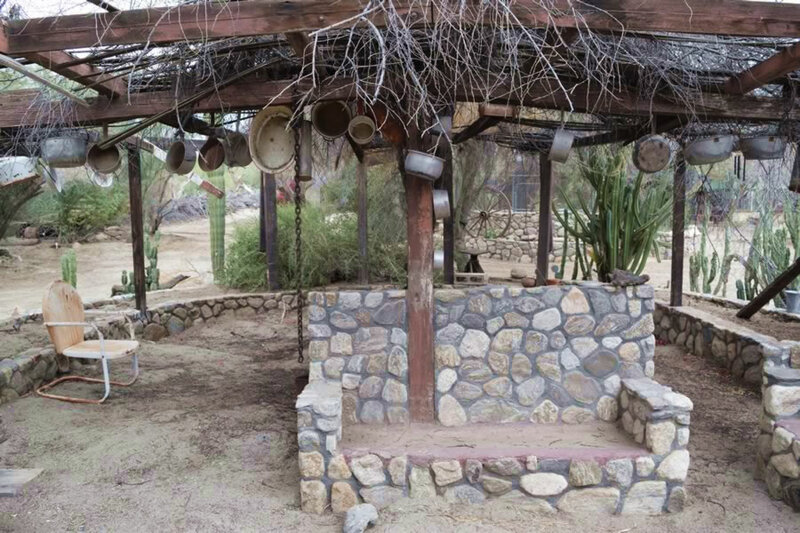 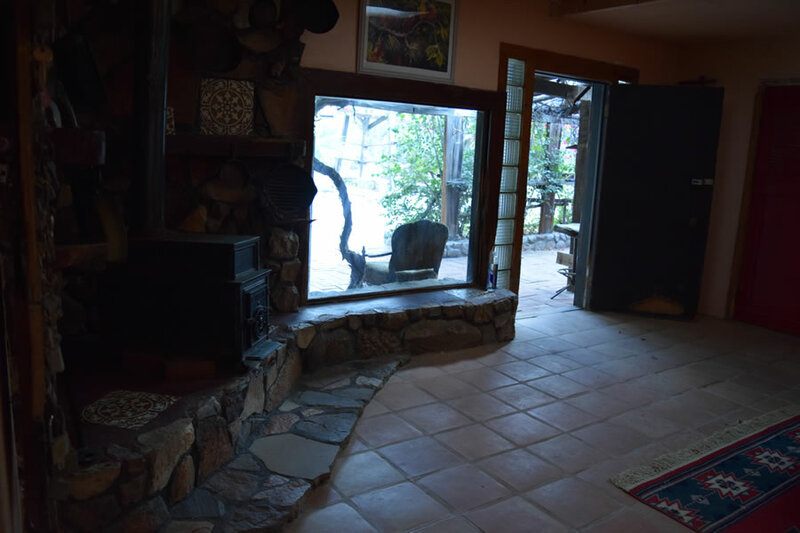 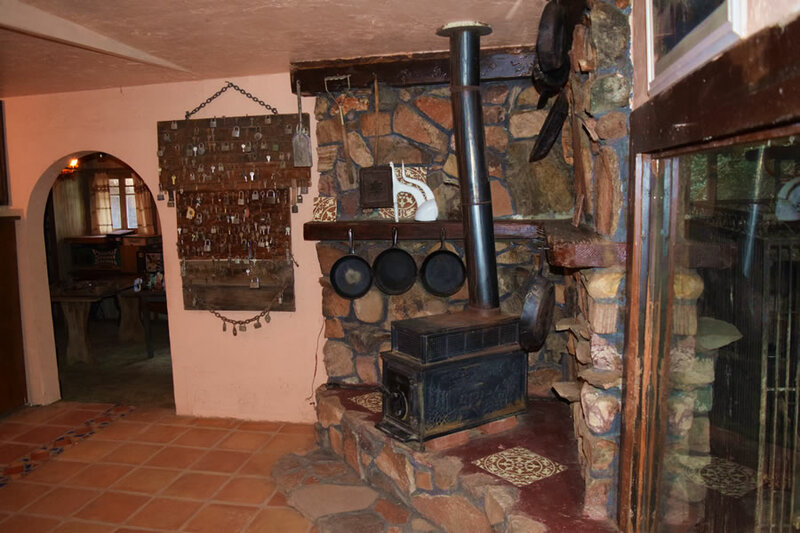 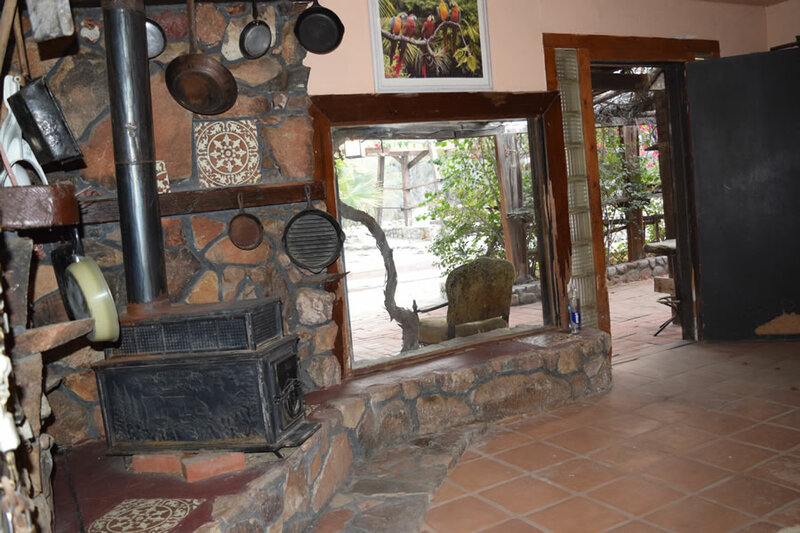 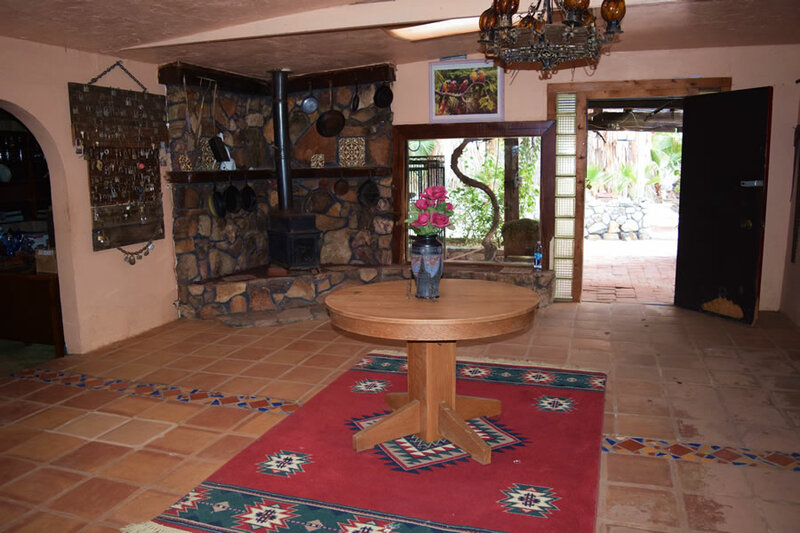 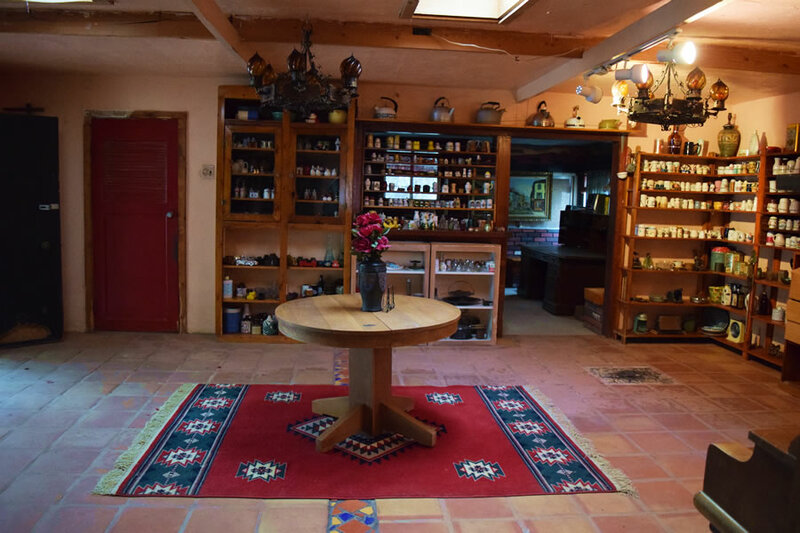 Adjacent to the cactus garden, the Bachelor Pad features one large room with a cast iron fireplace, small kitchen and single bathroom. 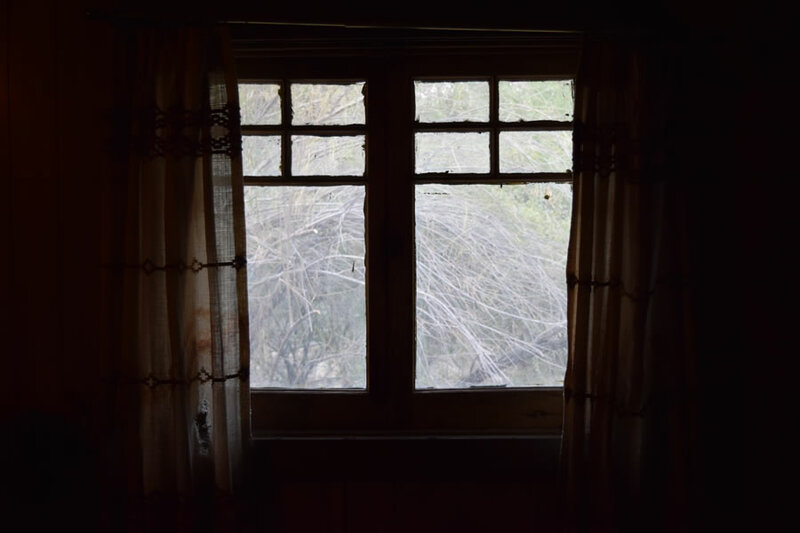 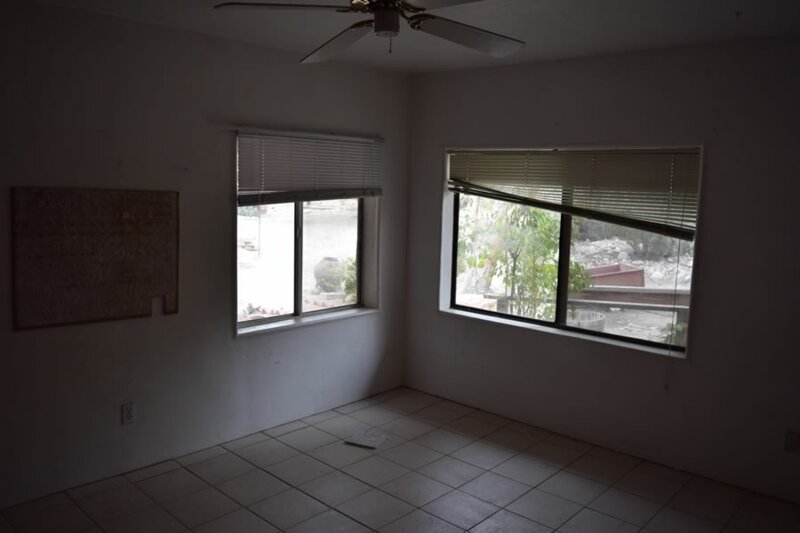 Large windows make it perfect for natural sunlight and a great view of the gardens. 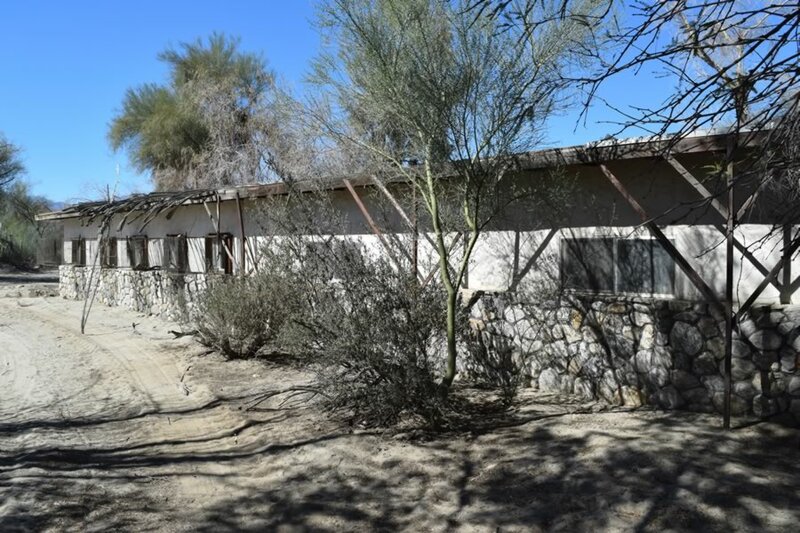 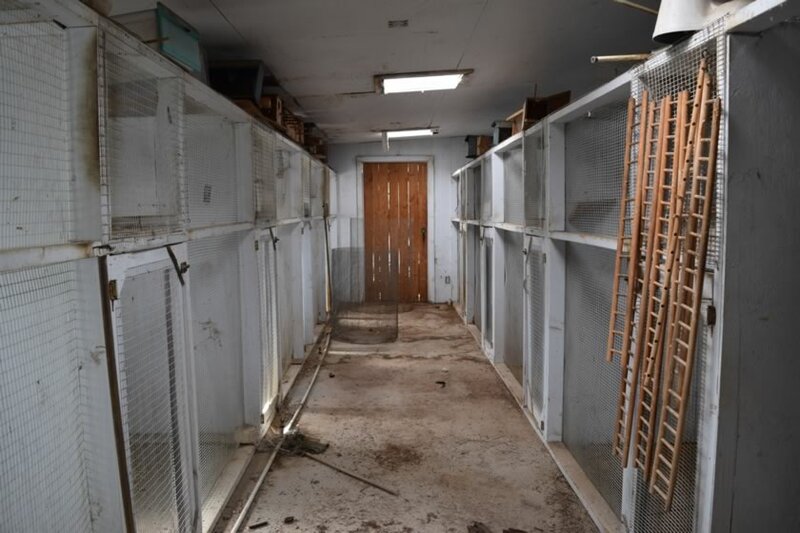 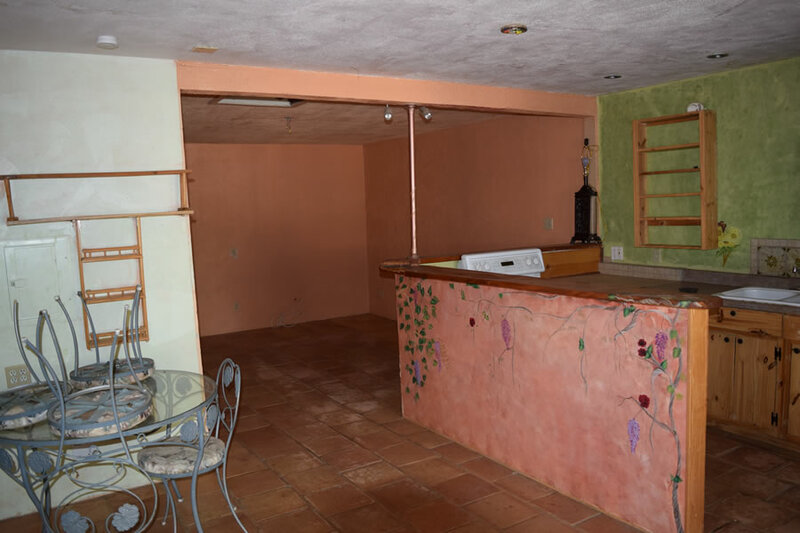 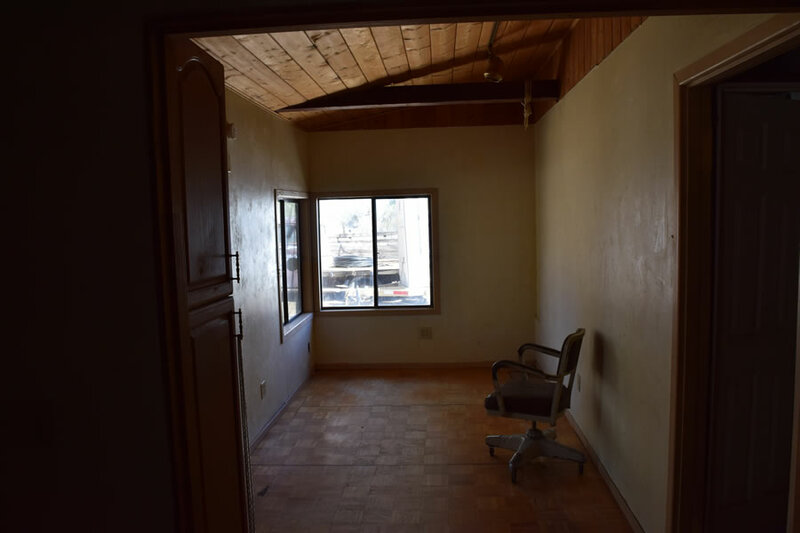 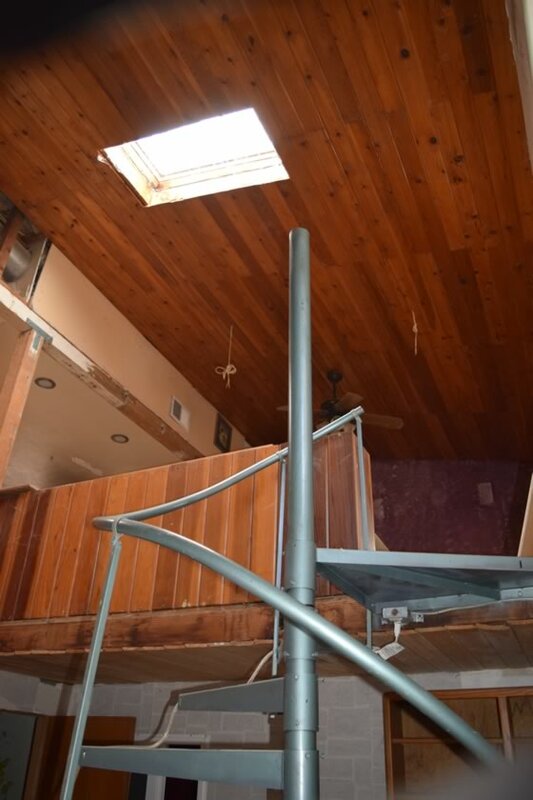 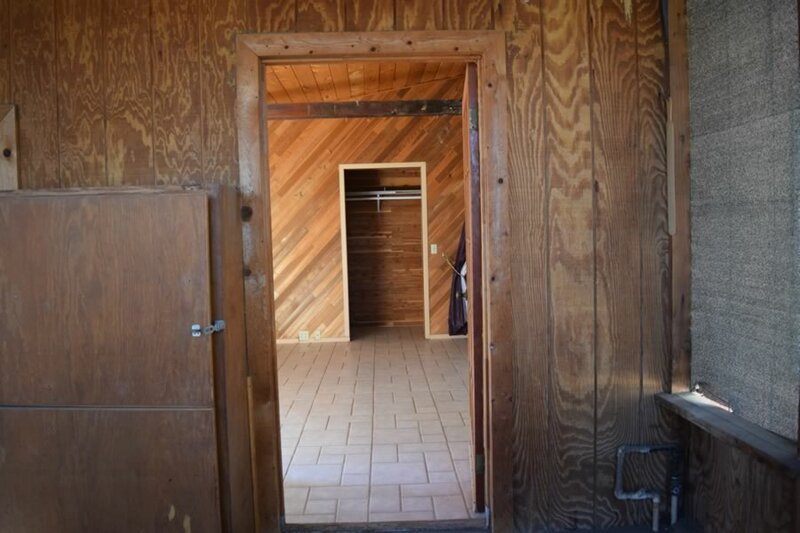 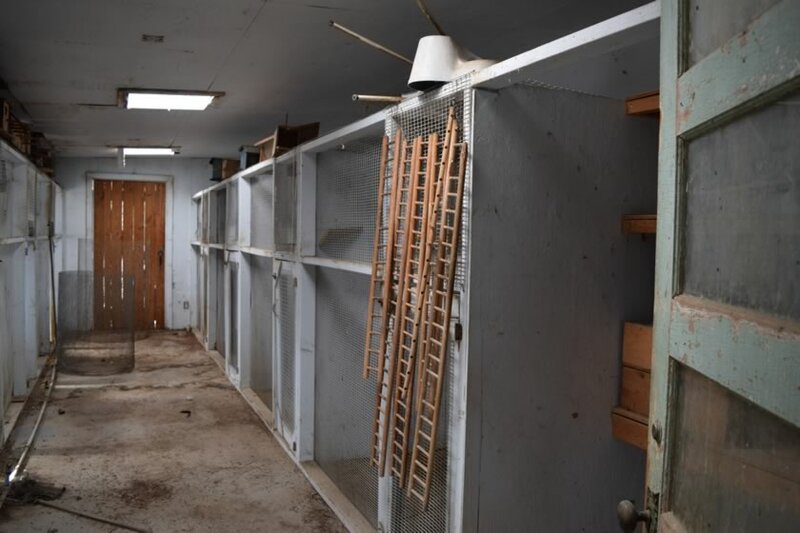 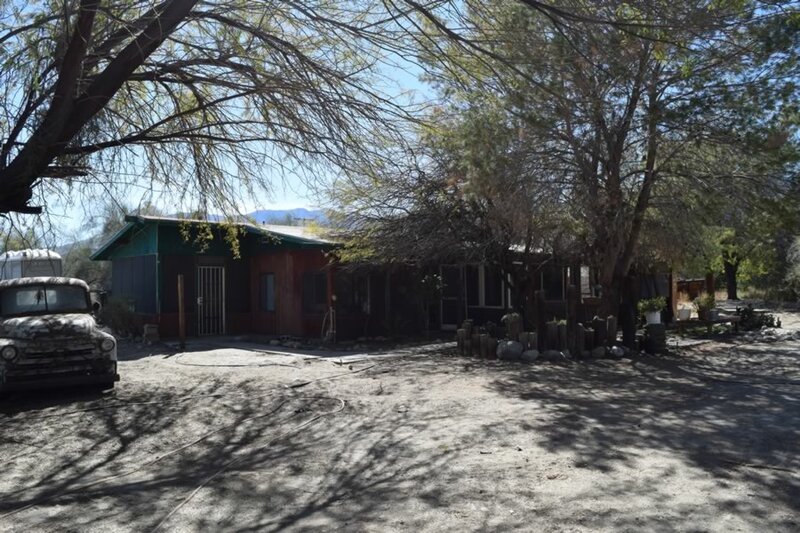 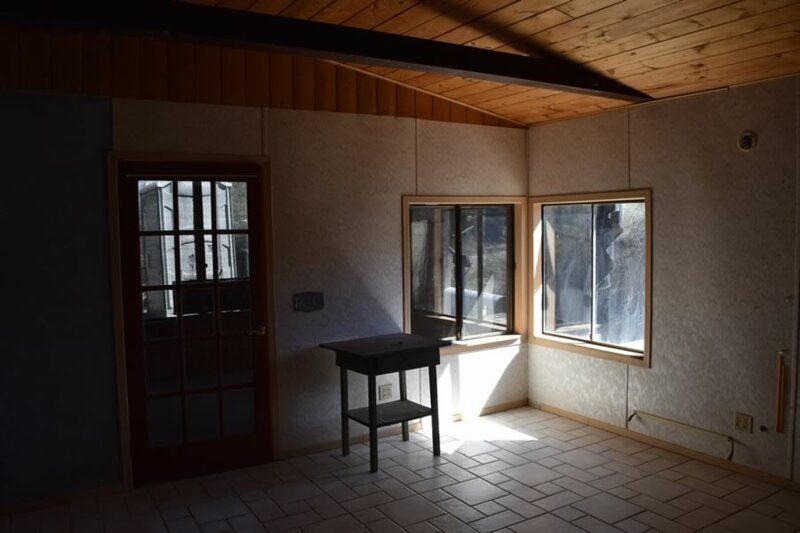 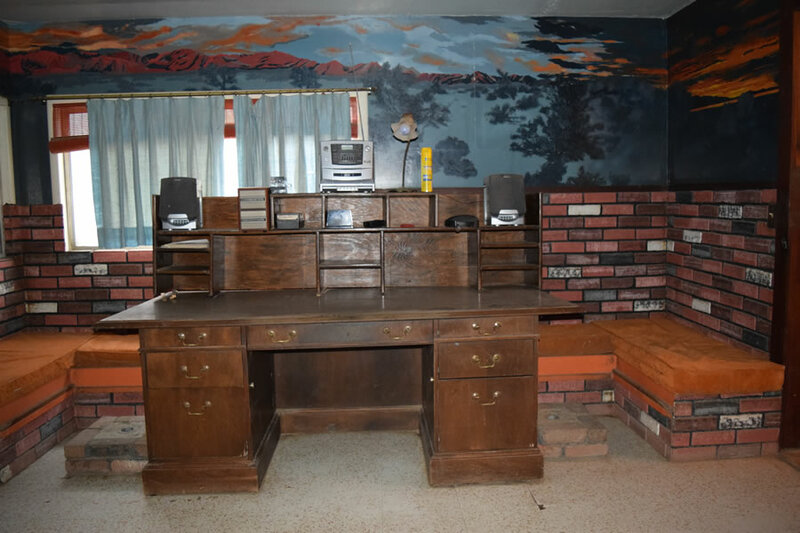 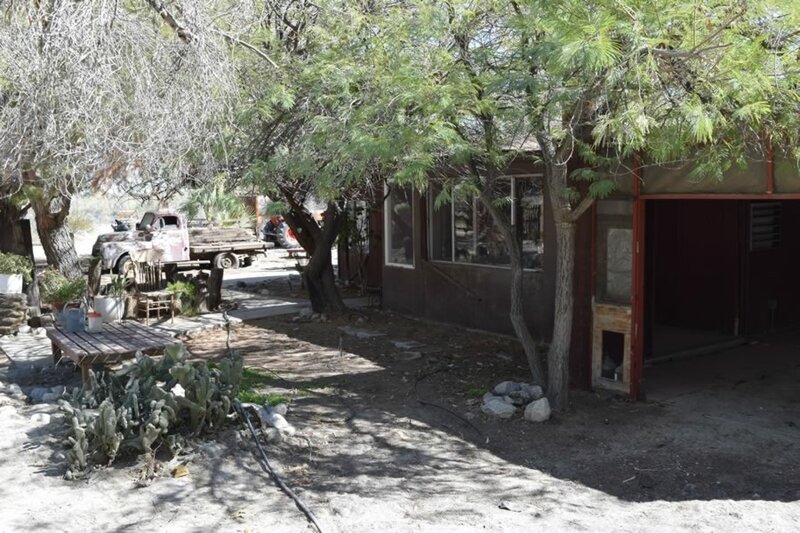 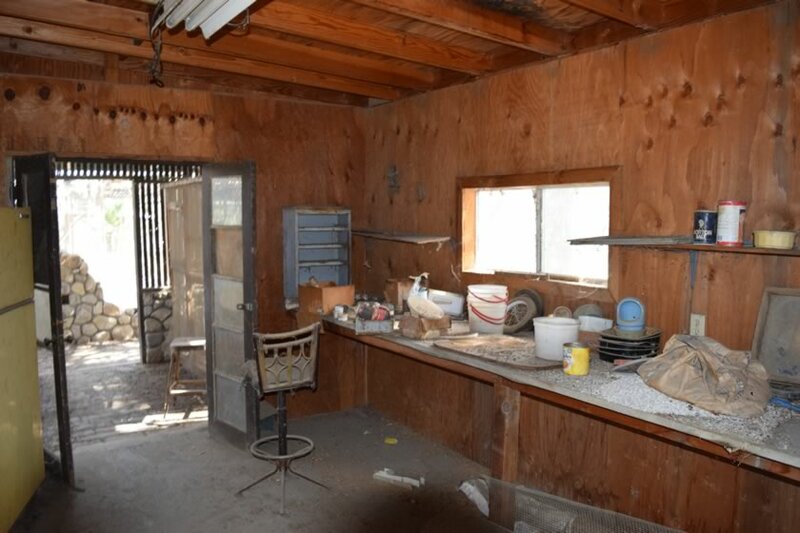 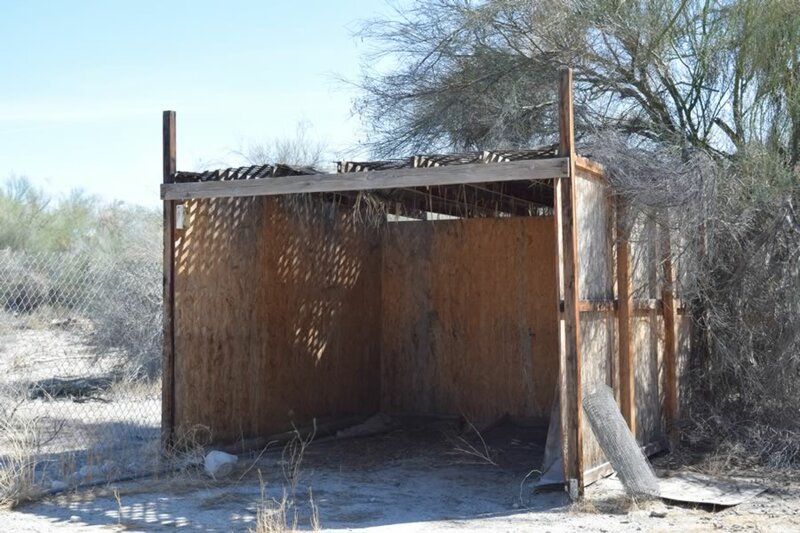 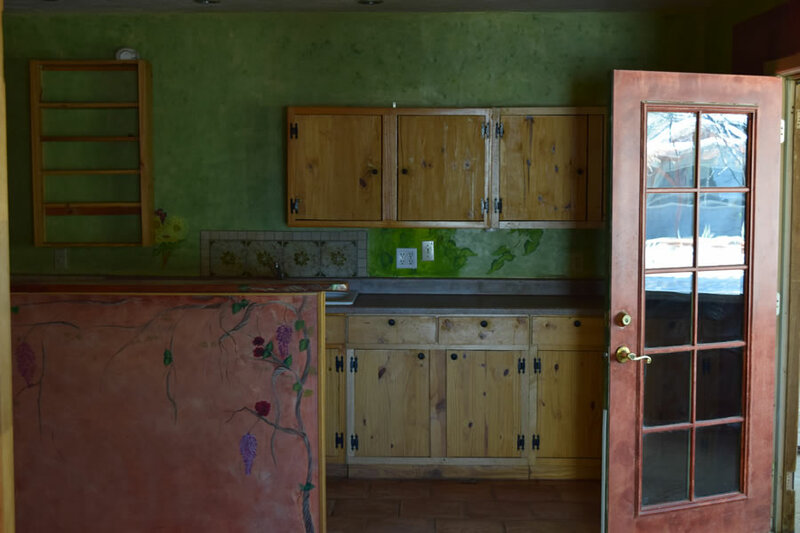 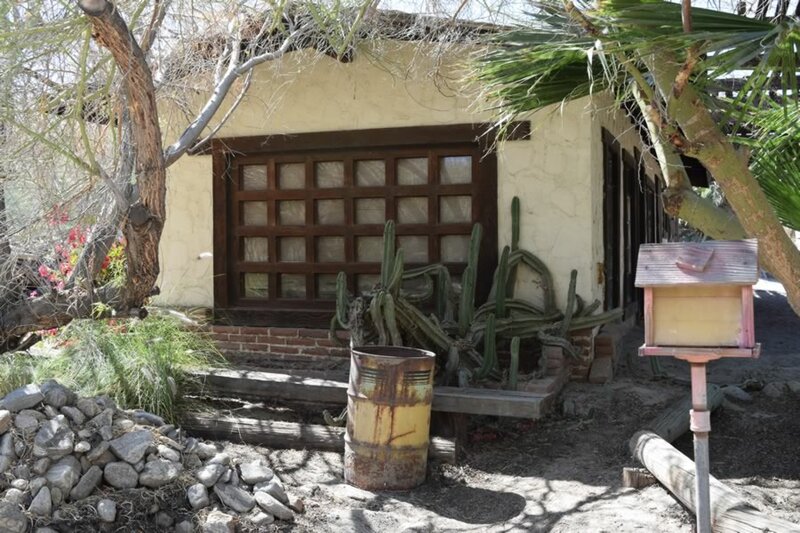 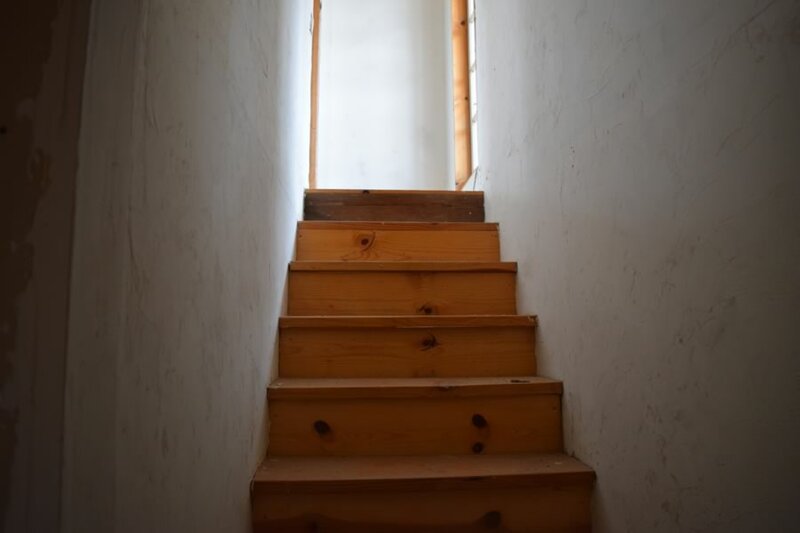 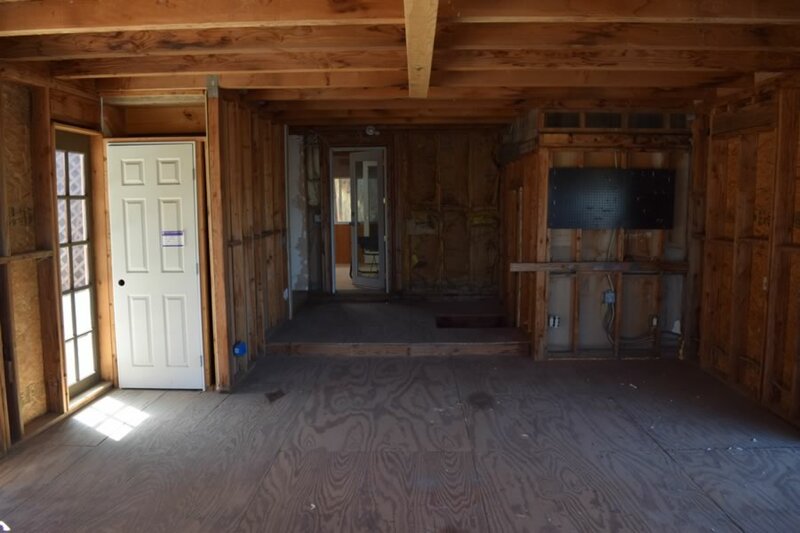 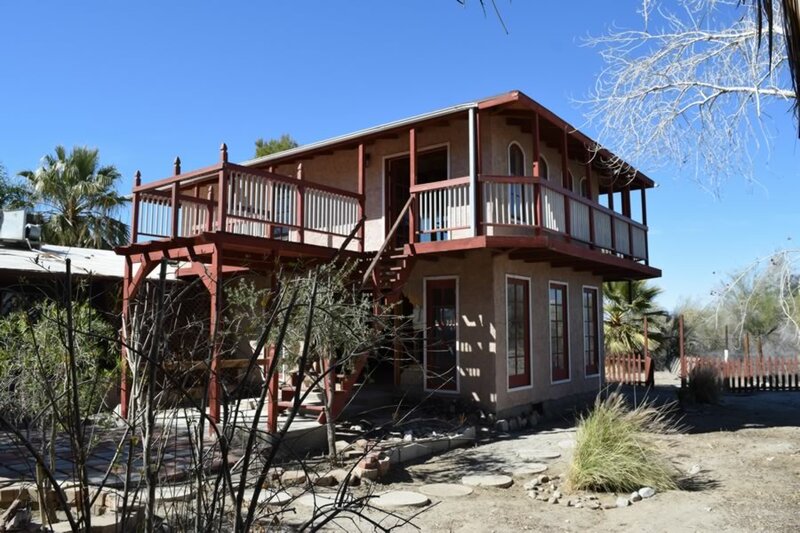 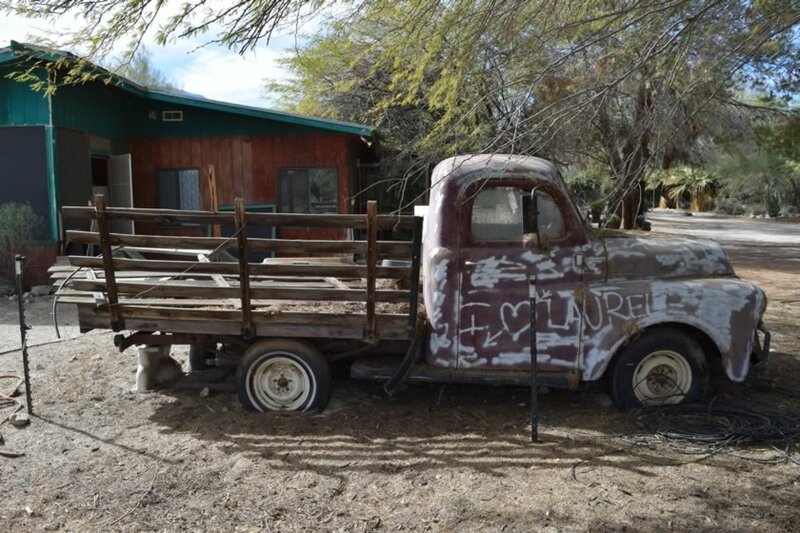 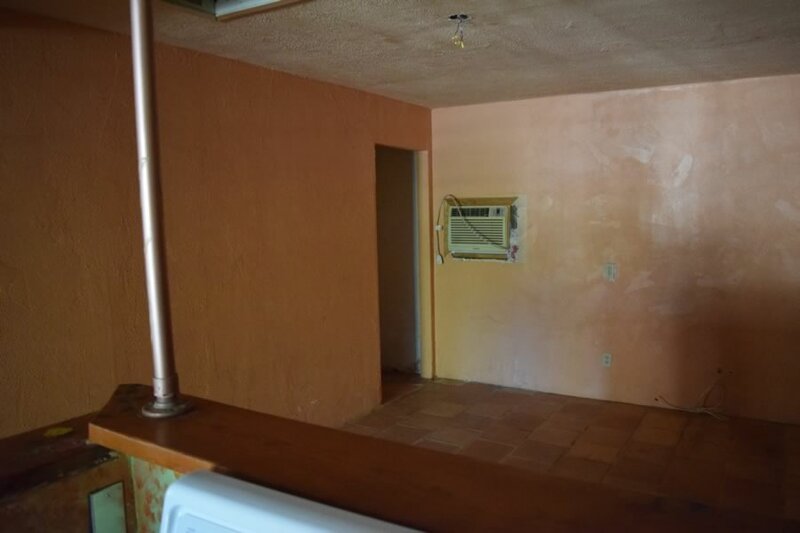 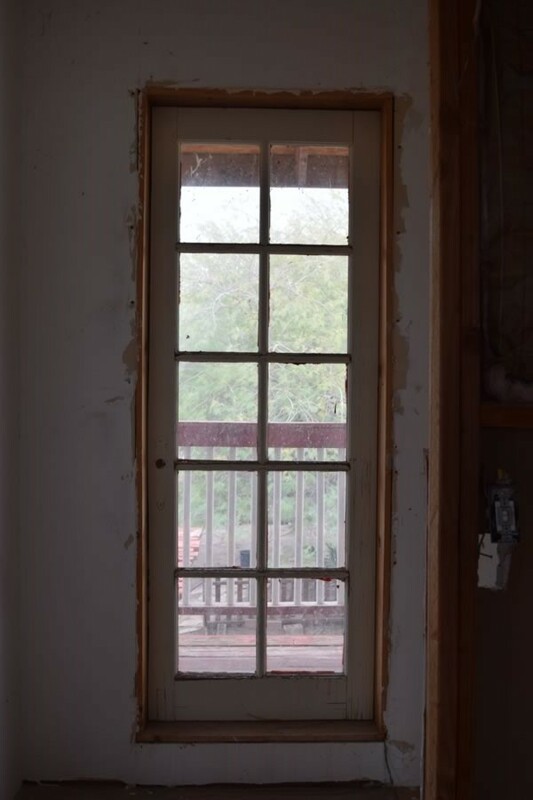 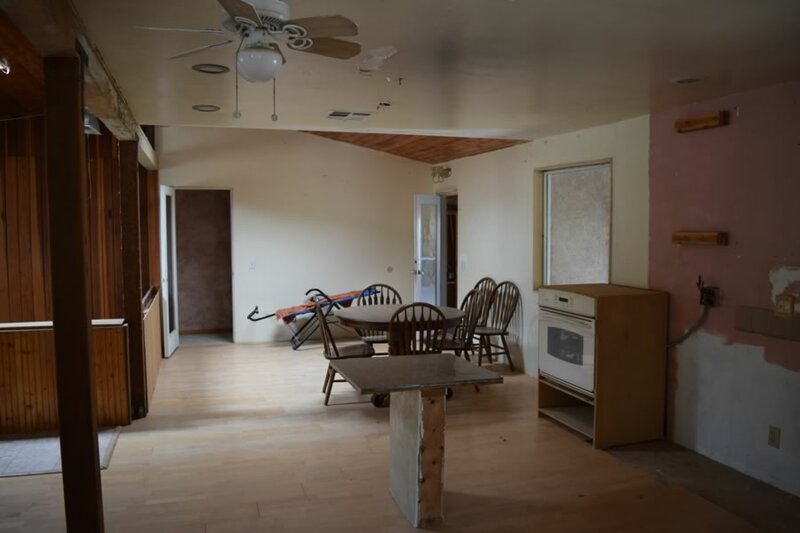 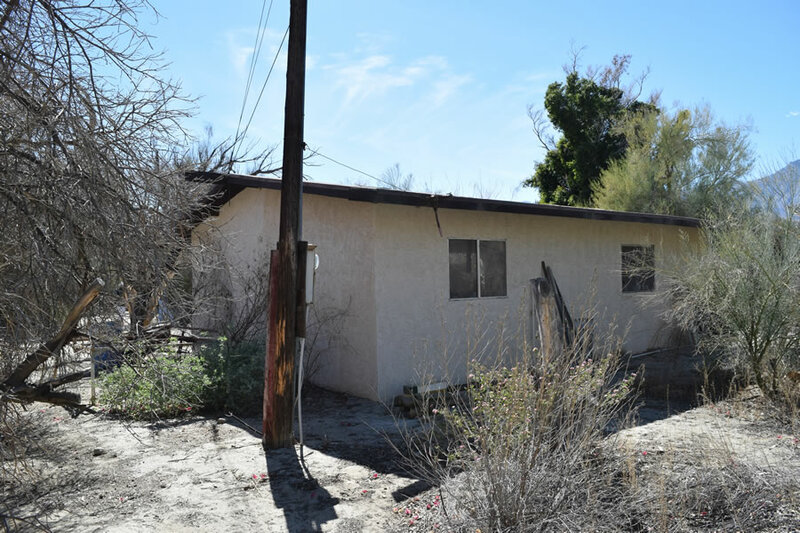 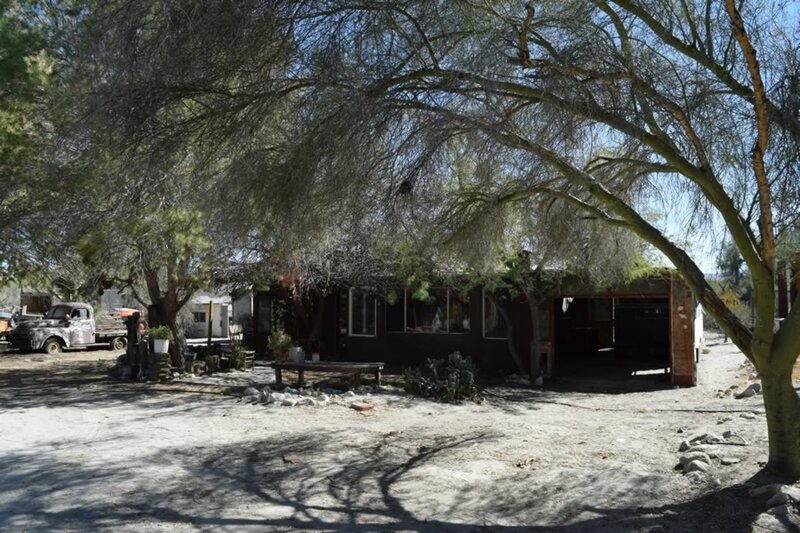 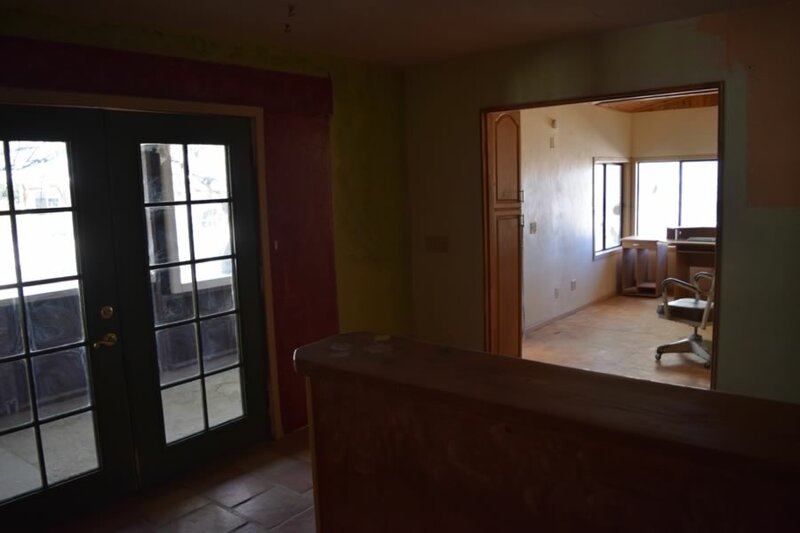 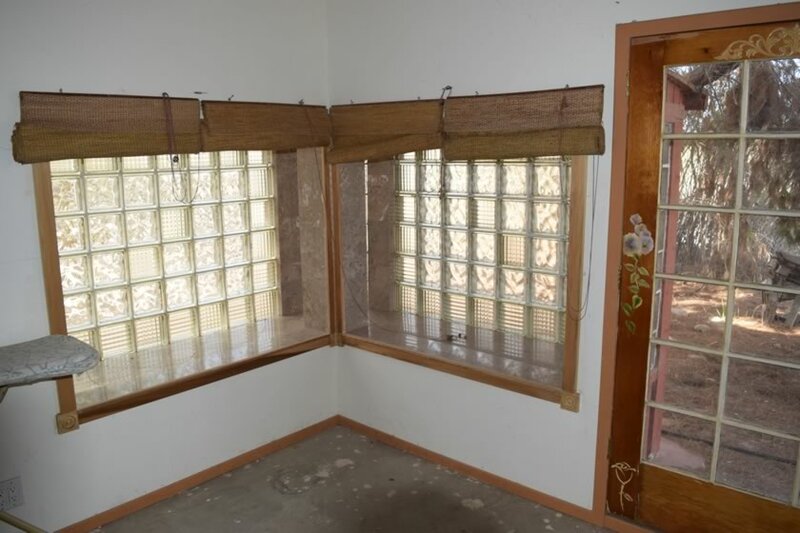 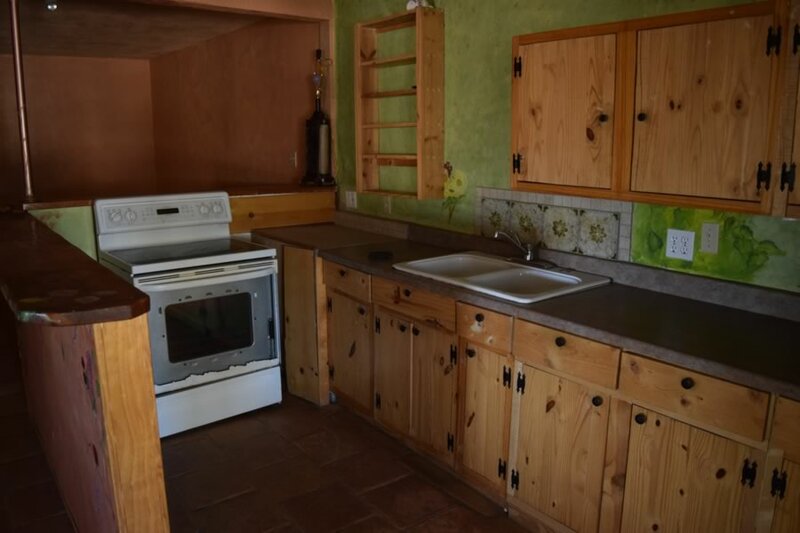 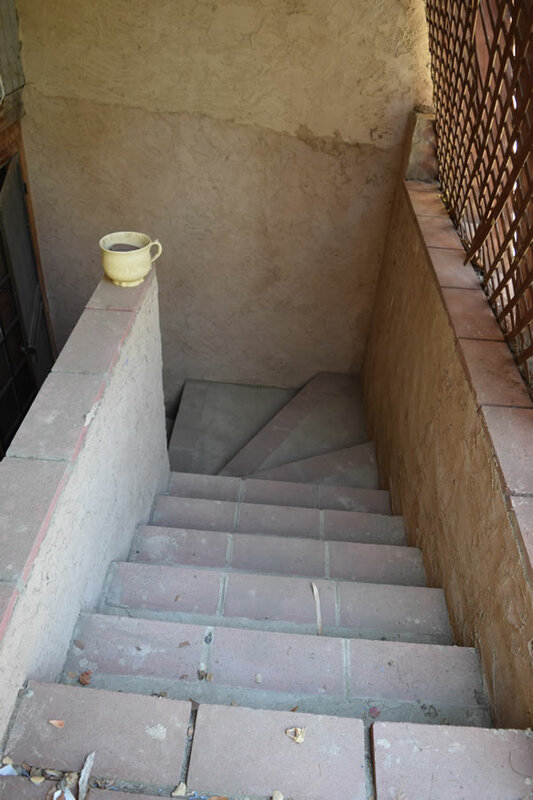 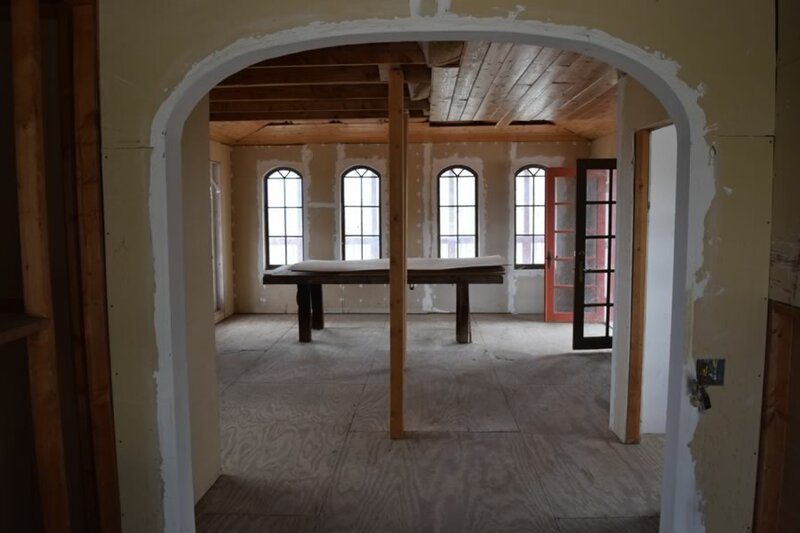 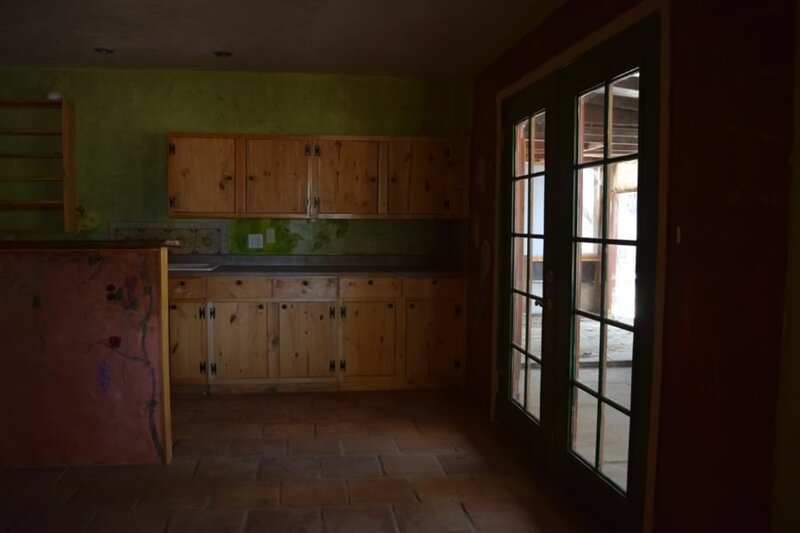 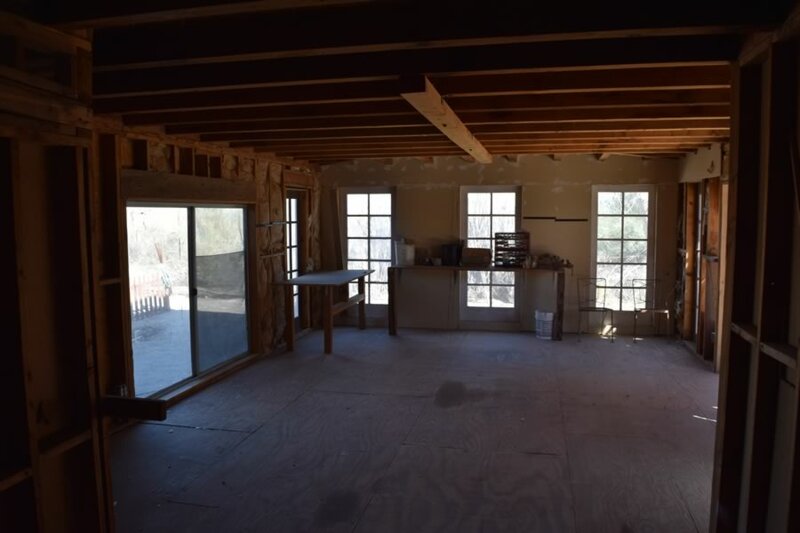 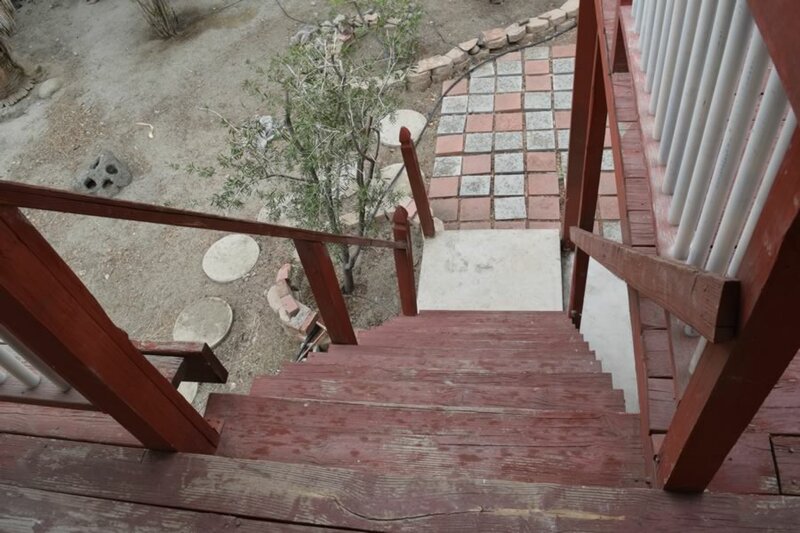 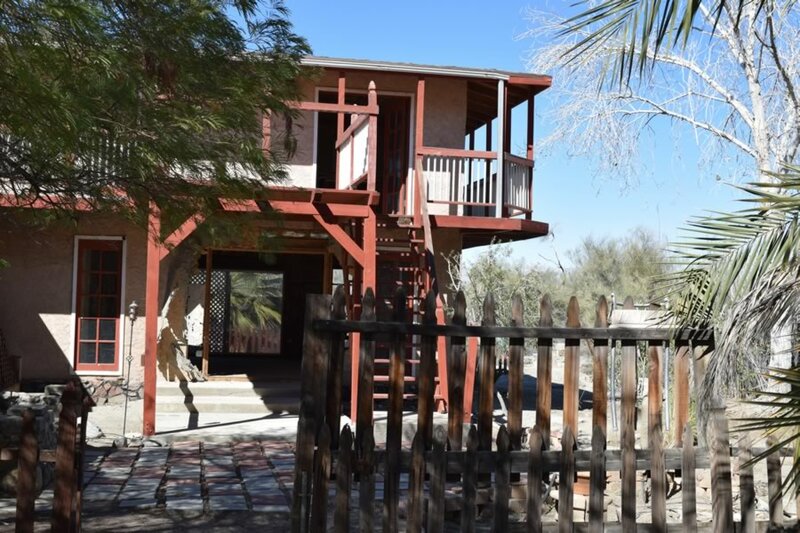 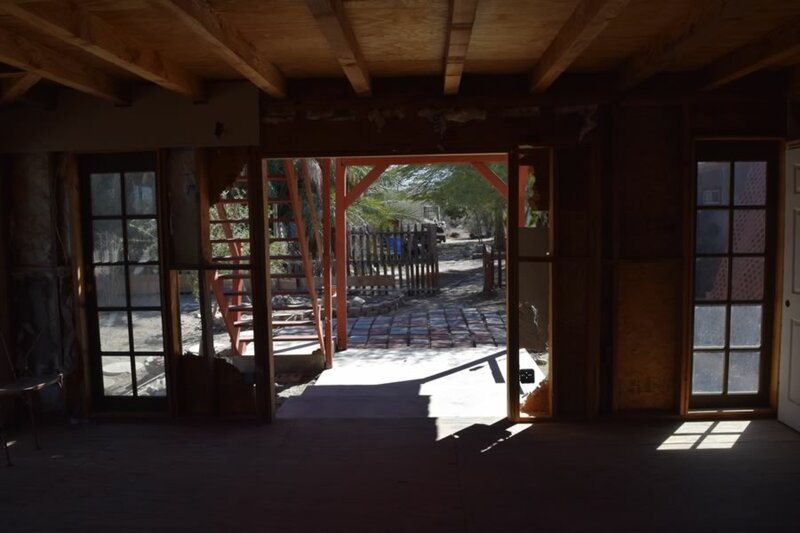 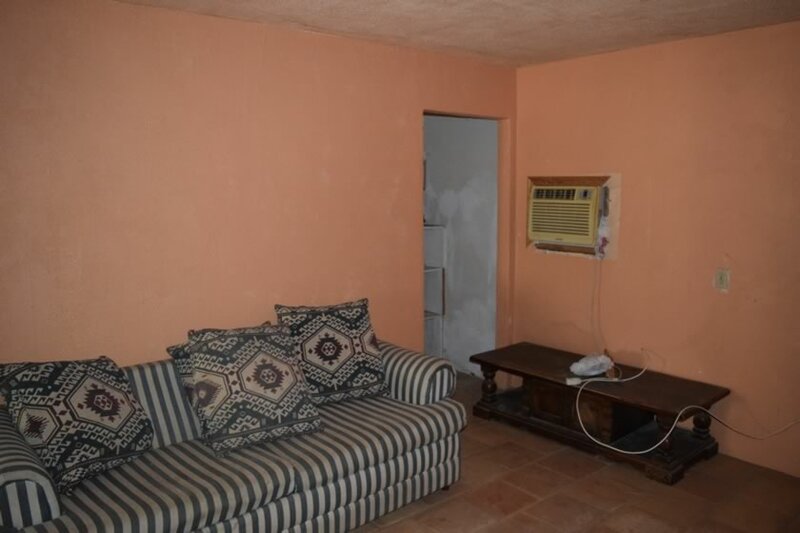 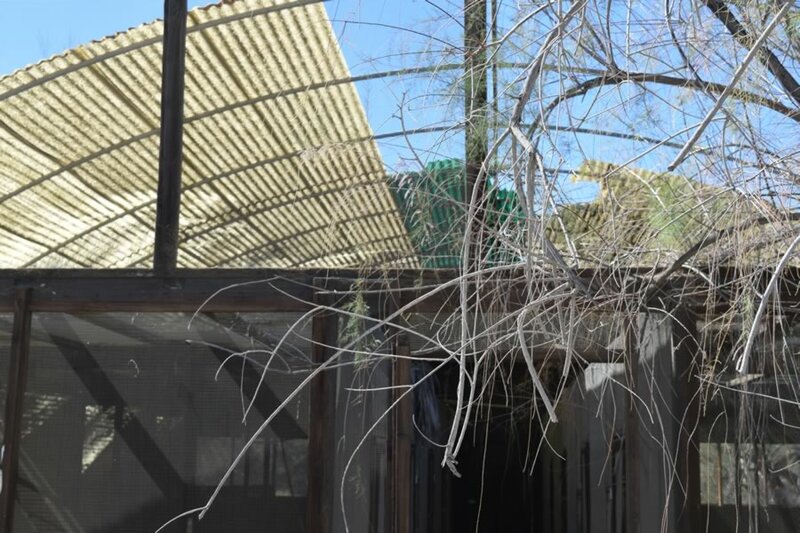 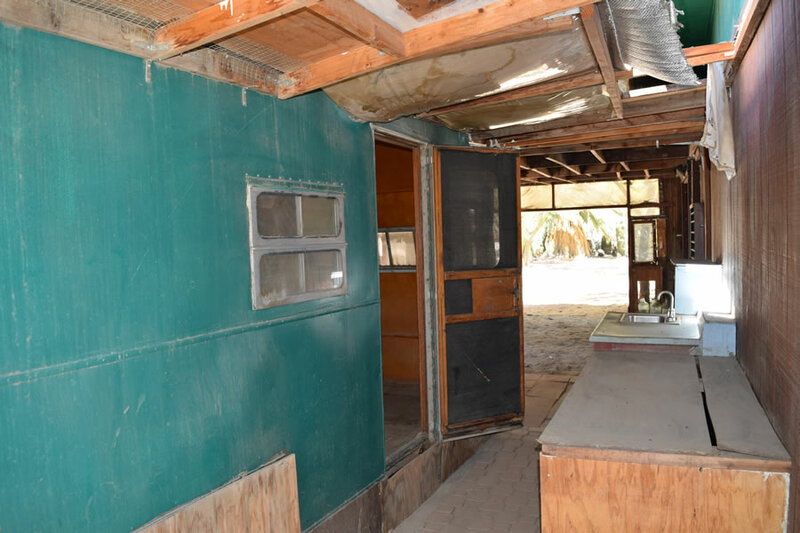 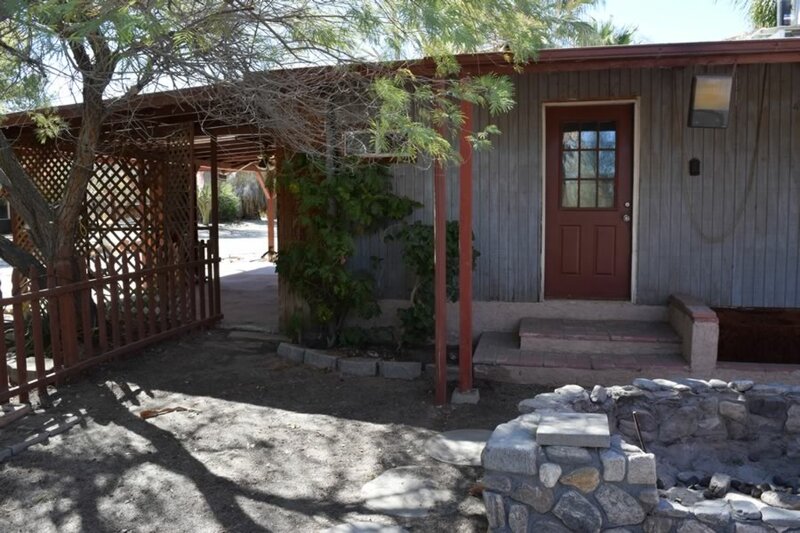 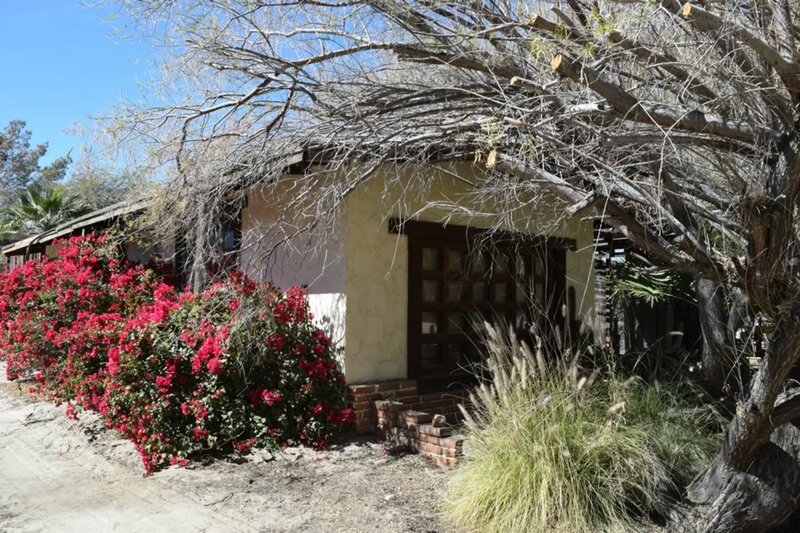 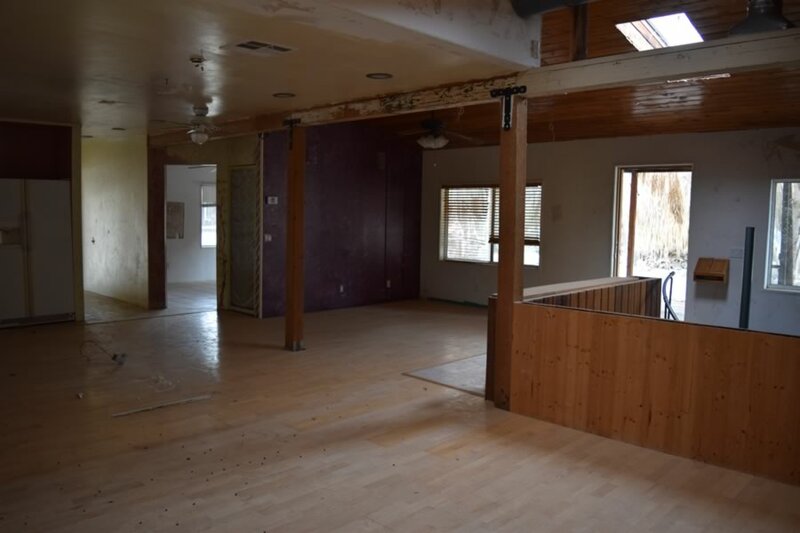 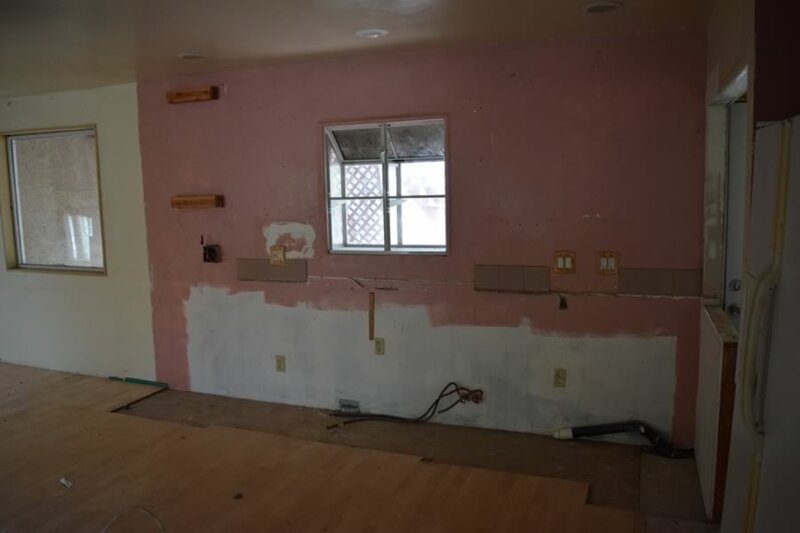 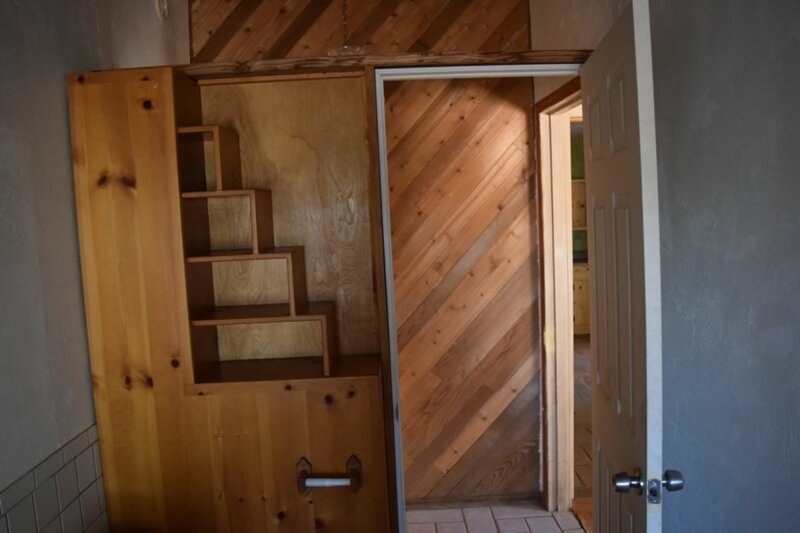 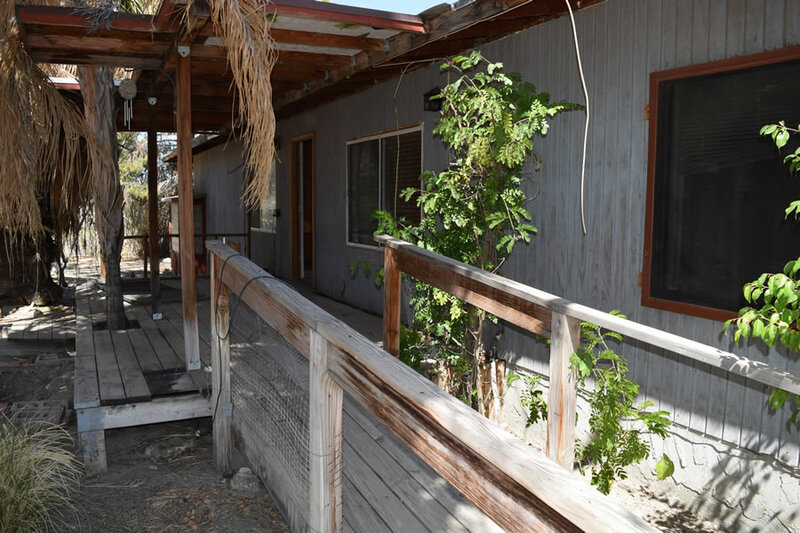 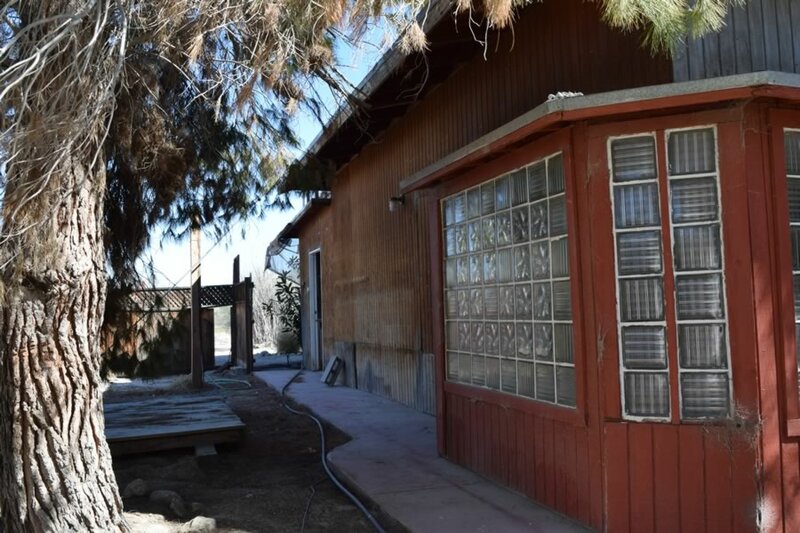 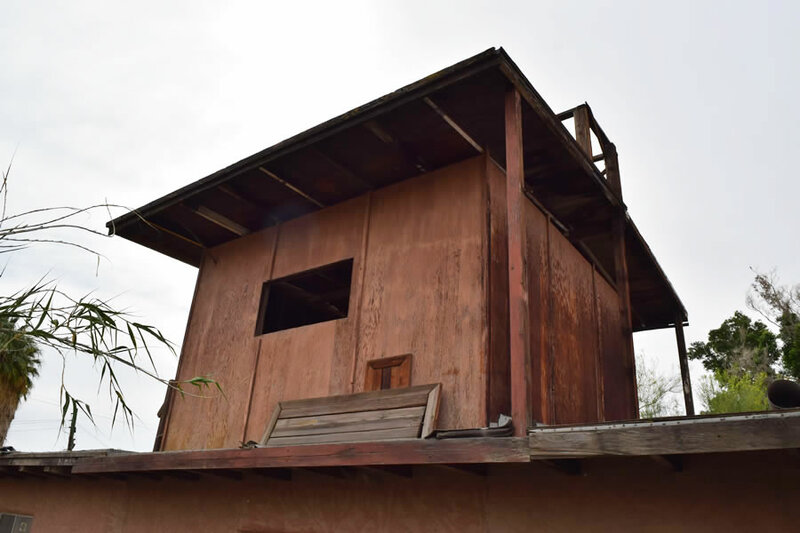 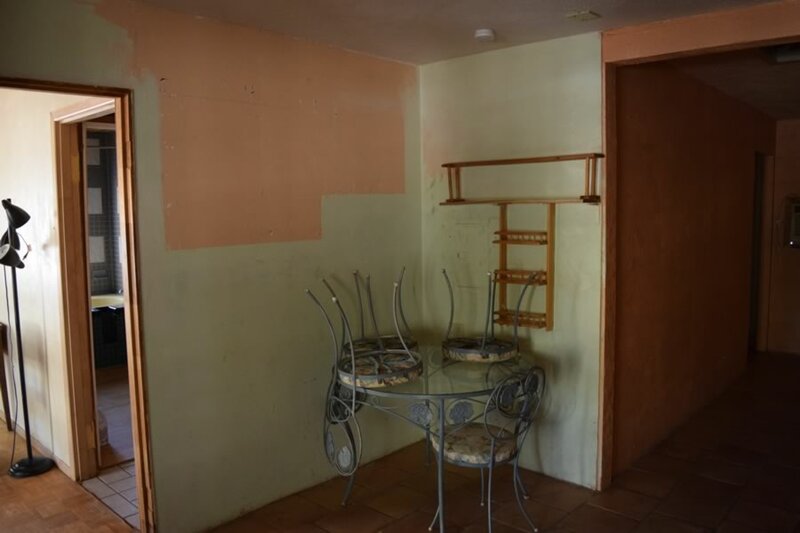 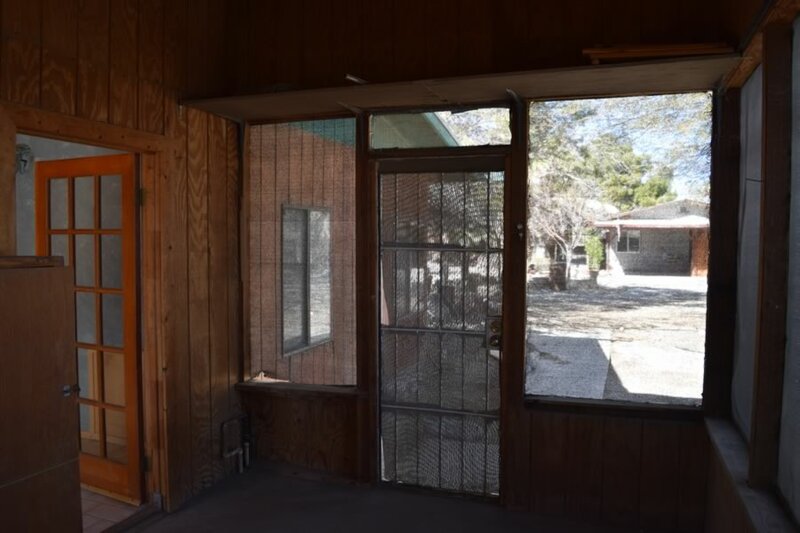 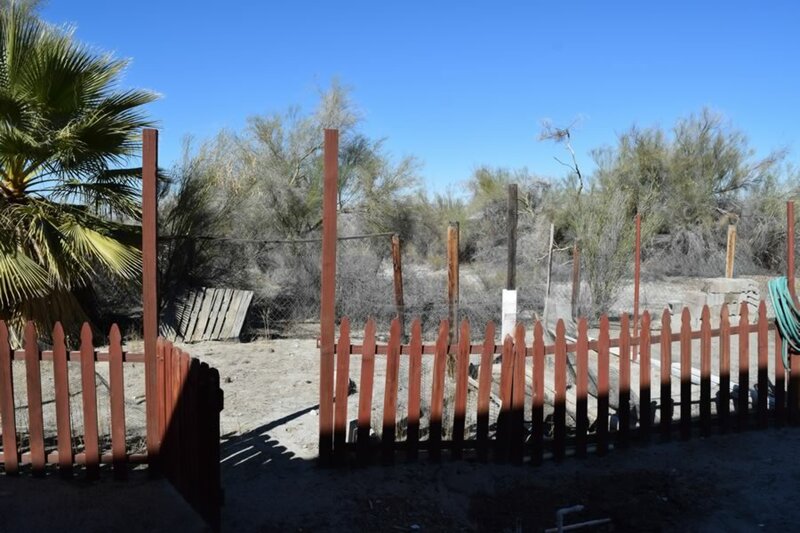 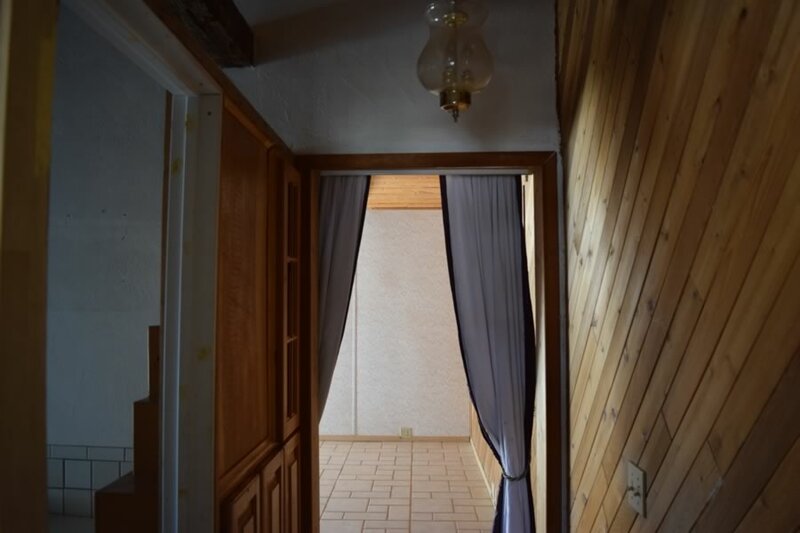 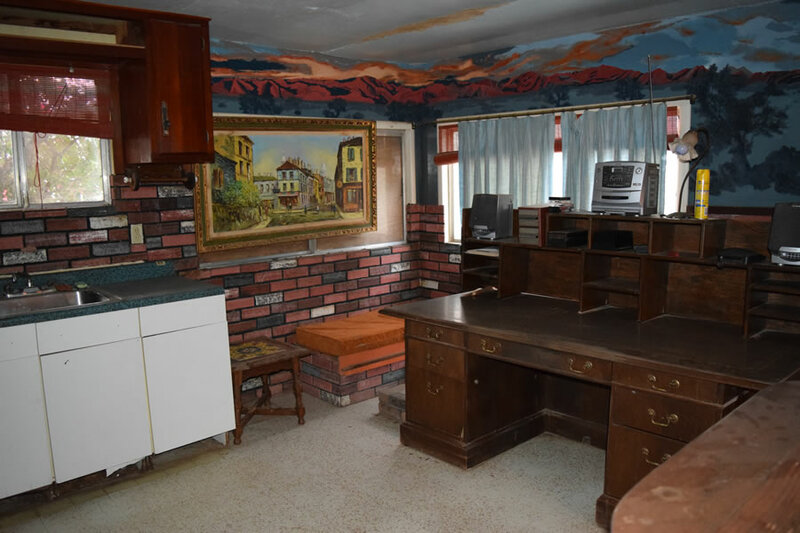 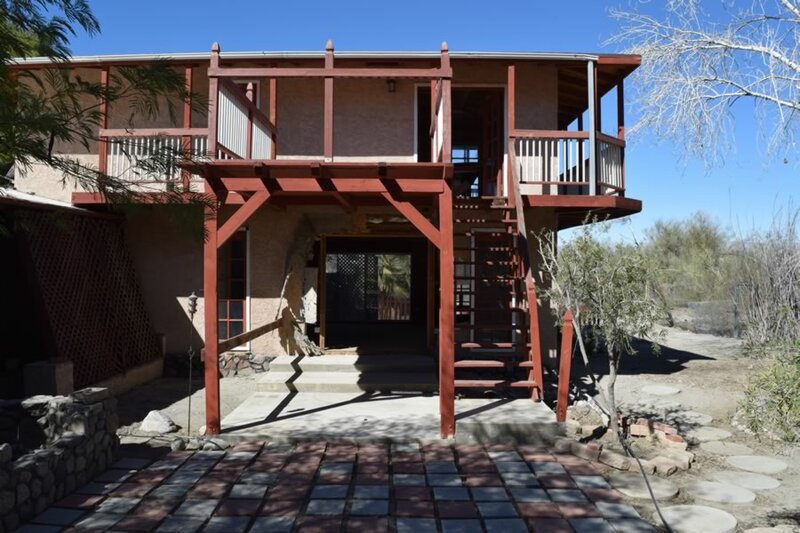 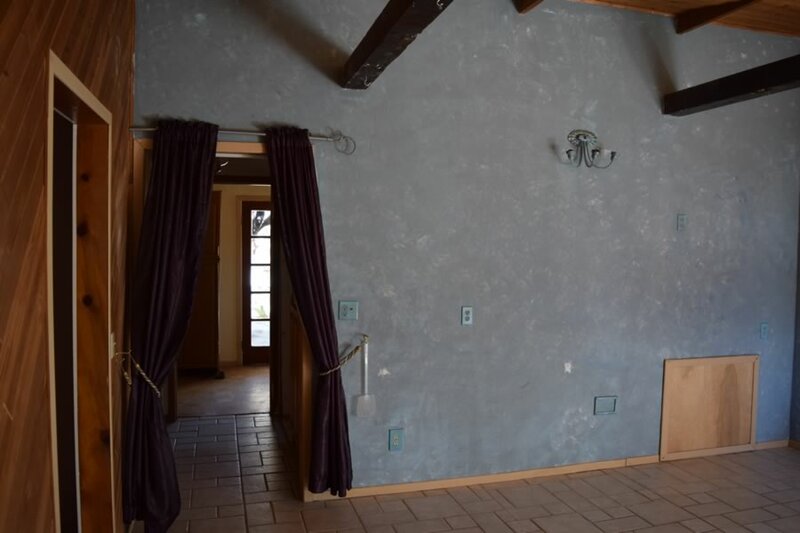 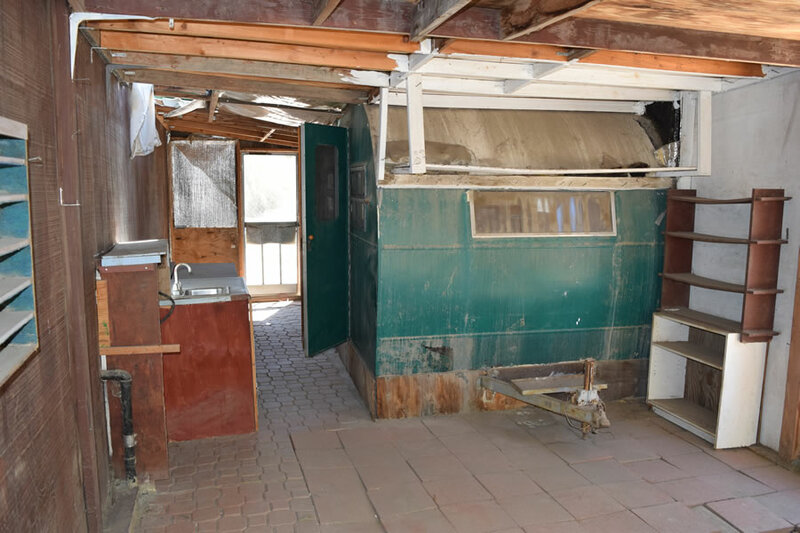 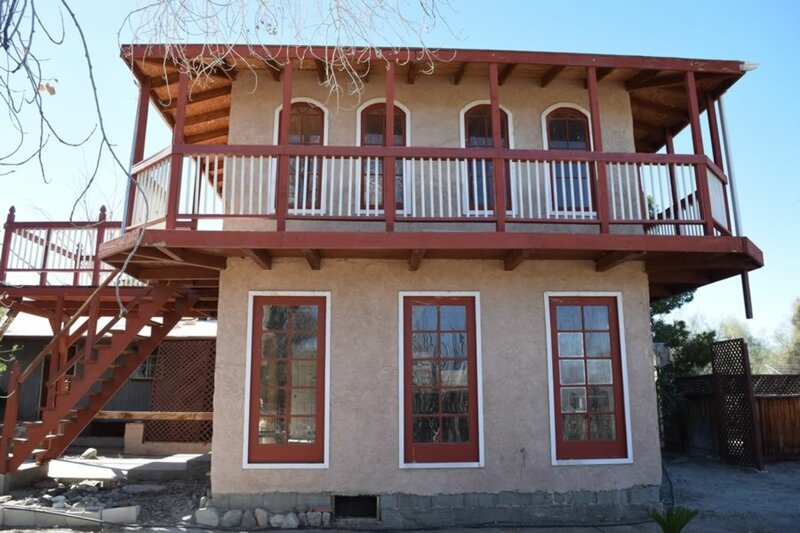 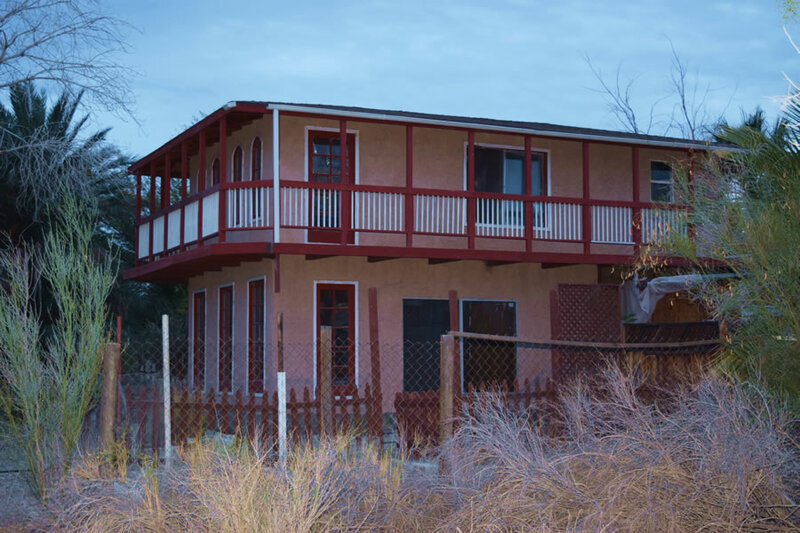 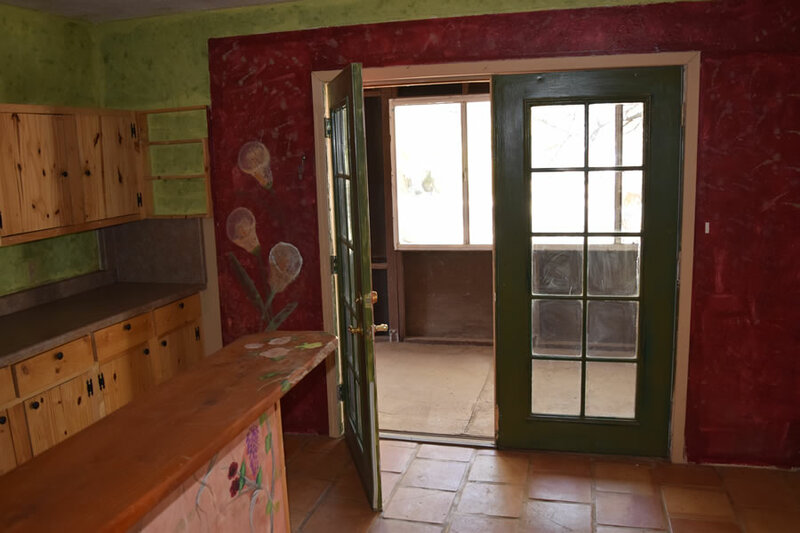 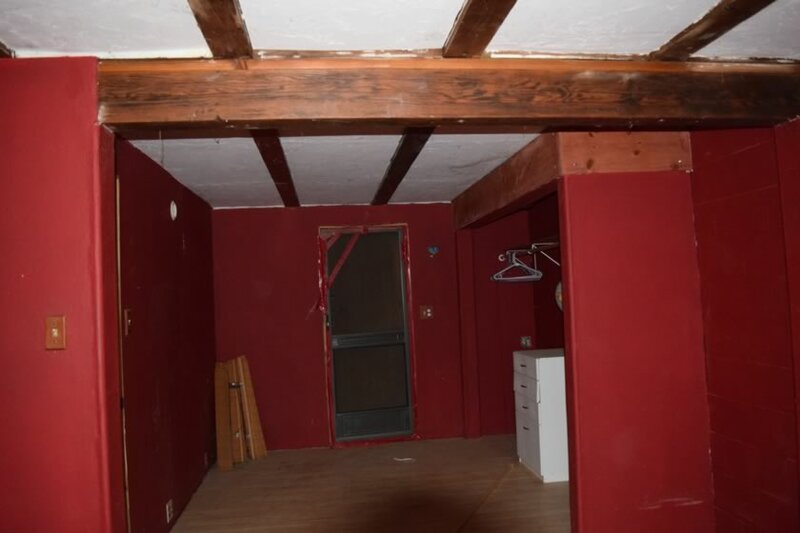 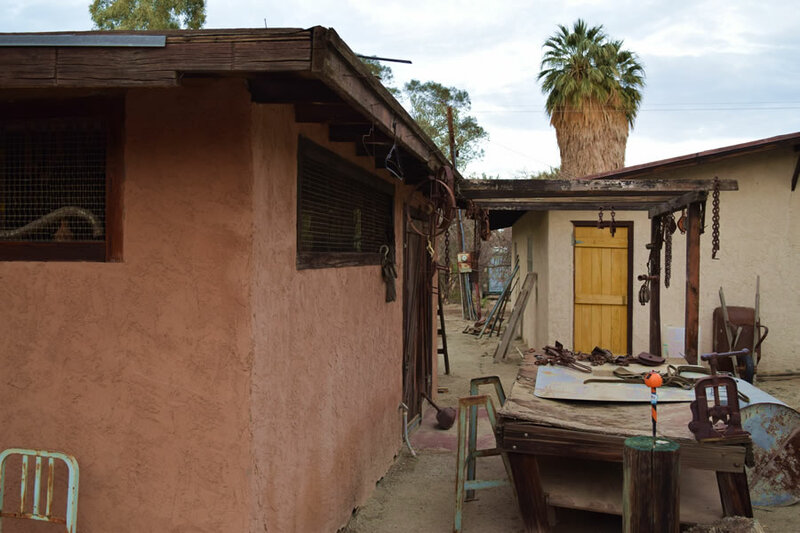 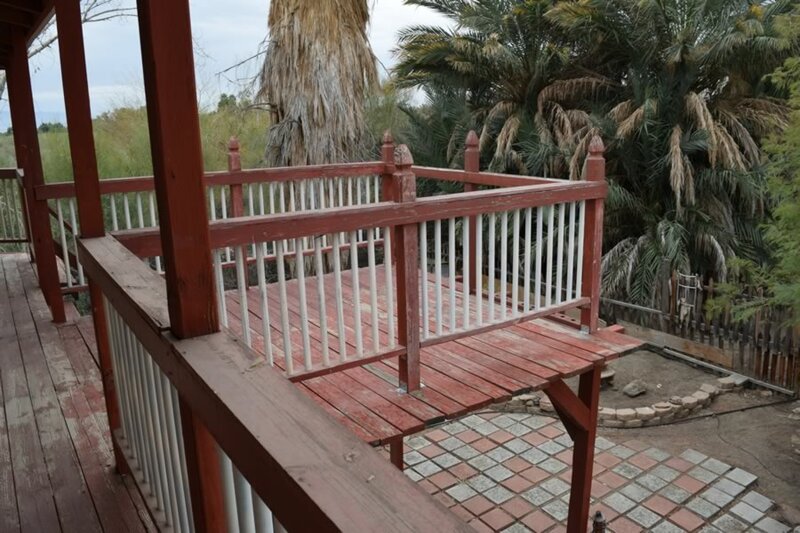 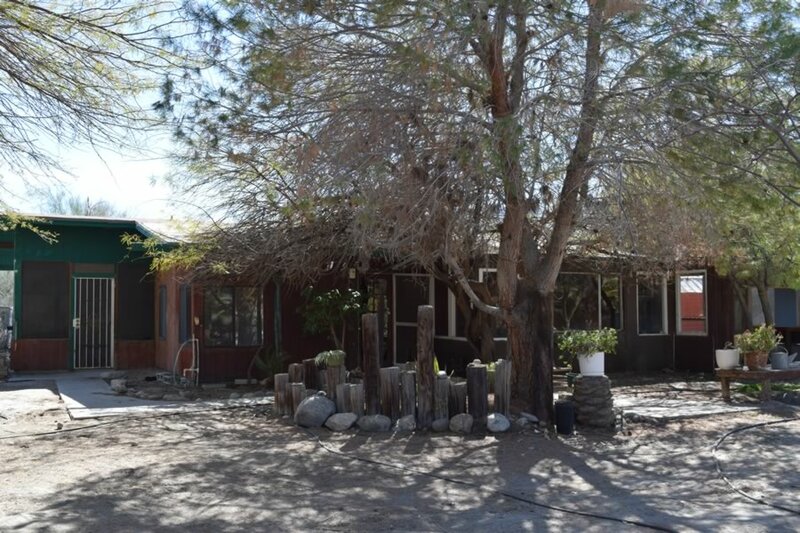 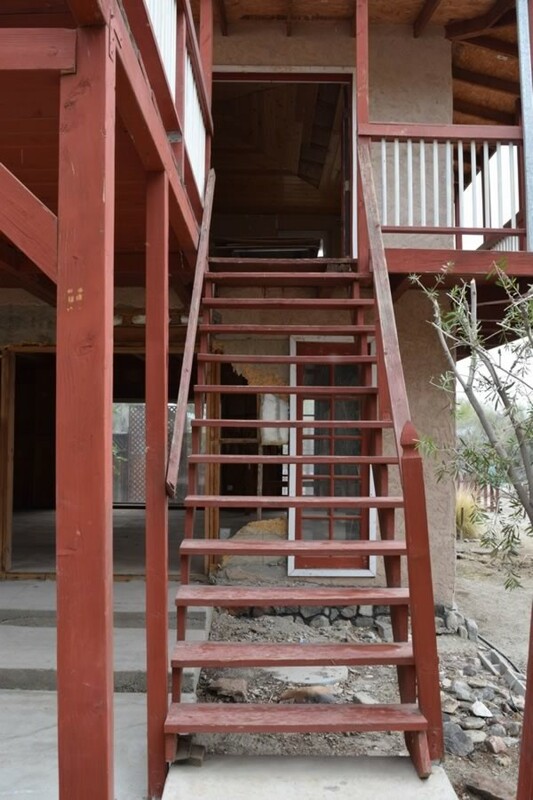 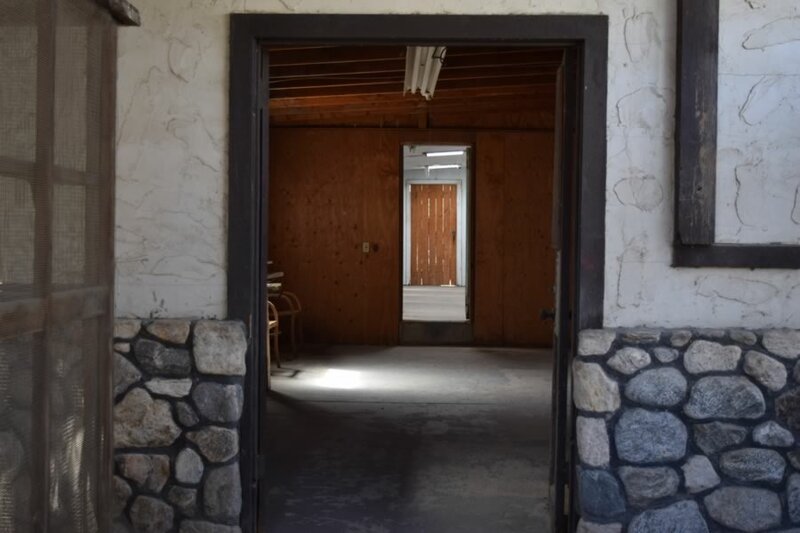 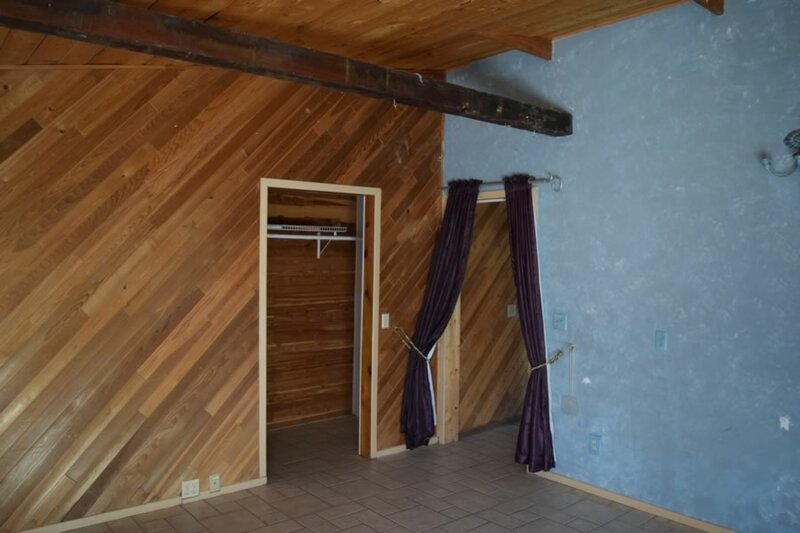 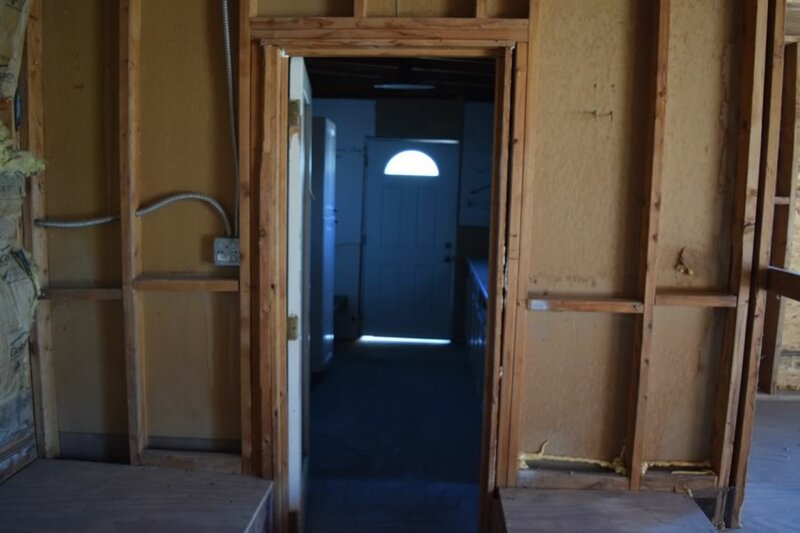 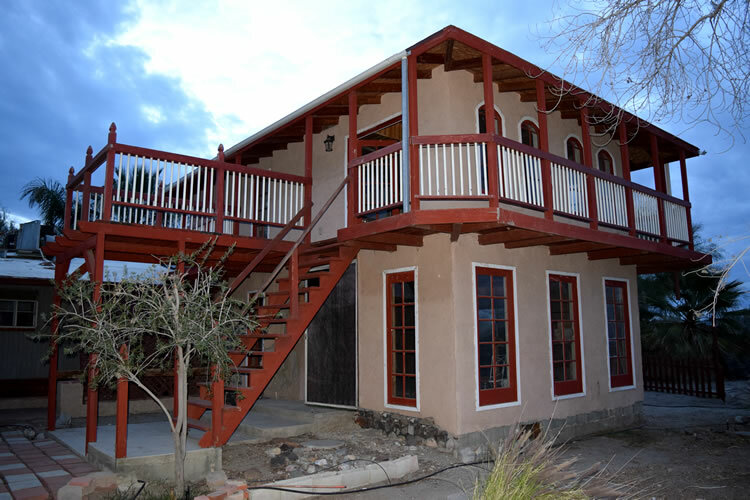 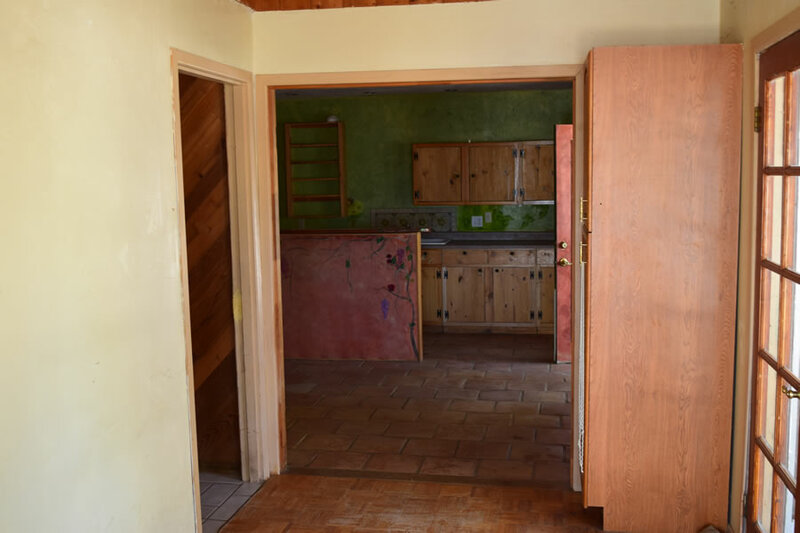 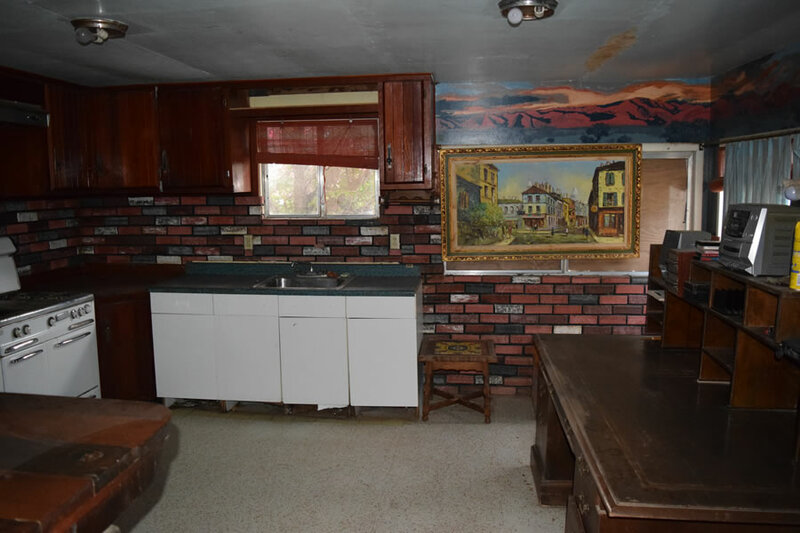 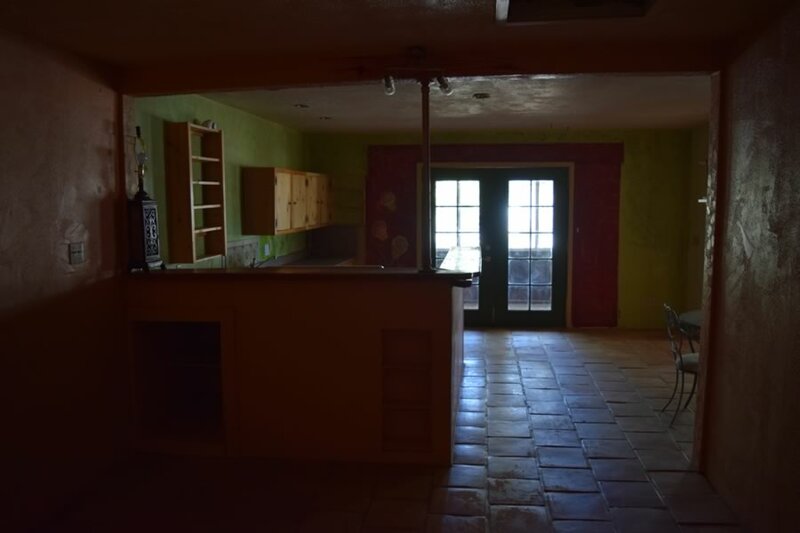 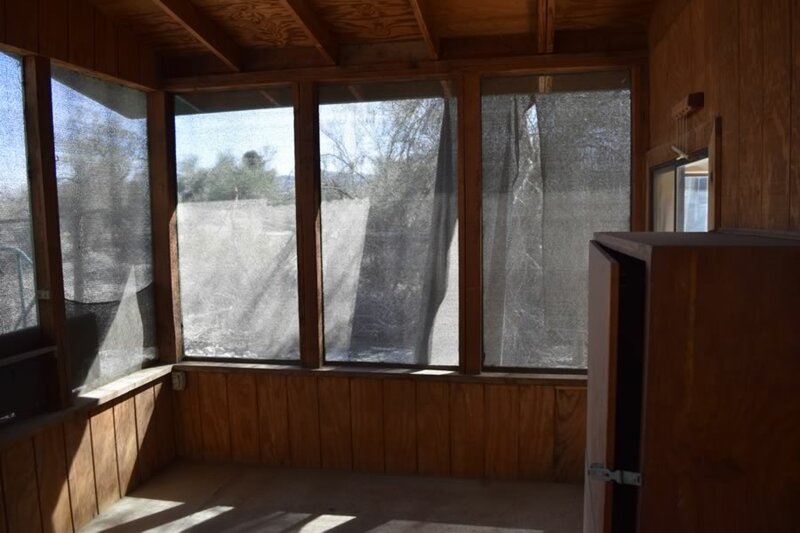 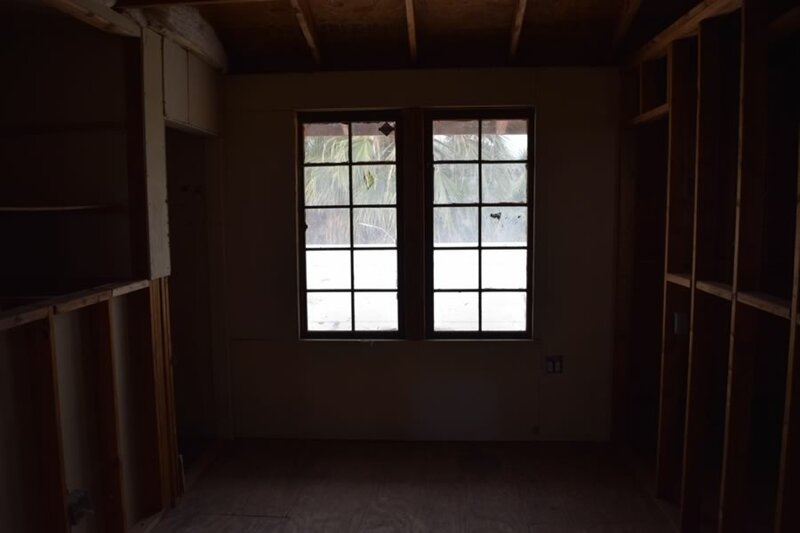 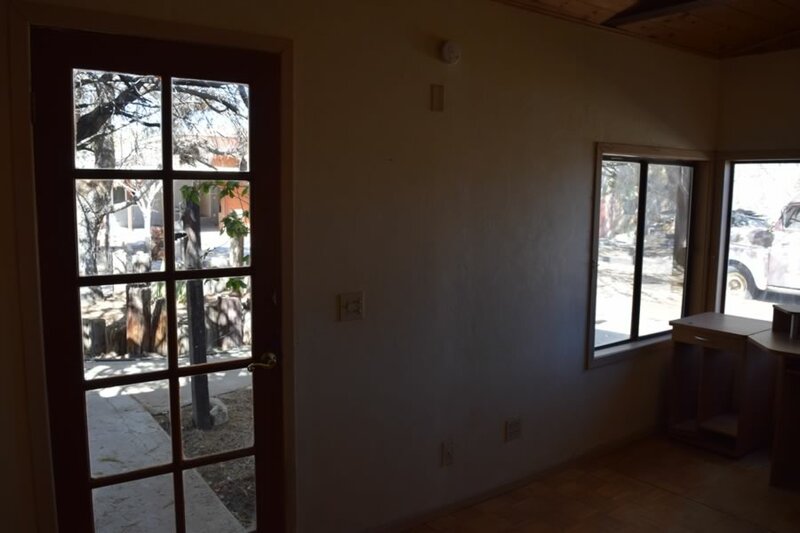 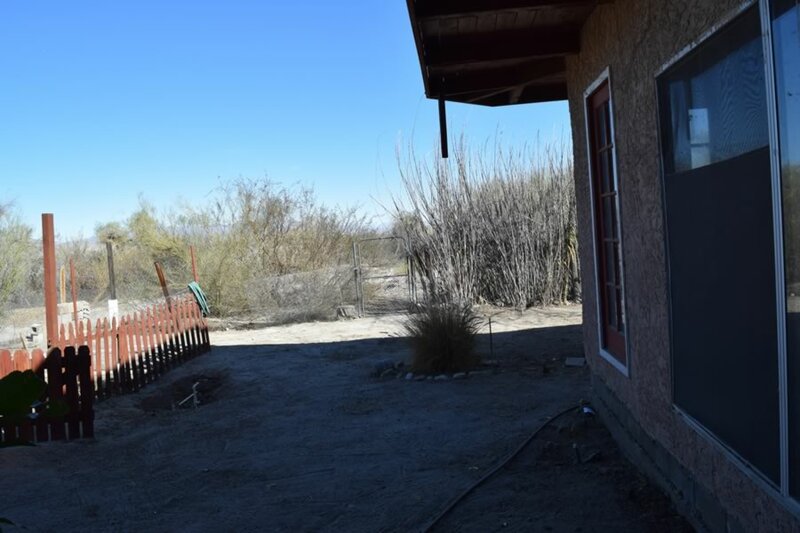 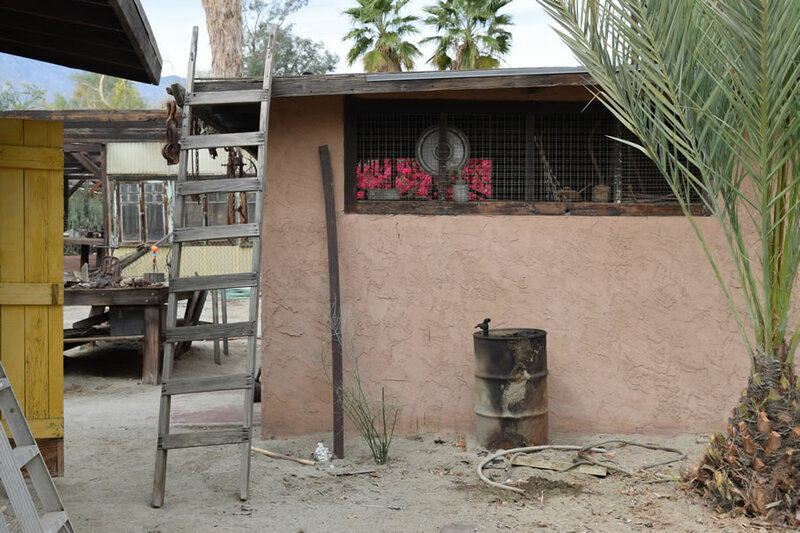 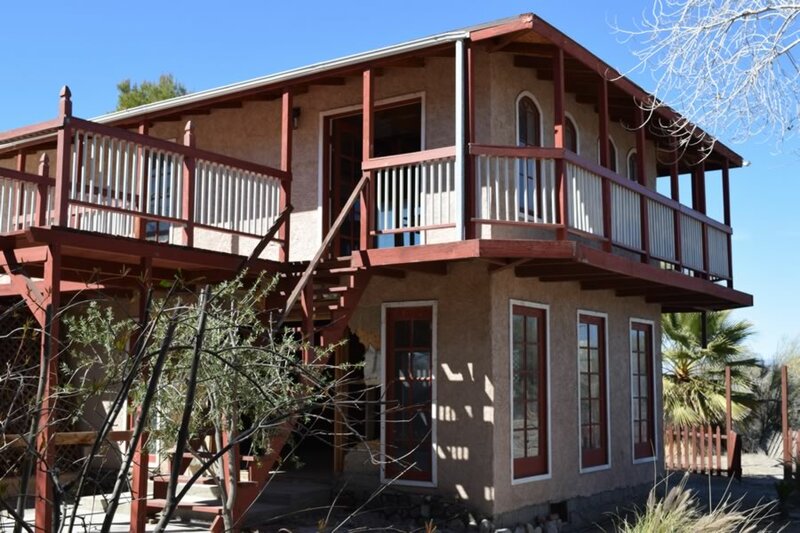 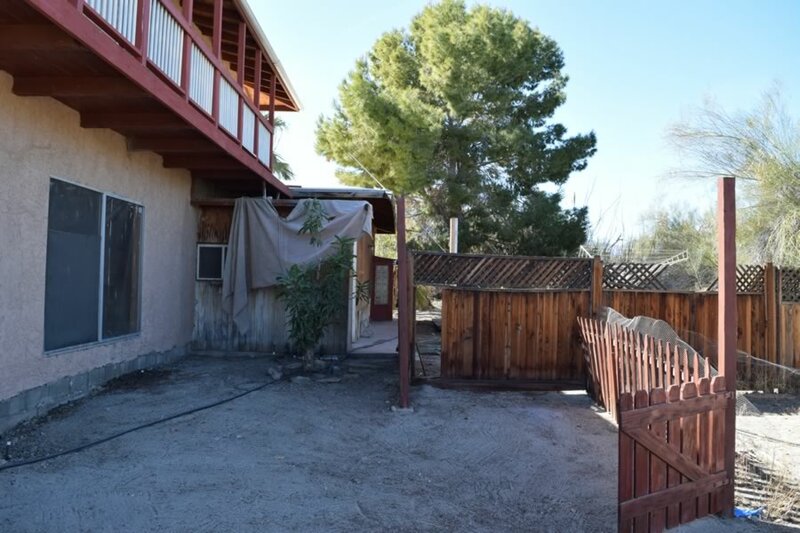 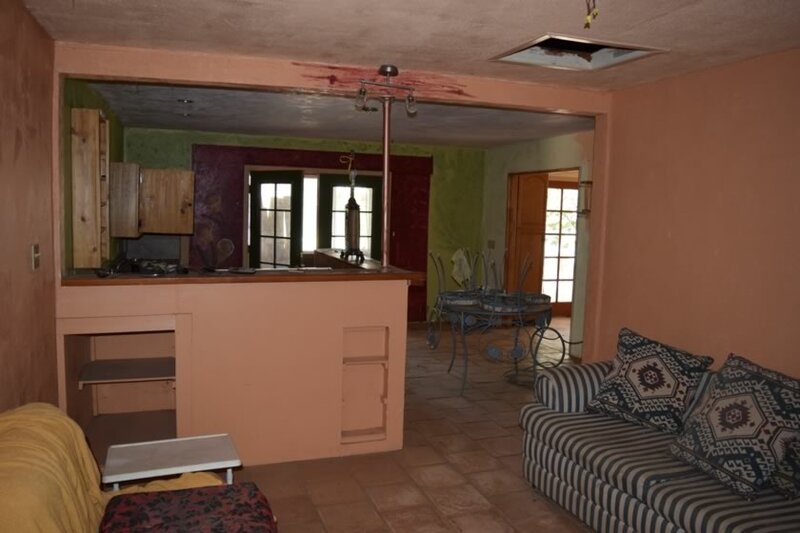 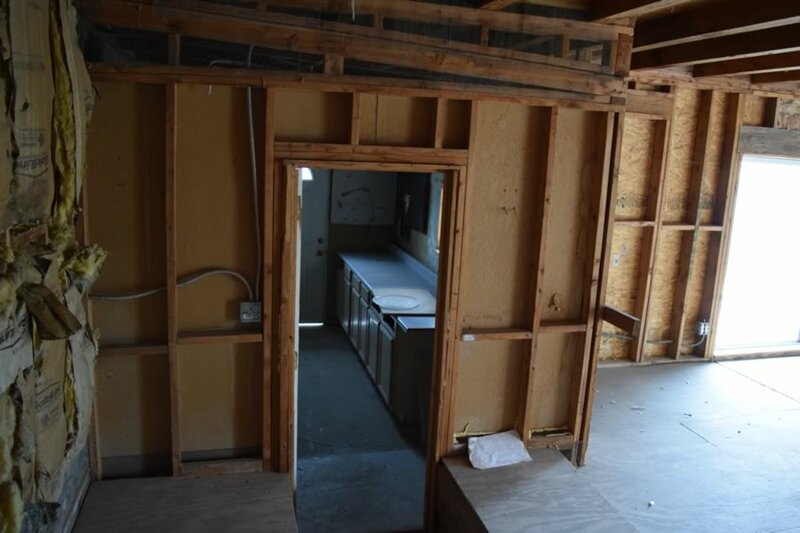 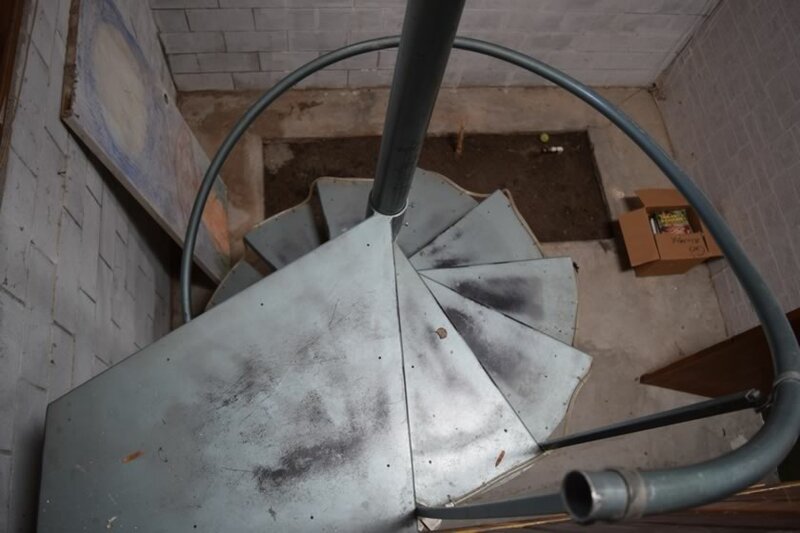 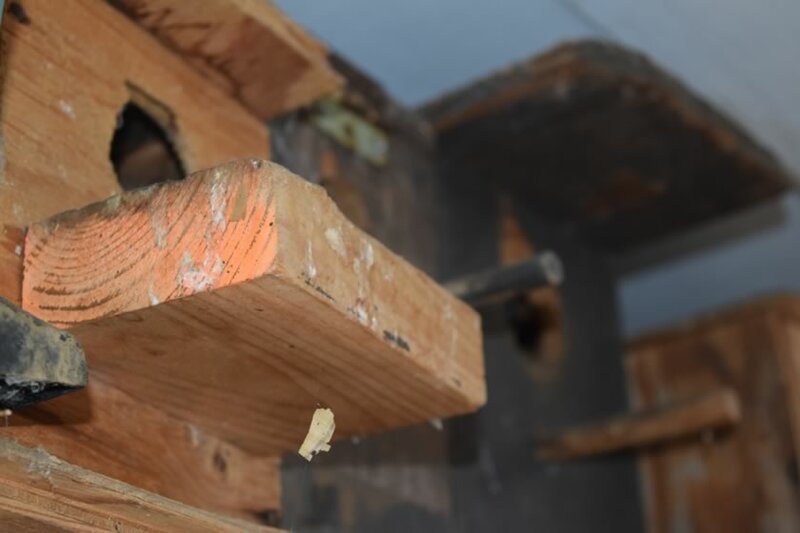 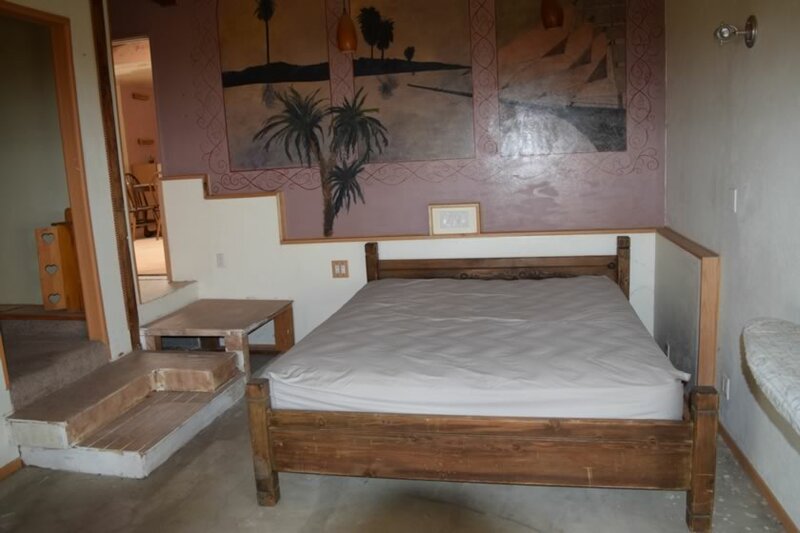 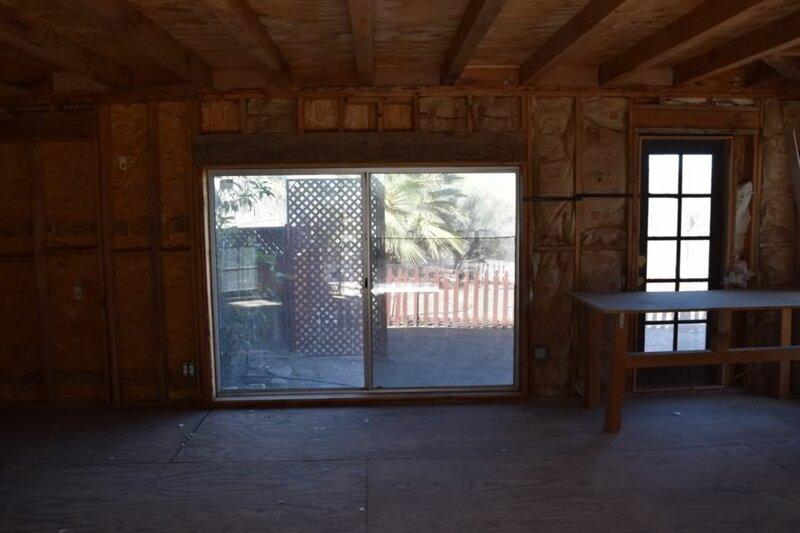 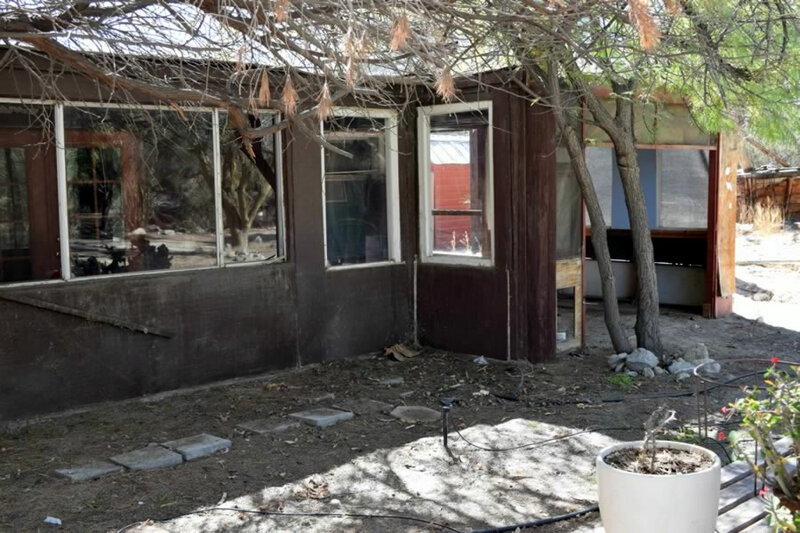 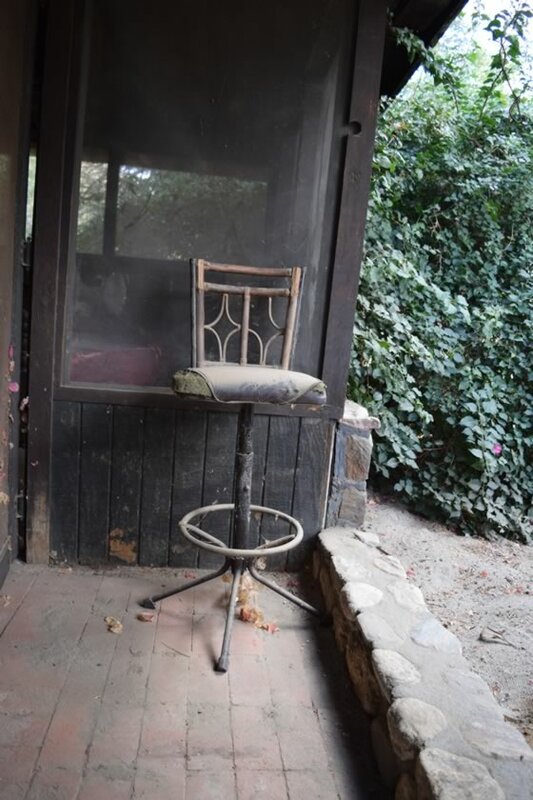 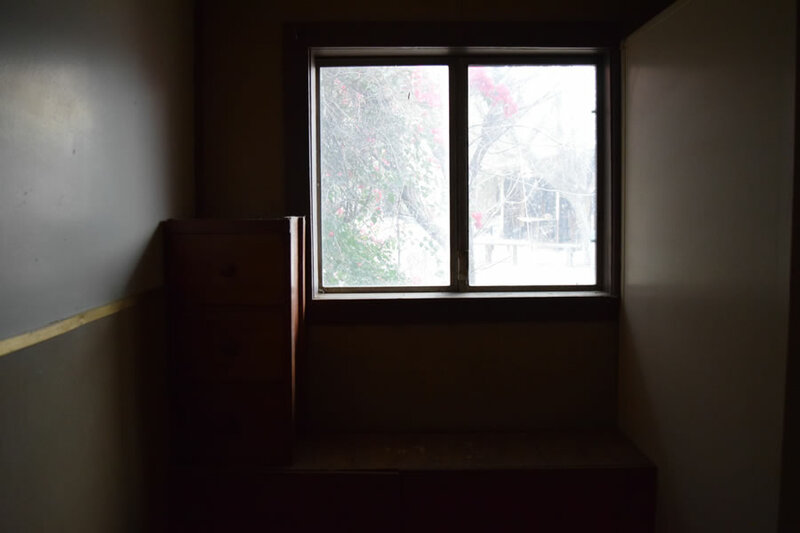 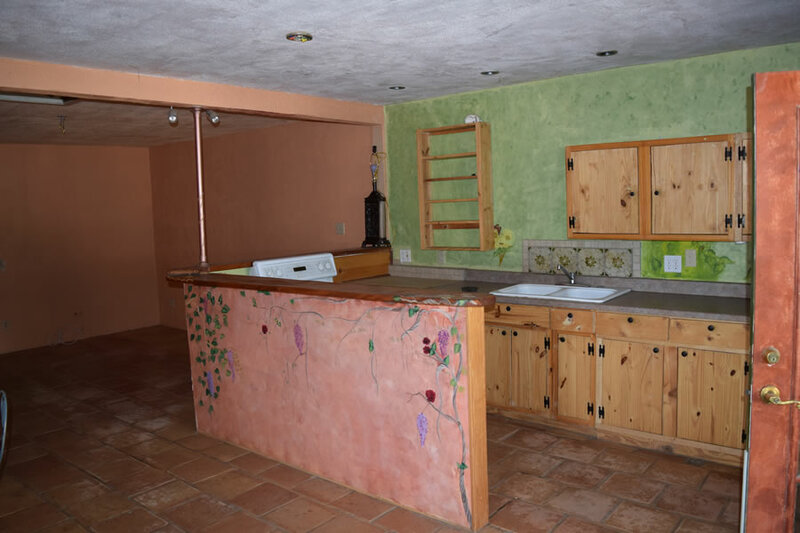 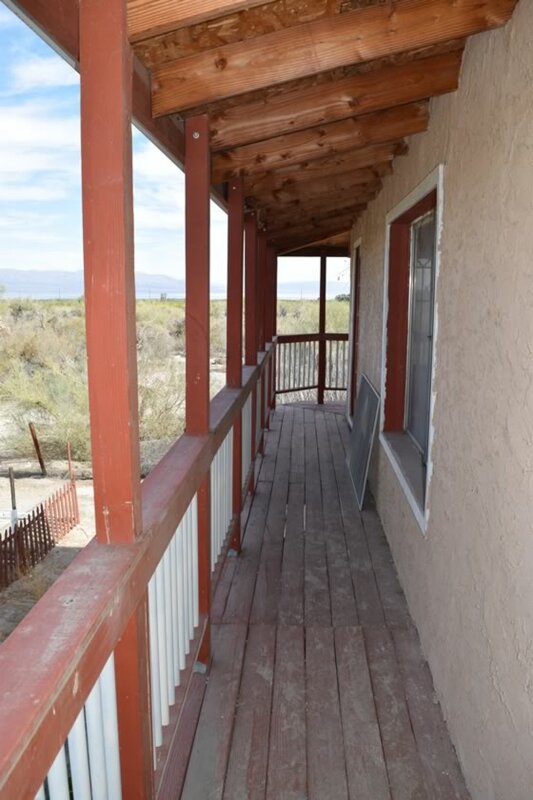 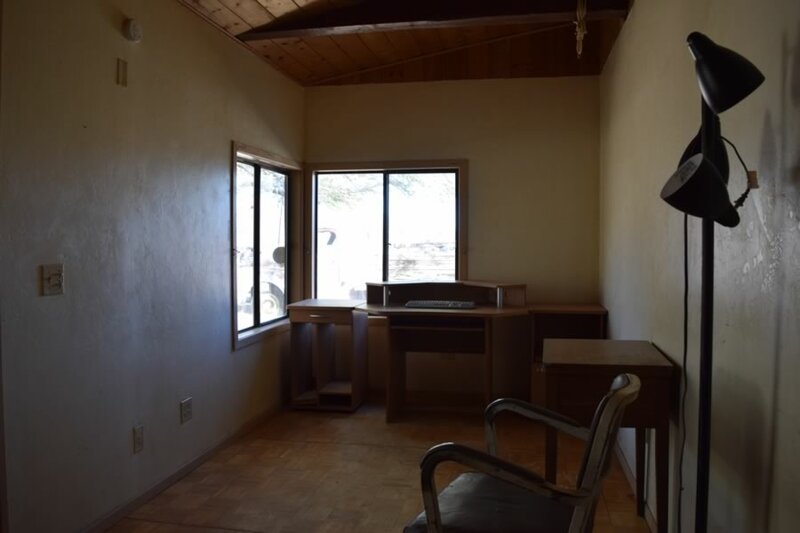 This permanently vacant single-story crack house (residence) features 1 inside bedroom, 1 outside bedroom, 1 bathroom, entry room and connected open living room & kitchen with private patio. 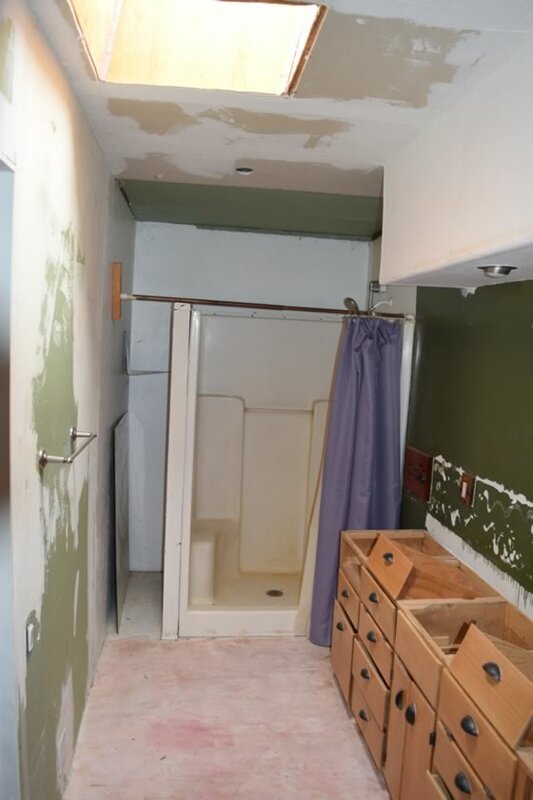 Both INT/EXT nail and paint friendly throughout. 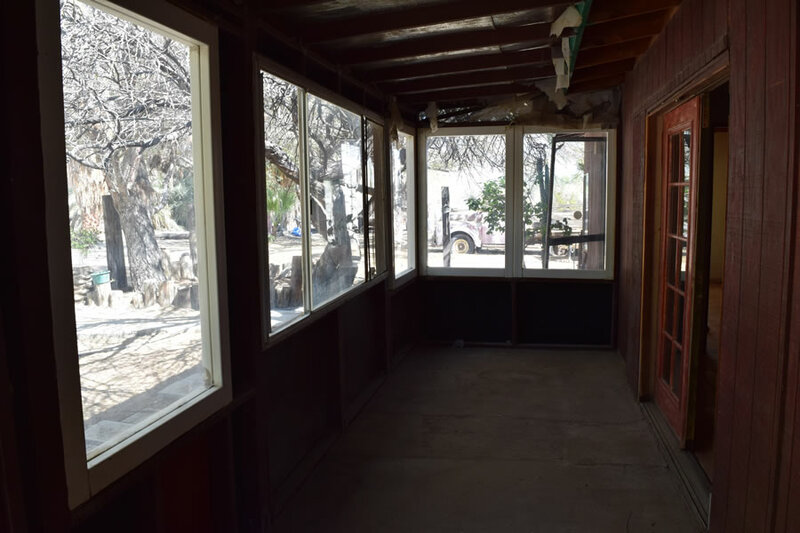 Carport features built-in travel trailer and the yard is nicely shaded with large trees and greens. 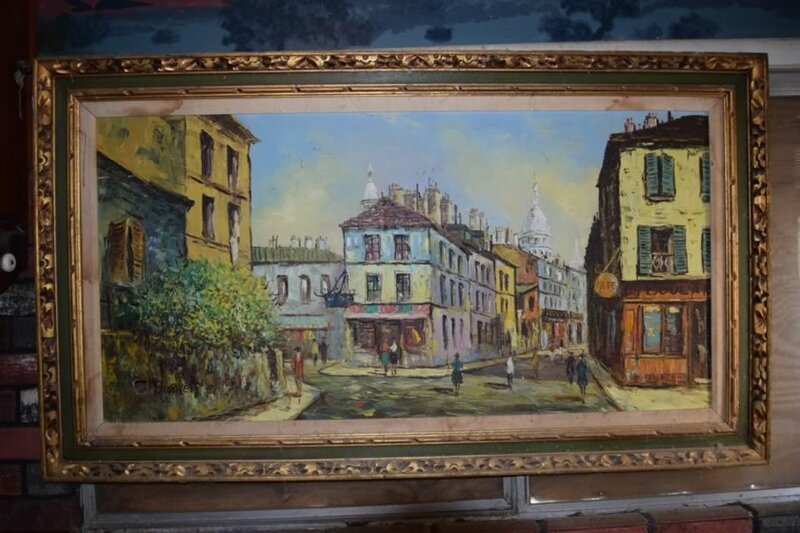 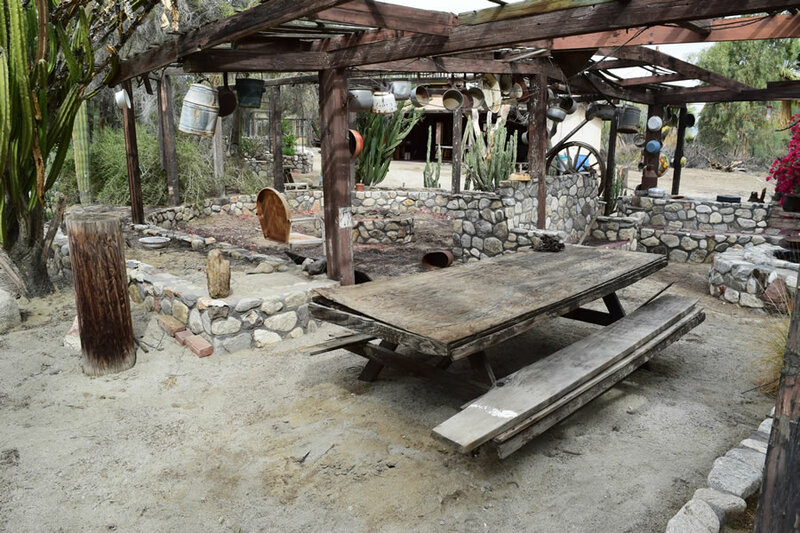 A perfect movie-set building where drug dealers and drug users (actor’s) buy, sell, produce, and use illegal drugs, including crack cocaine-like props. 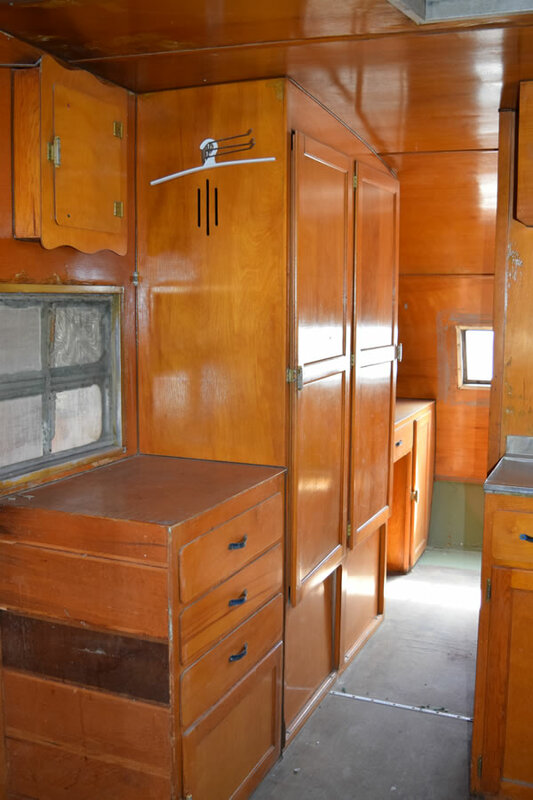 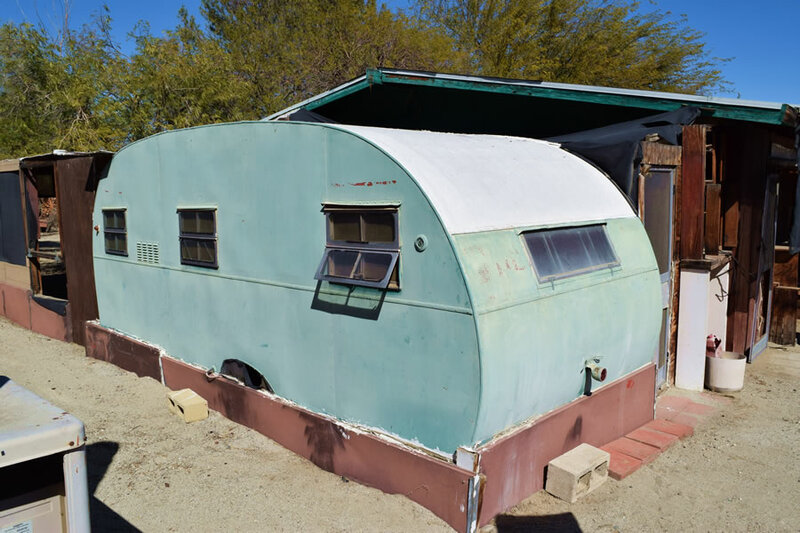 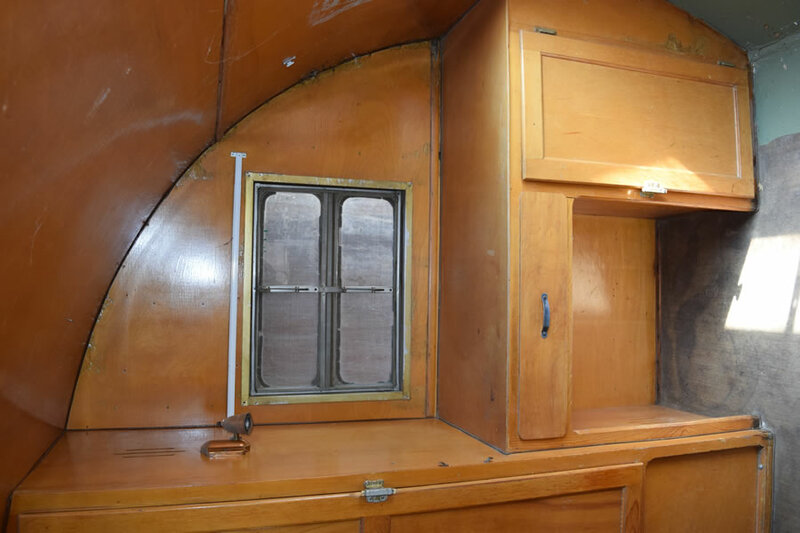 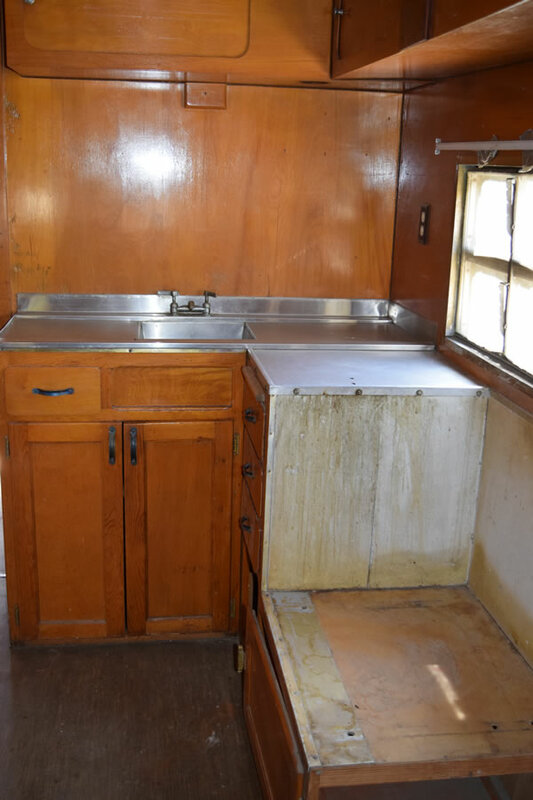 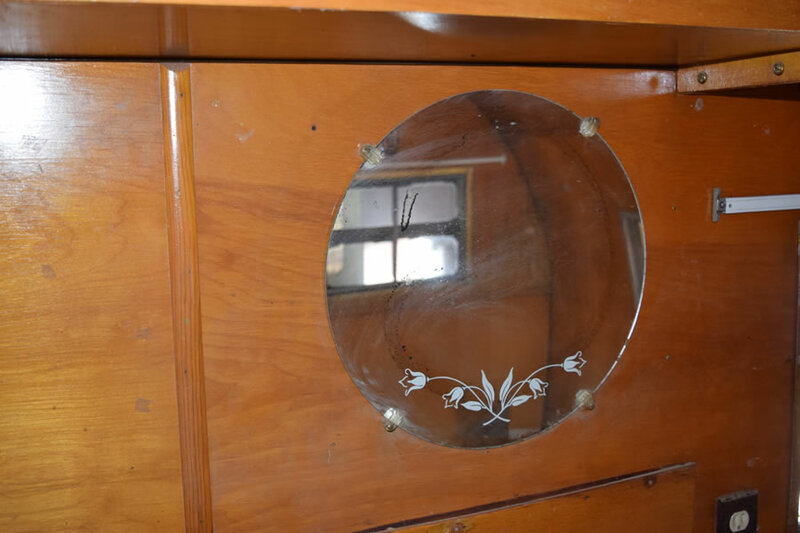 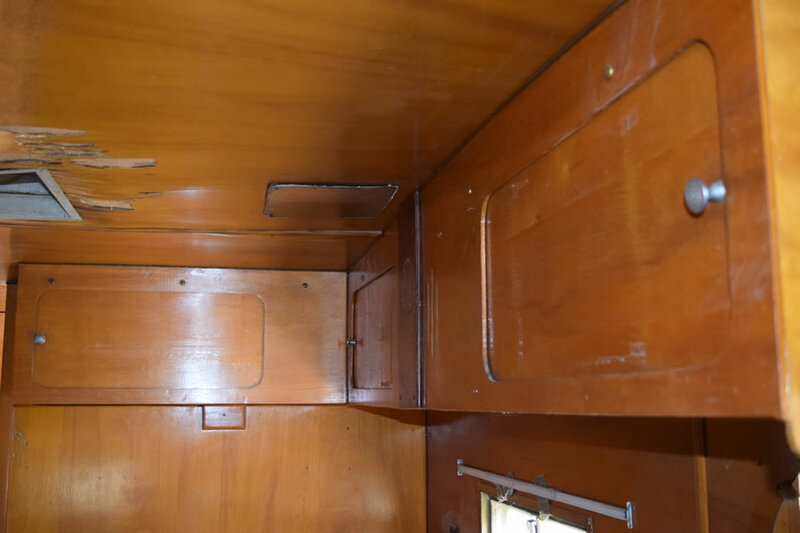 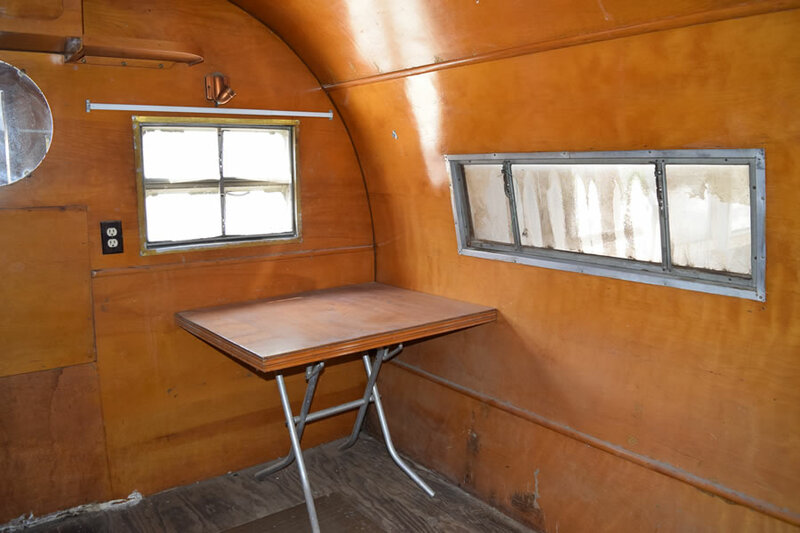 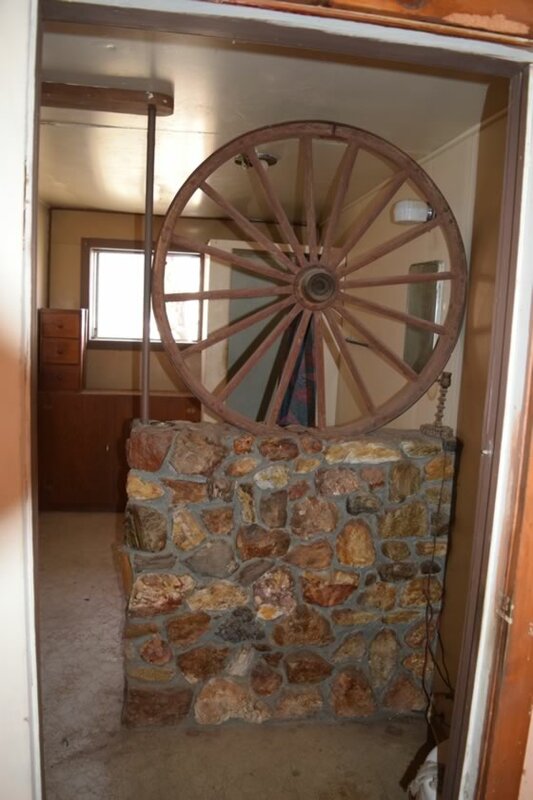 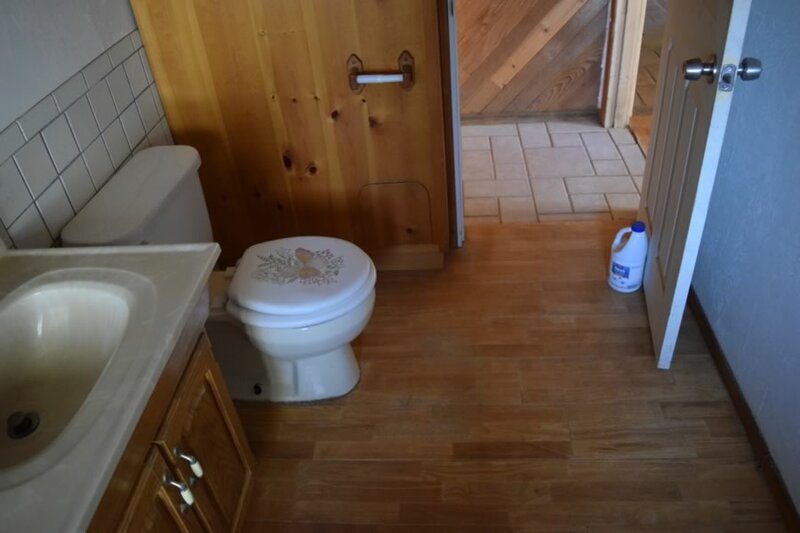 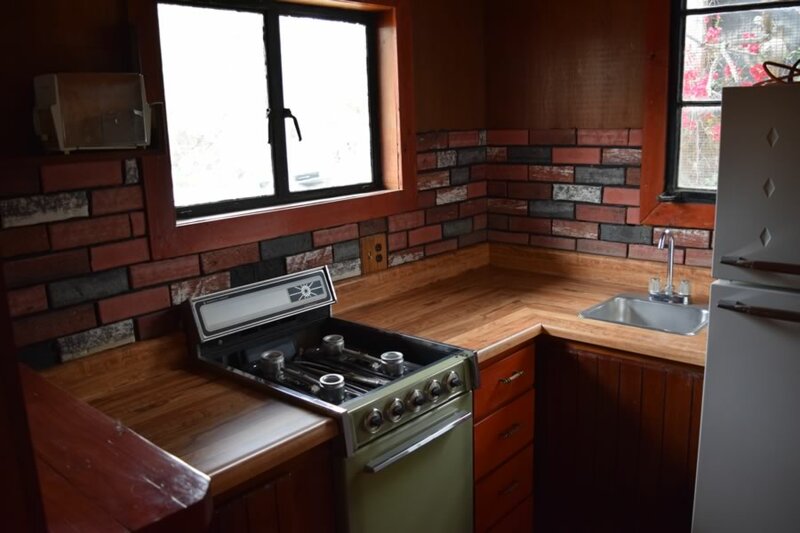 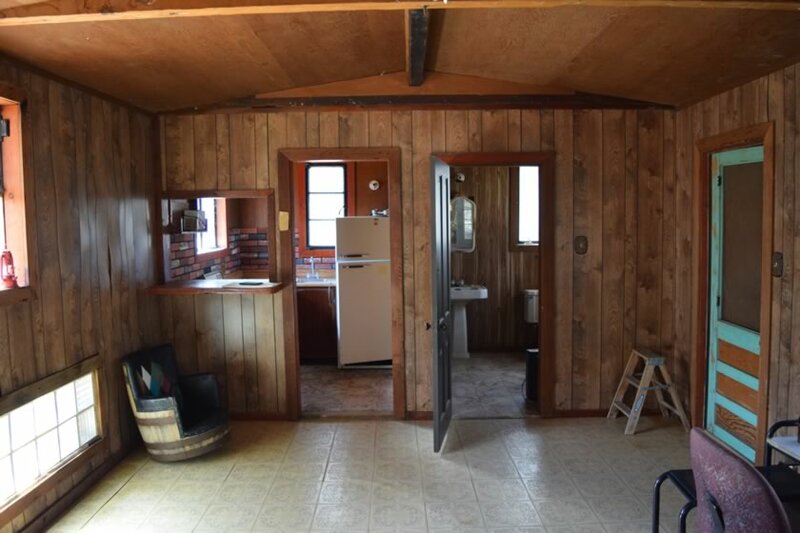 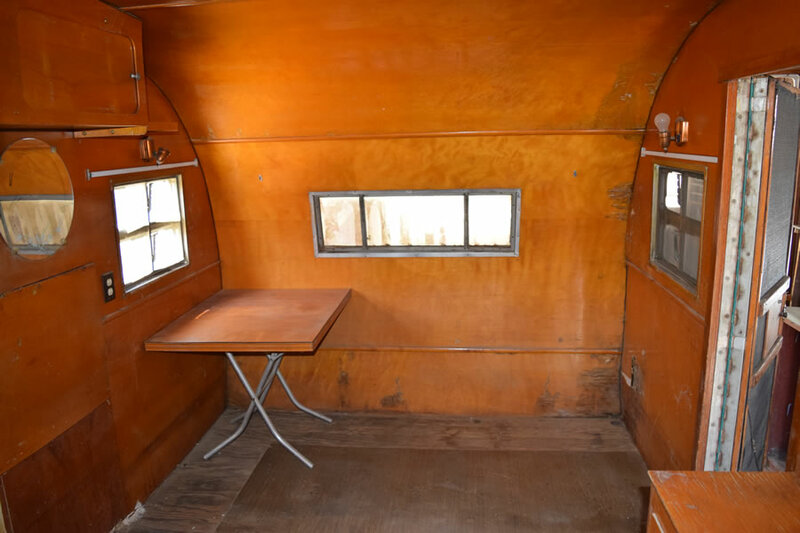 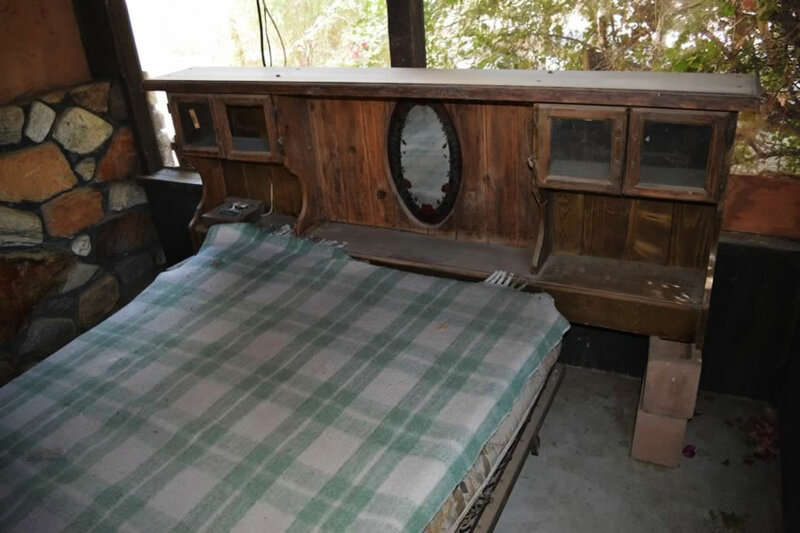 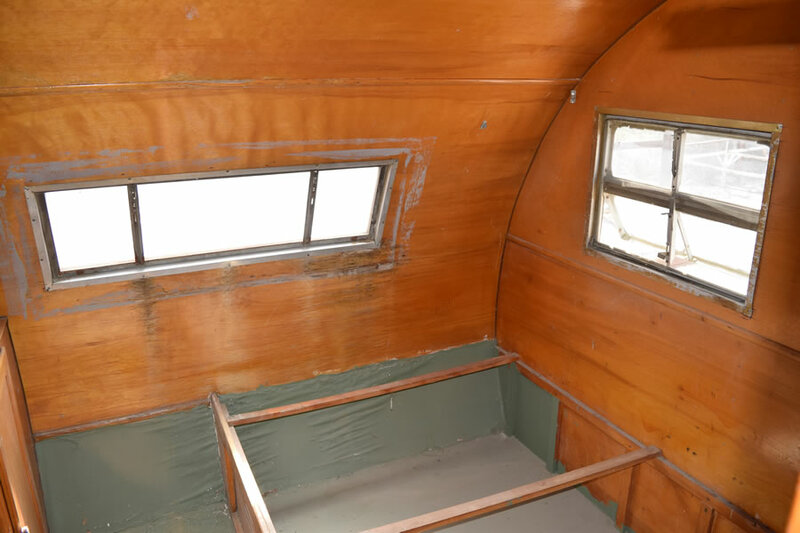 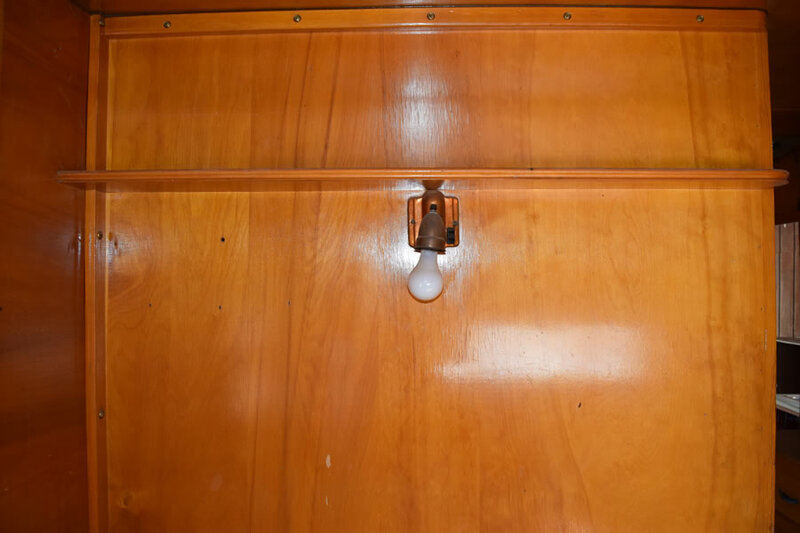 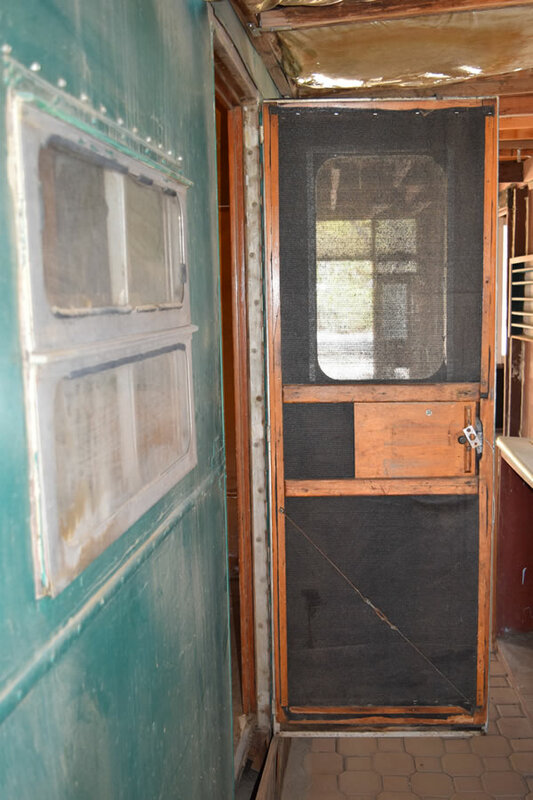 This popular Shasta trailer came with warm natural wood interior paneling and cabinets of Birch wood. 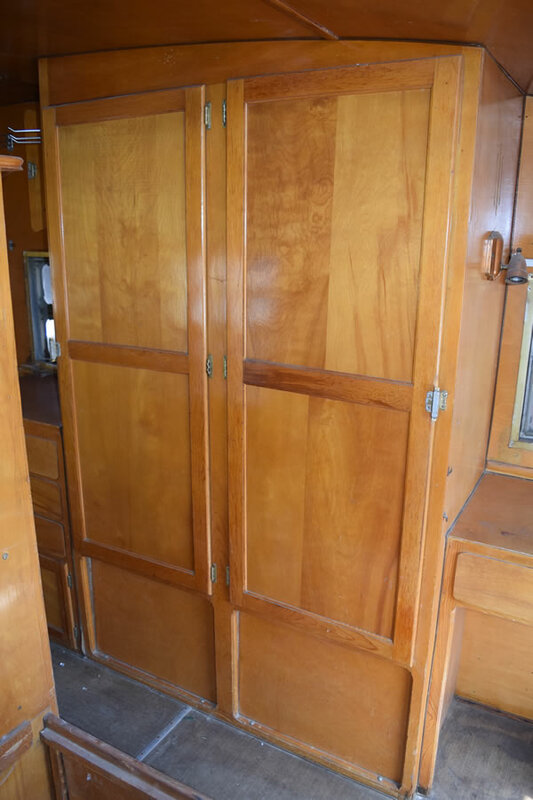 Nice drapes, comfortable bed and relaxing sofas will transform this trailer into the perfect setting for any interior vacation scene. 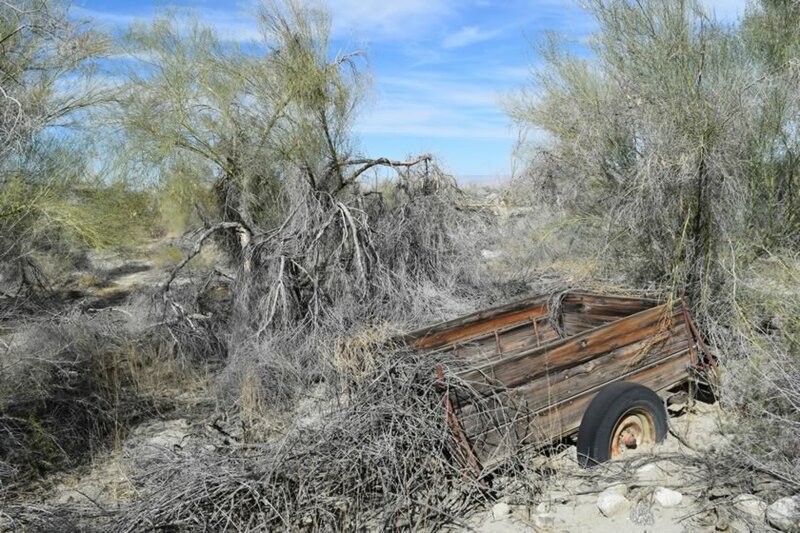 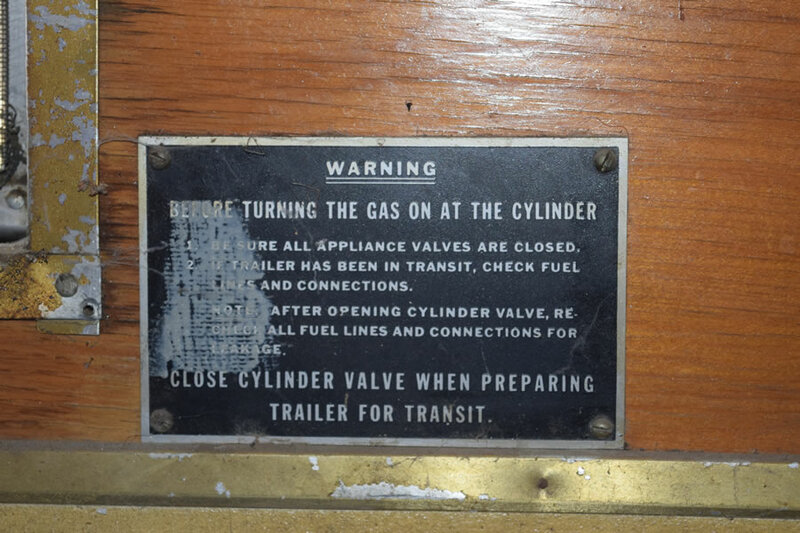 This trailer is currently a permanent fixture but can be removed and restored for road filming. 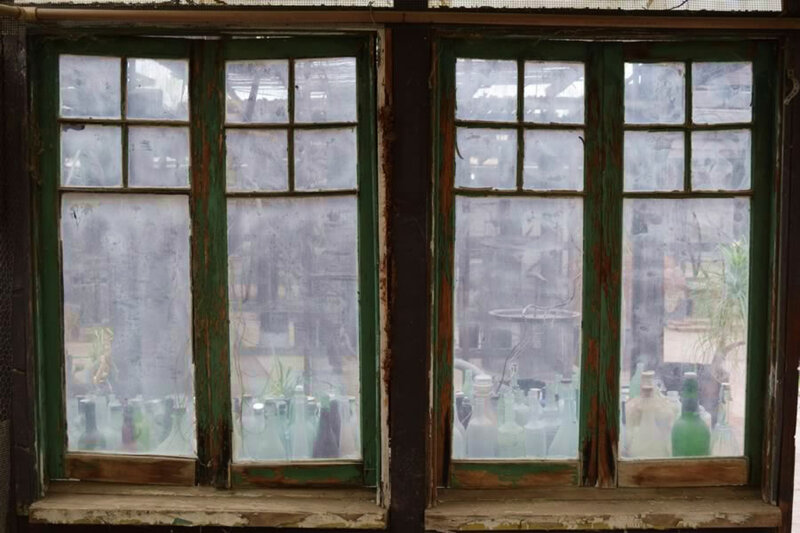 INT/EXT film friendly. 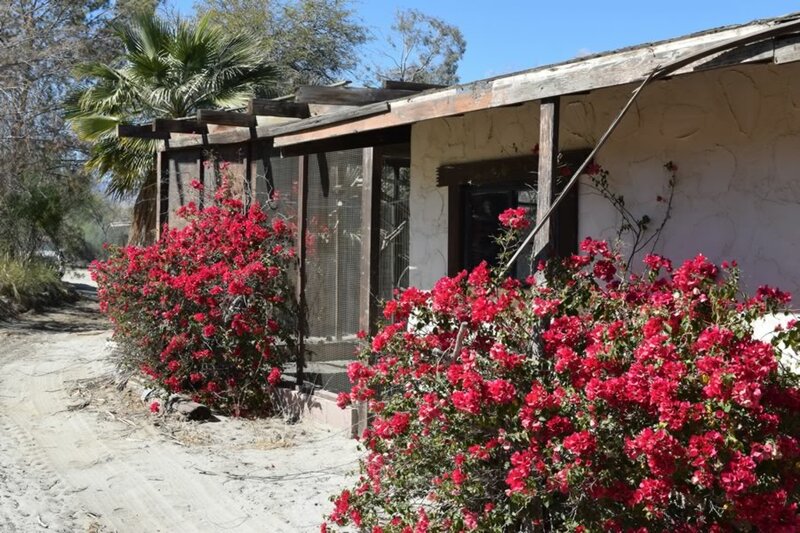 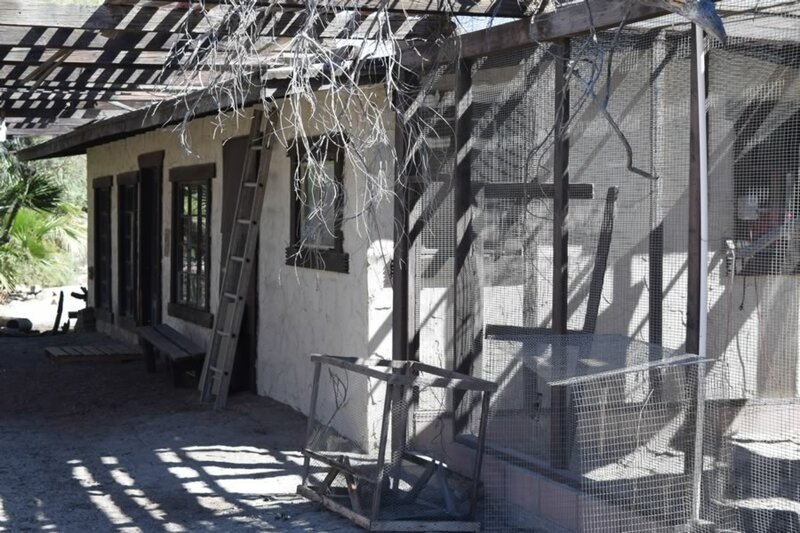 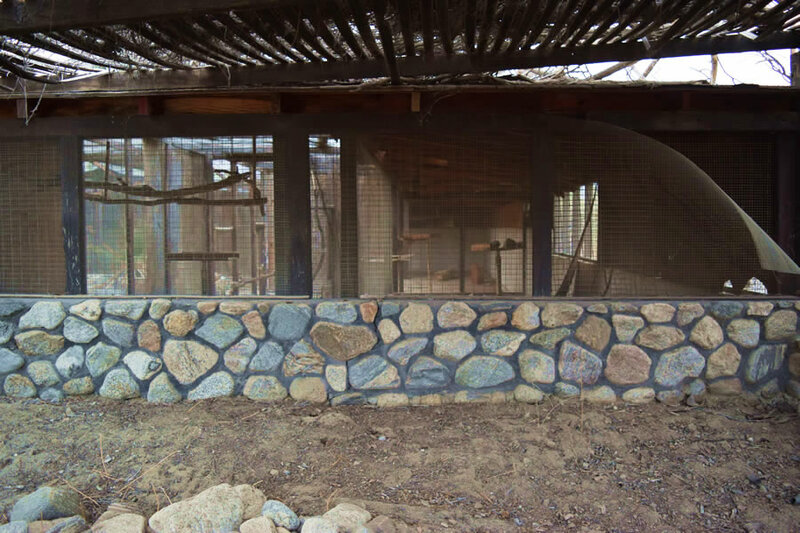 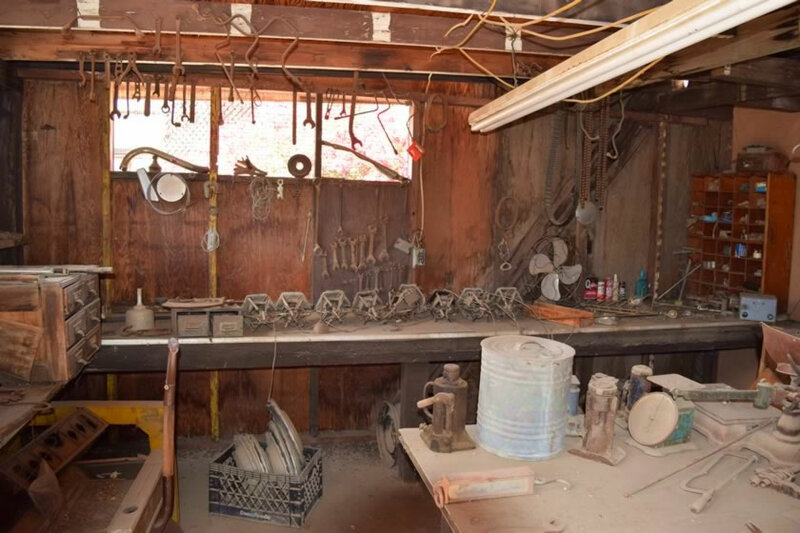 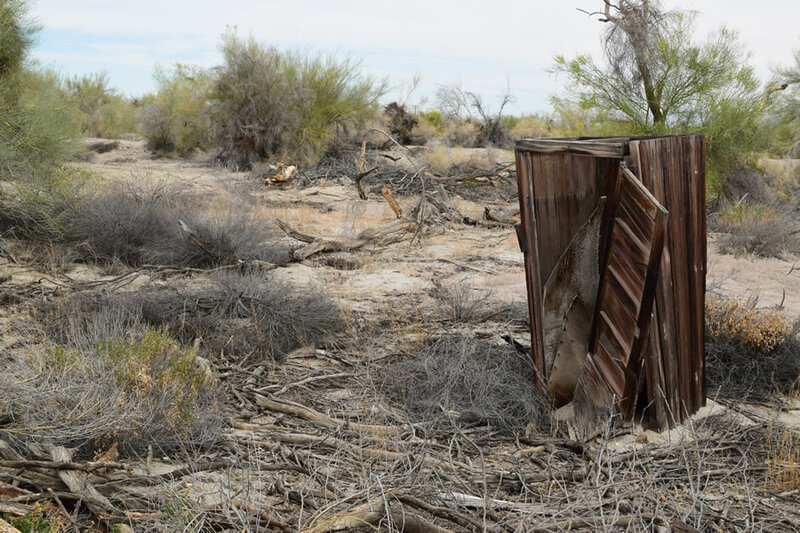 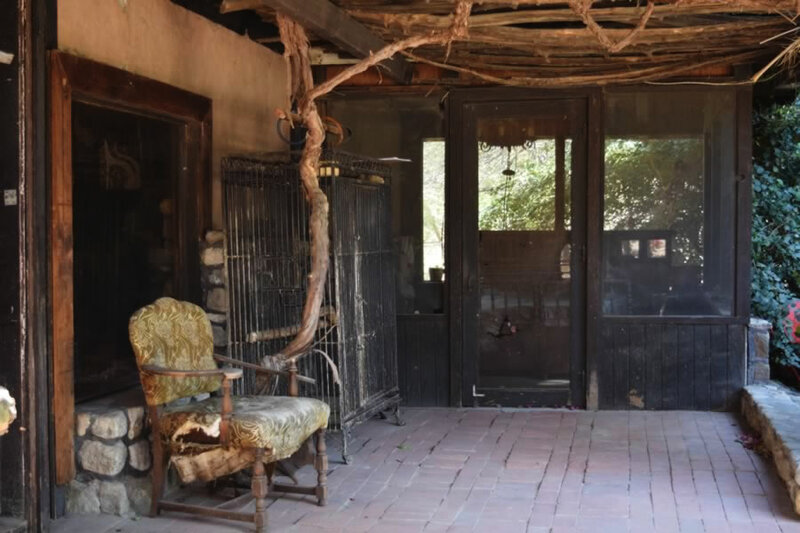 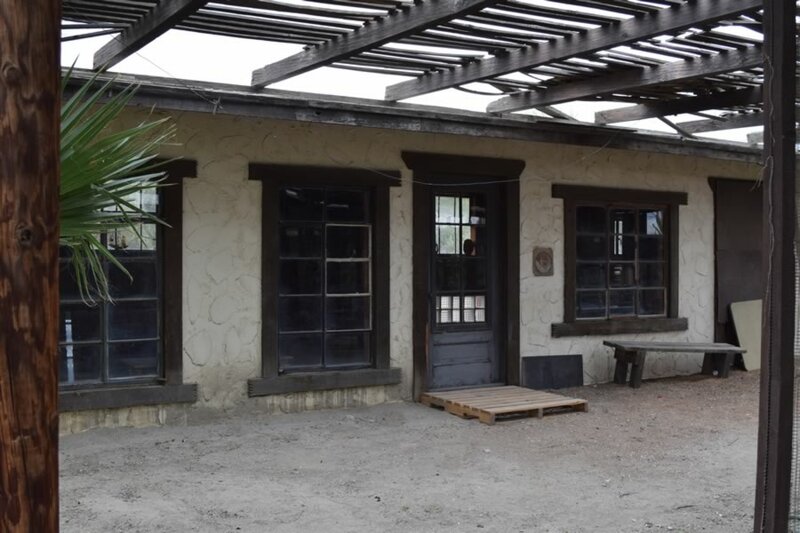 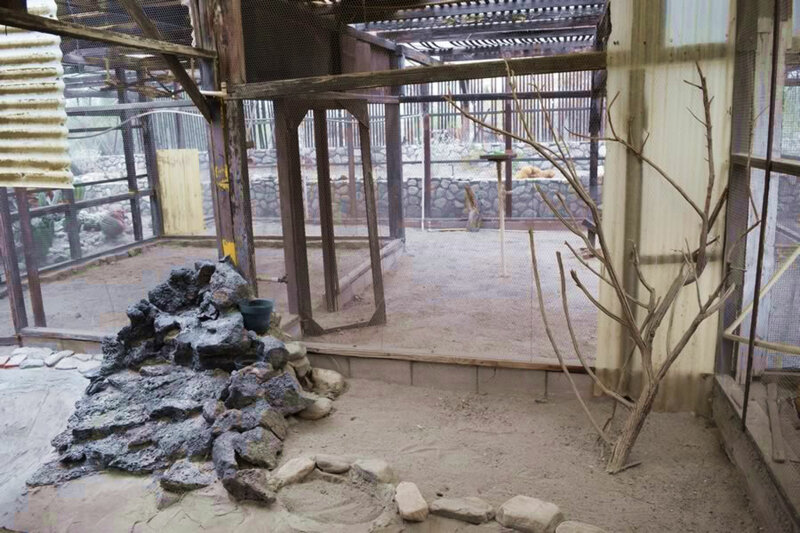 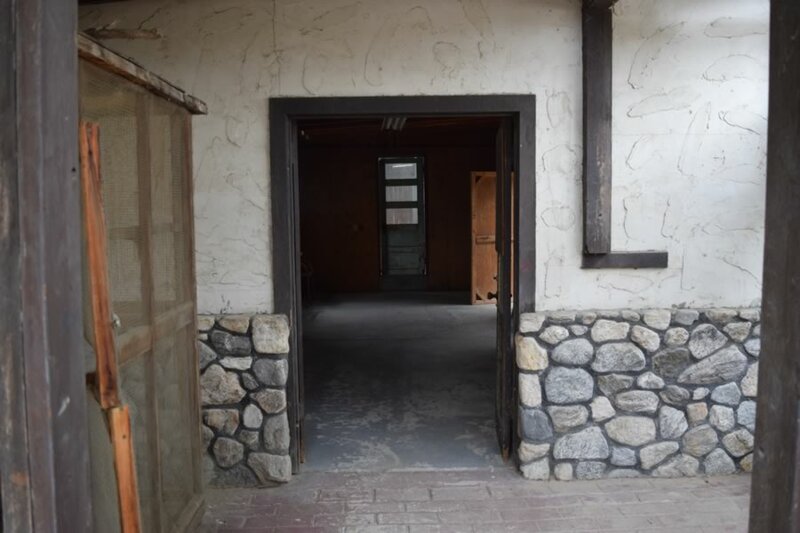 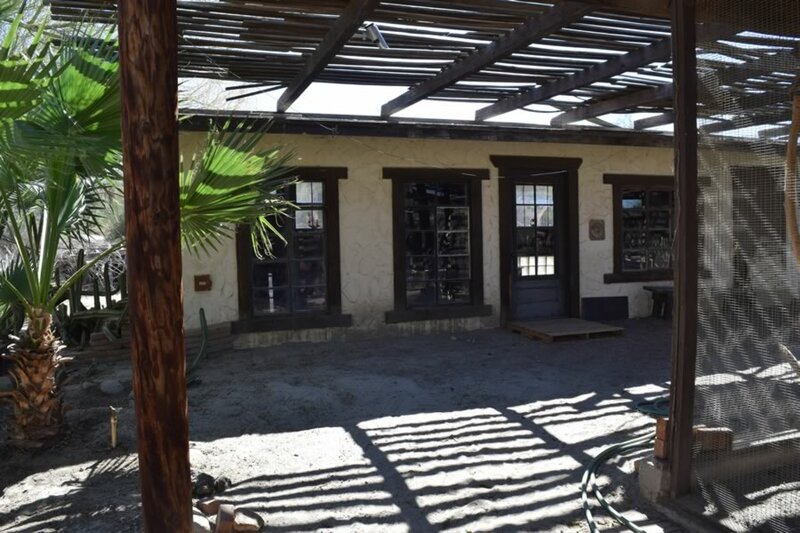 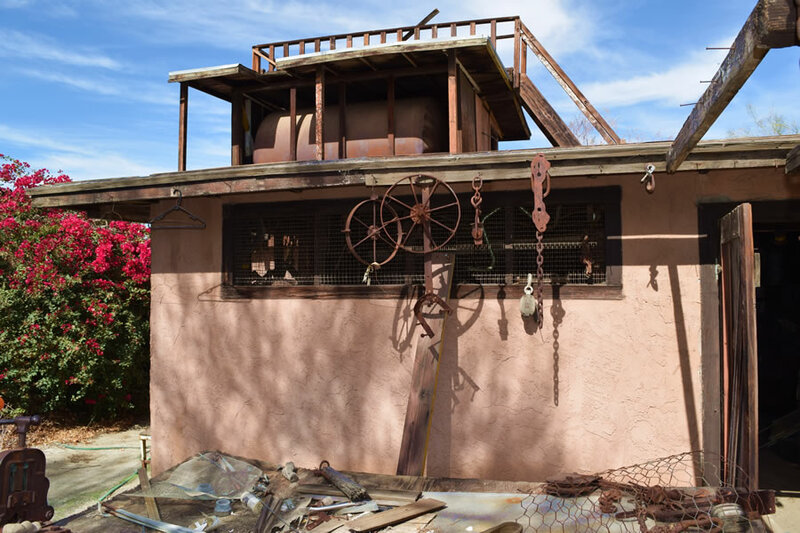 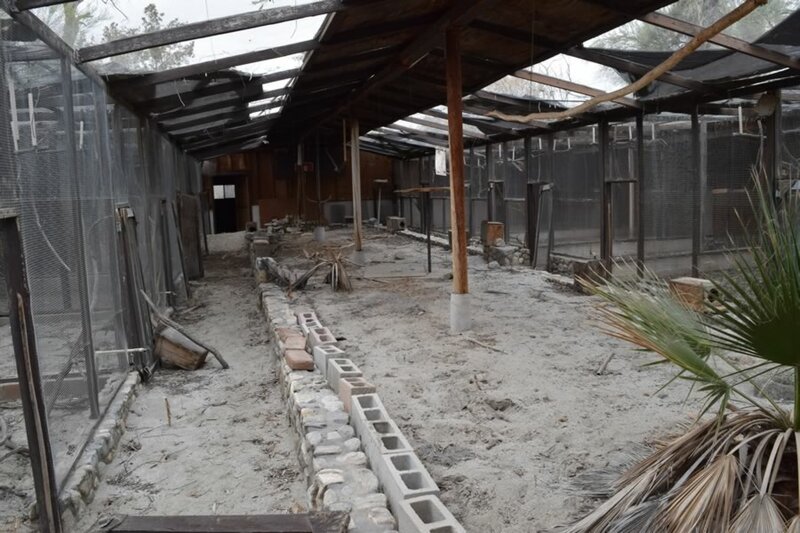 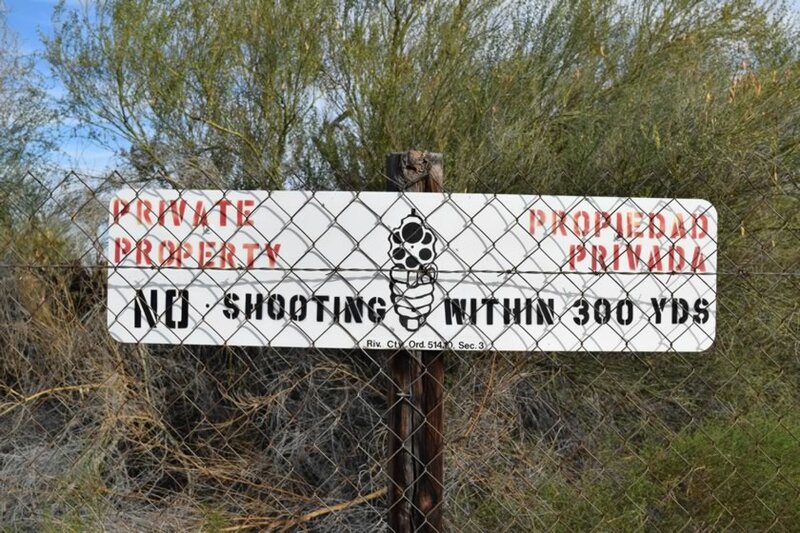 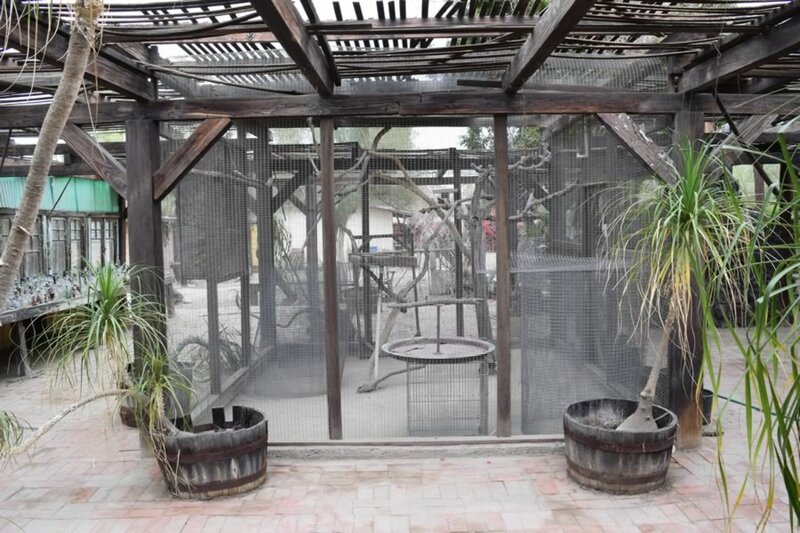 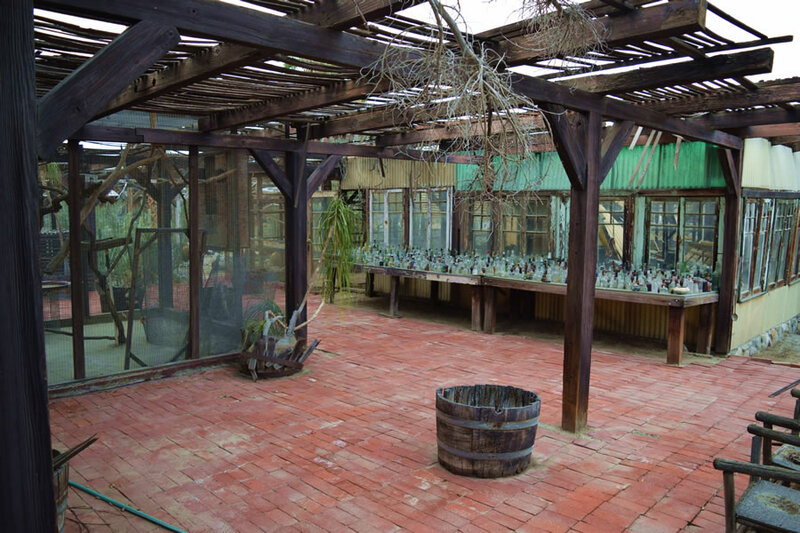 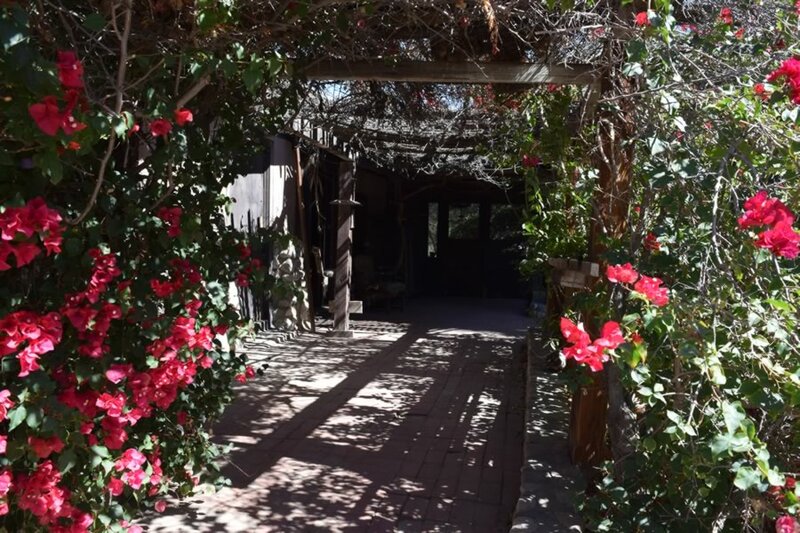 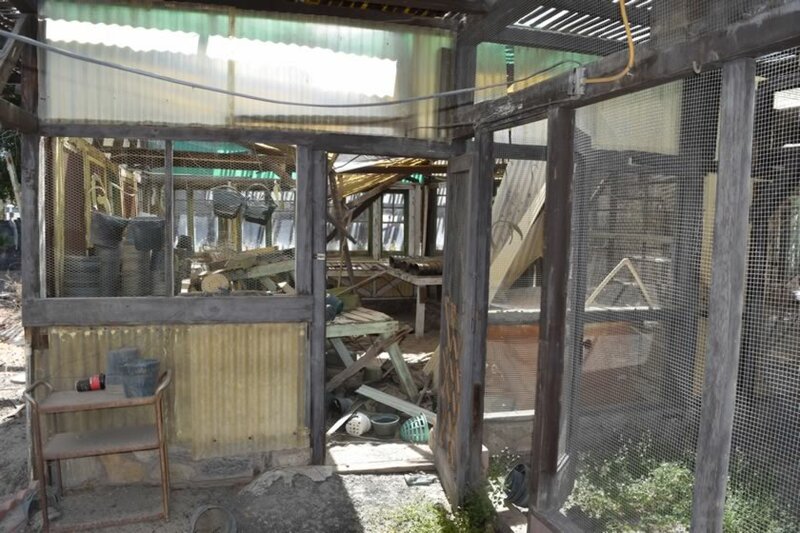 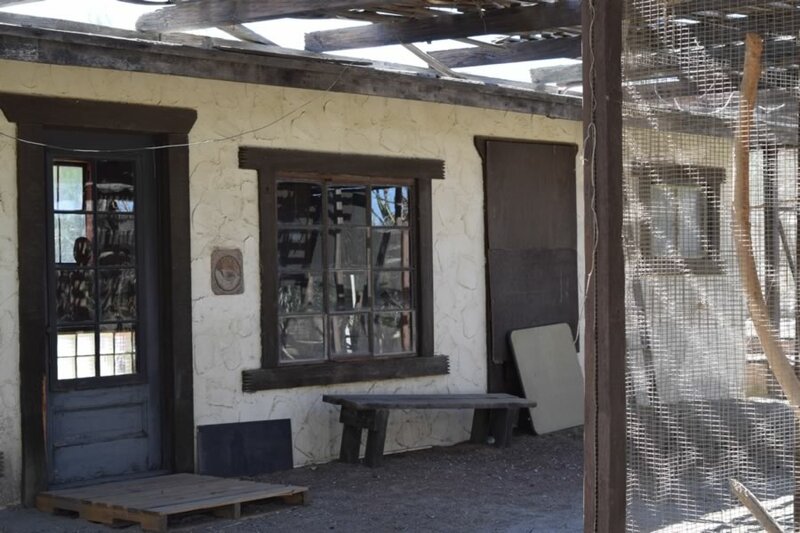 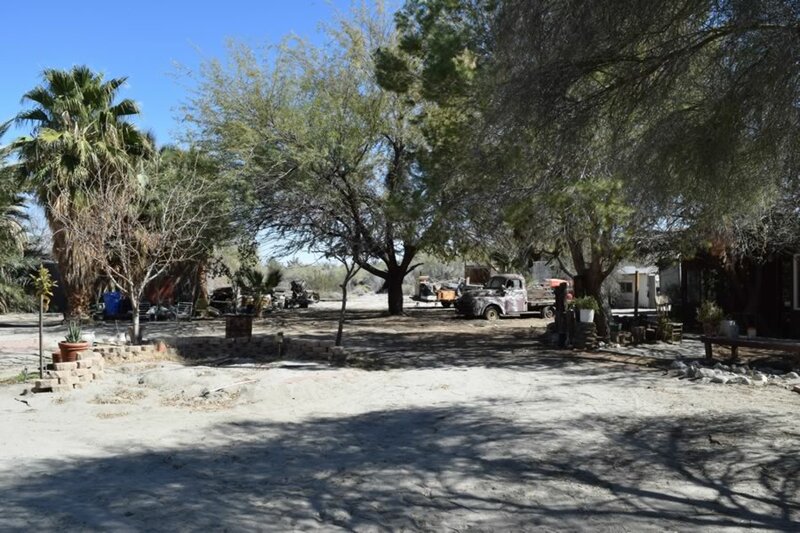 The Ranch includes roughly 20 acres of backlot desert landscape available for bulldoze and building of facades, movie sets or open space. 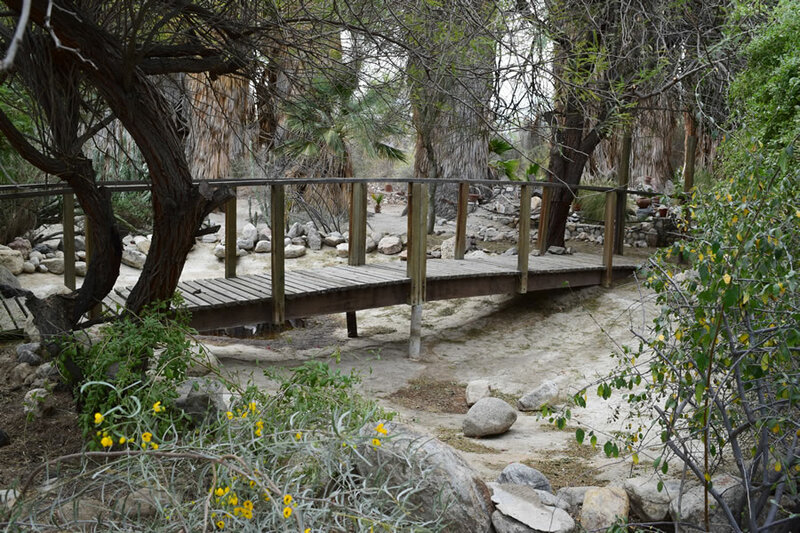 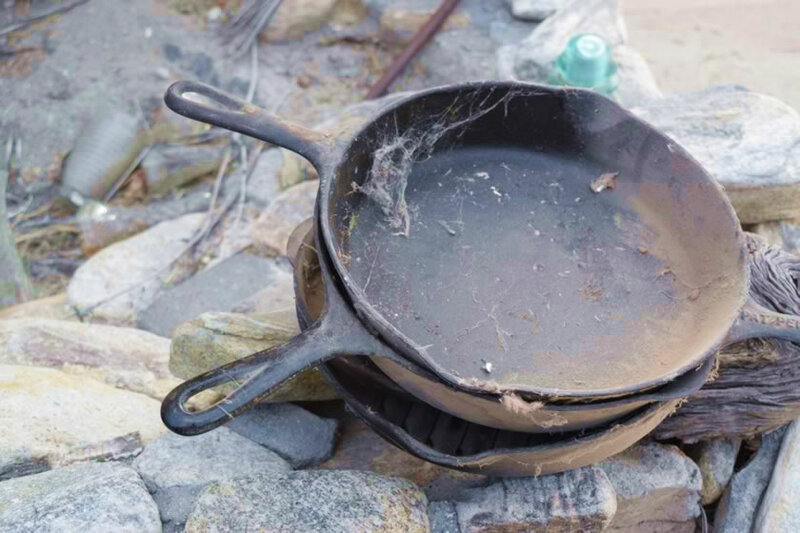 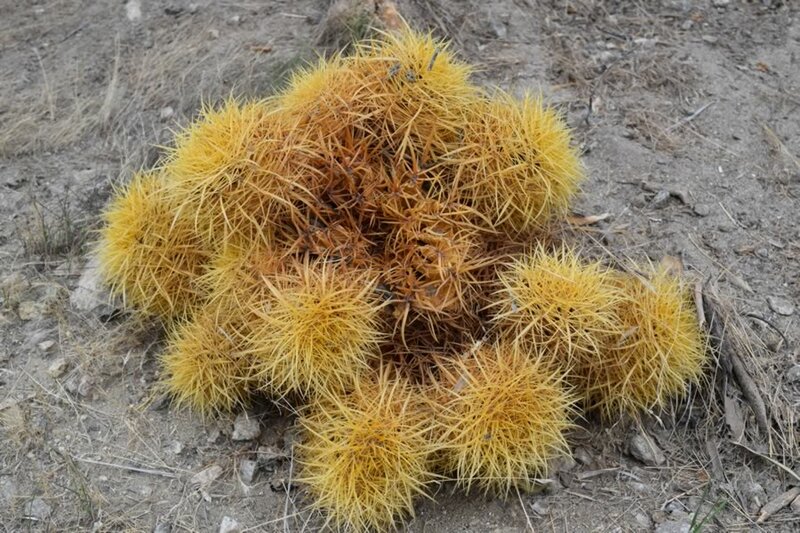 It can also be used as is for wilderness camping, horseback or off-road/RV/bike traveling scenes. 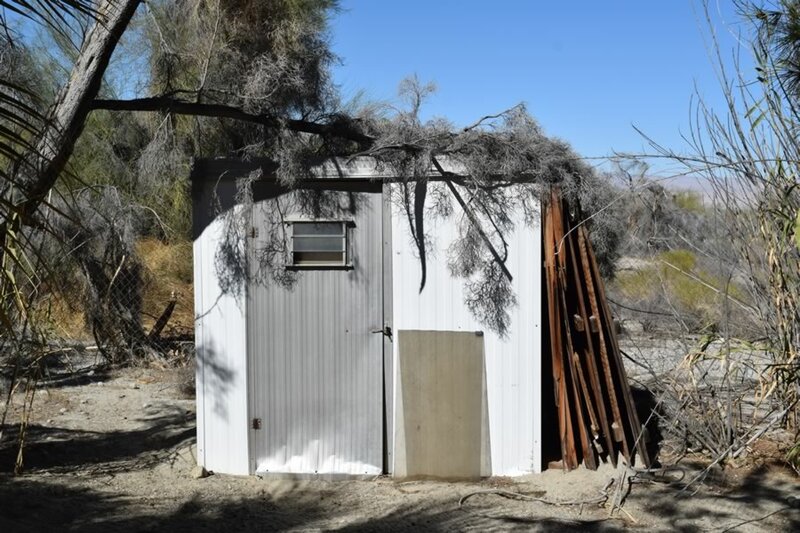 INT/EXT film friendly various freestanding sheds and a garage. 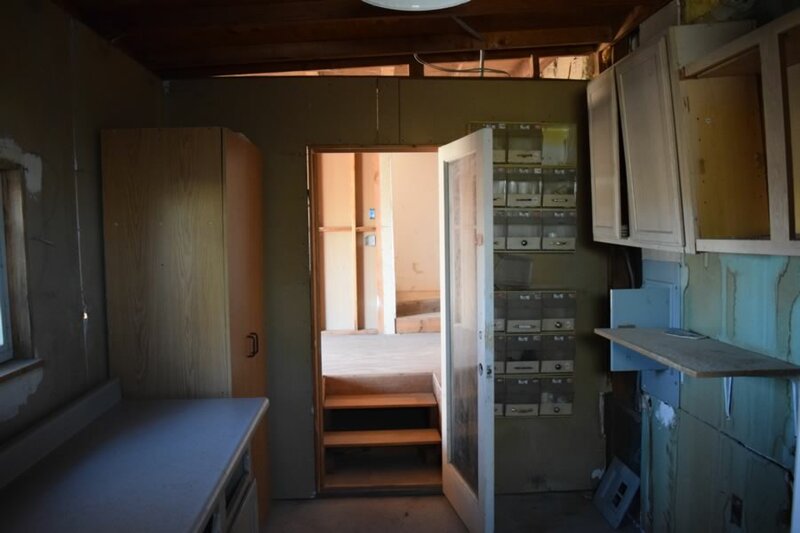 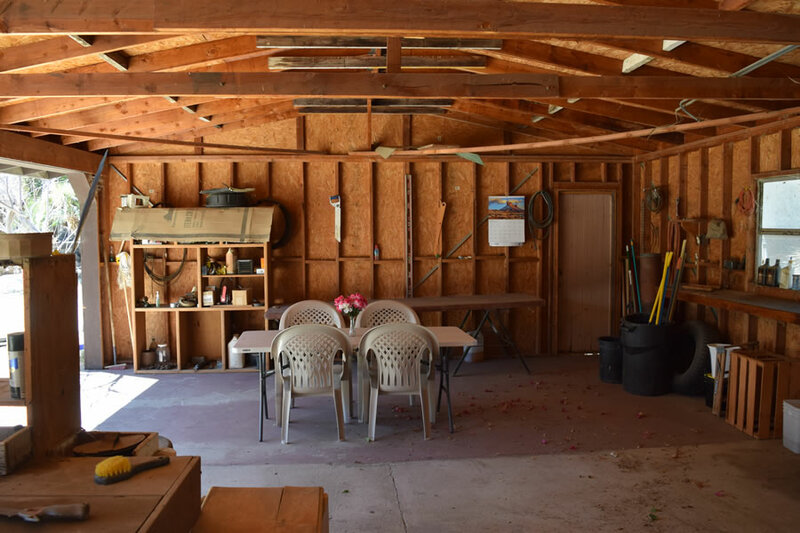 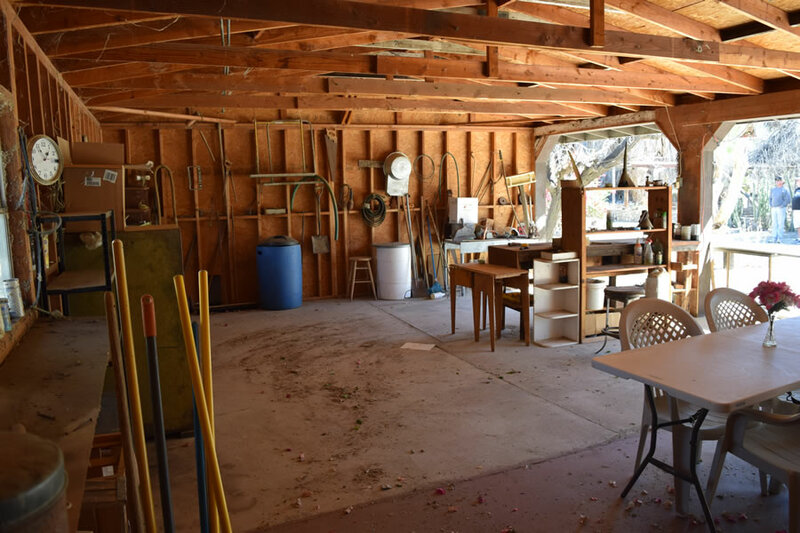 The garage can be used for, easy-access storage, catering or base camp. 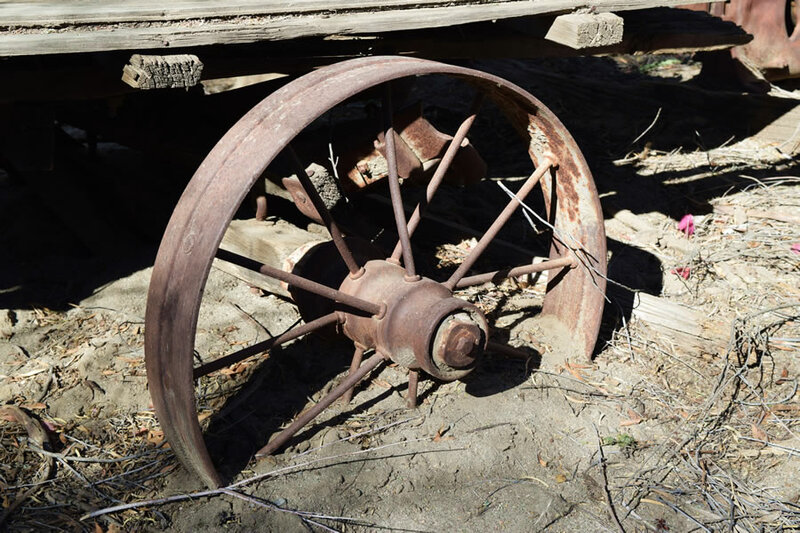 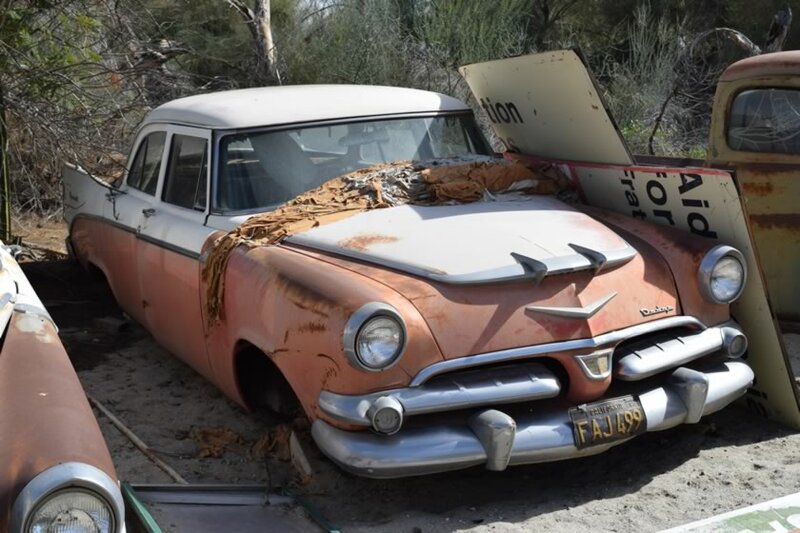 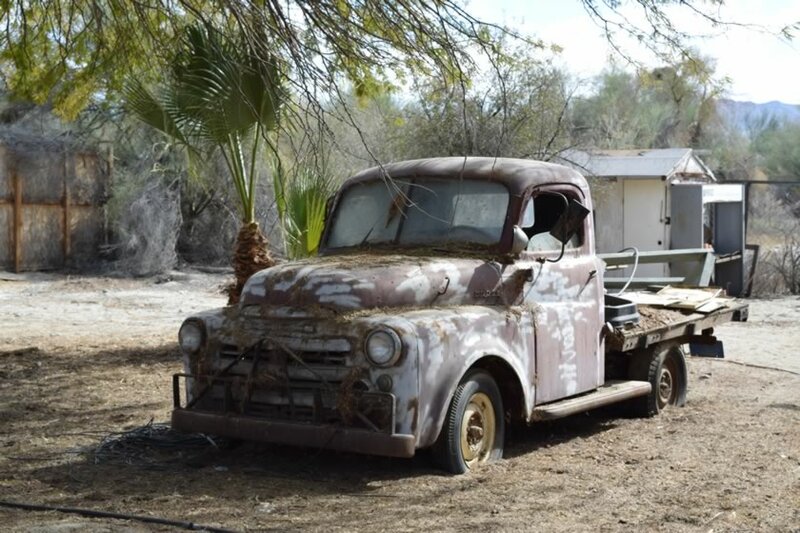 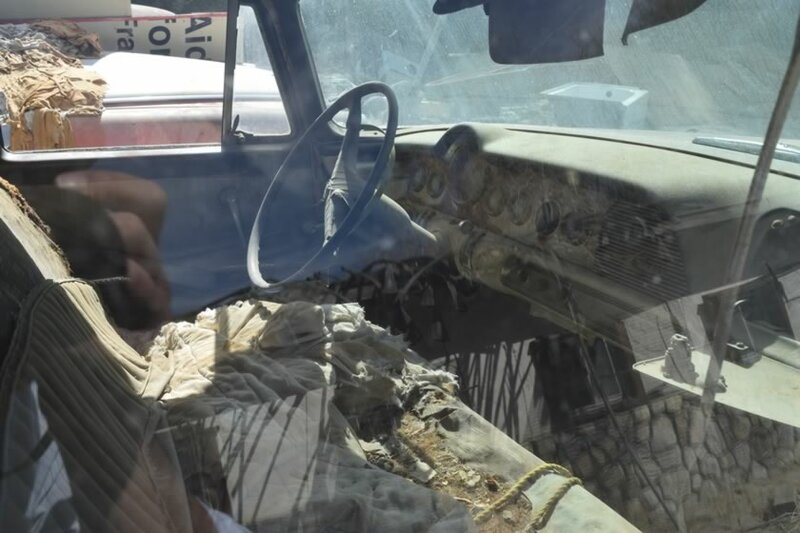 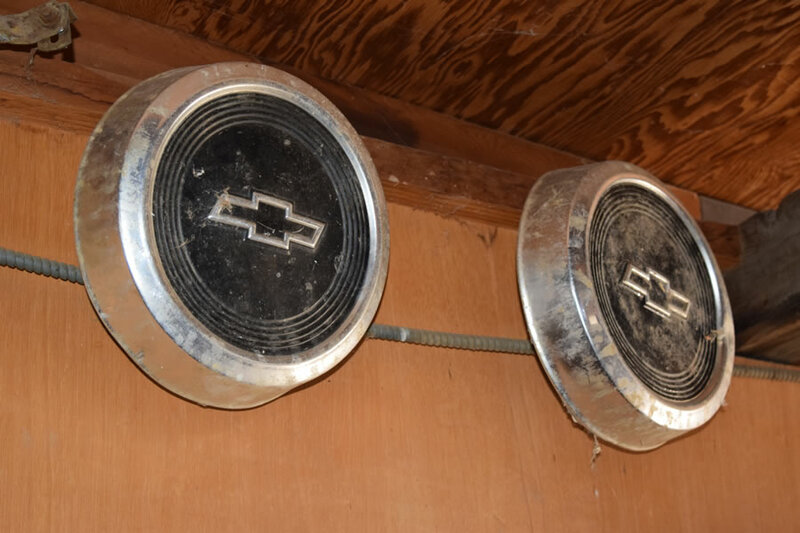 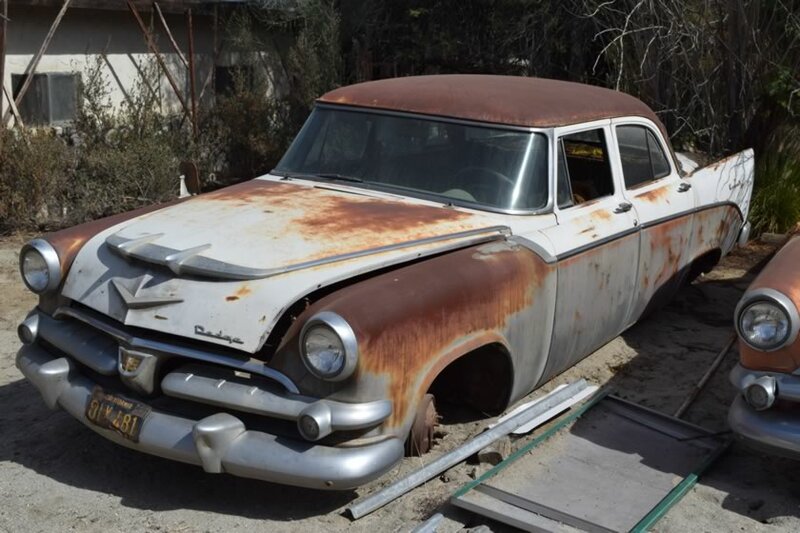 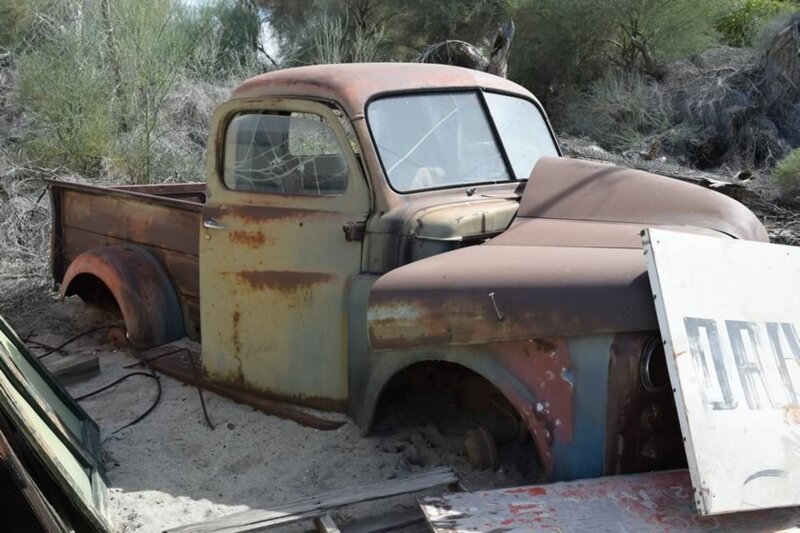 Classic cars and trucks add the perfect touch to any period piece scene. 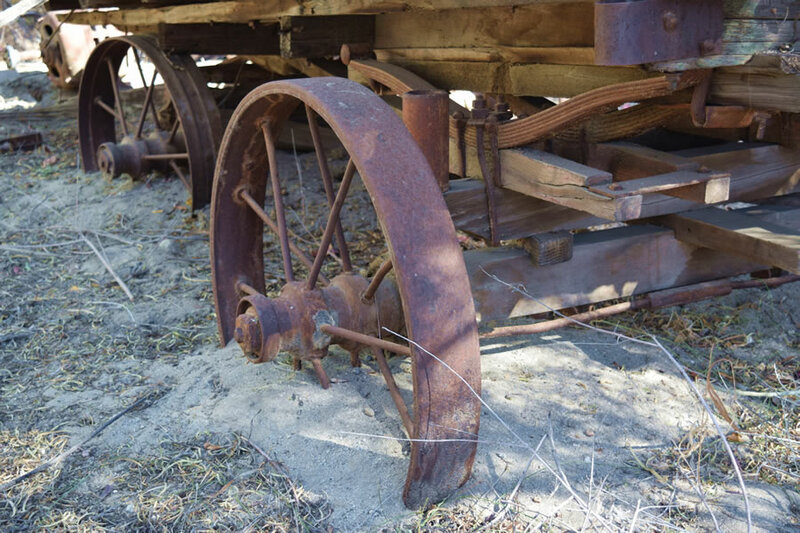 All autos and props can be moved anywhere on the grounds and filmed INT/EXT, or pulled by a process trailer/picture car off-site.